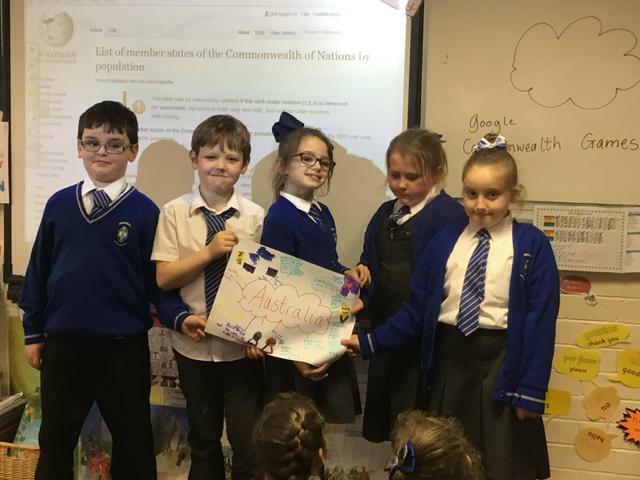 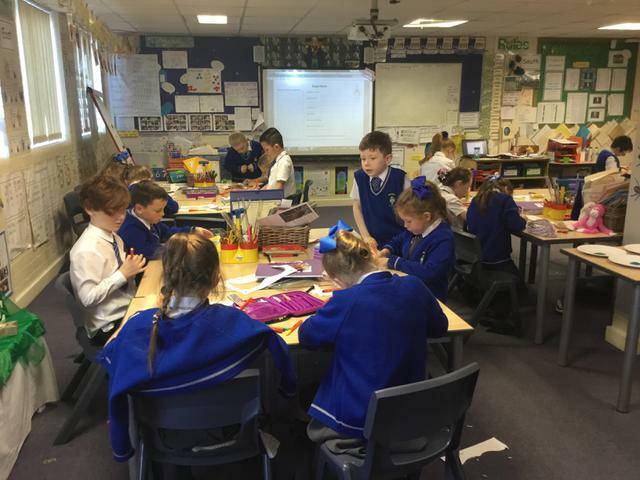 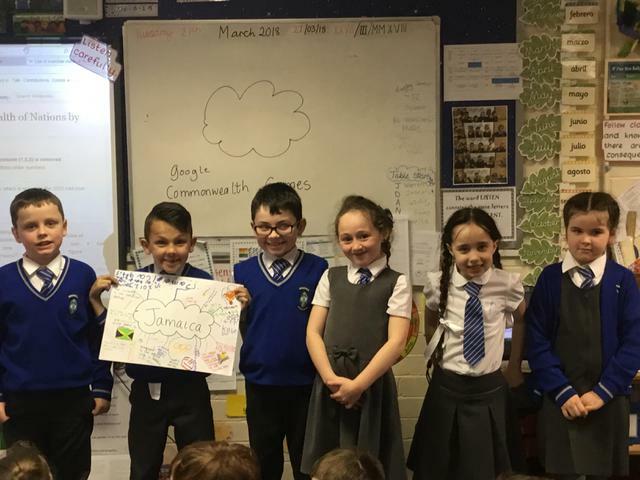 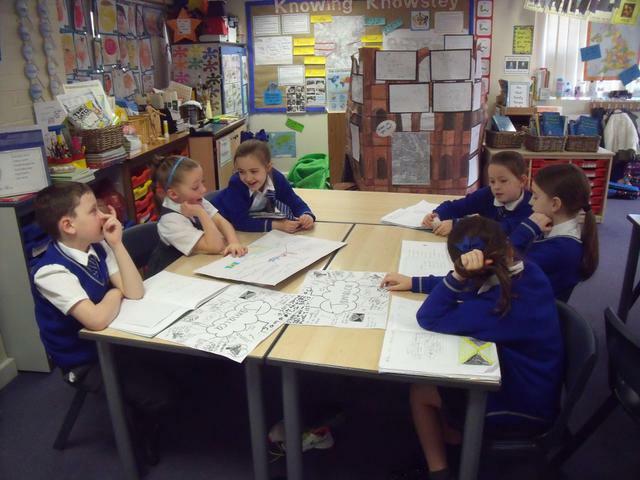 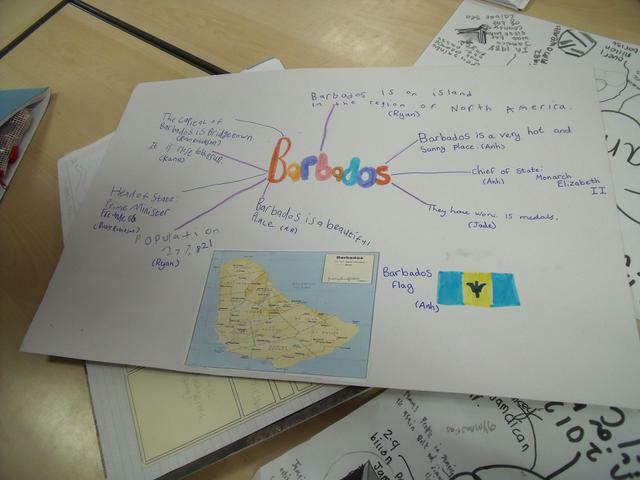 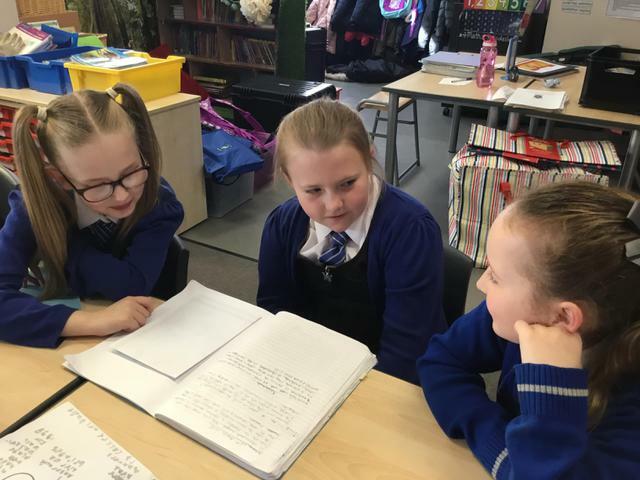 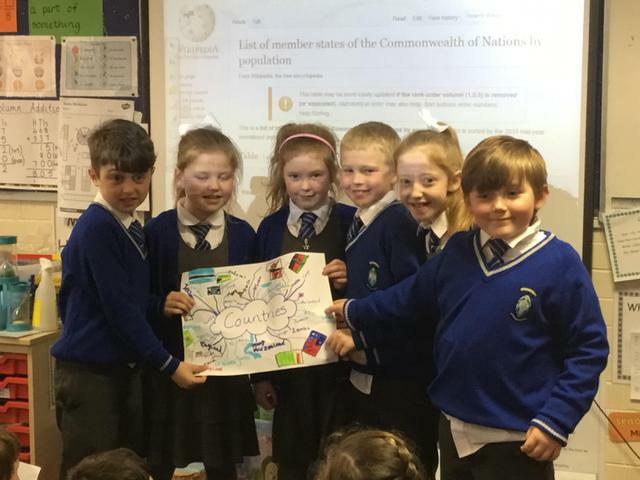 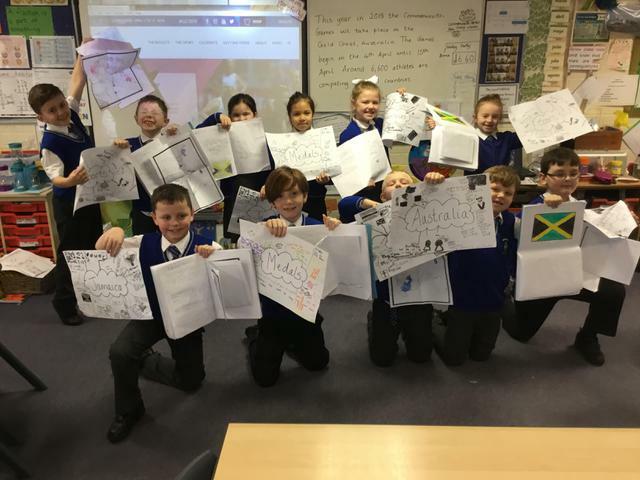 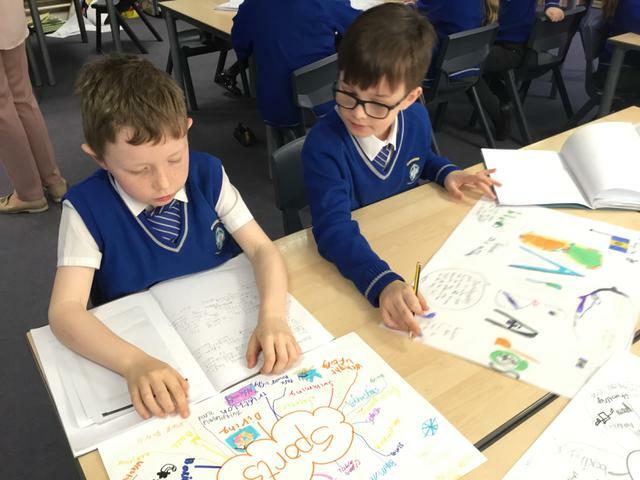 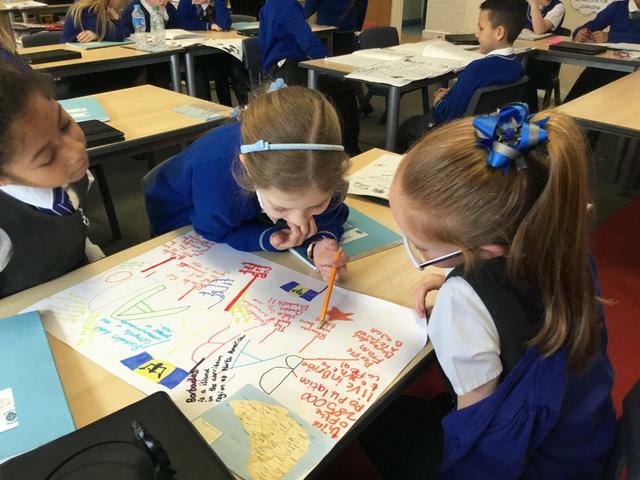 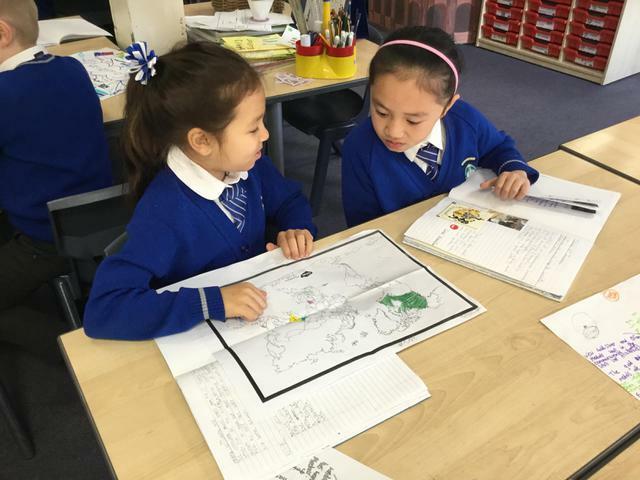 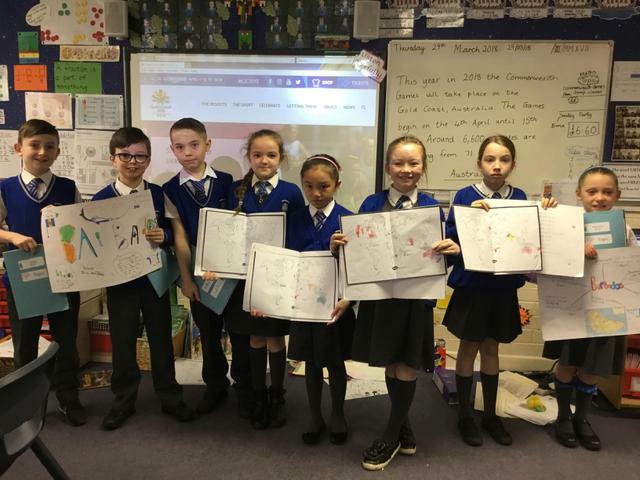 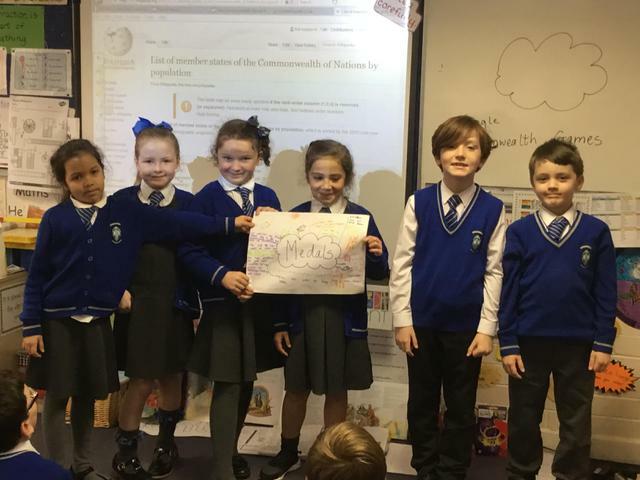 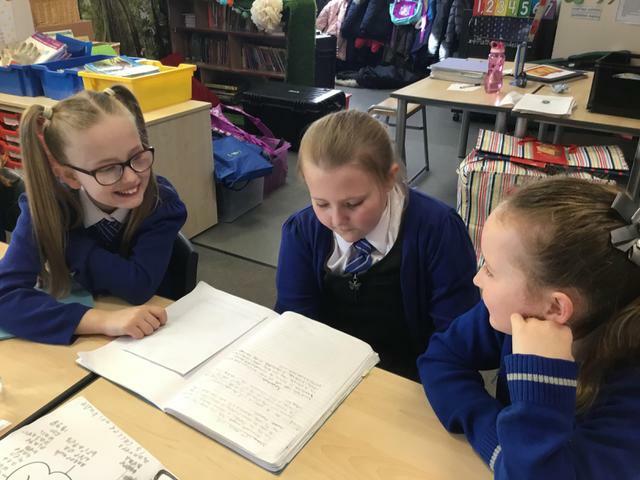 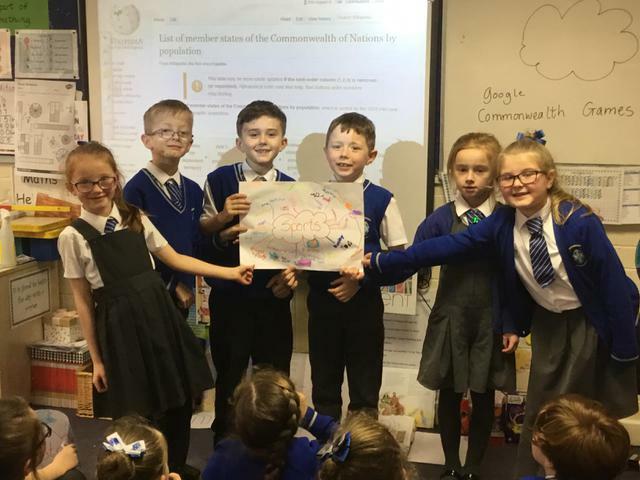 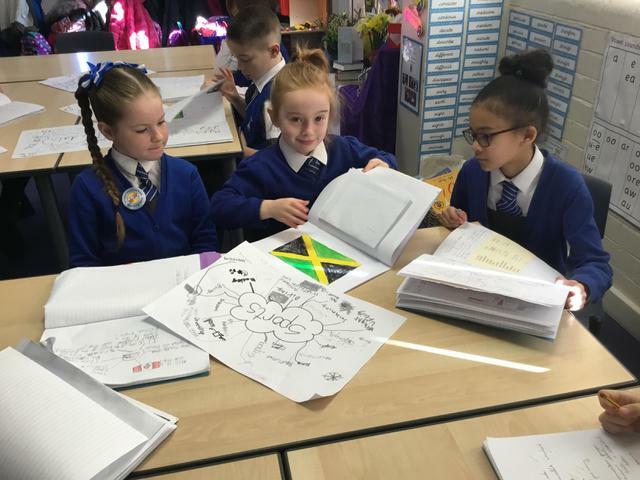 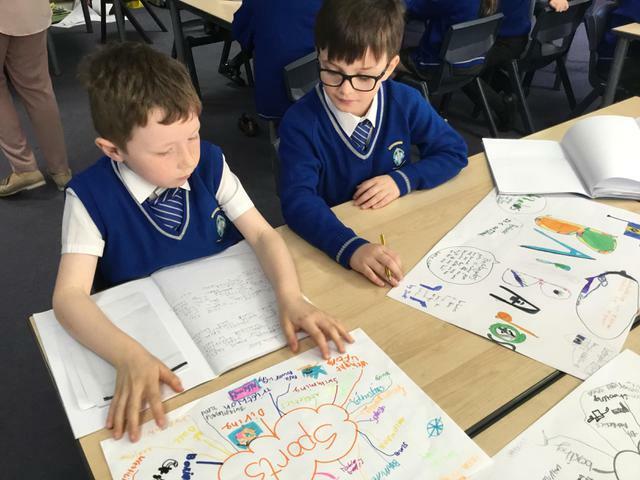 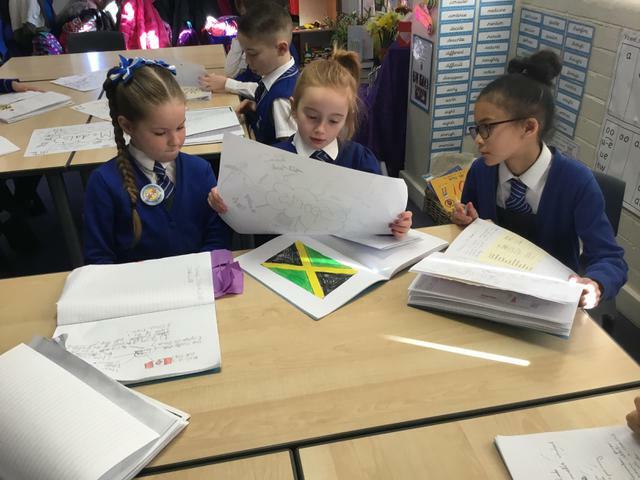 This week the children have been involved in researching the Commonwealth Games taking place in Gold Coast, Australia. 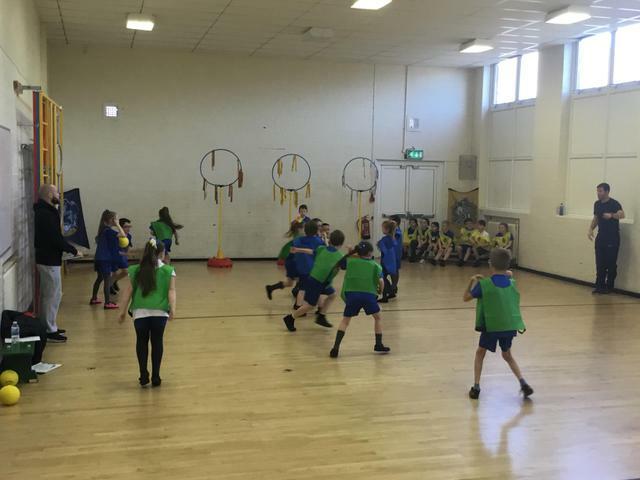 The Games will take place in the Easter holidays with 71 nations and territories taking part in 20 sports with over 6,600 athletes. 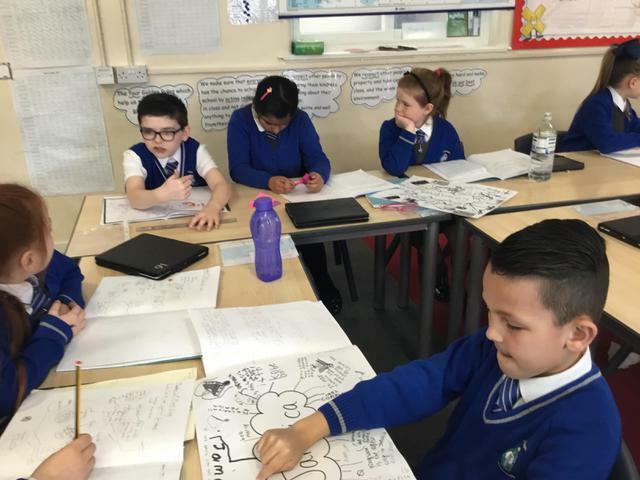 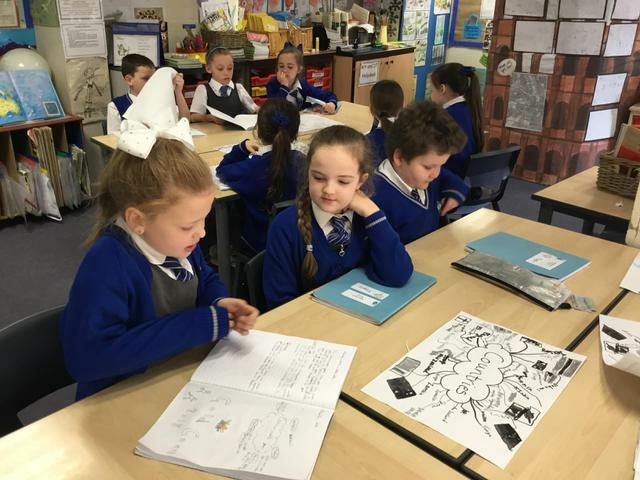 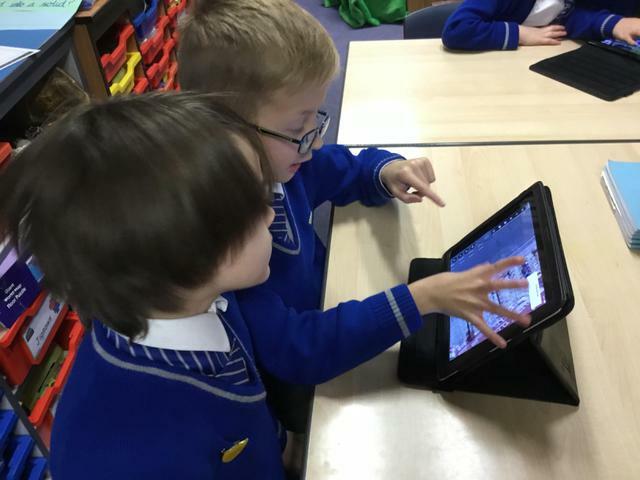 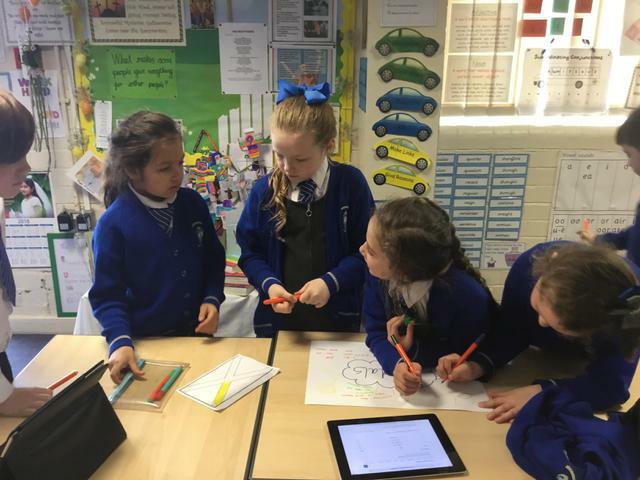 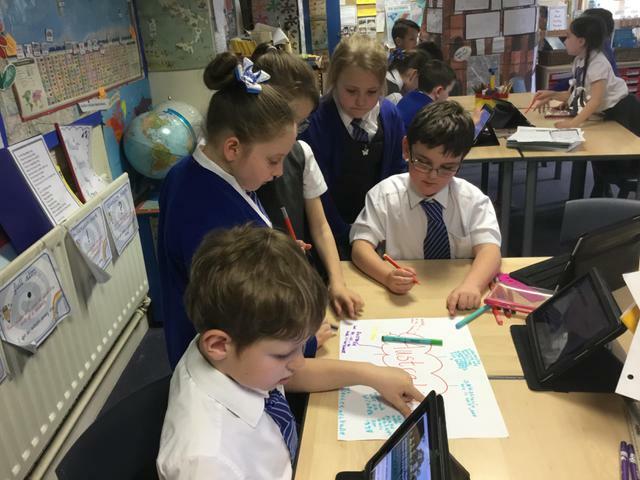 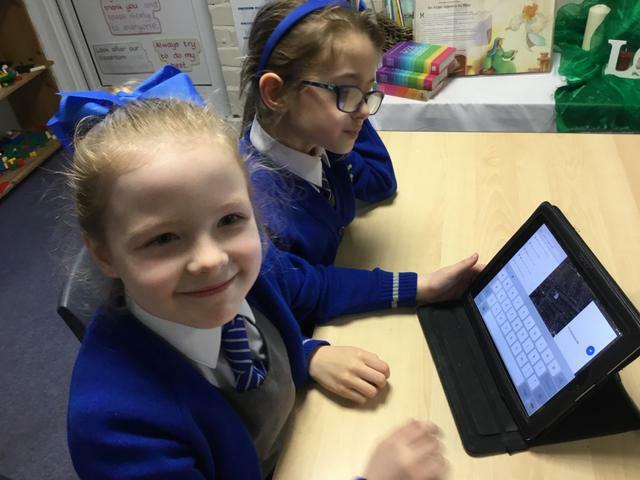 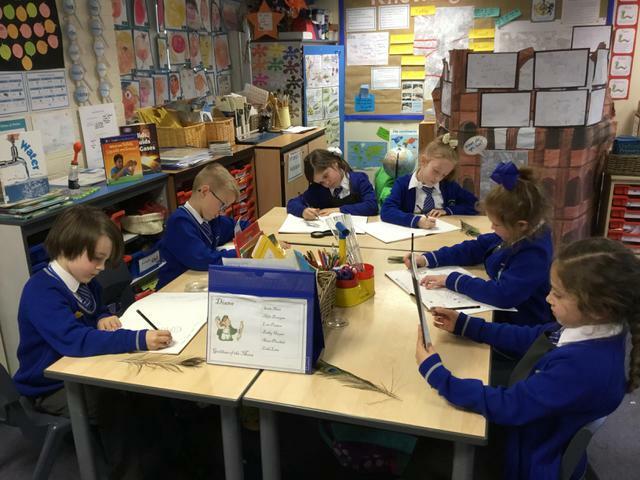 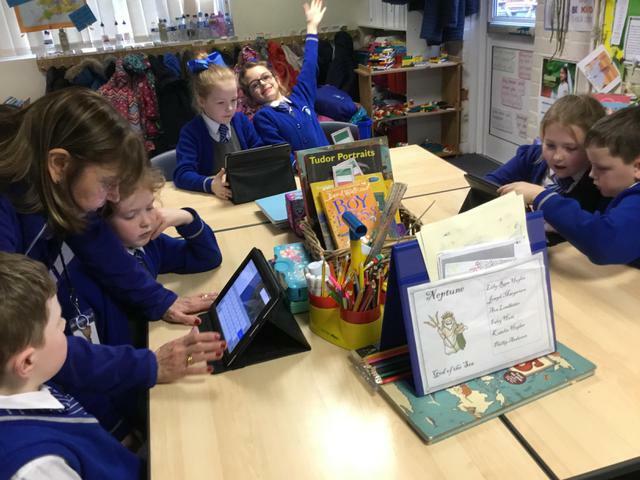 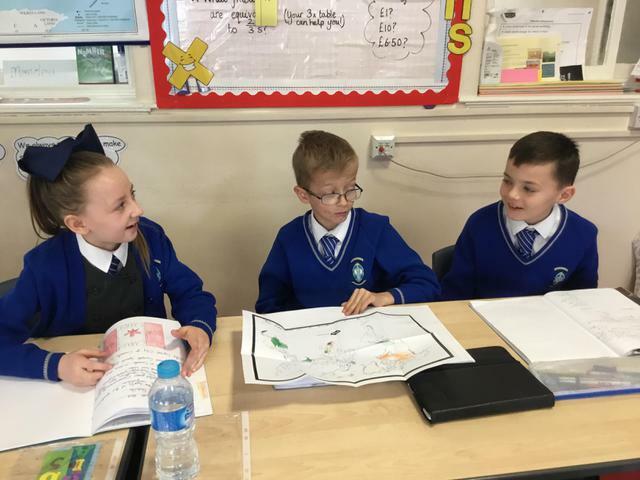 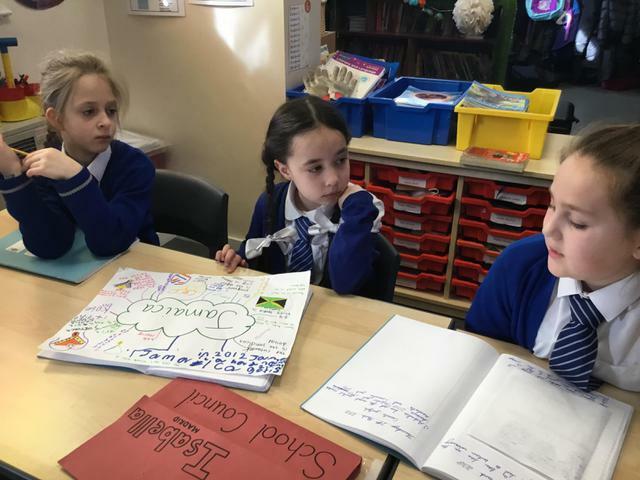 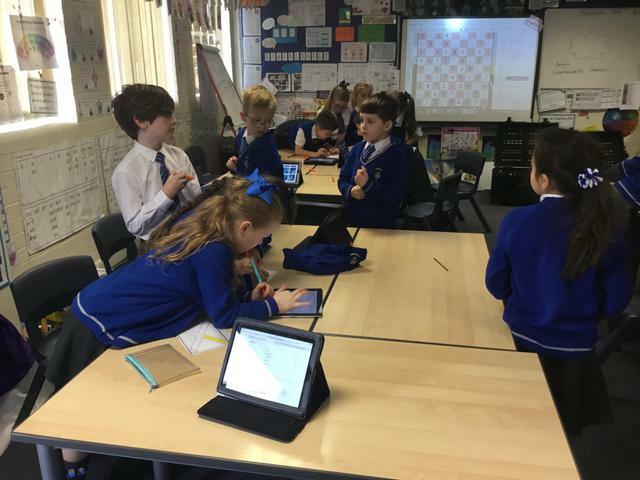 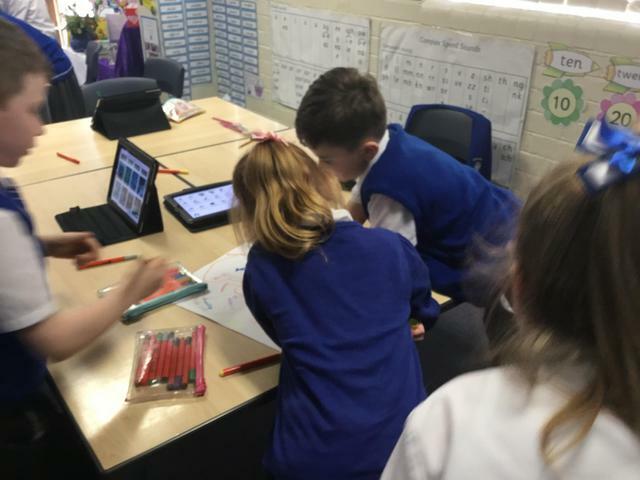 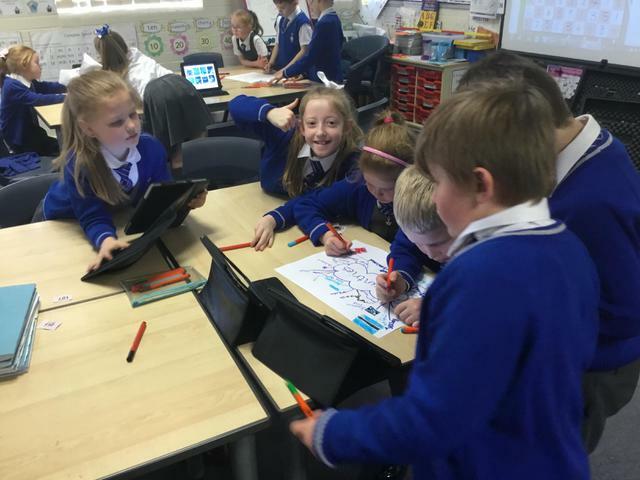 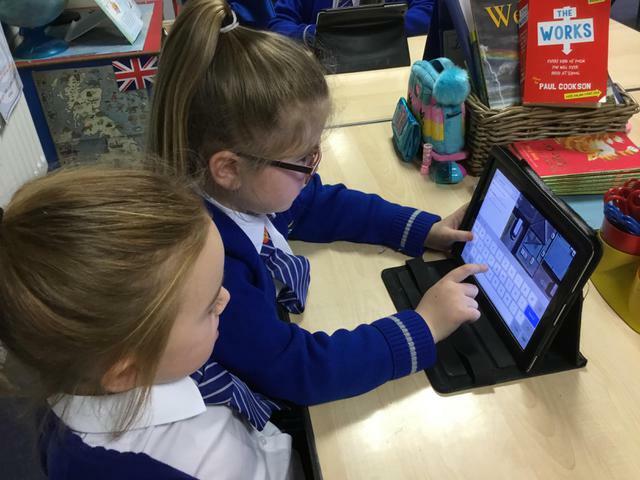 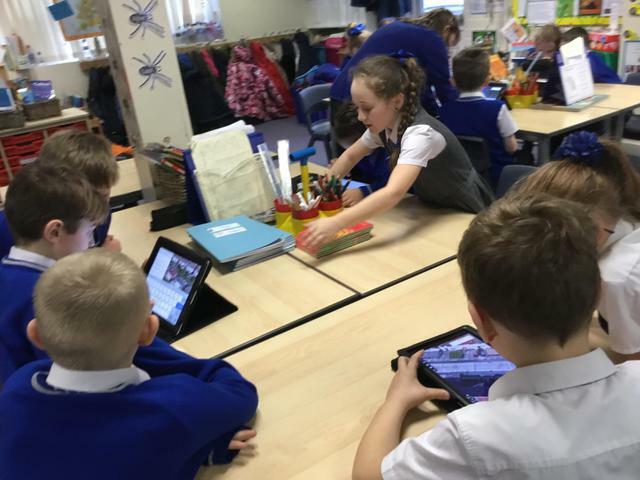 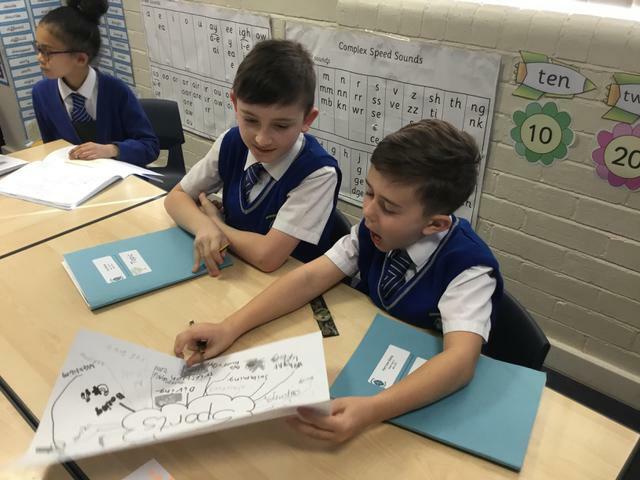 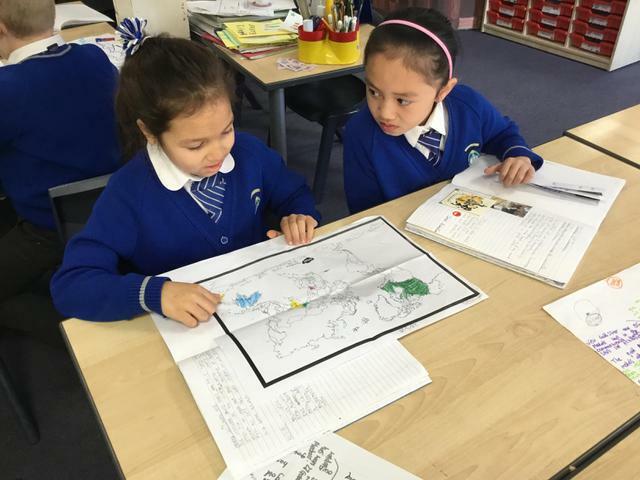 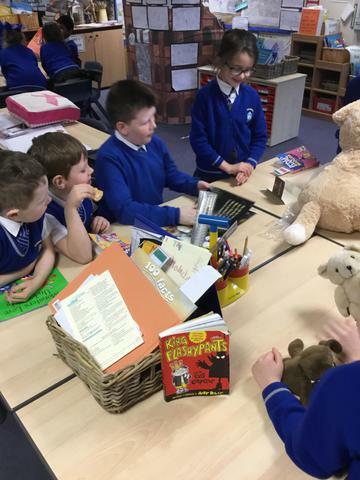 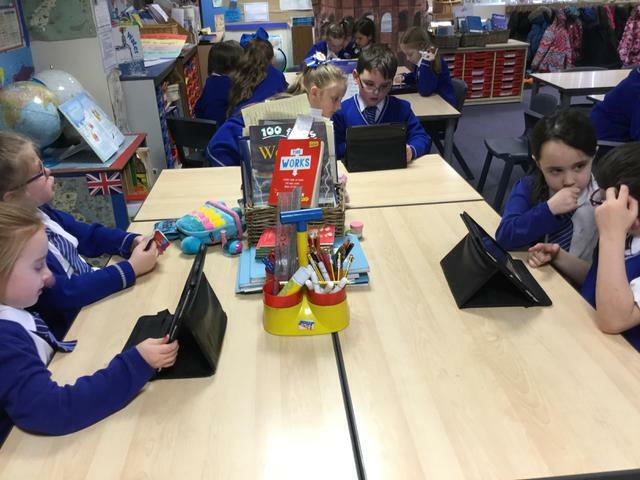 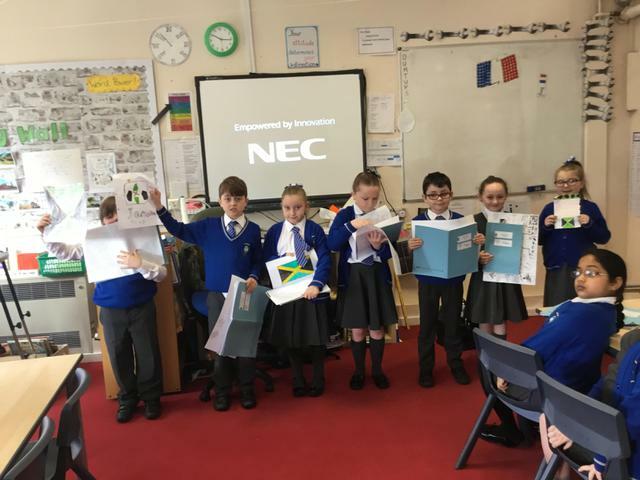 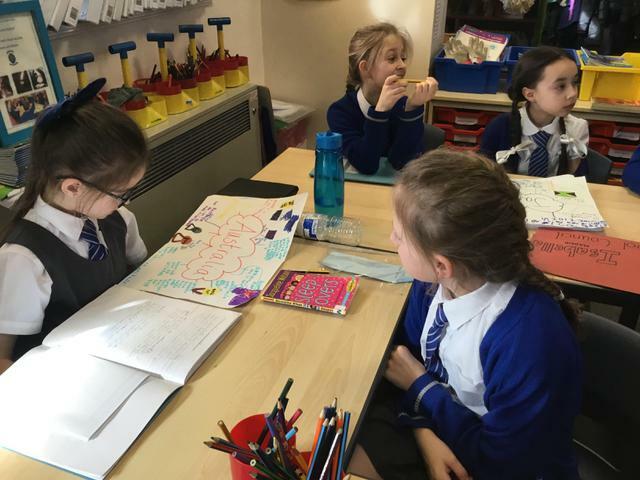 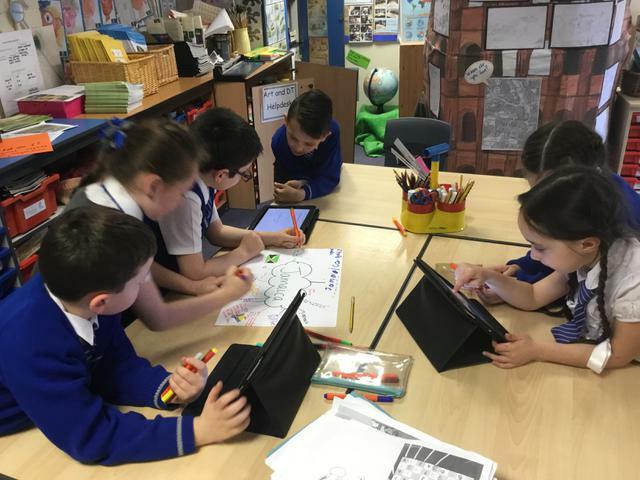 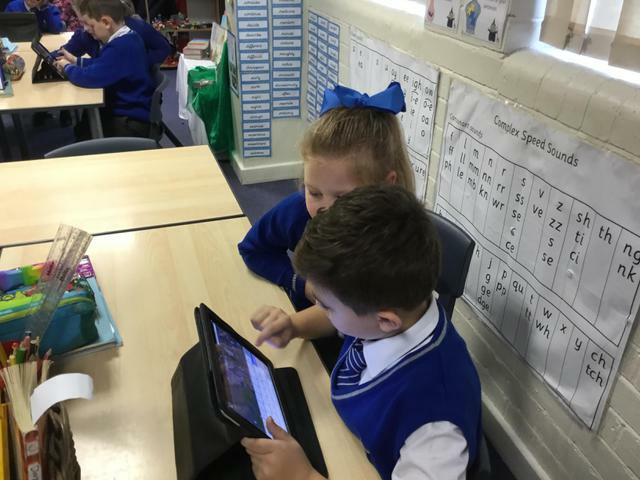 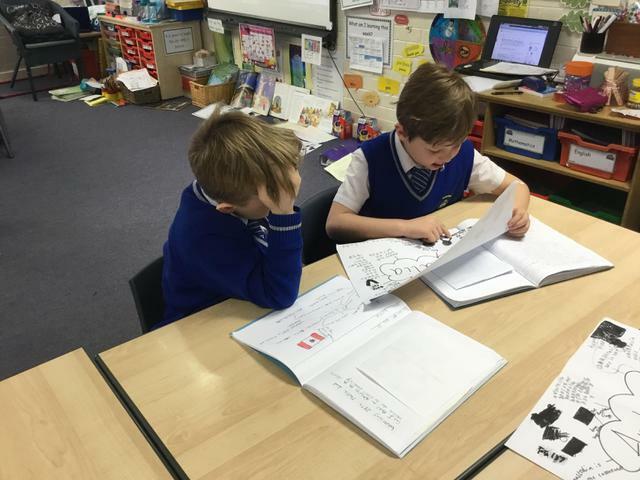 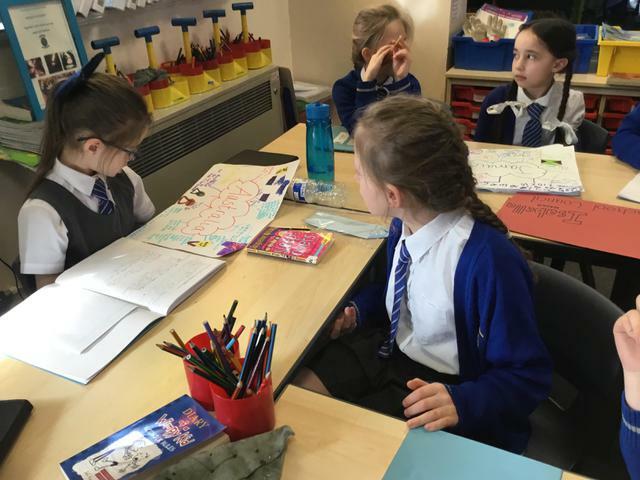 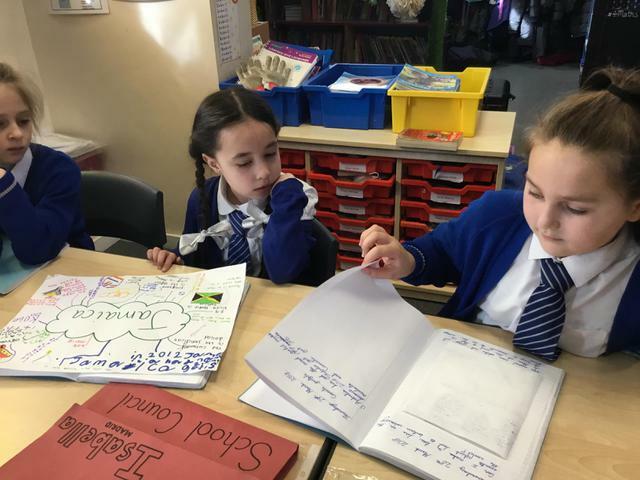 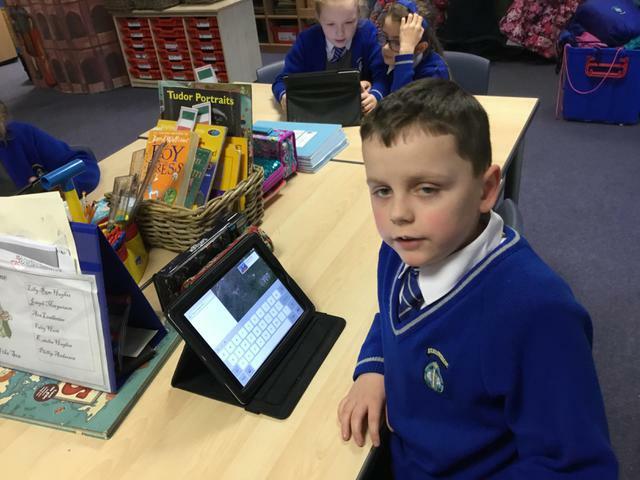 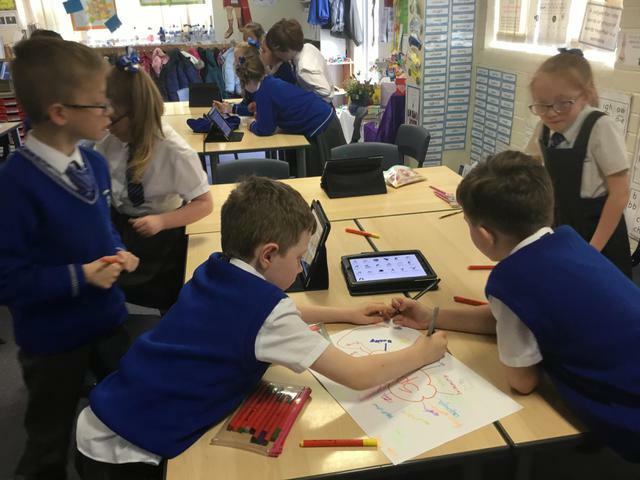 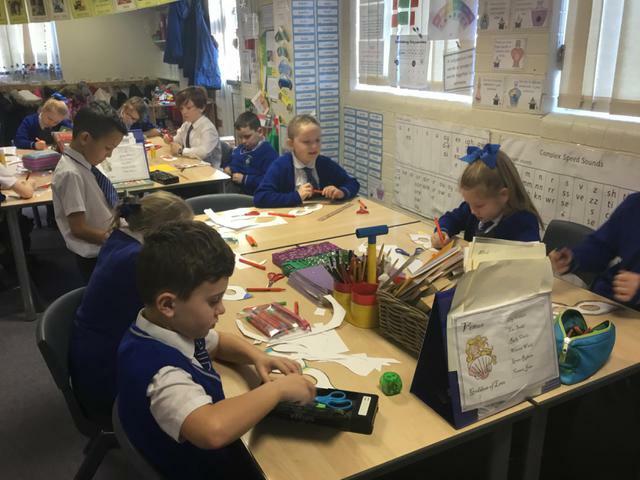 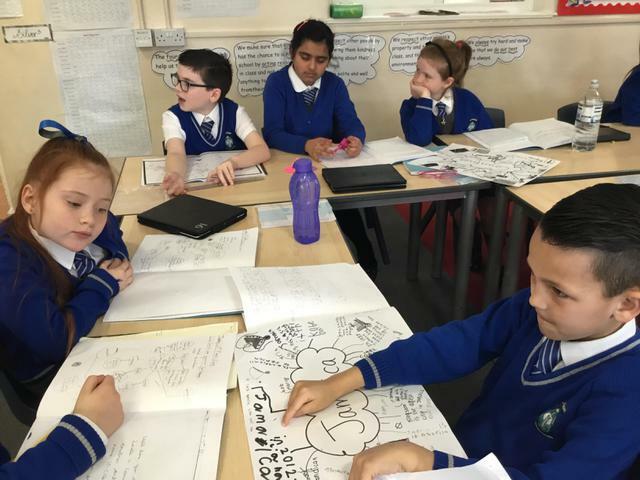 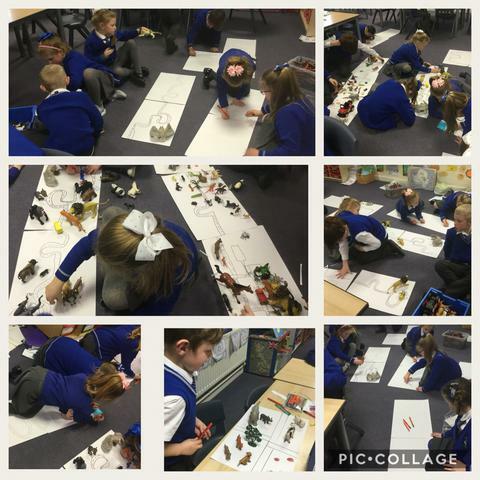 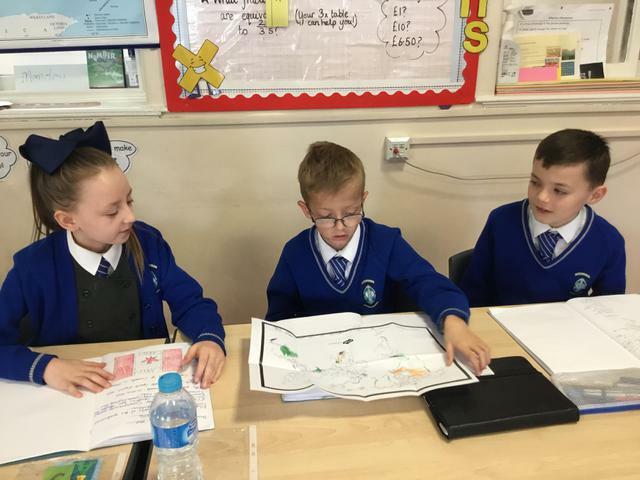 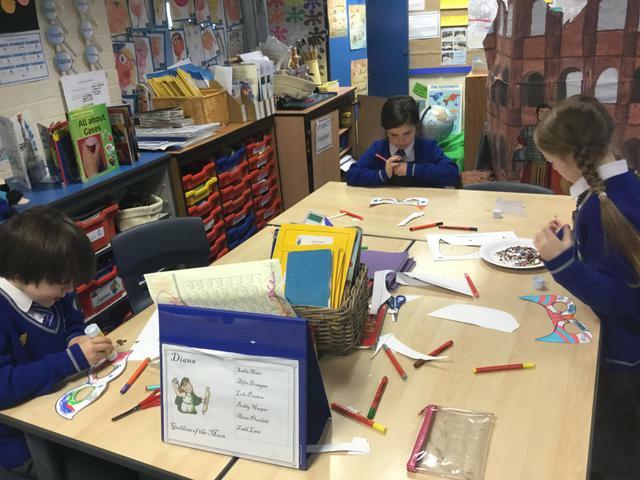 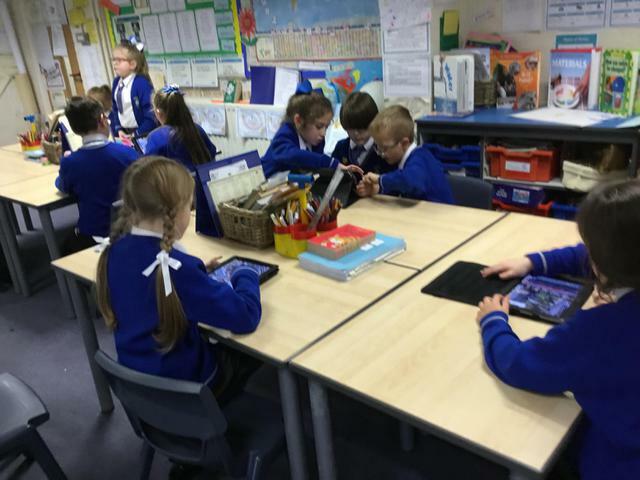 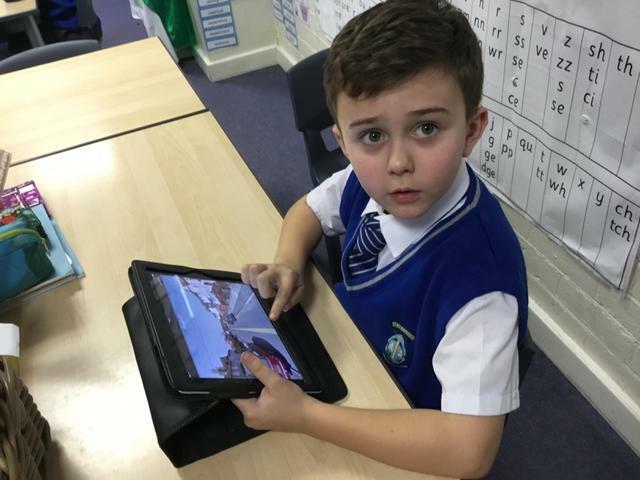 The children have used iPads to help them with their research, they have discussed their findings with other children from classes Paris and Madrid. 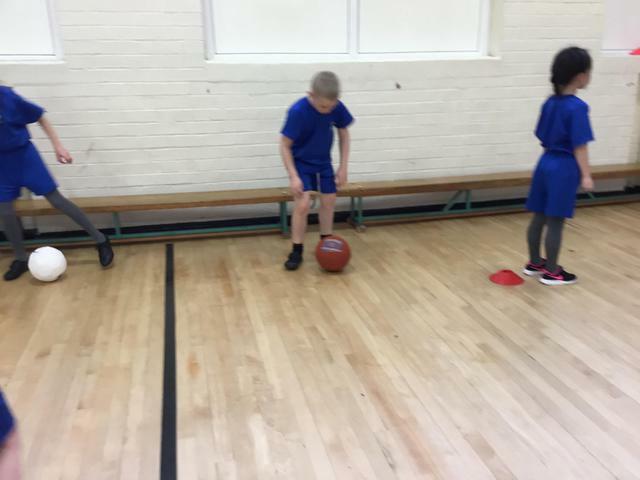 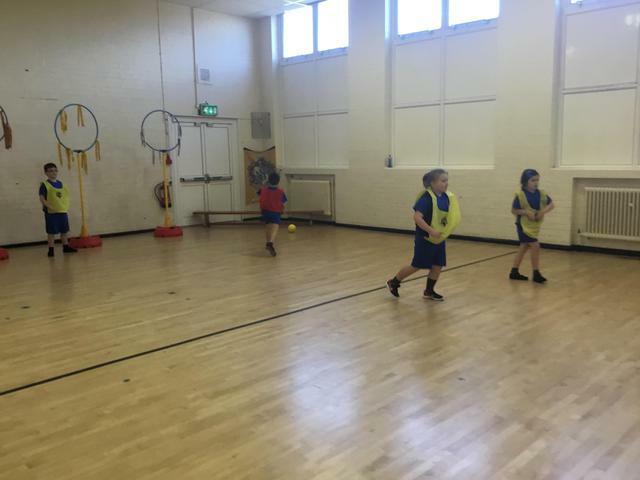 Hopefully over Easter the children will have watched some of the Games to help them with their work after the holidays! 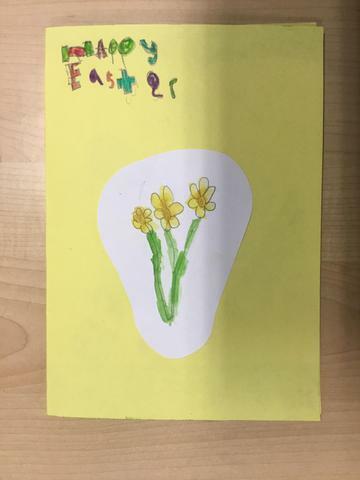 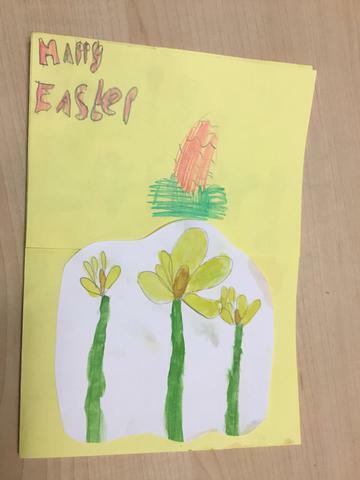 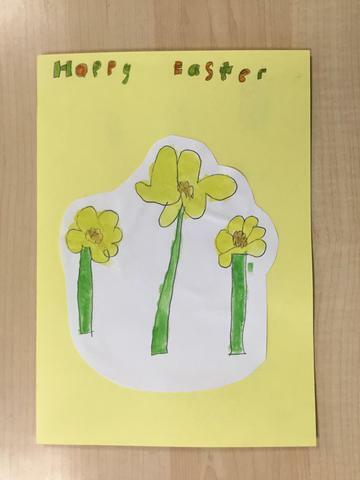 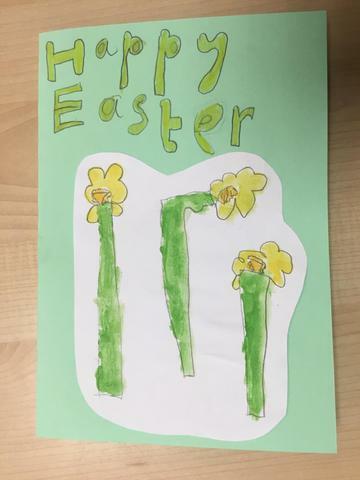 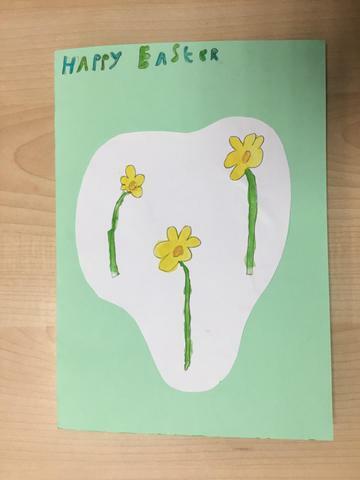 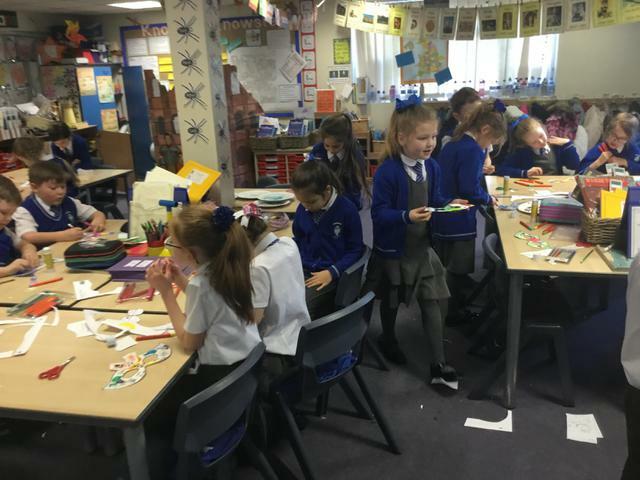 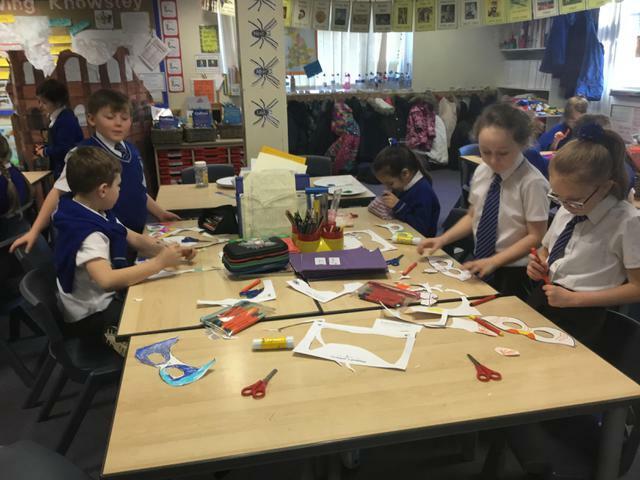 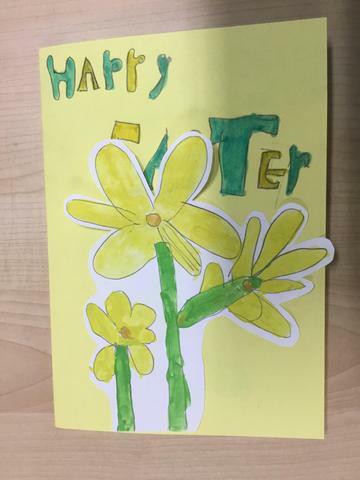 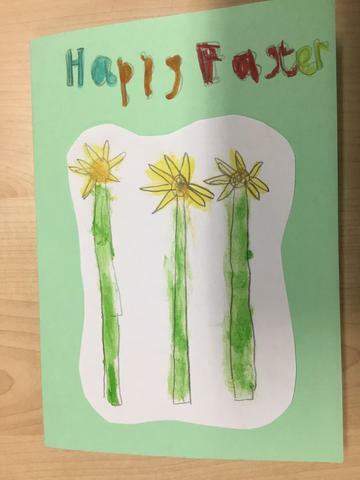 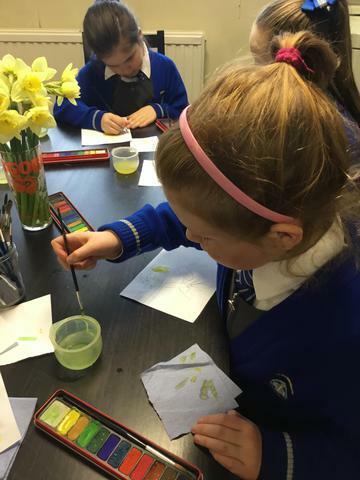 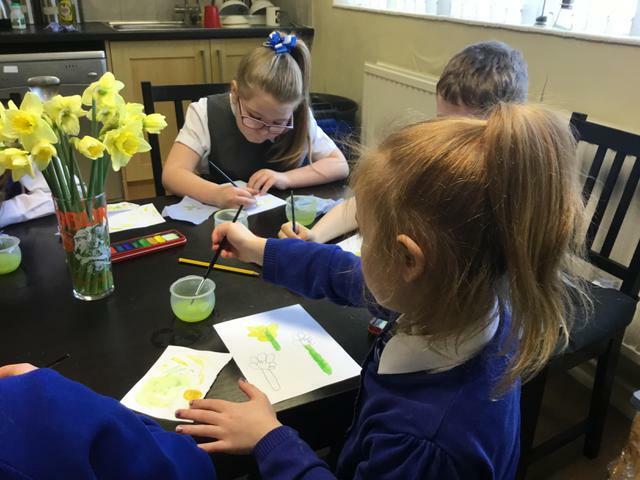 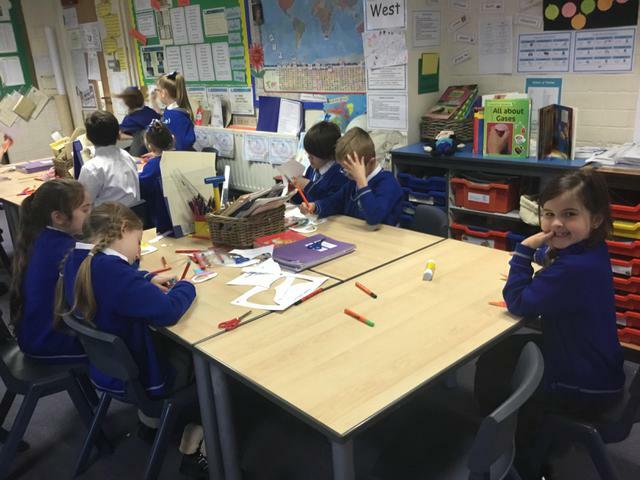 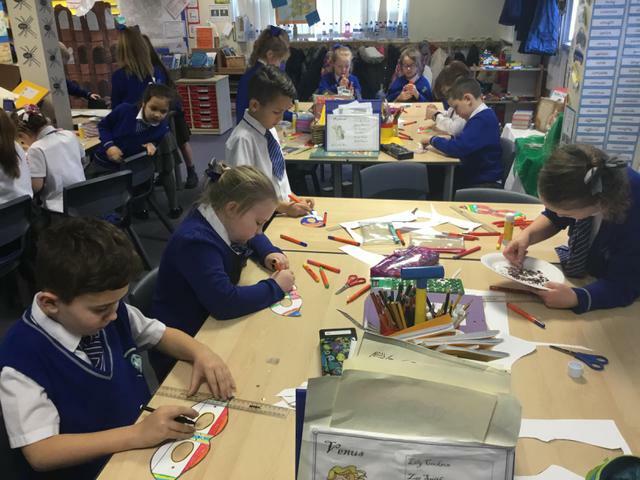 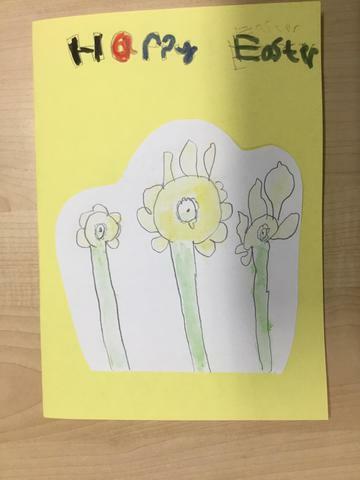 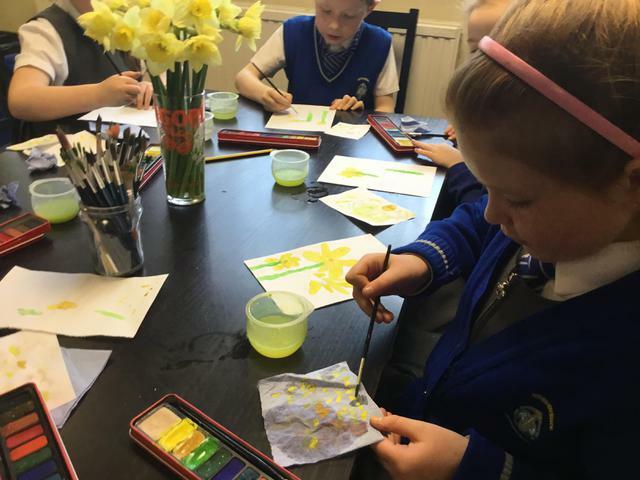 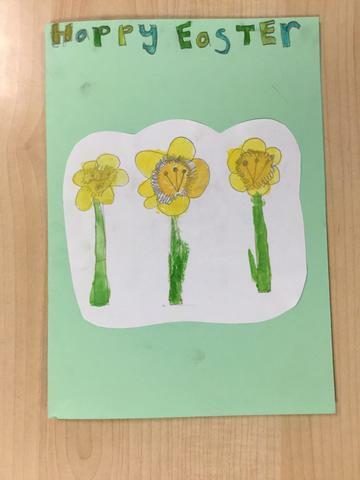 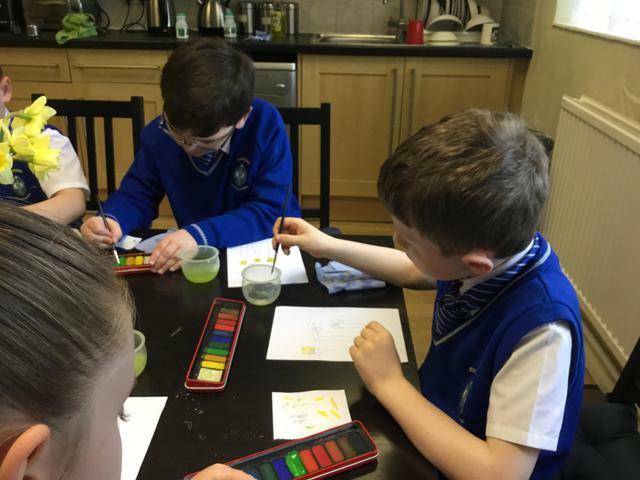 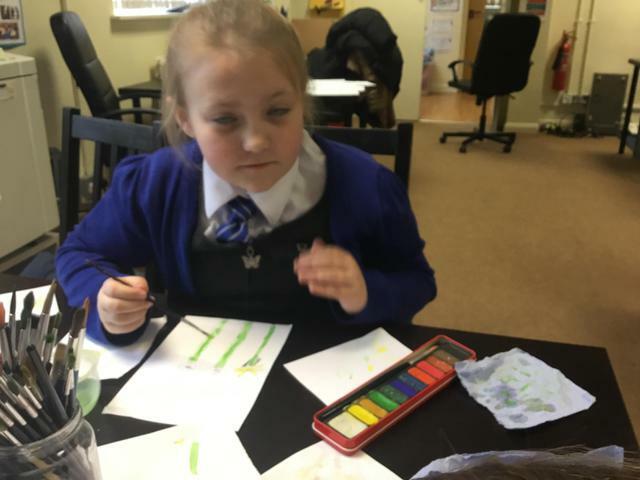 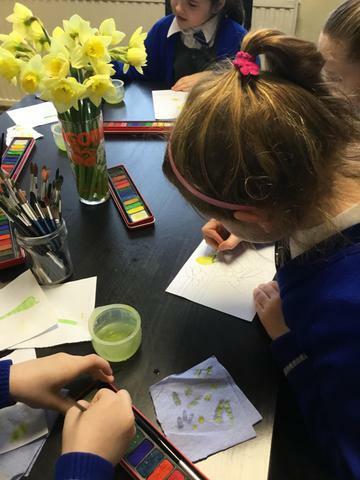 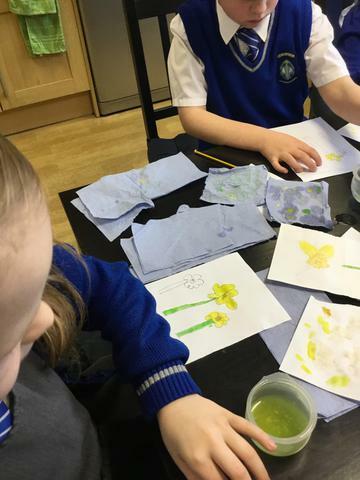 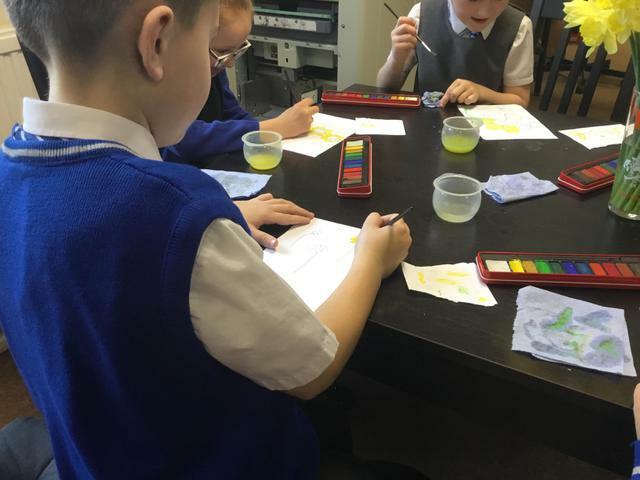 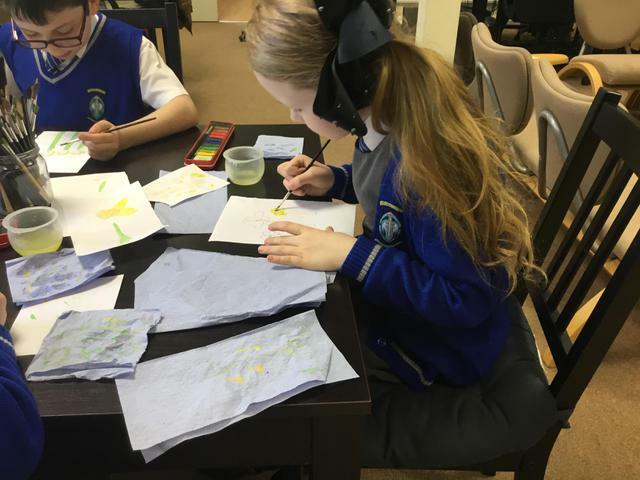 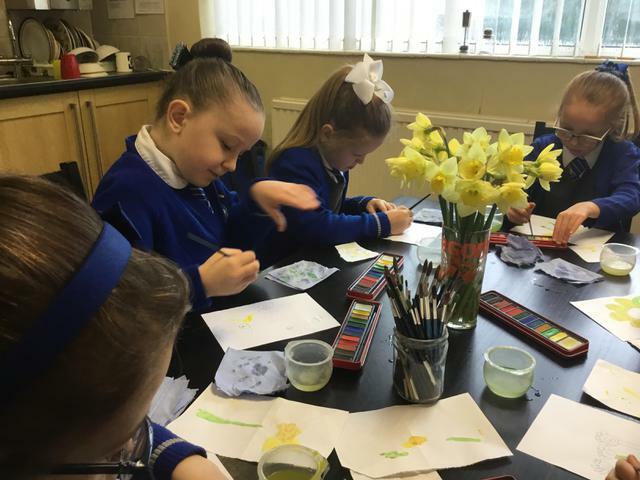 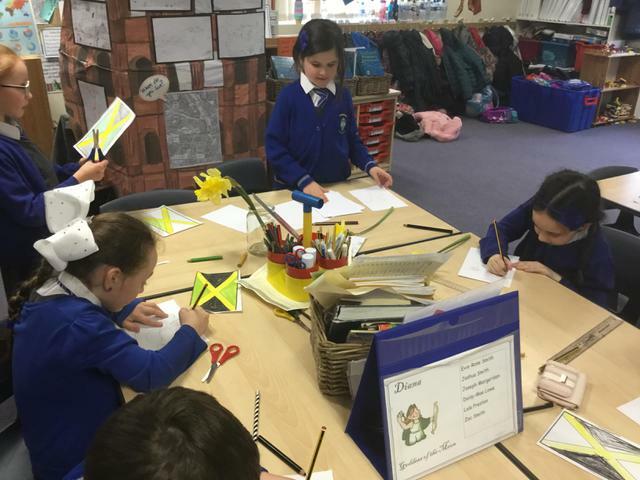 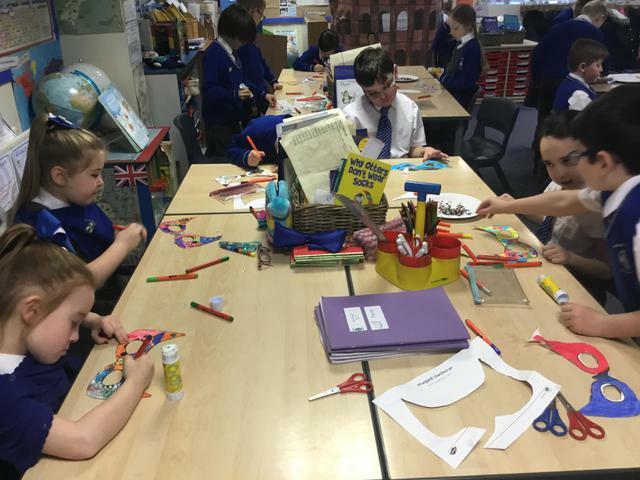 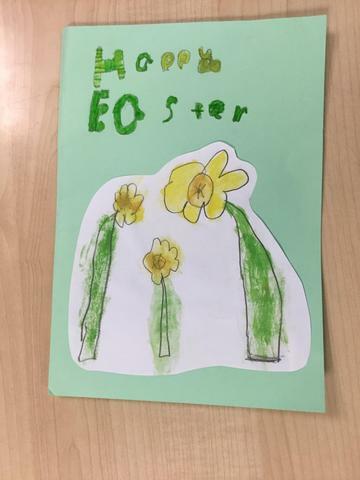 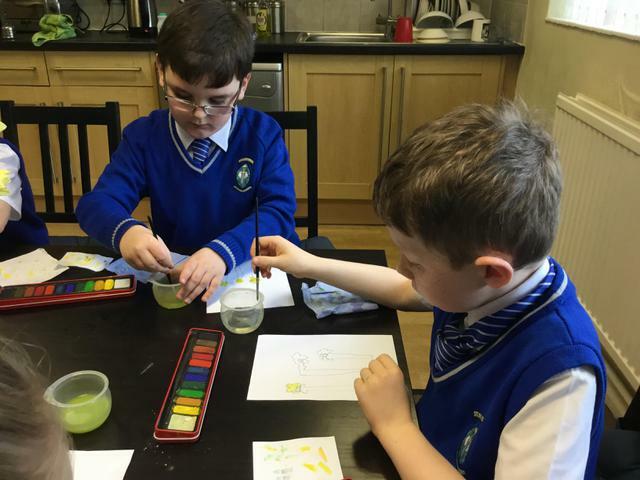 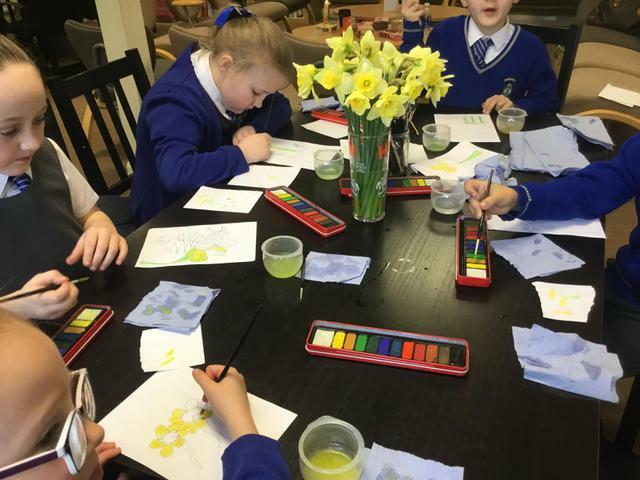 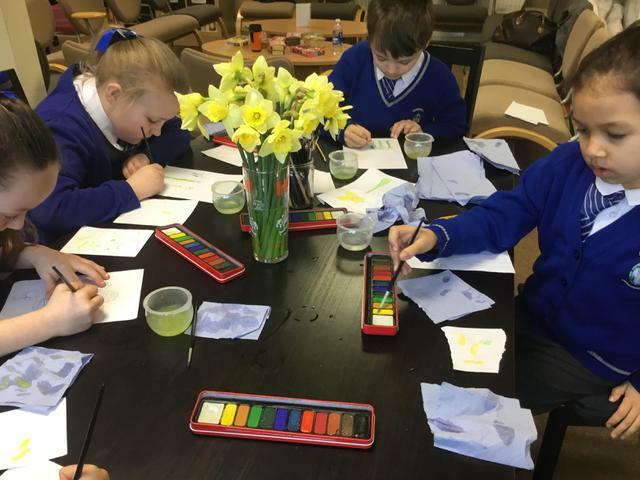 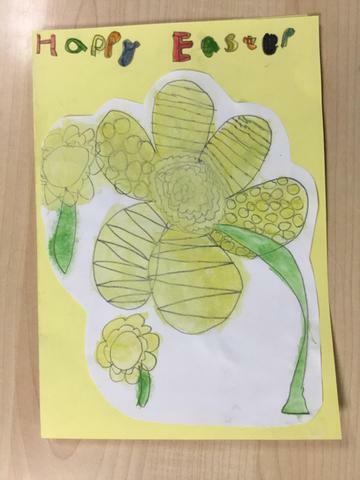 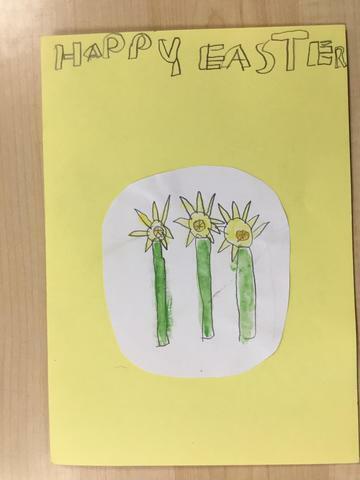 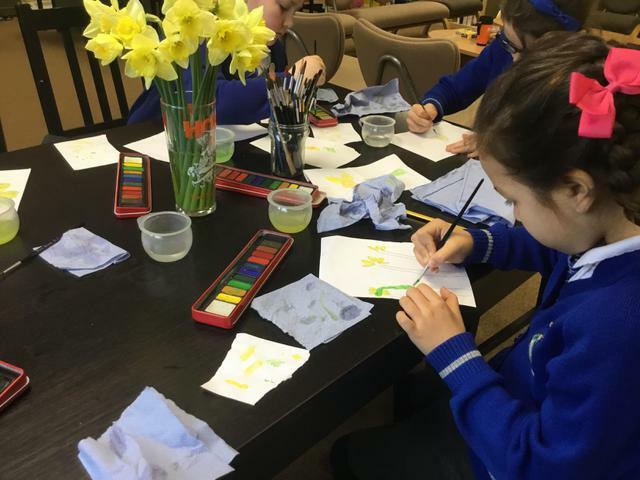 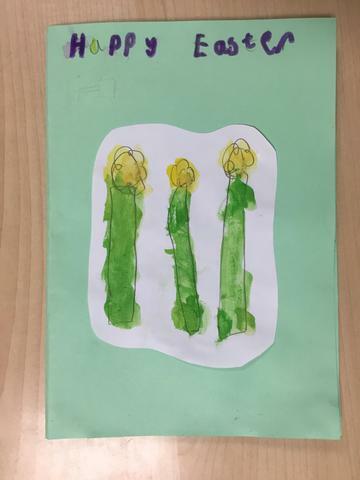 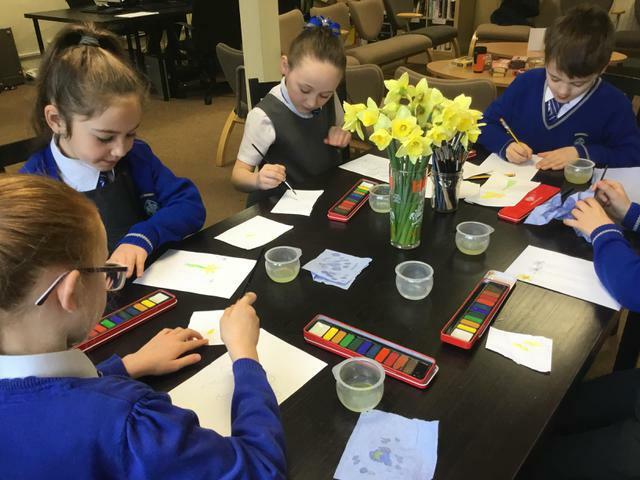 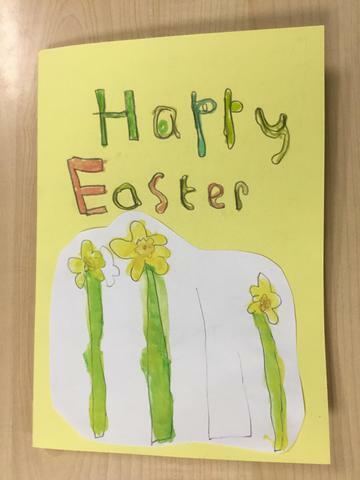 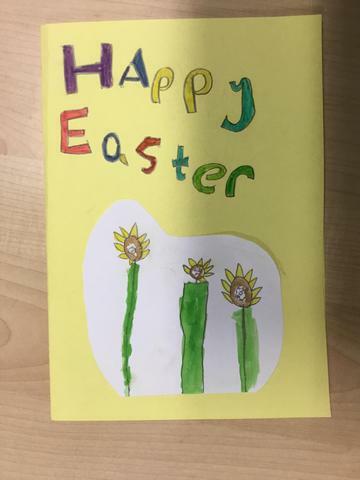 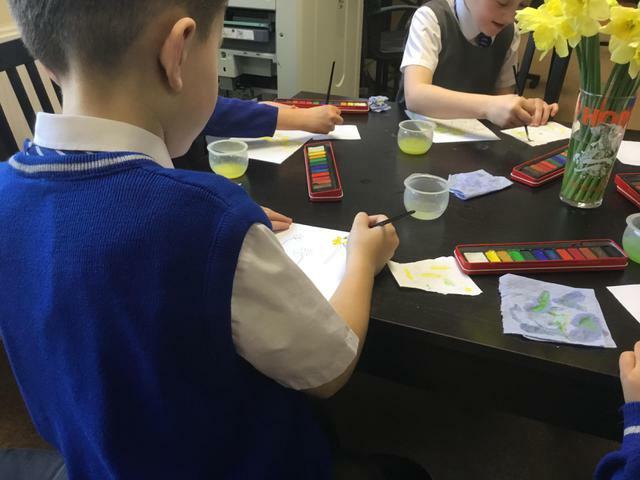 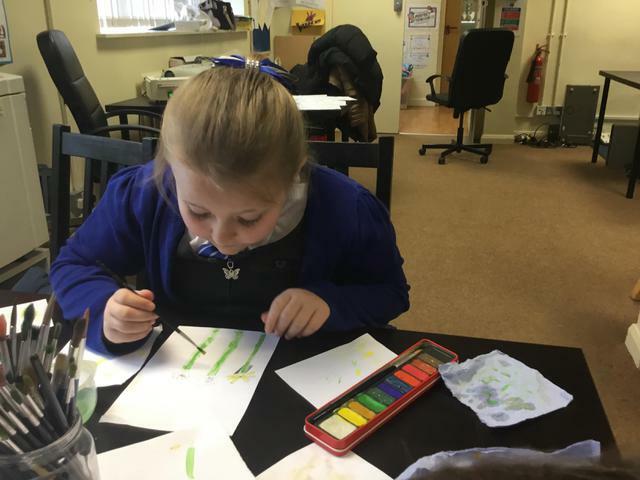 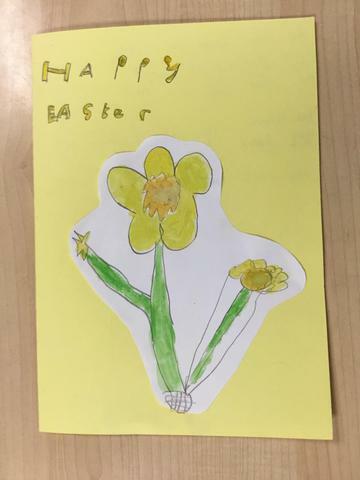 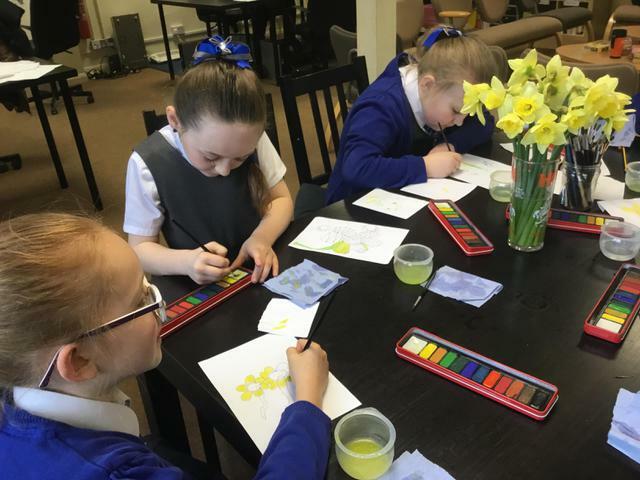 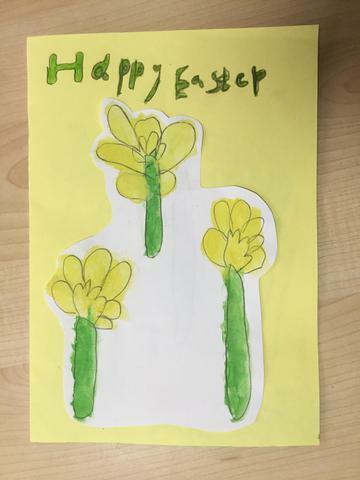 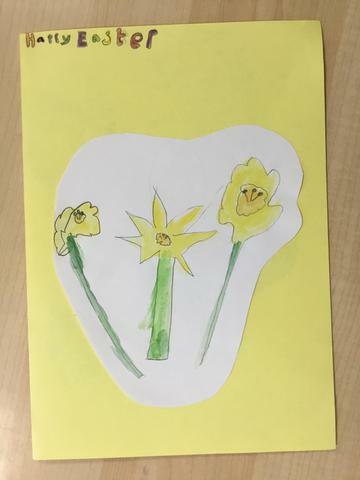 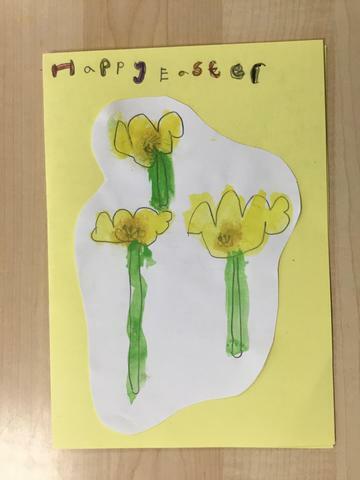 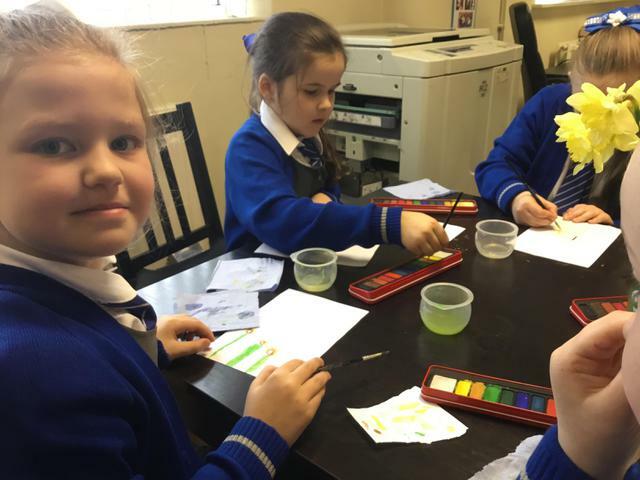 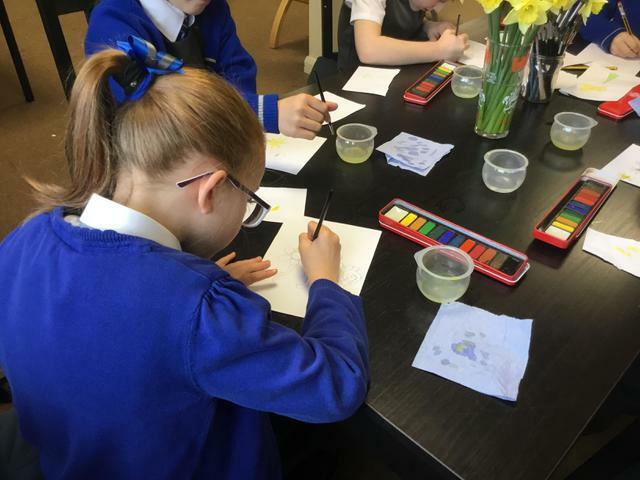 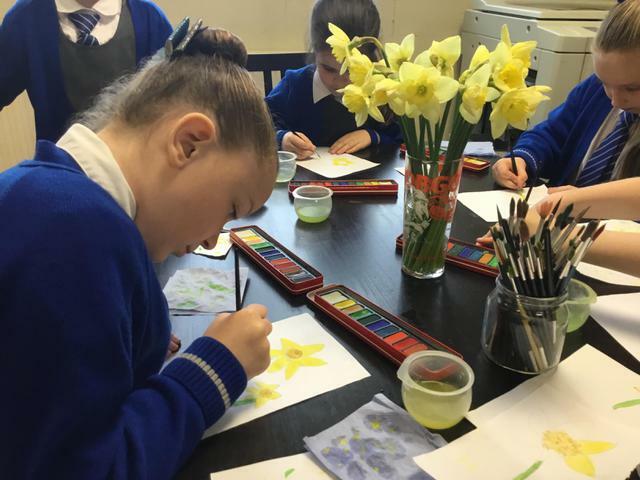 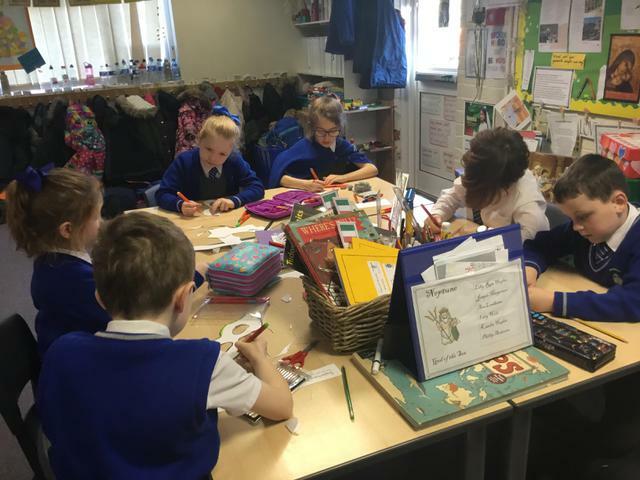 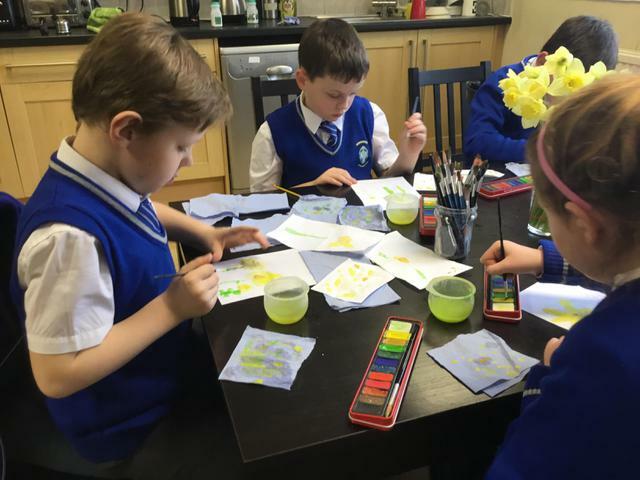 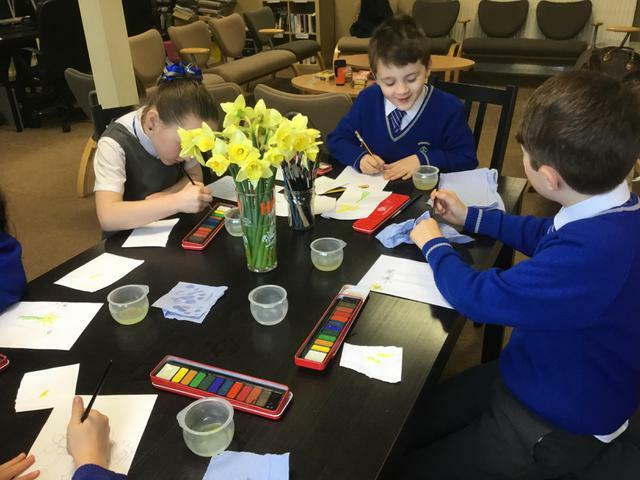 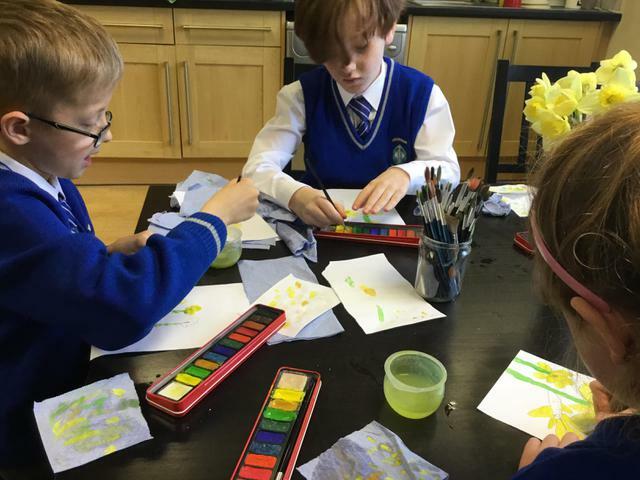 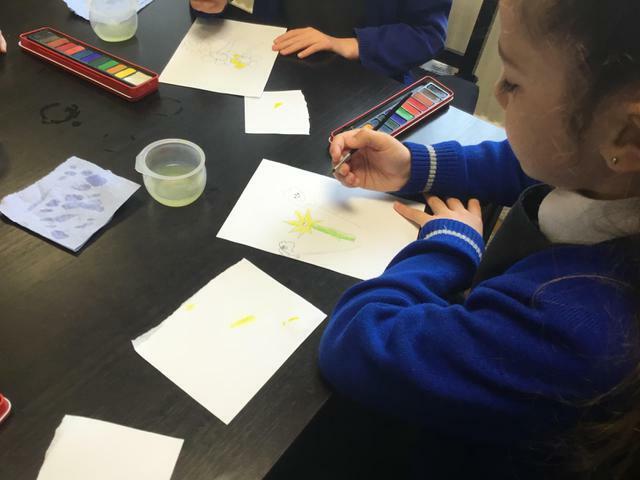 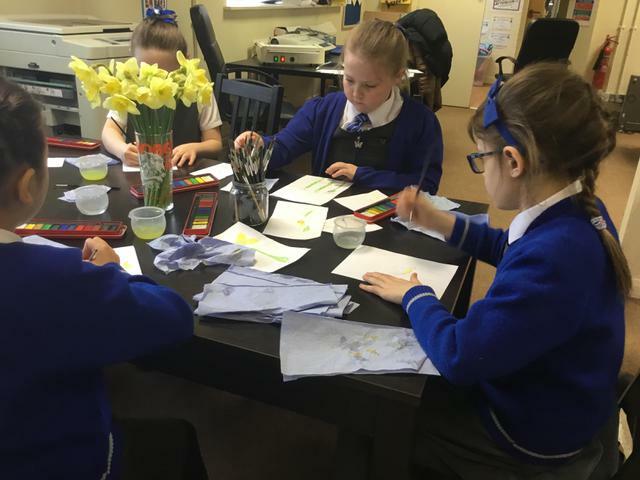 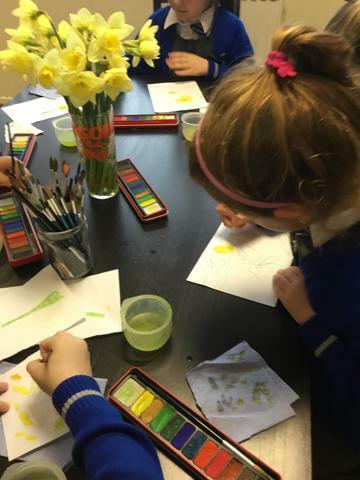 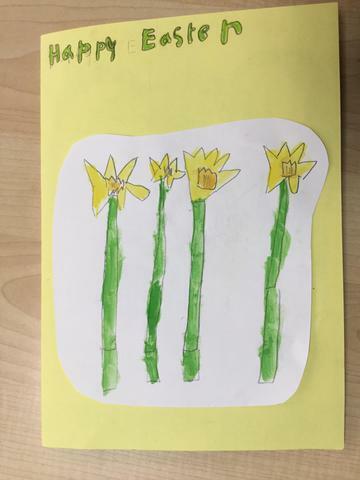 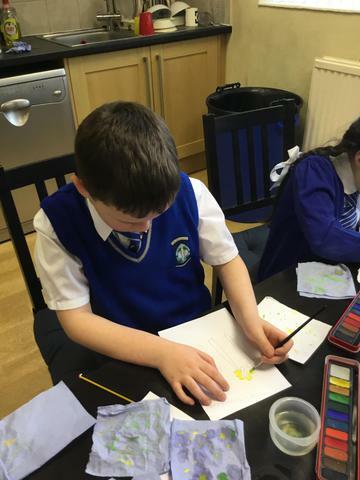 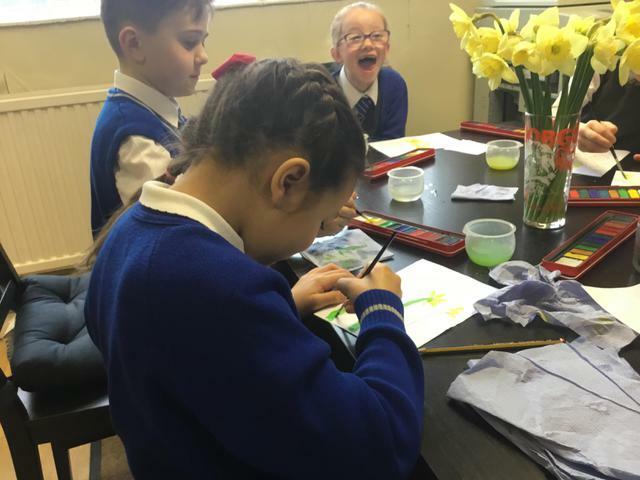 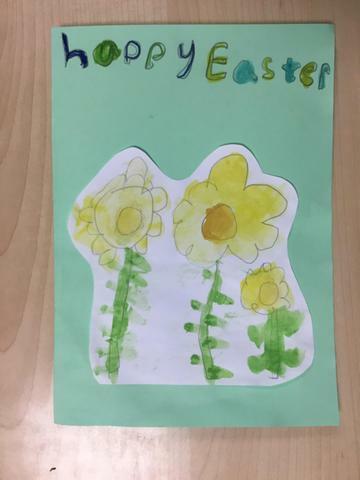 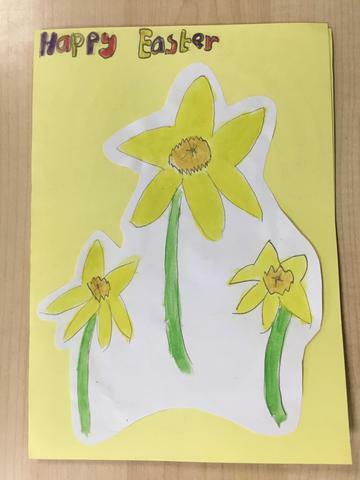 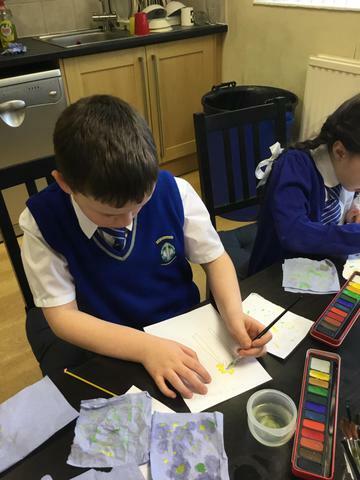 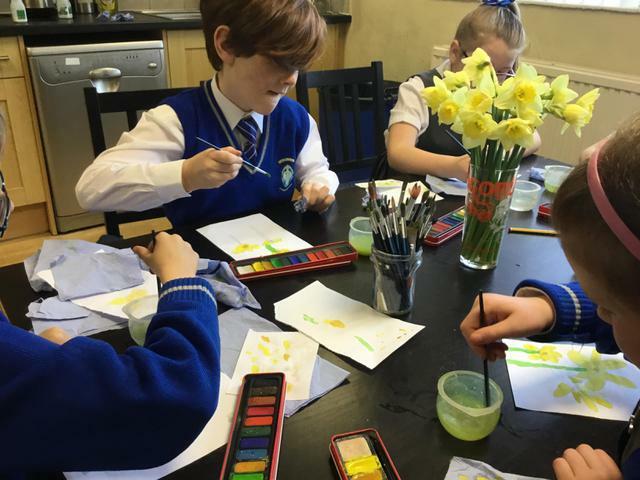 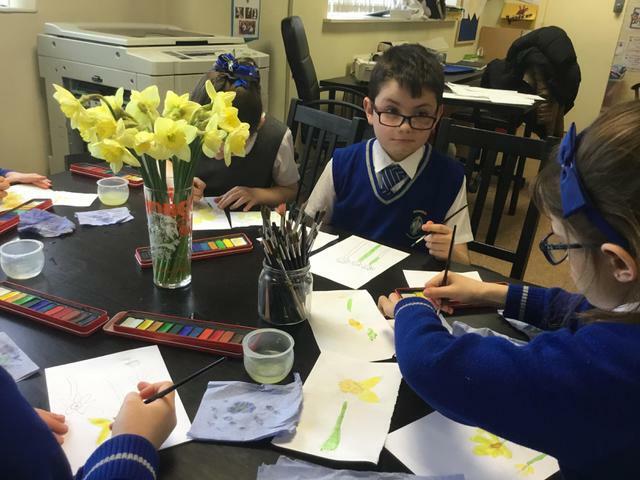 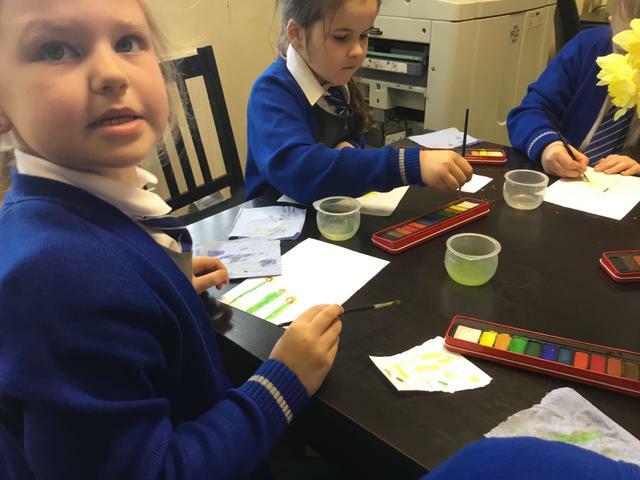 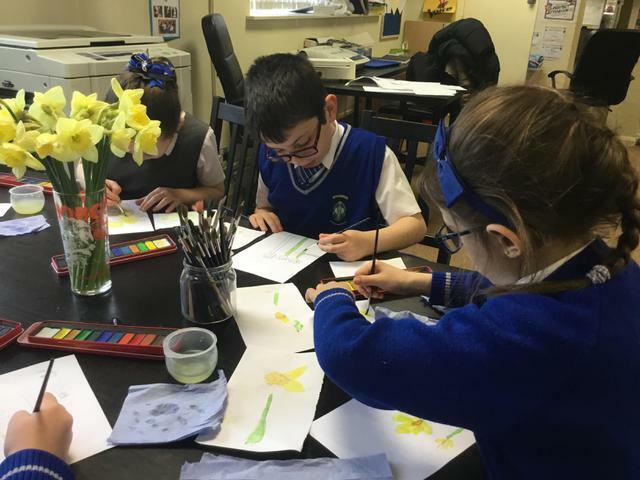 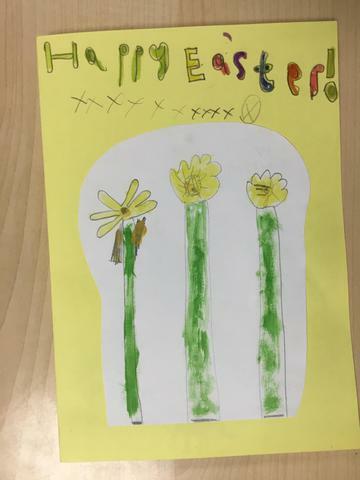 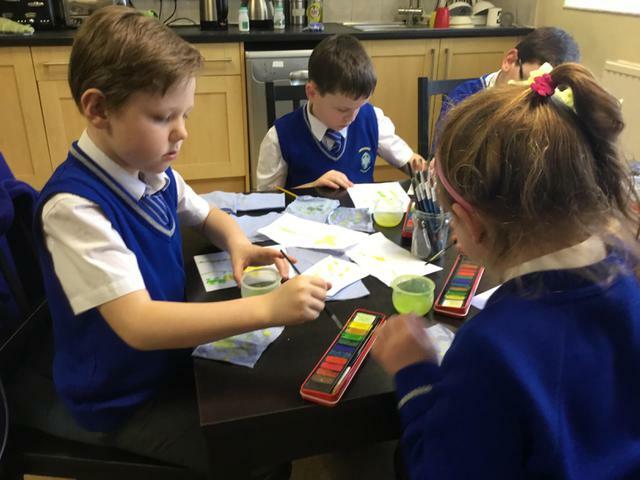 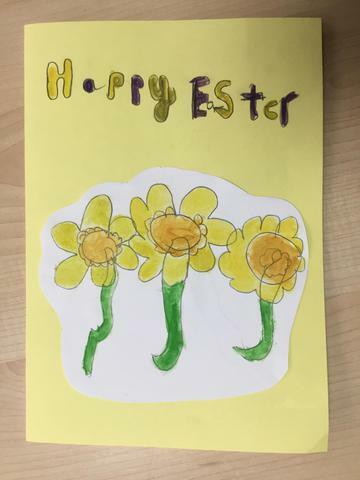 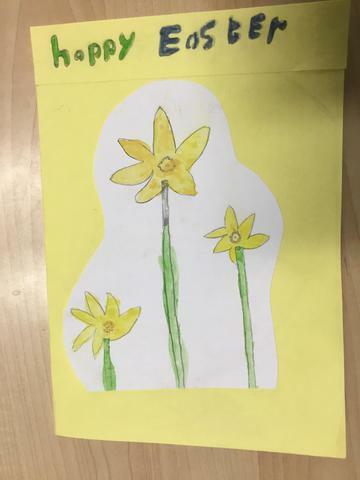 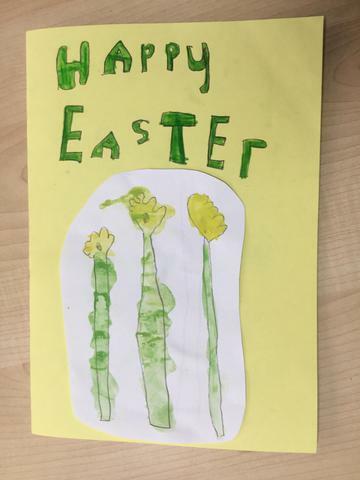 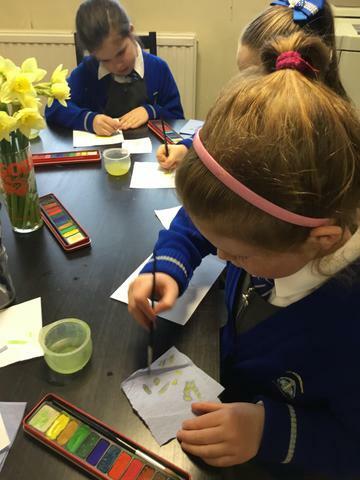 The children enjoyed drawing and painting daffodils for their Easter cards. 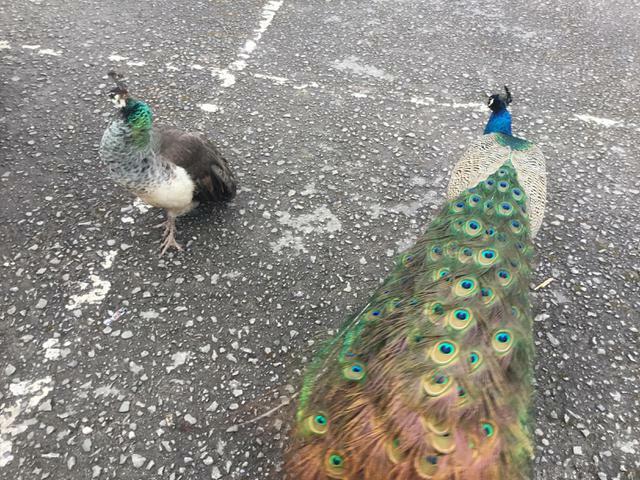 All different and all beautiful! 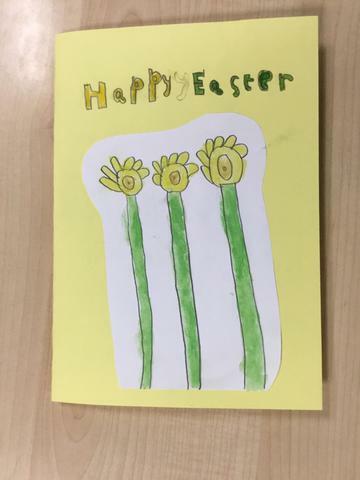 I hoped you appreciated their artistic endeavours! 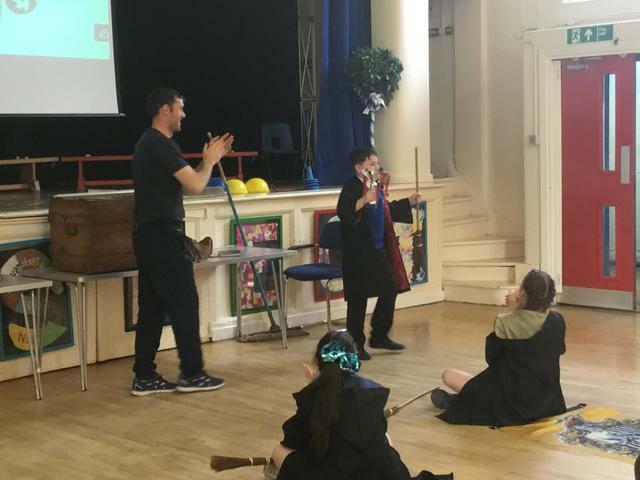 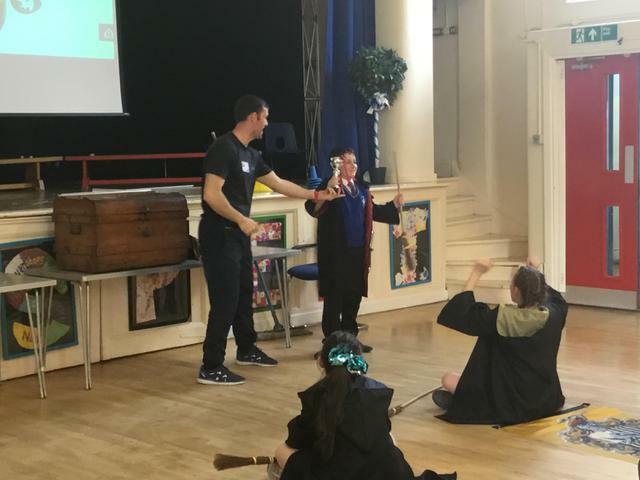 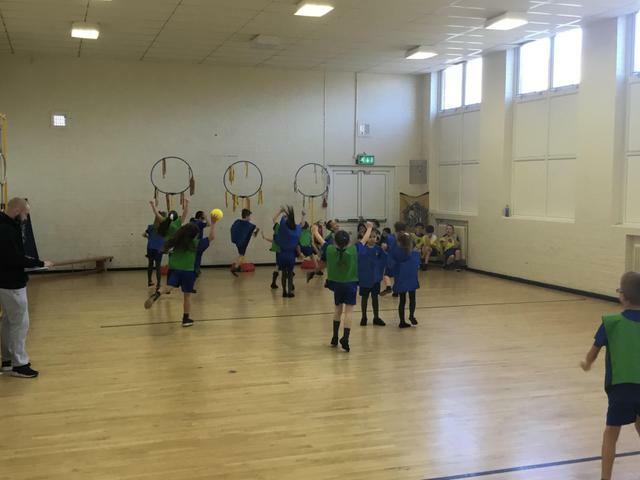 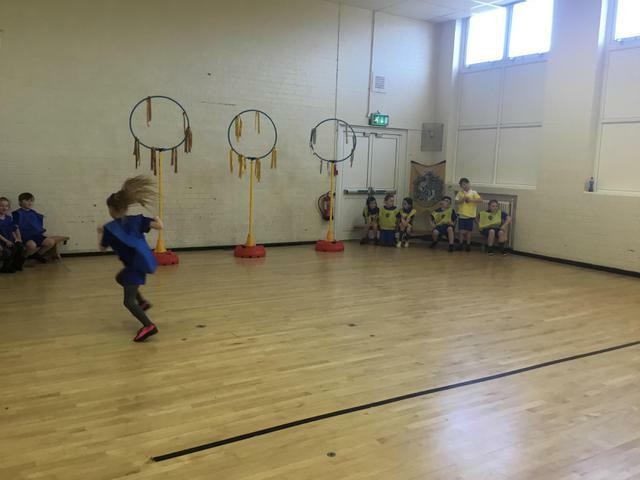 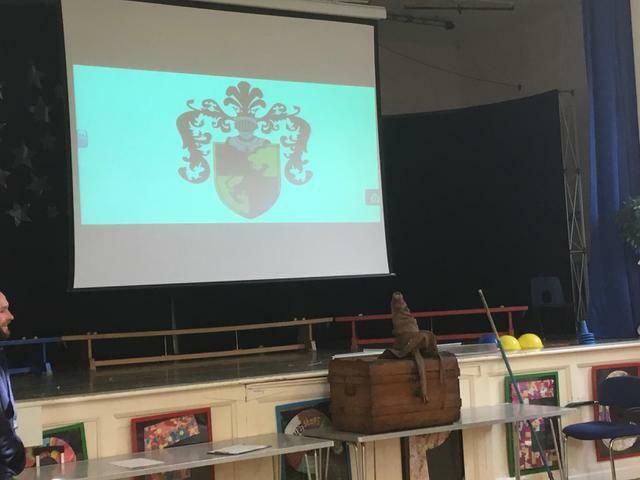 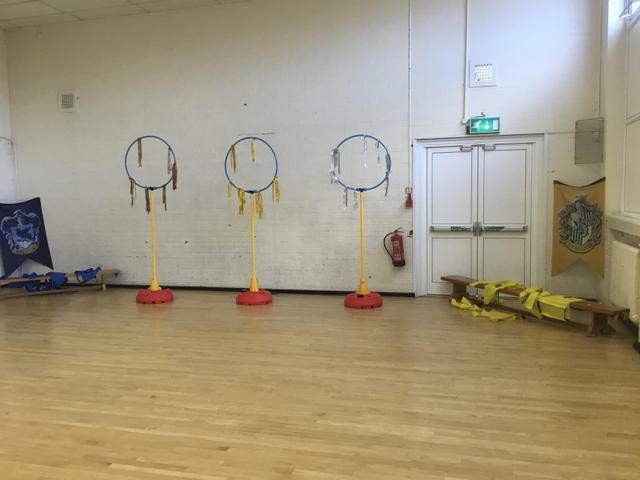 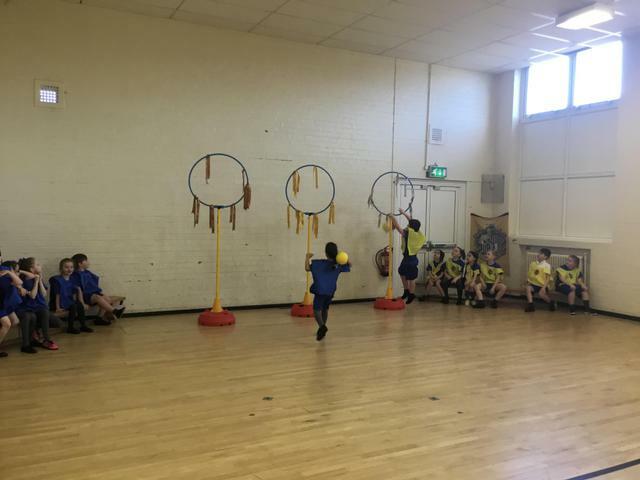 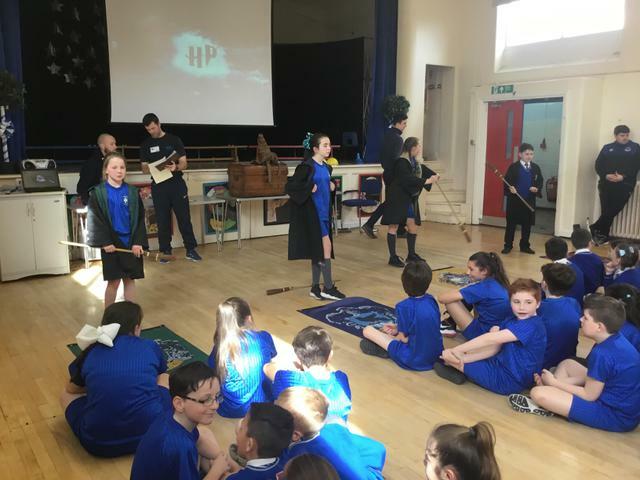 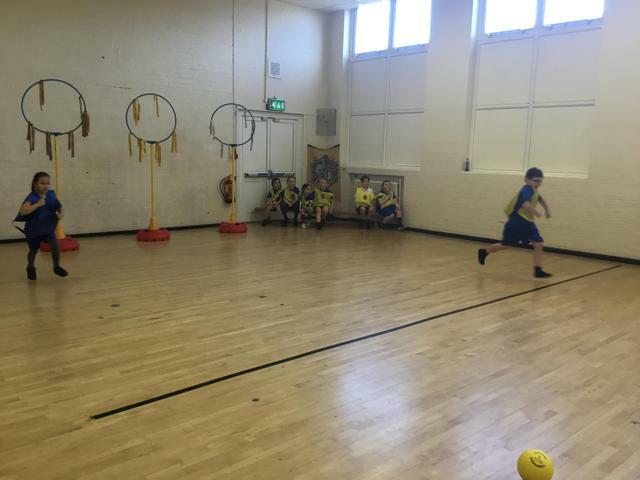 Hogwarts came to St Aloysius in terms of Quidditch. 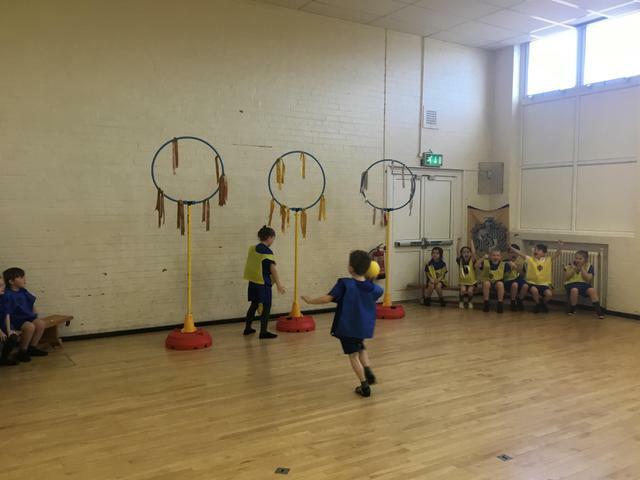 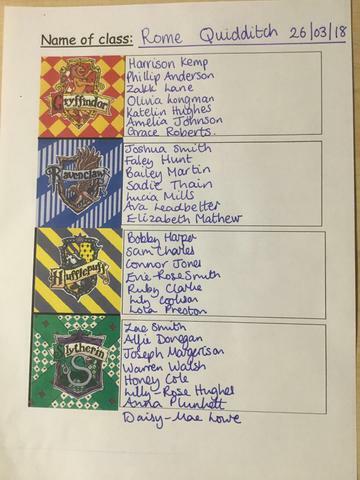 The juniors in each class were divided into four teams-Gryffindor, Ravenclaw, Hufflepuff and Slytherin in order to play Quidditch. 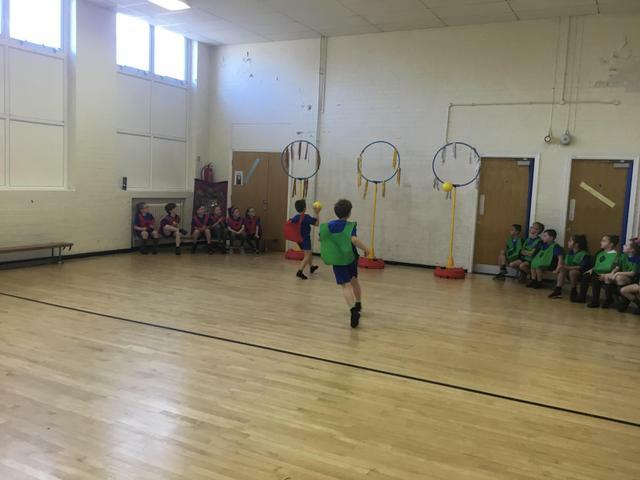 This is a seven a side game involving one keeper, two bludgers, three chasers and one seeker. 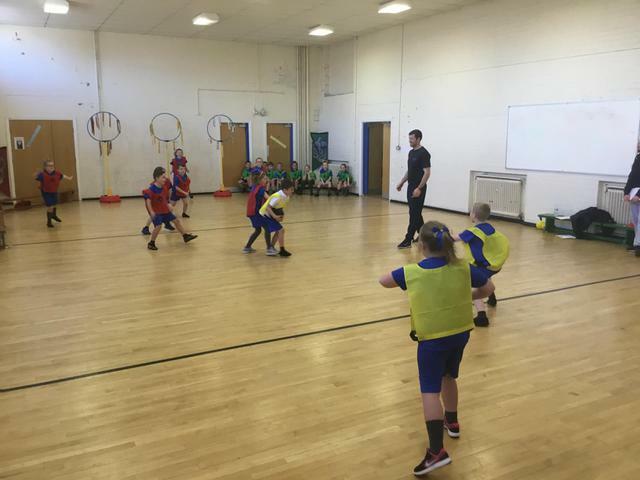 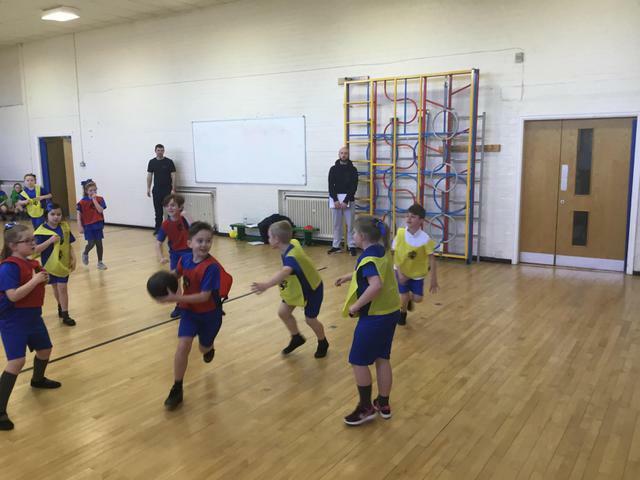 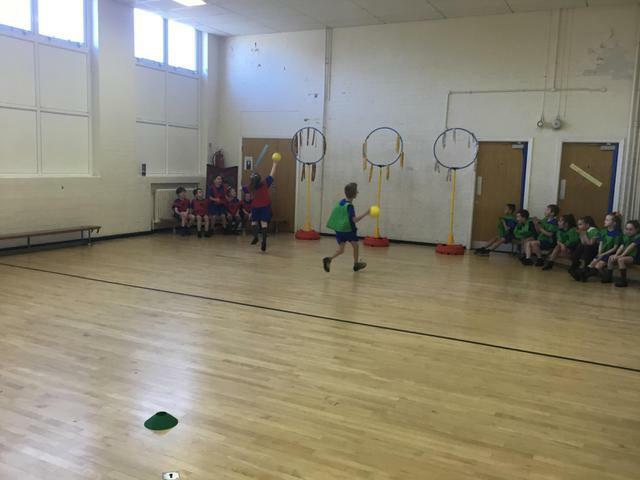 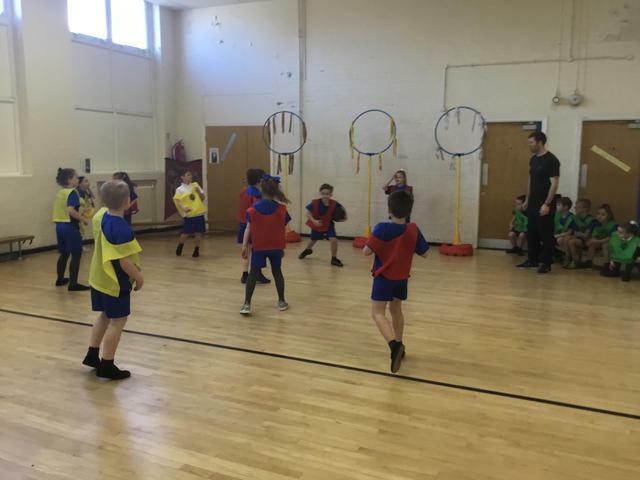 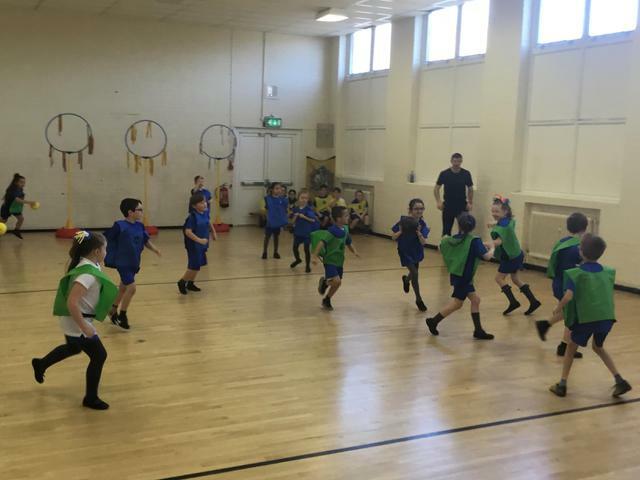 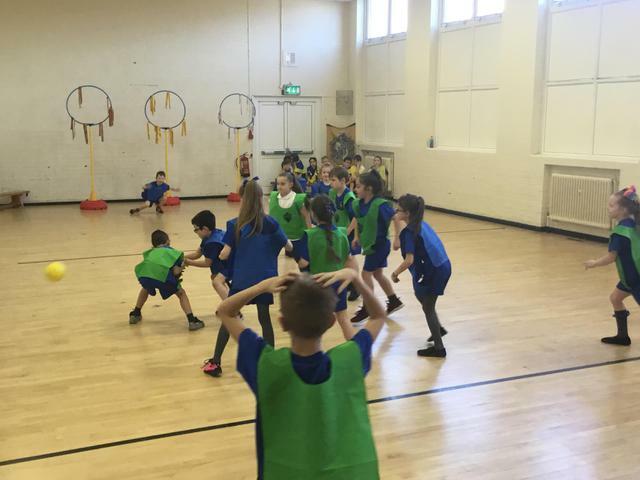 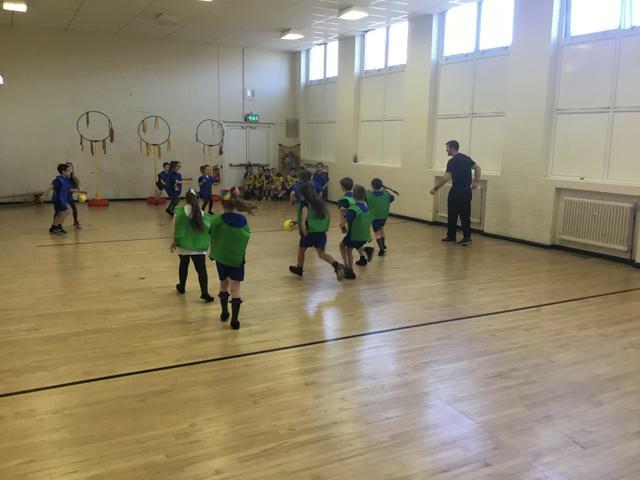 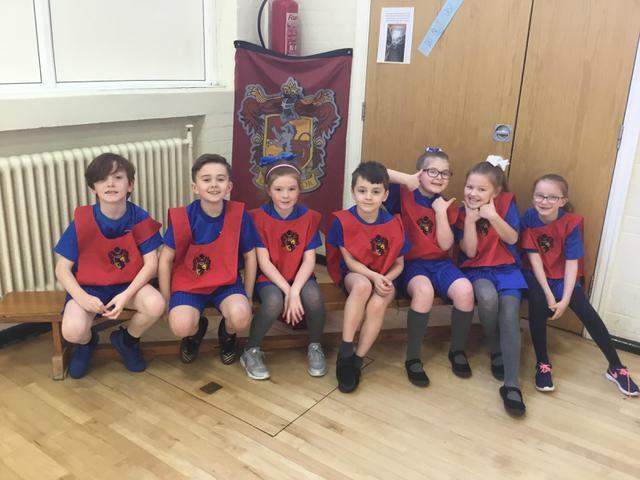 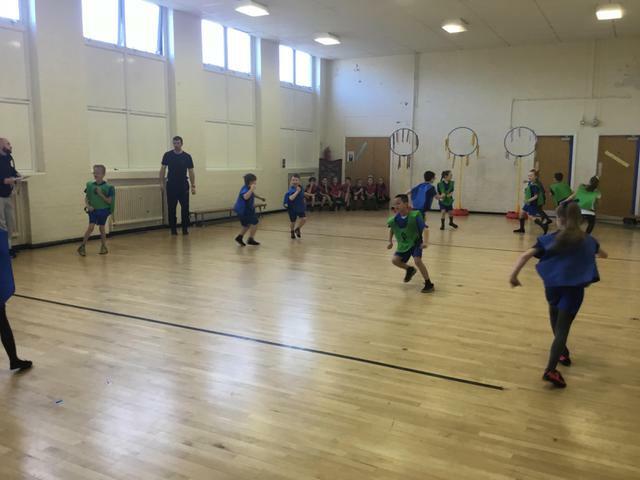 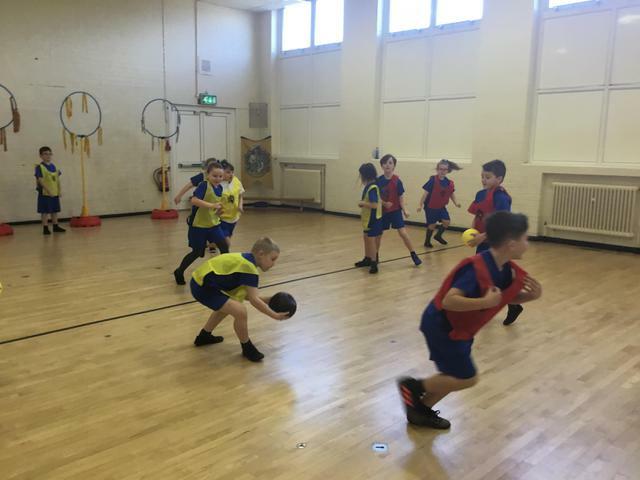 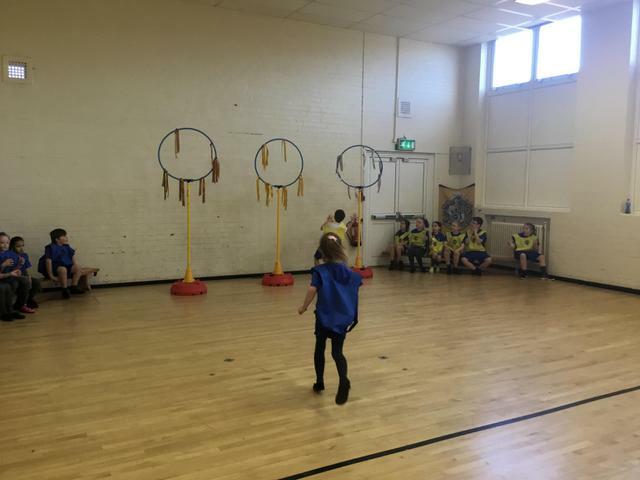 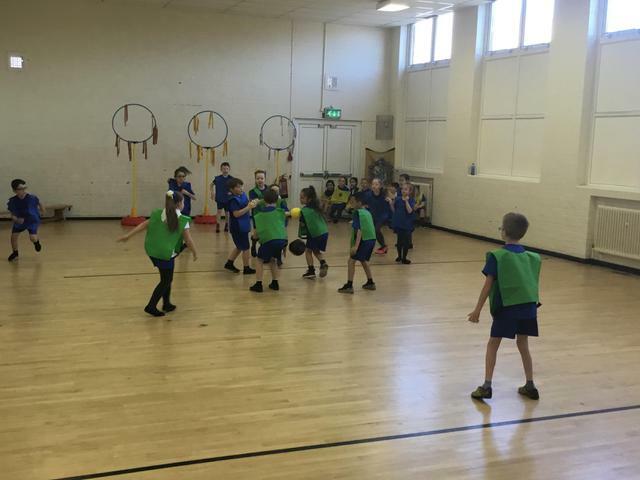 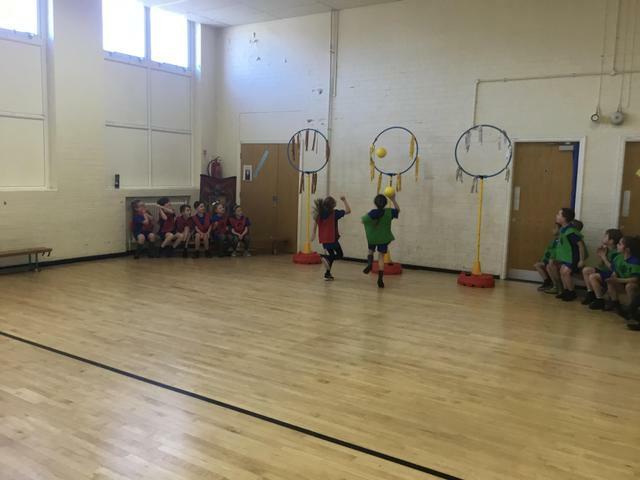 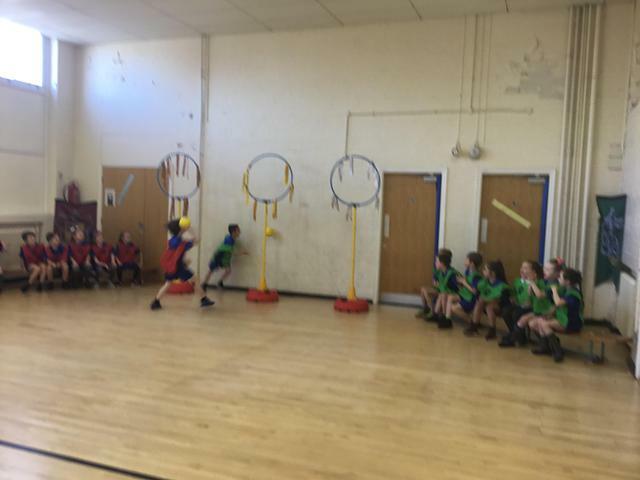 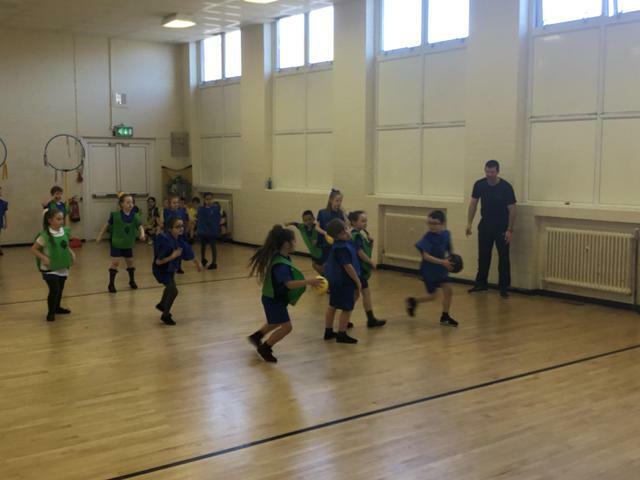 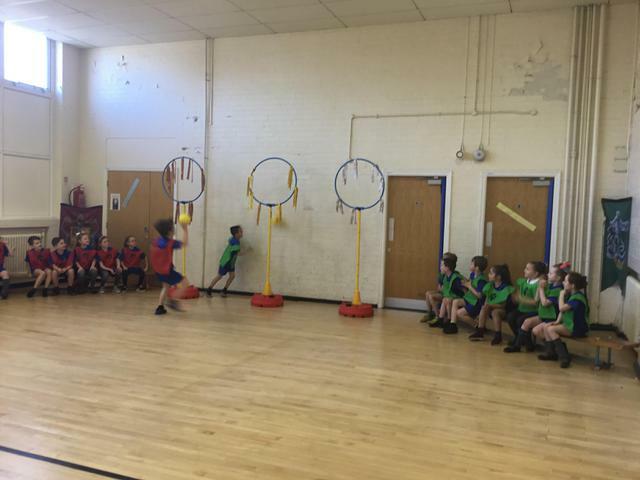 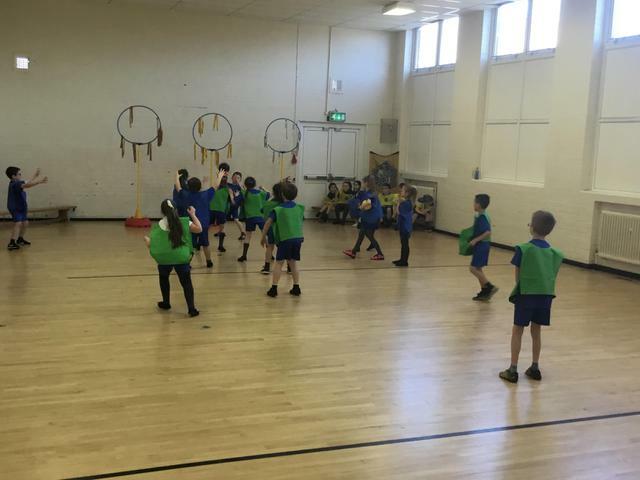 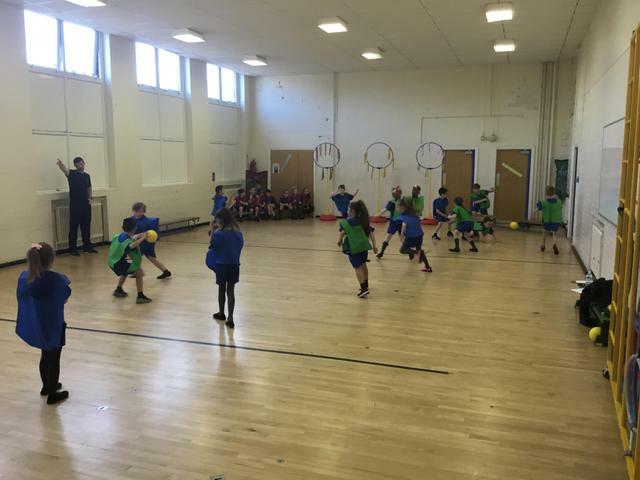 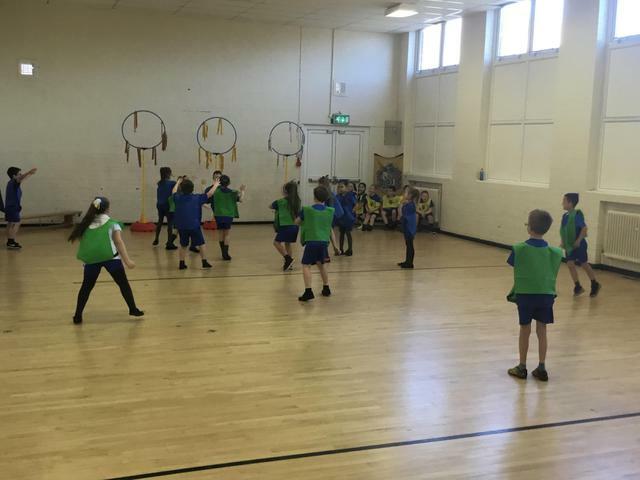 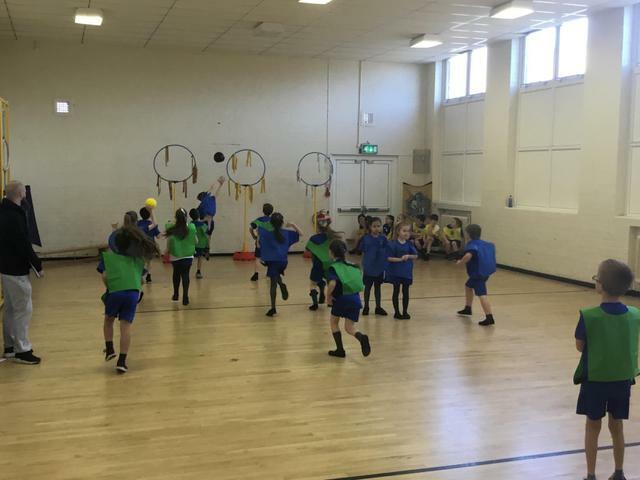 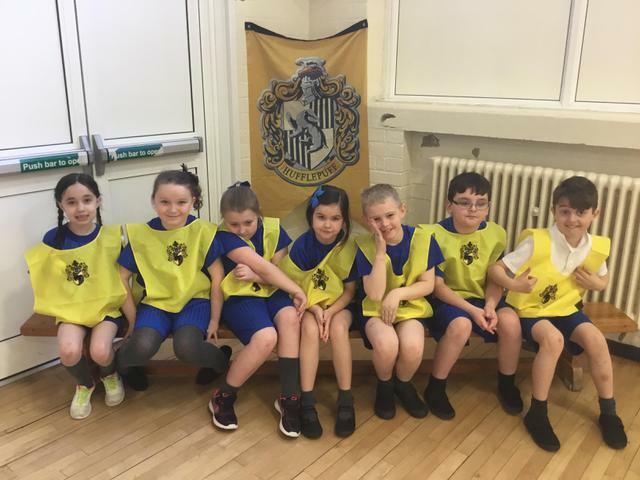 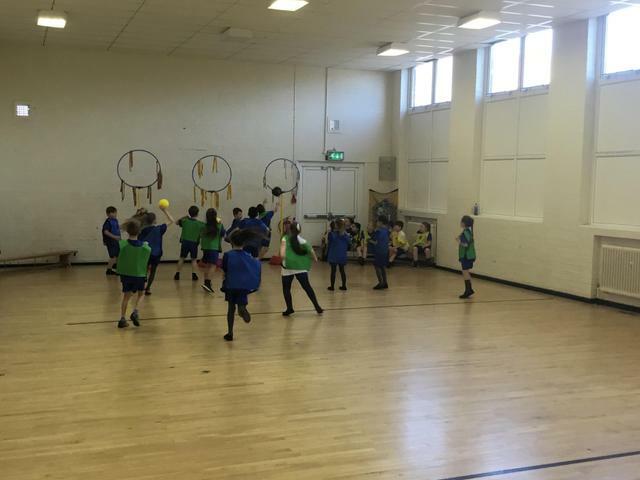 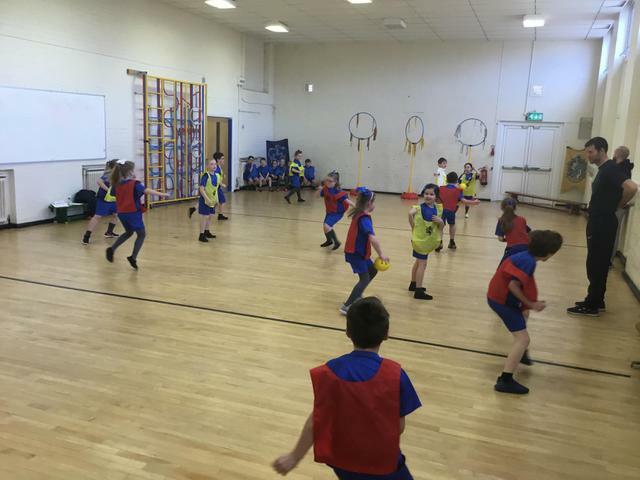 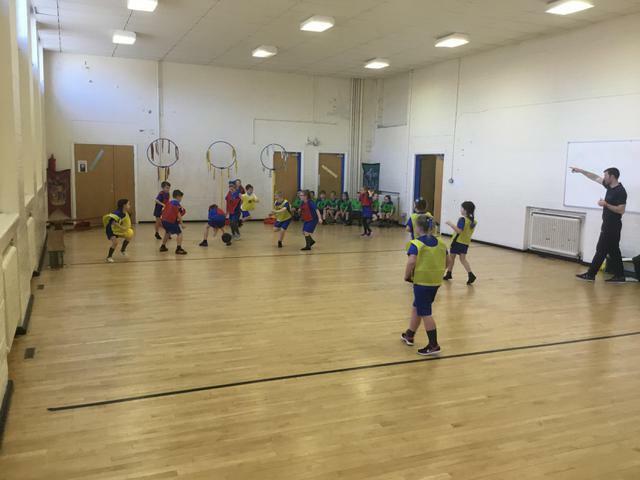 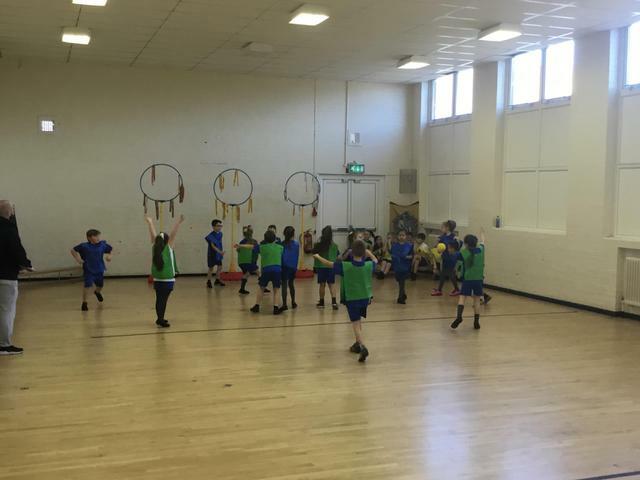 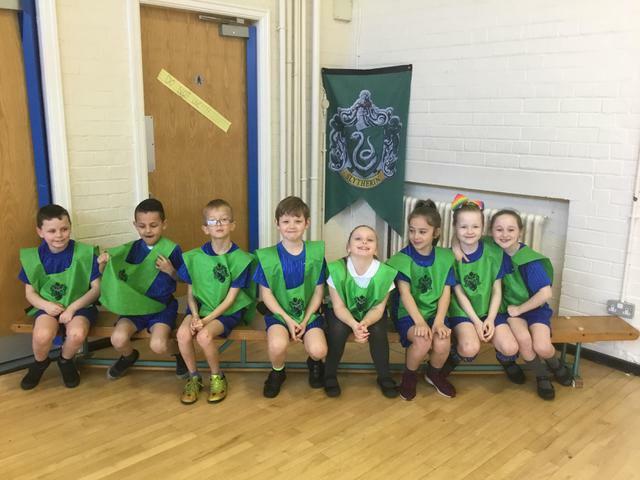 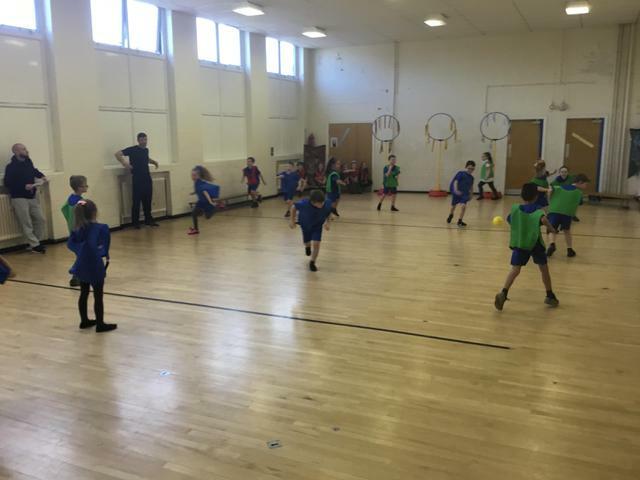 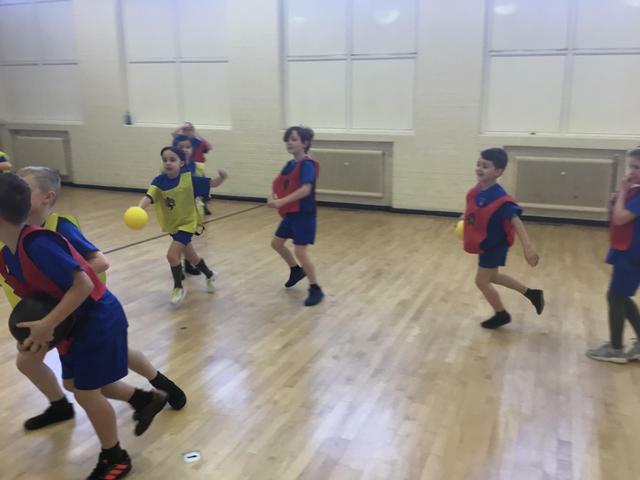 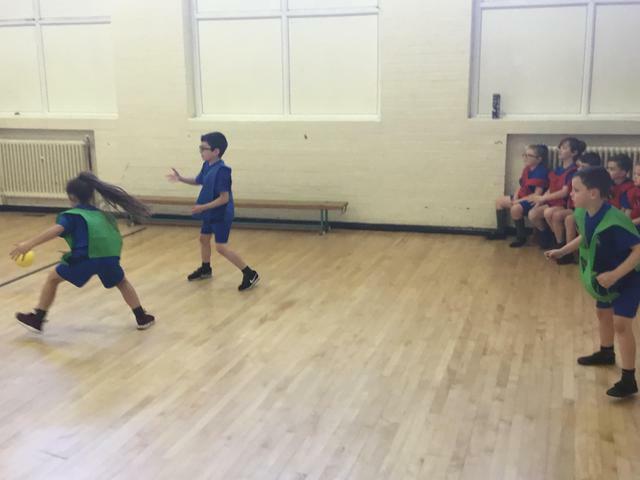 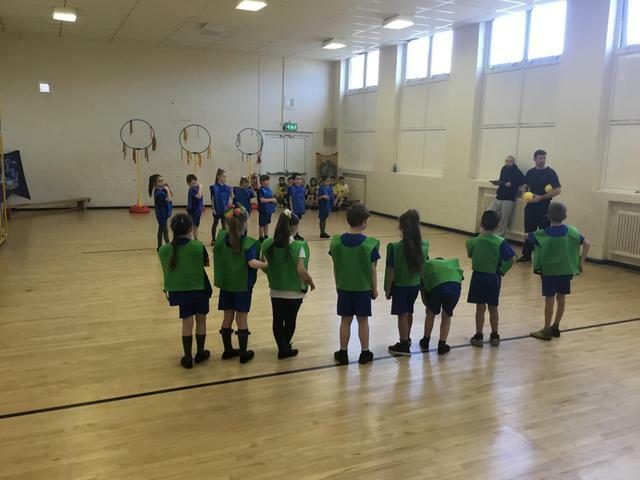 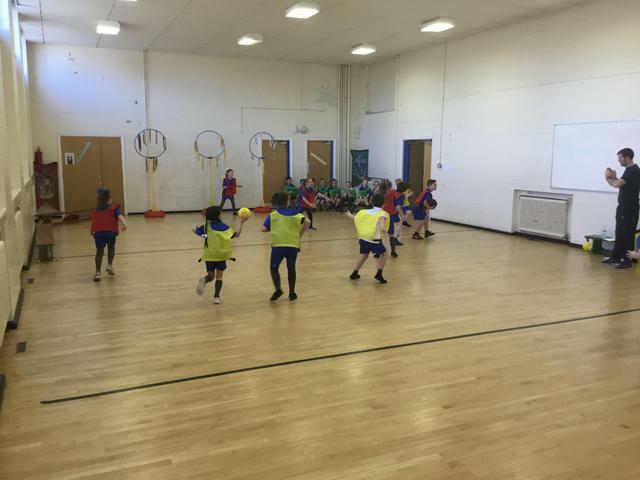 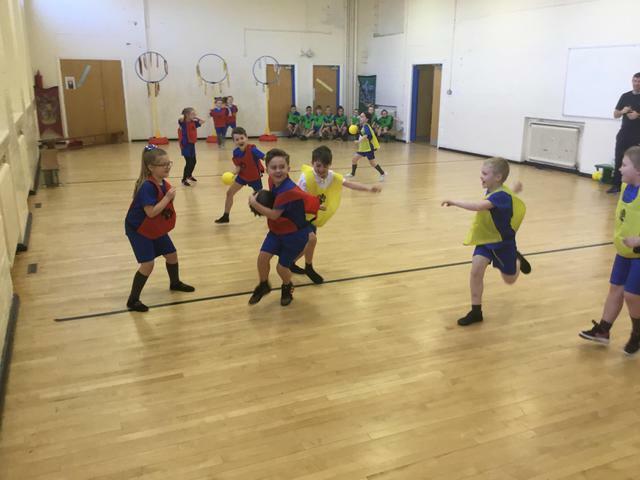 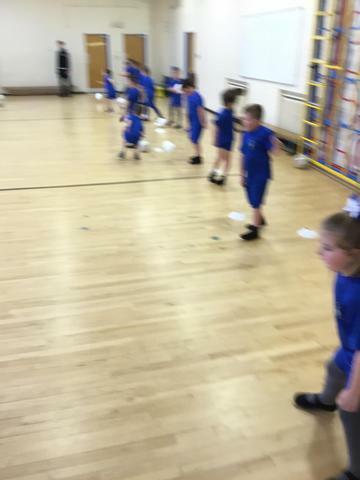 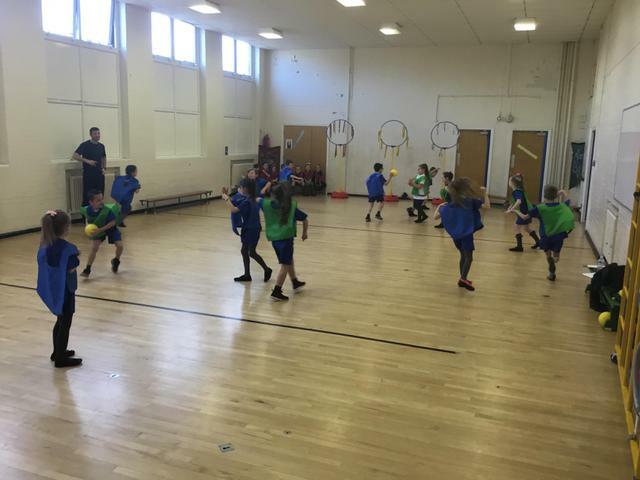 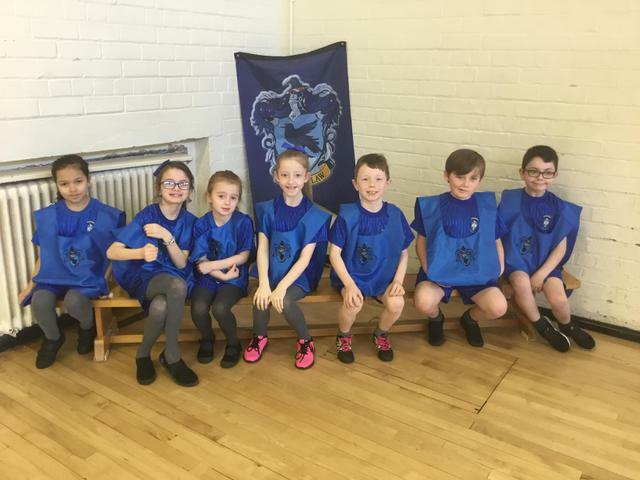 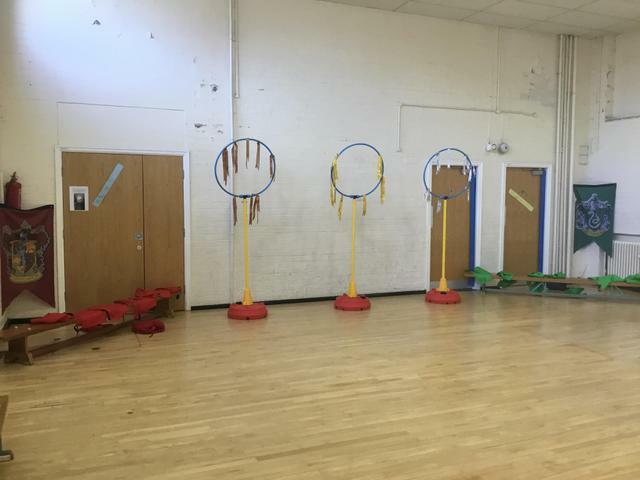 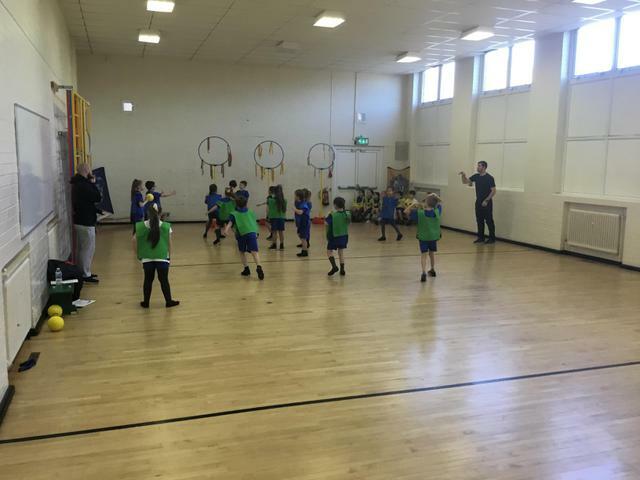 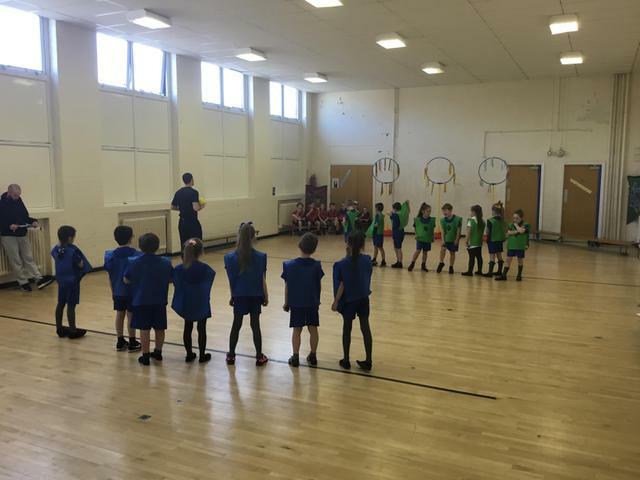 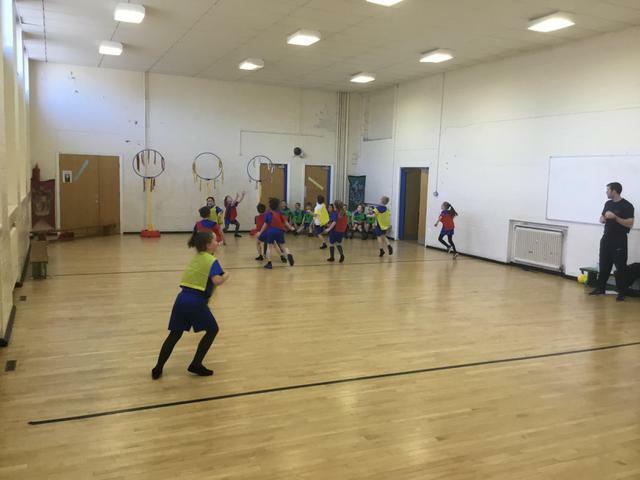 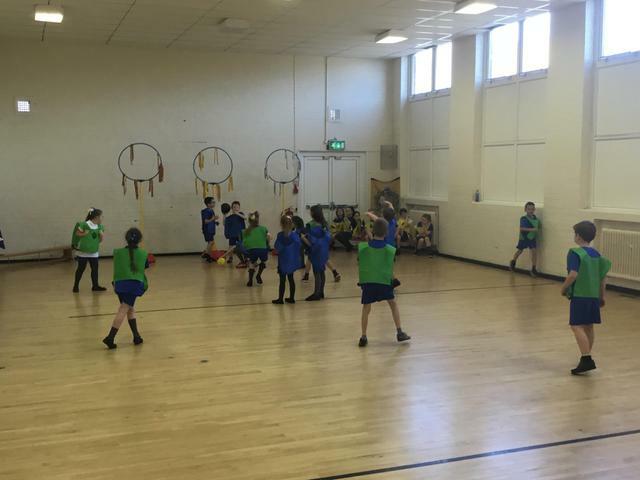 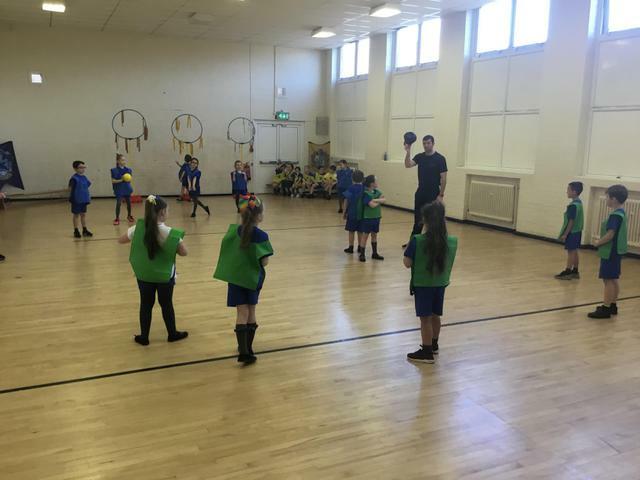 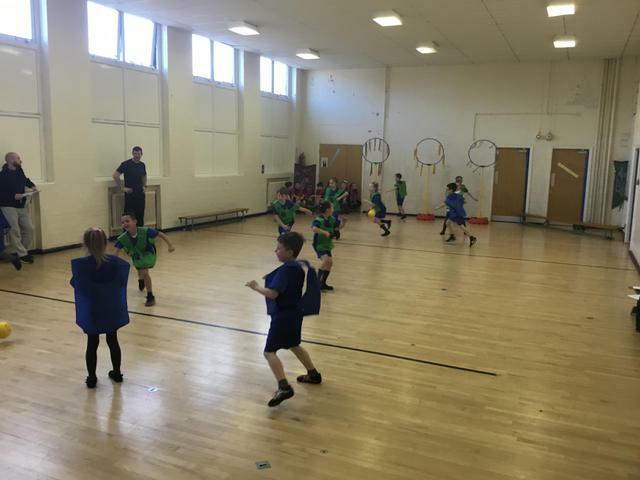 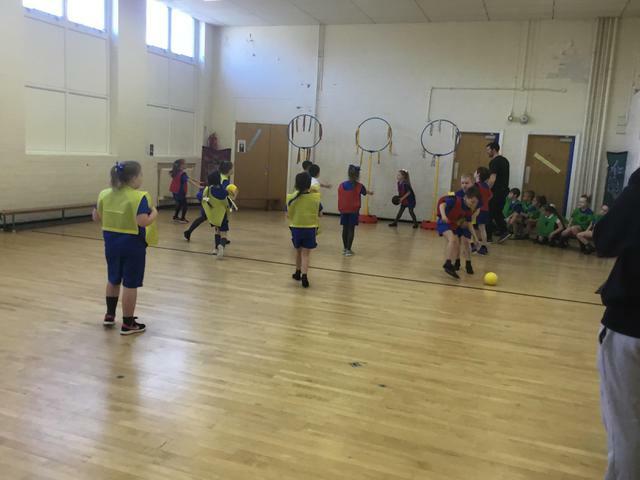 The children had a great time learning new skills and competing against each other at Quidditch. 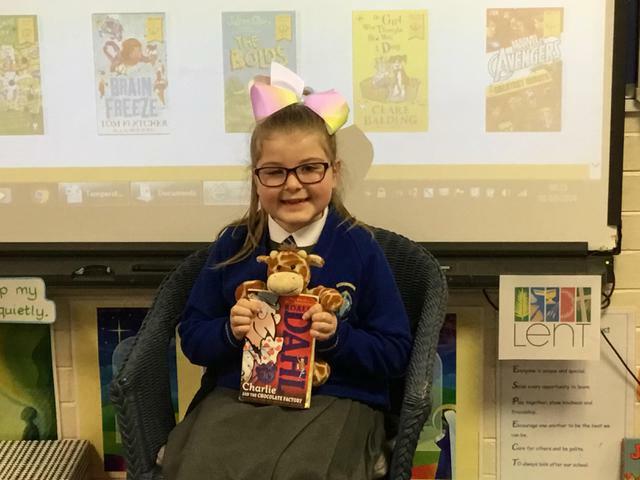 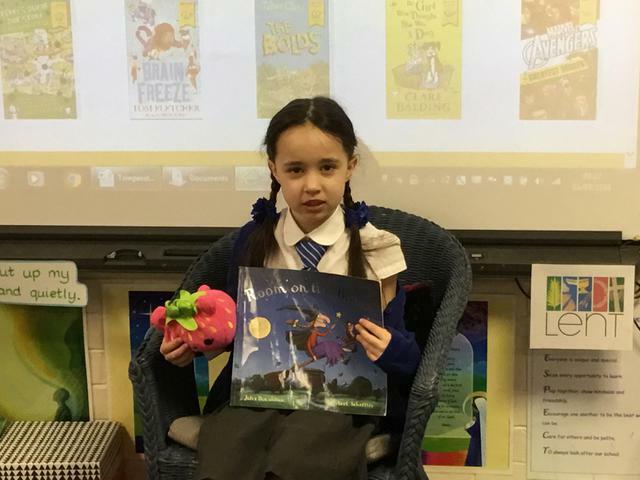 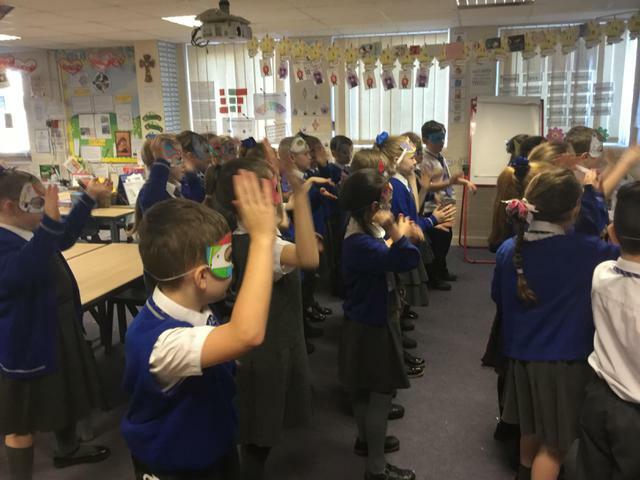 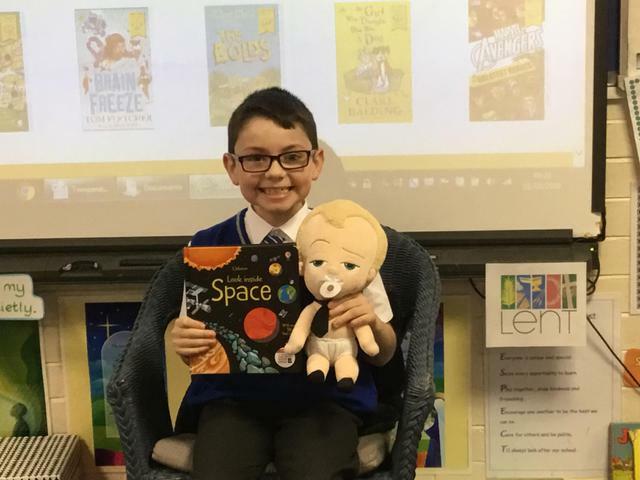 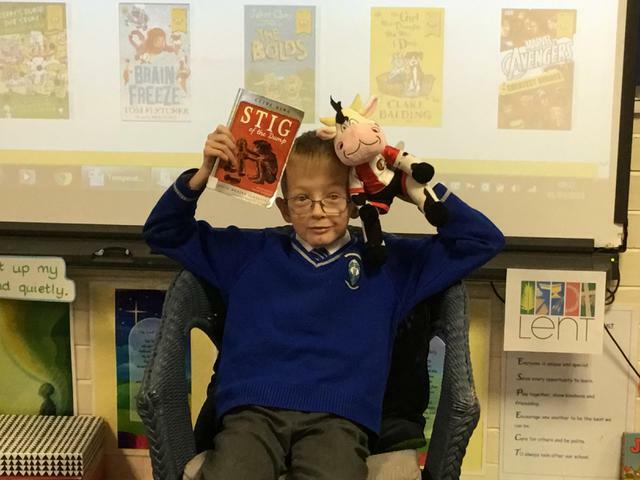 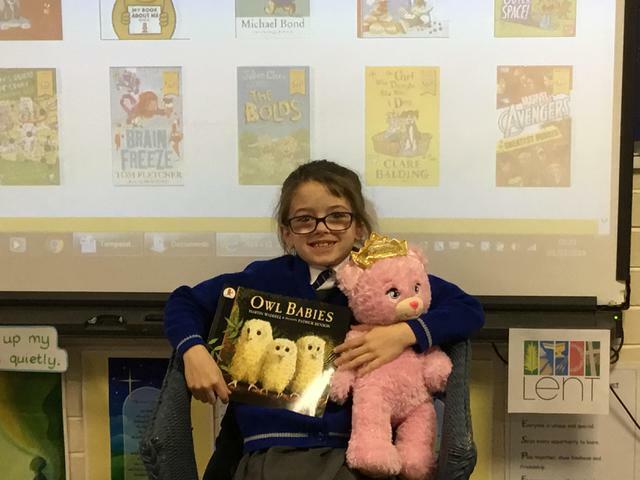 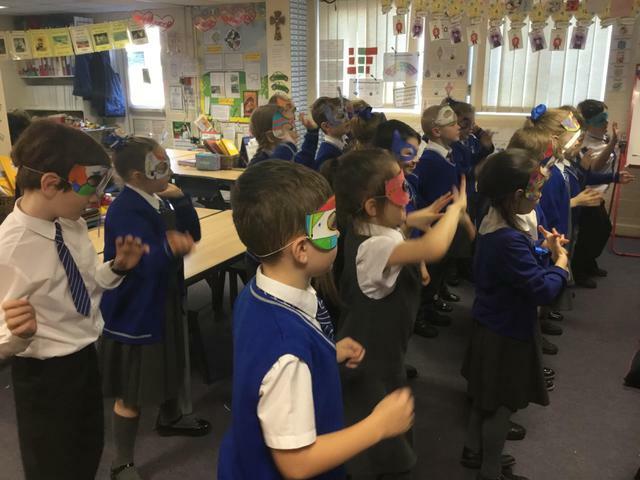 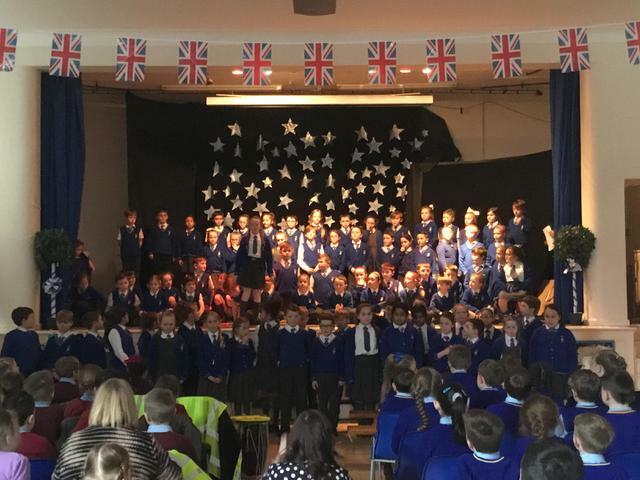 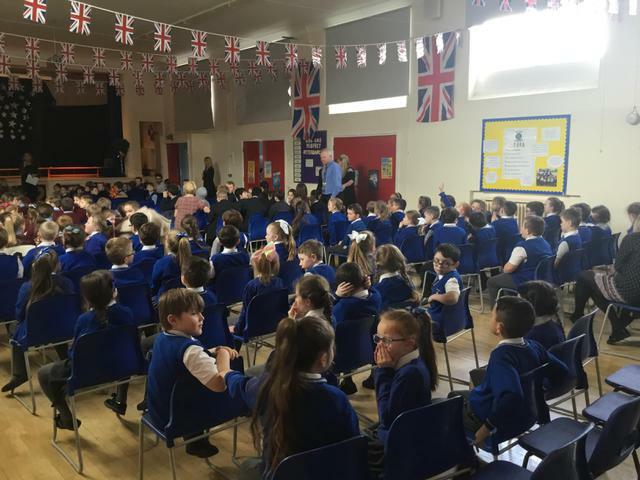 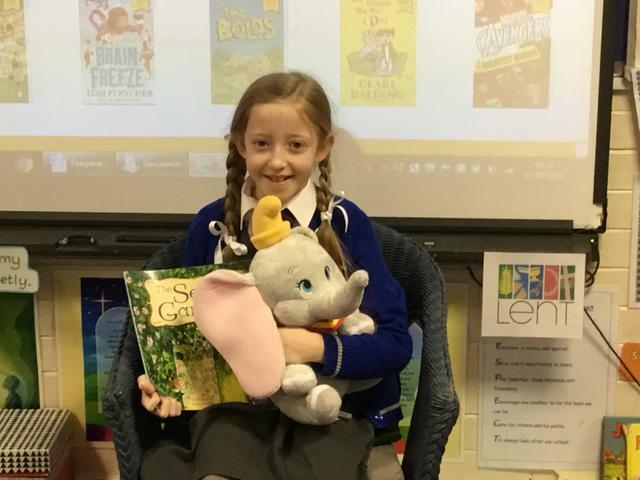 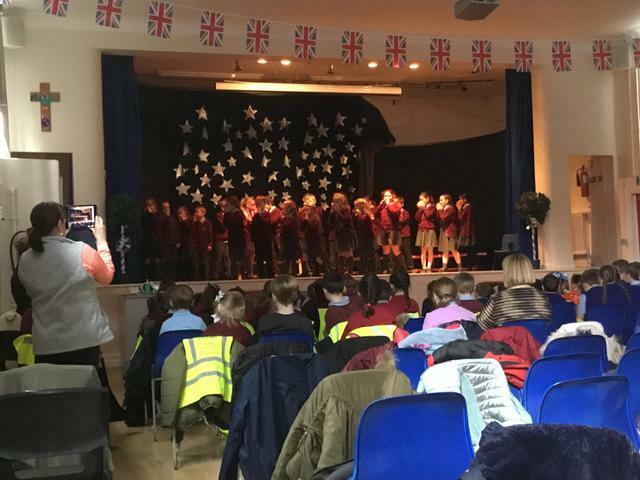 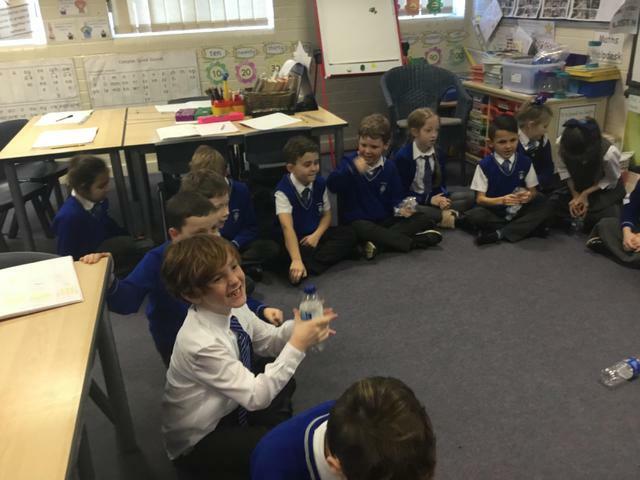 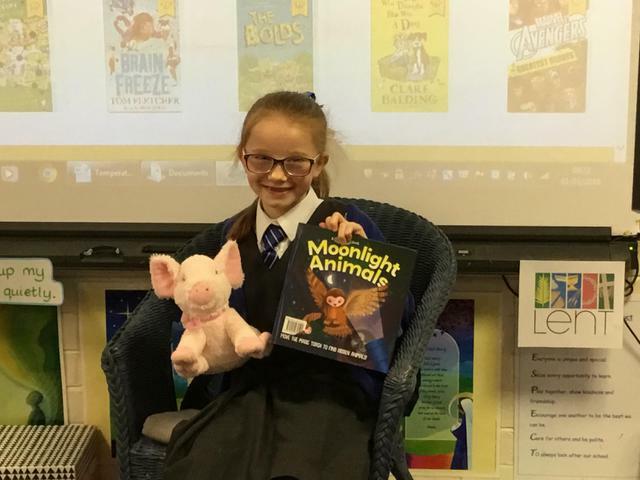 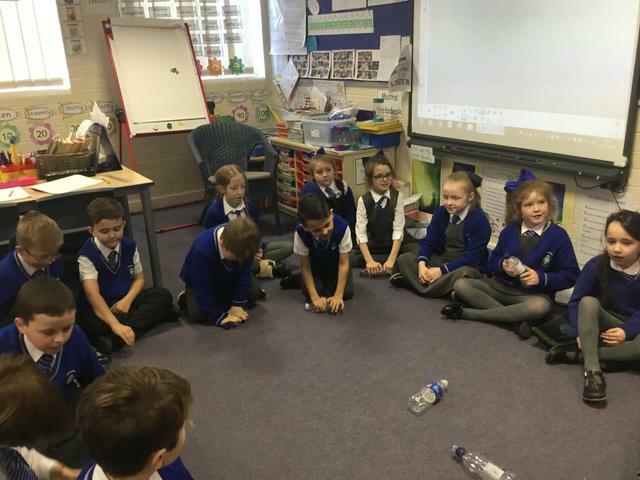 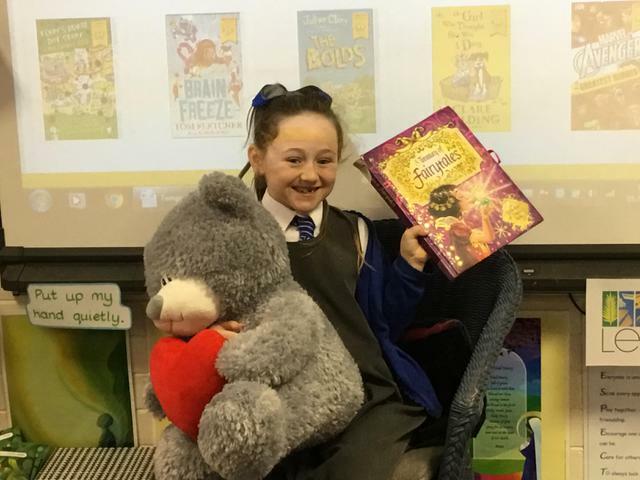 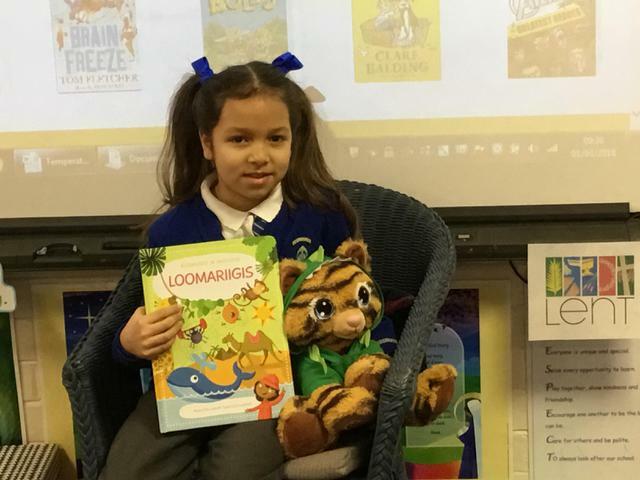 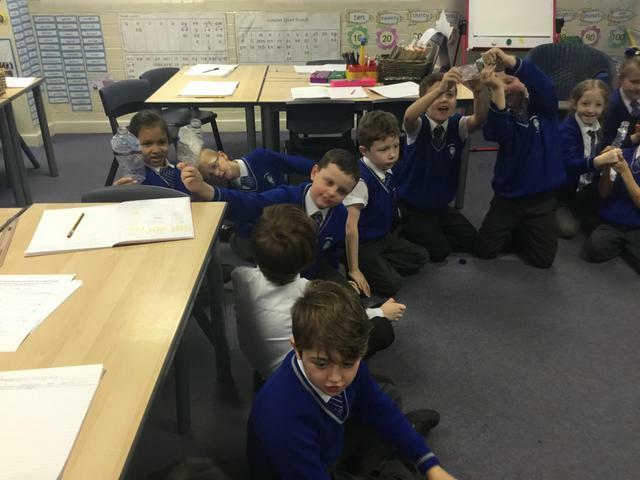 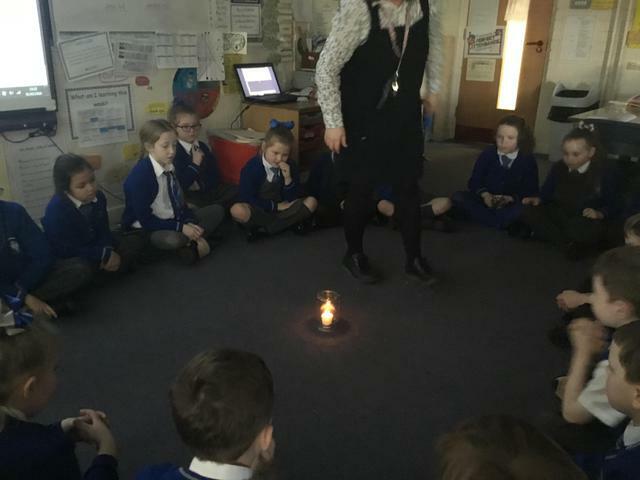 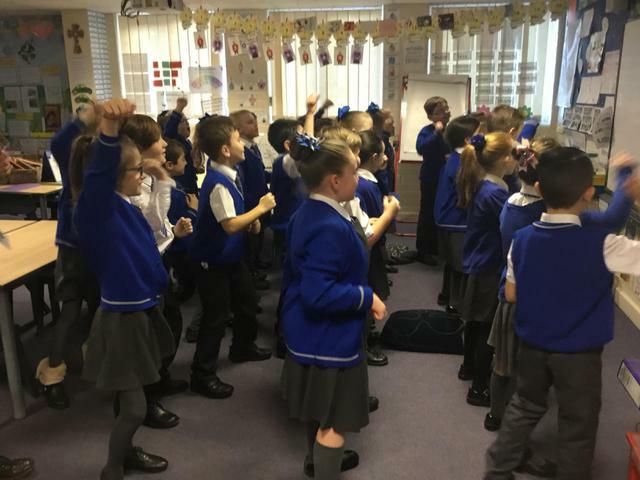 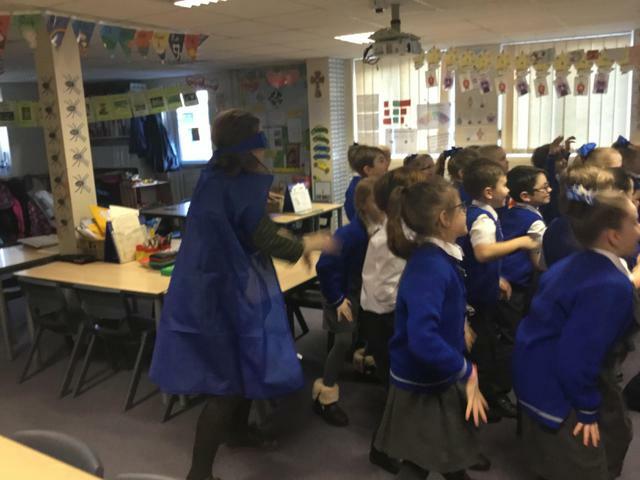 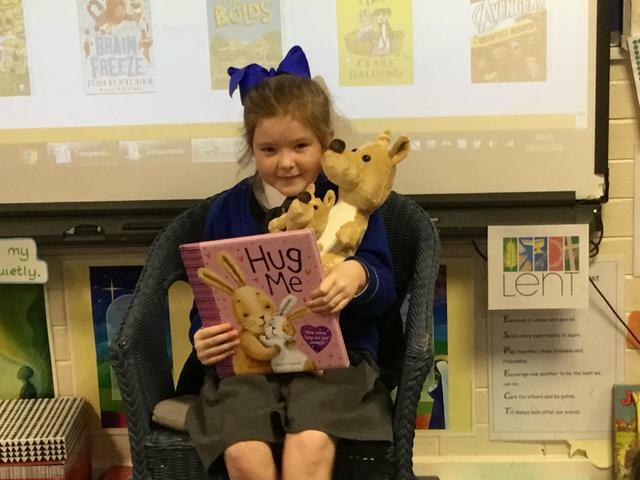 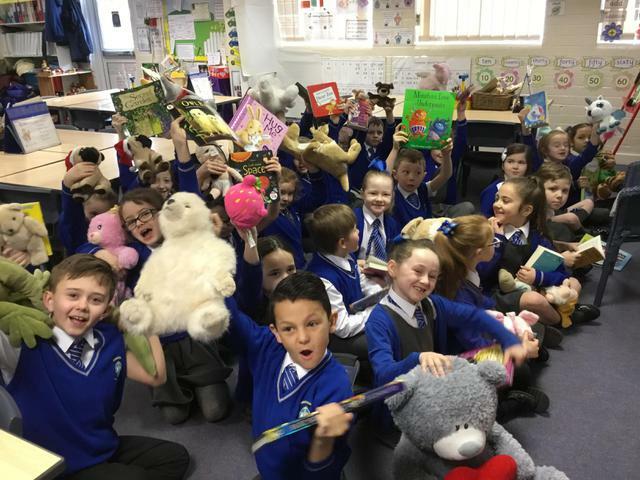 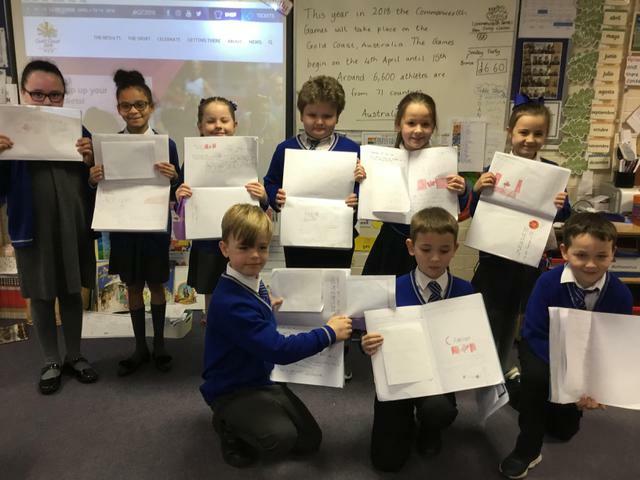 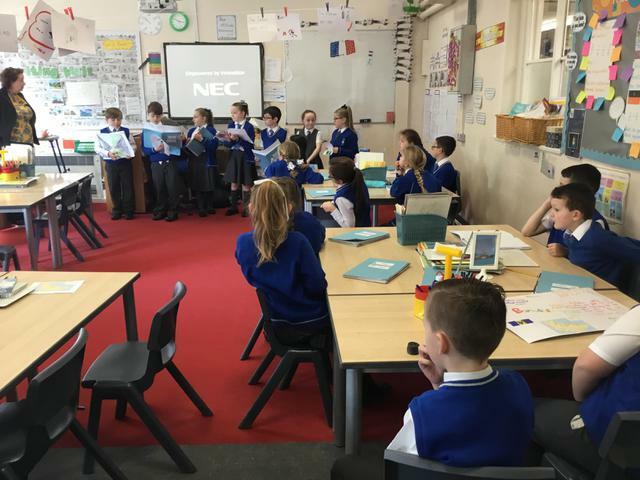 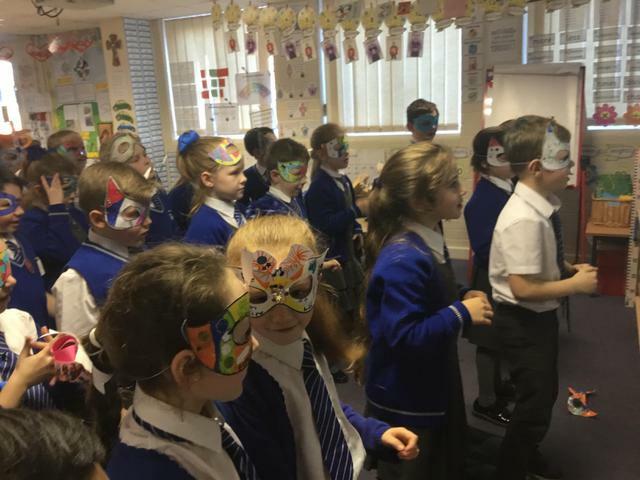 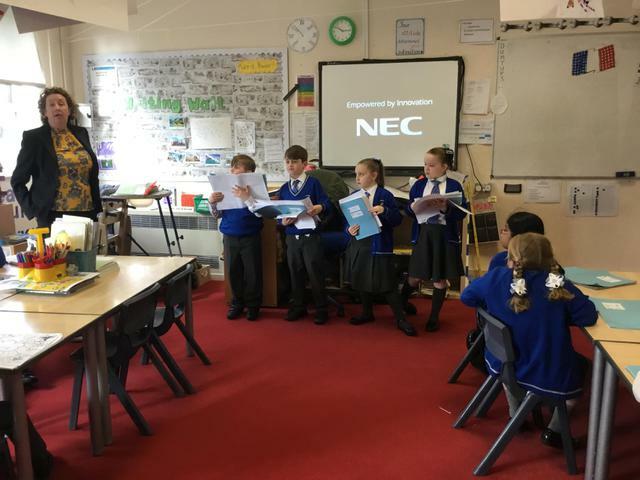 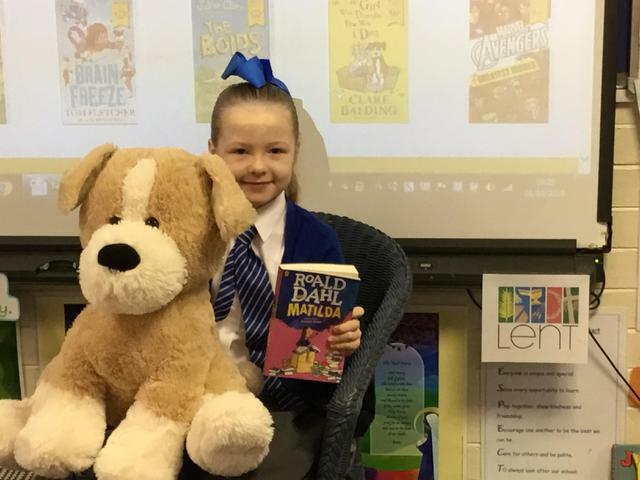 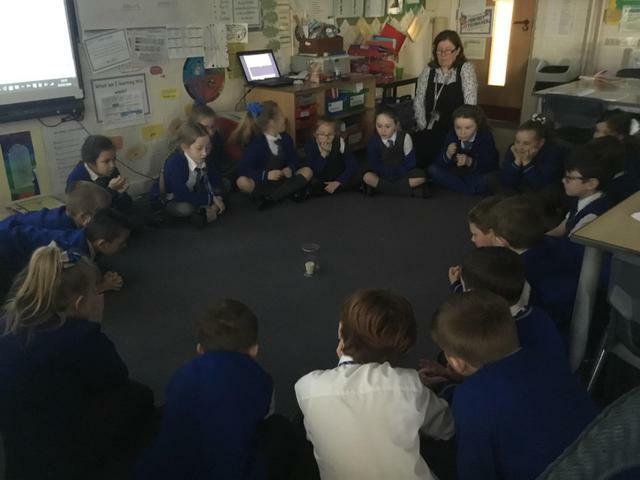 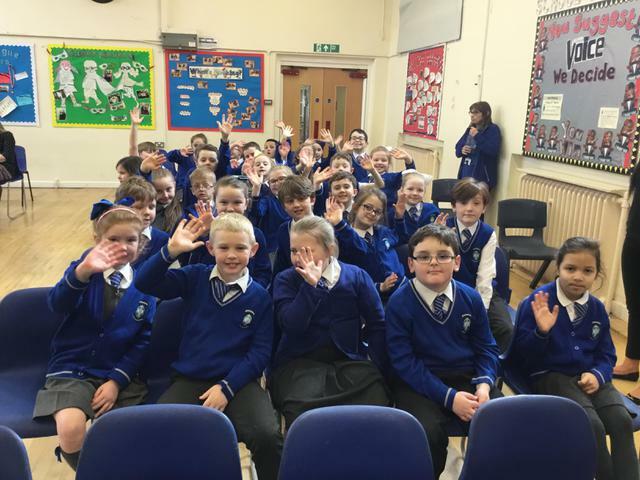 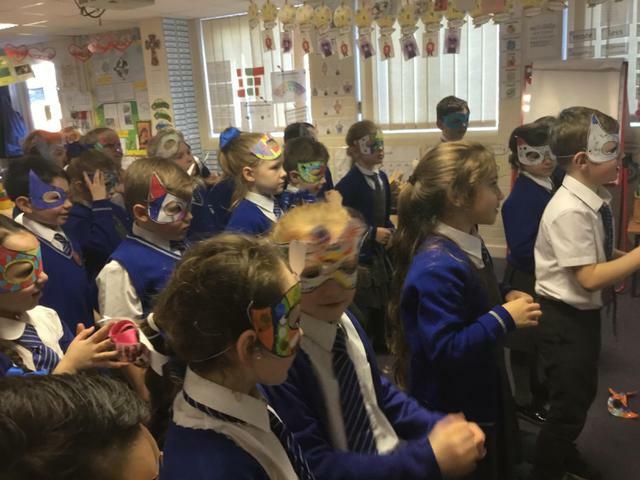 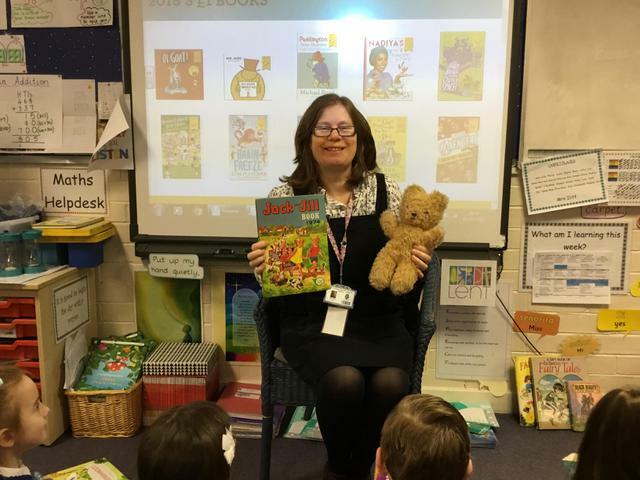 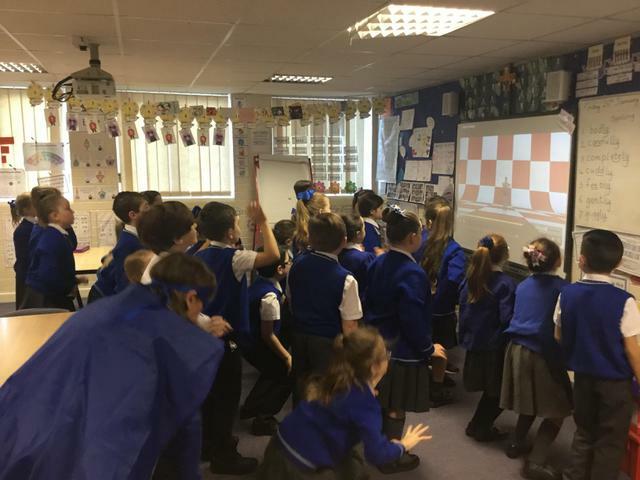 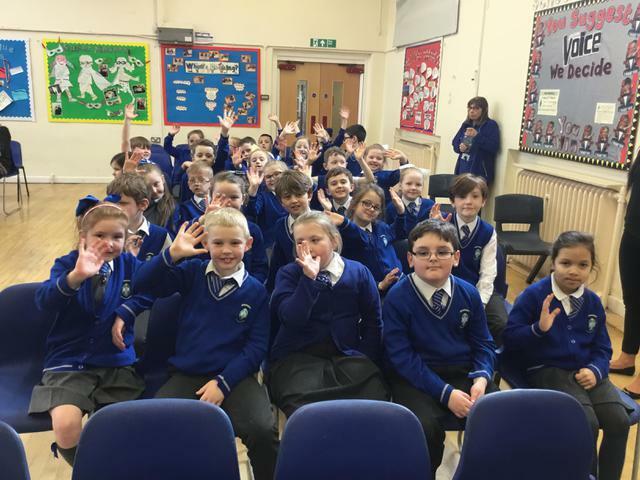 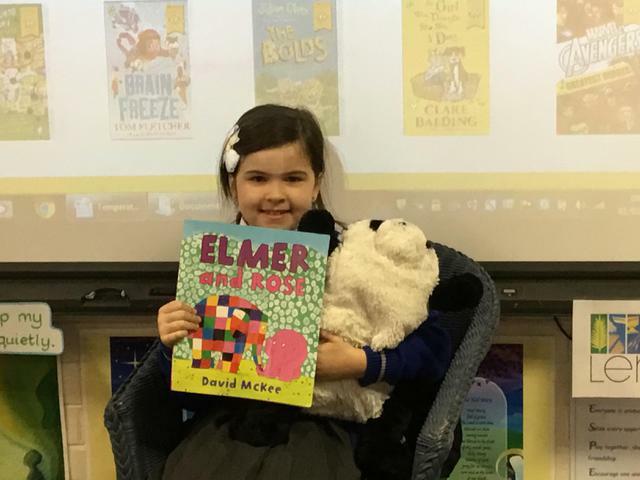 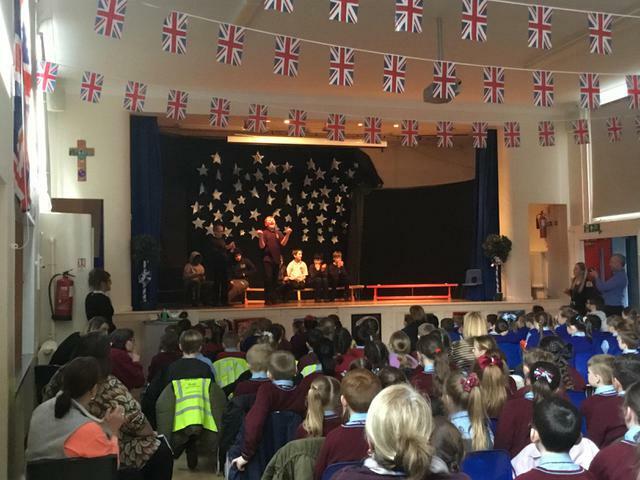 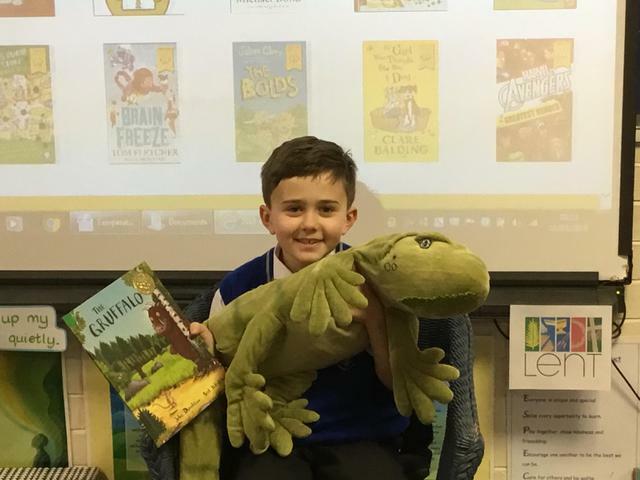 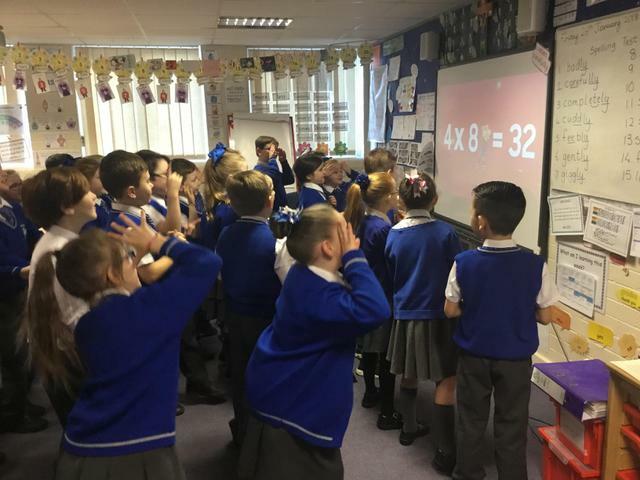 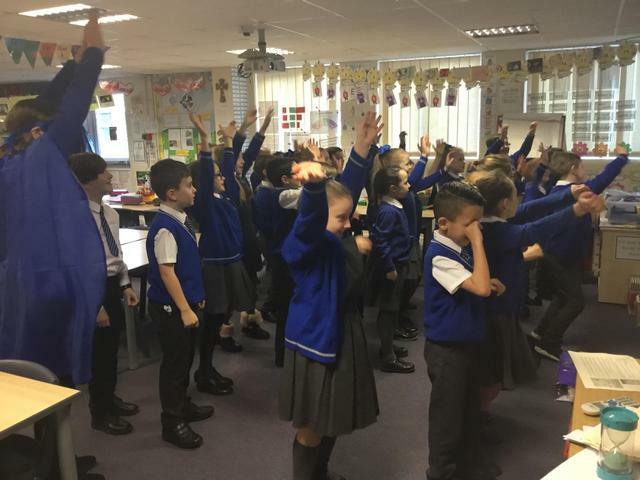 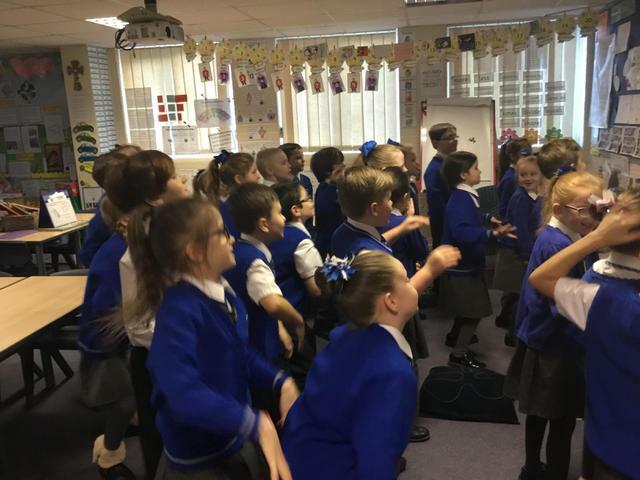 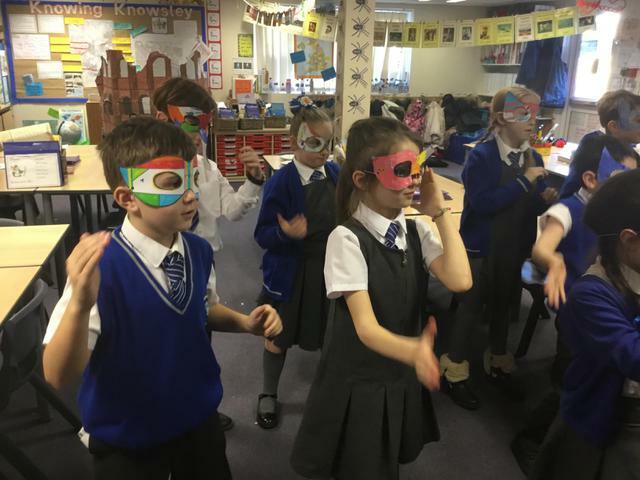 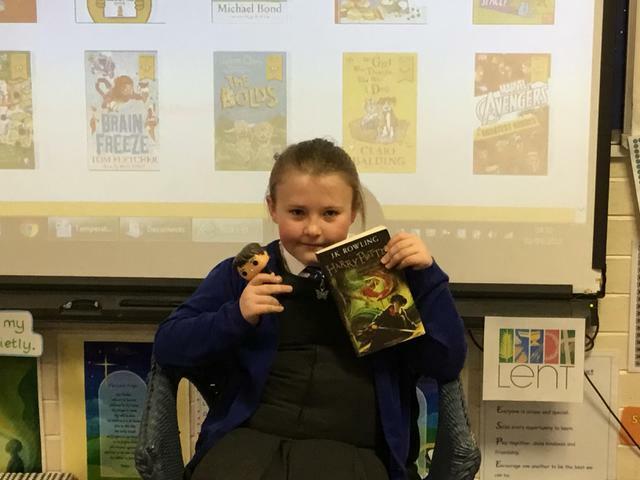 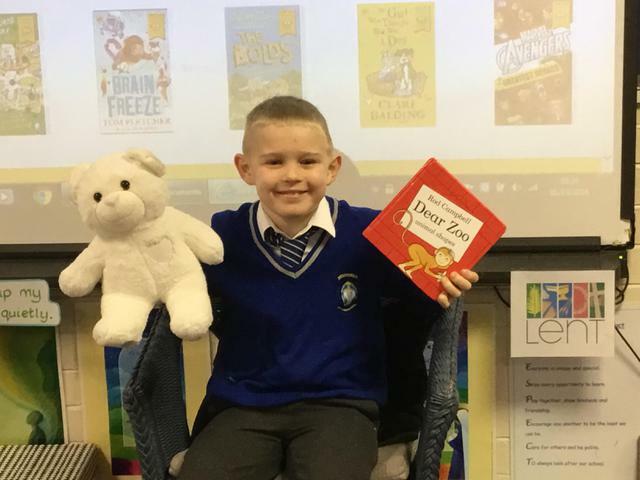 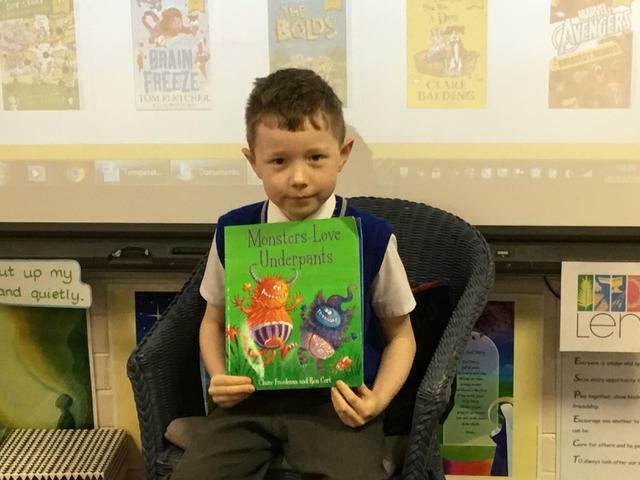 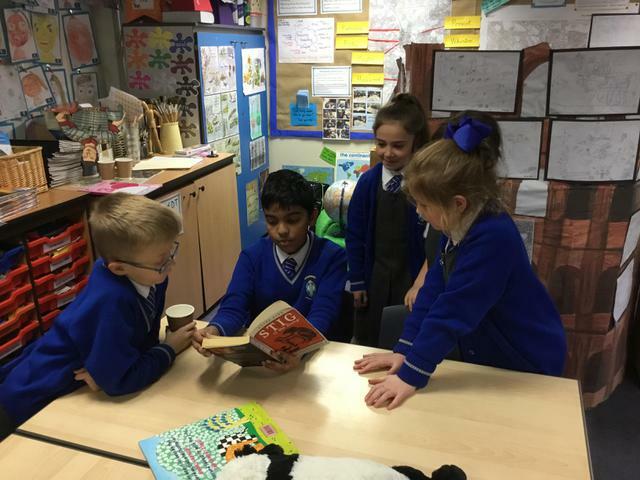 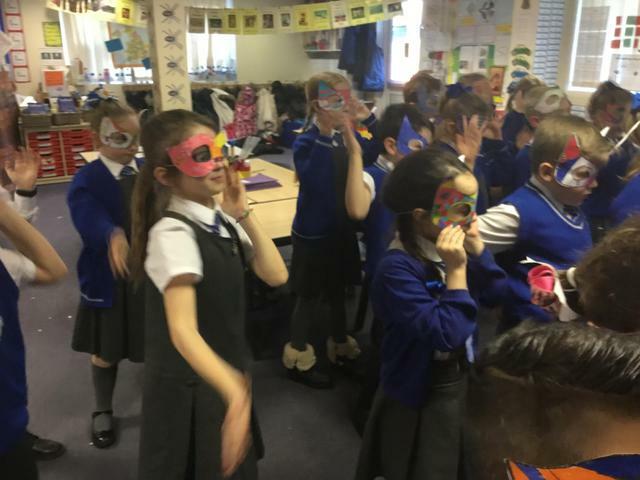 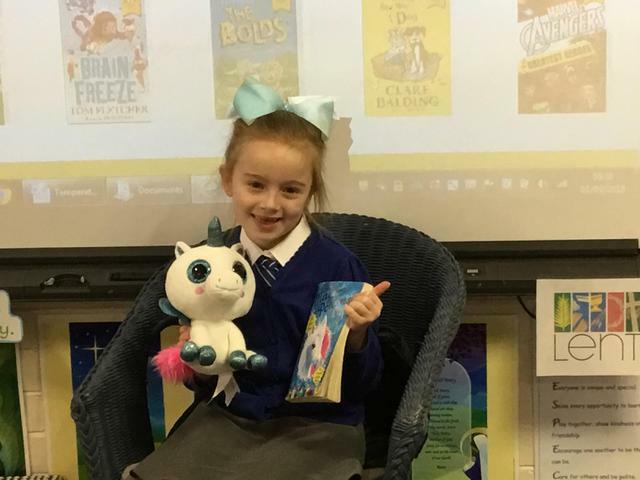 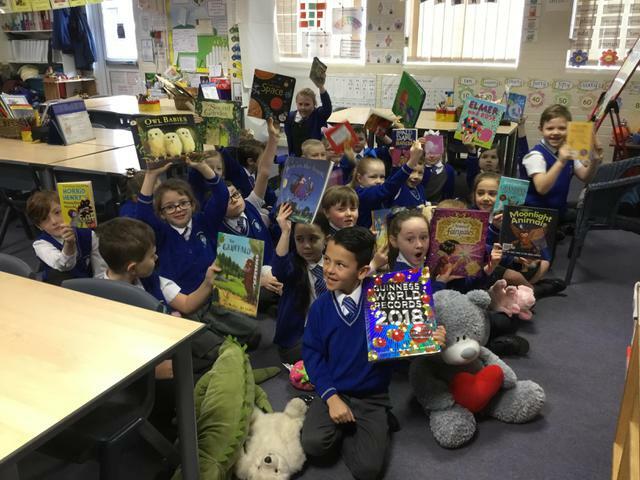 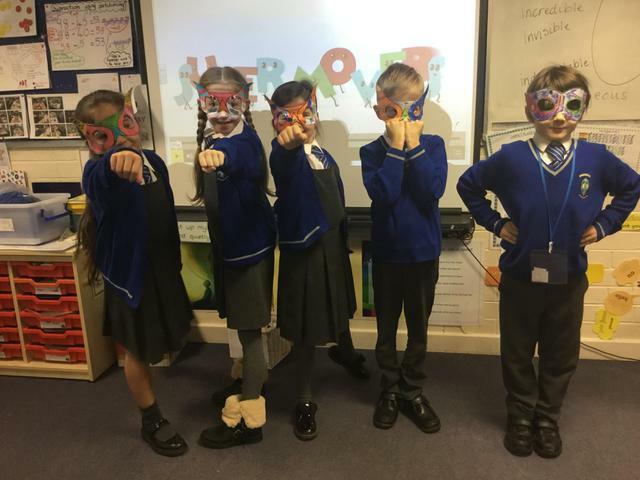 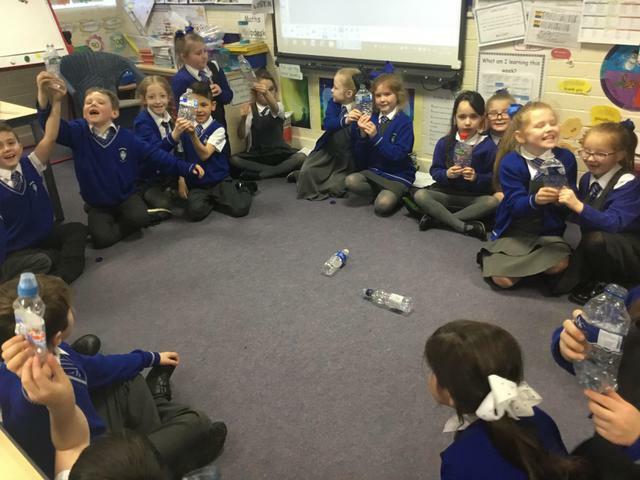 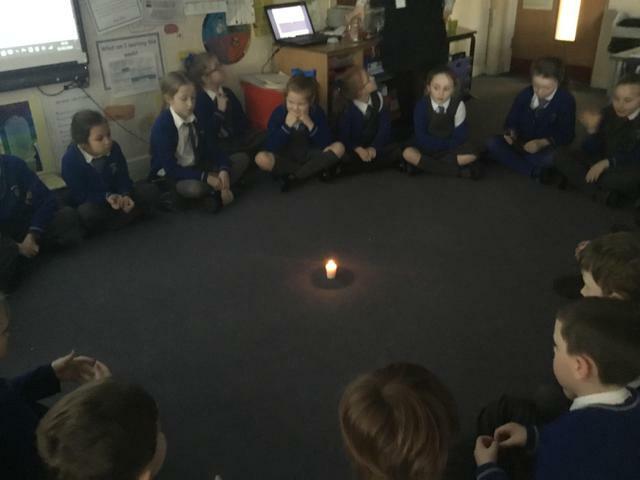 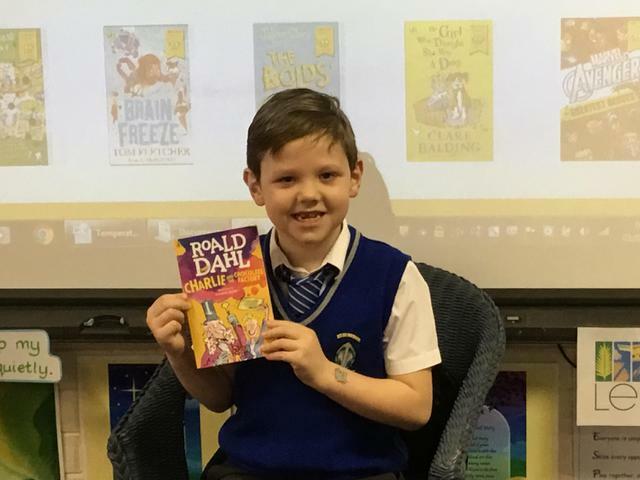 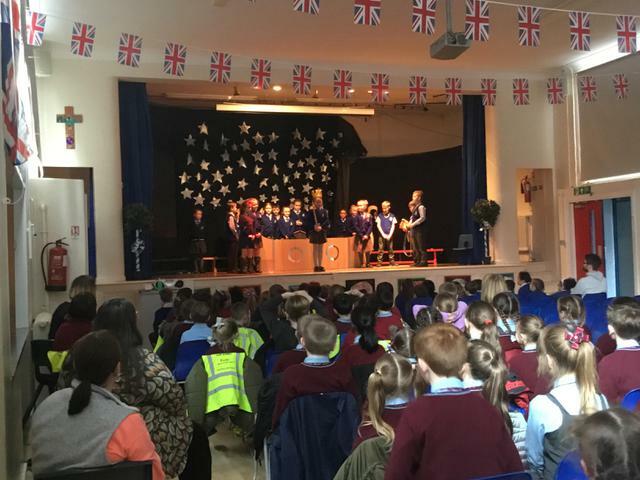 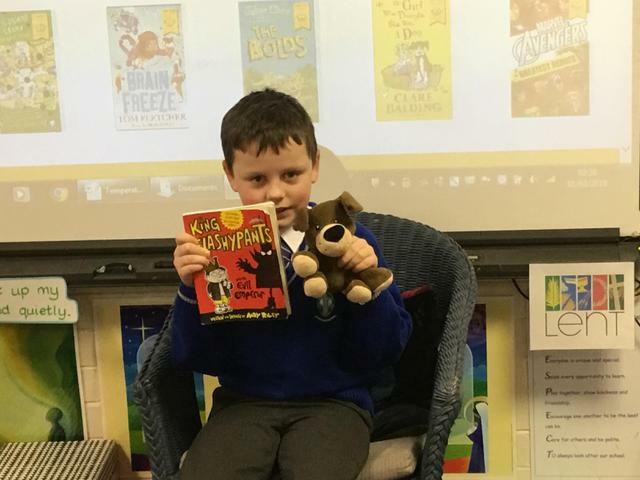 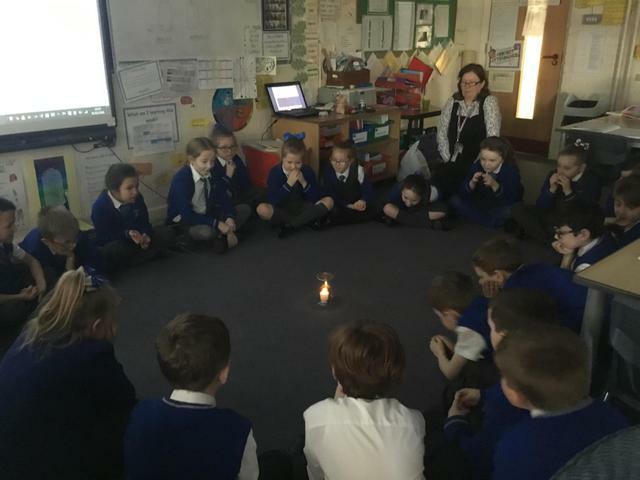 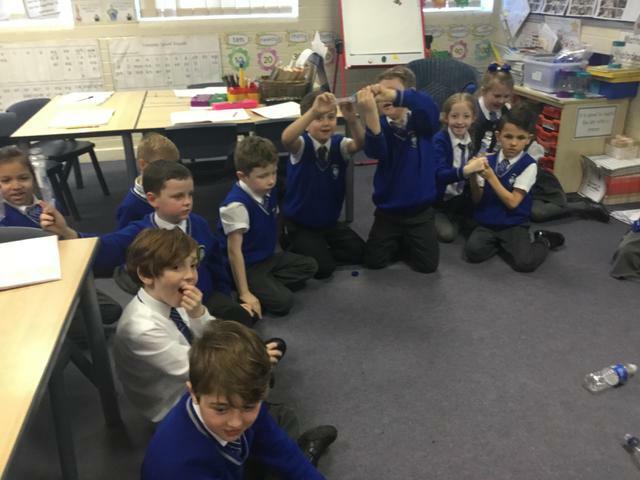 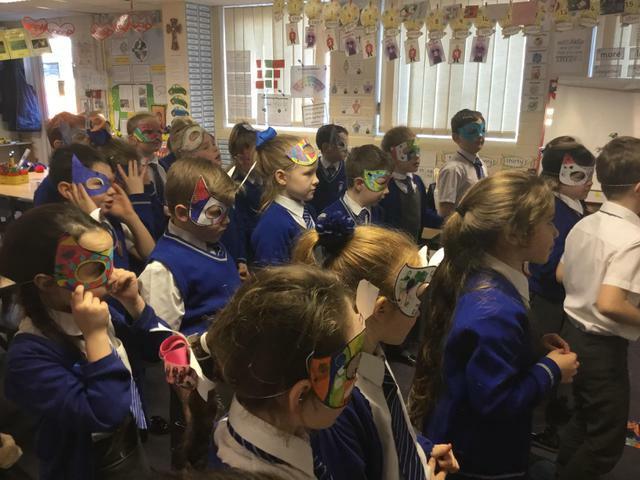 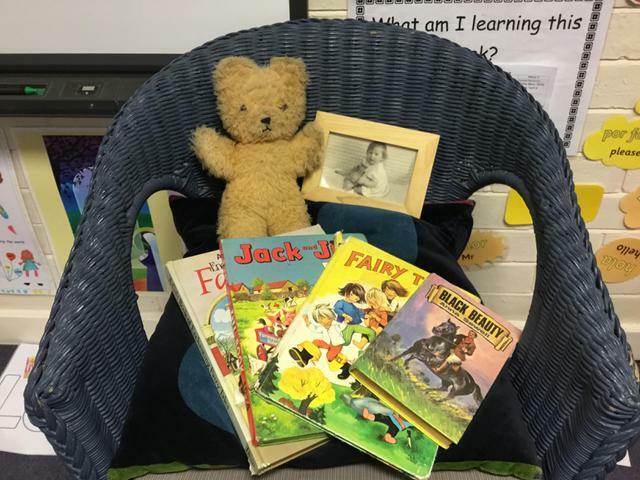 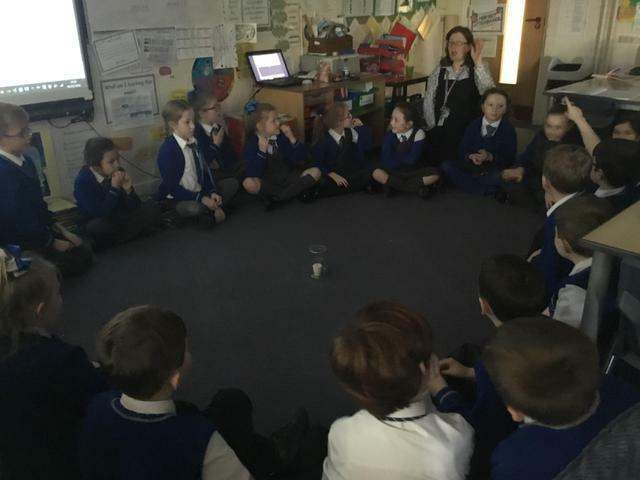 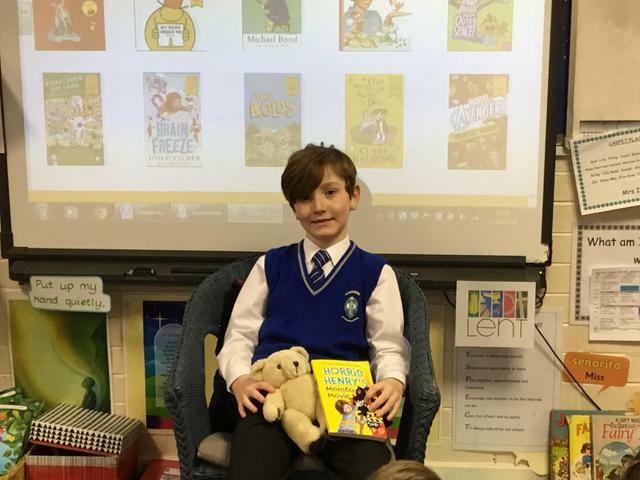 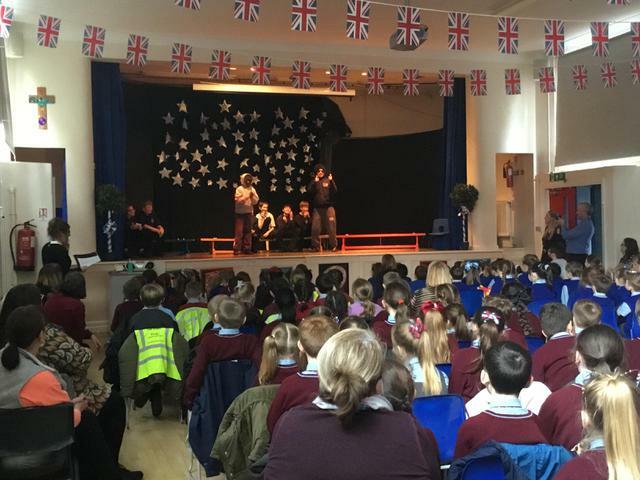 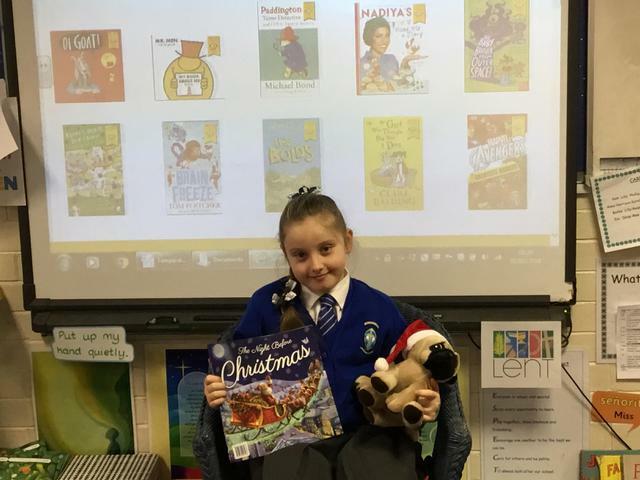 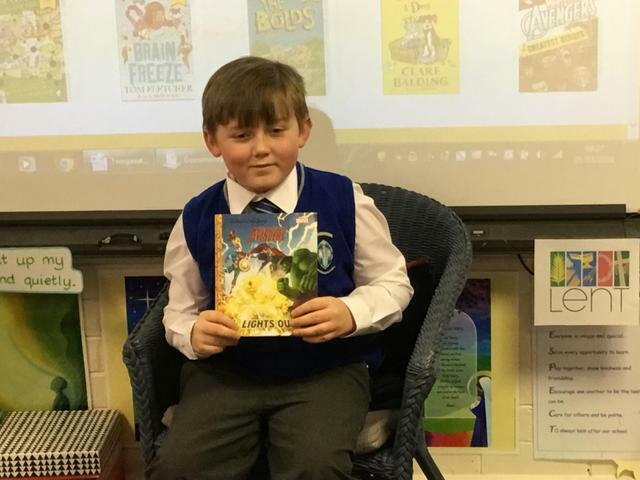 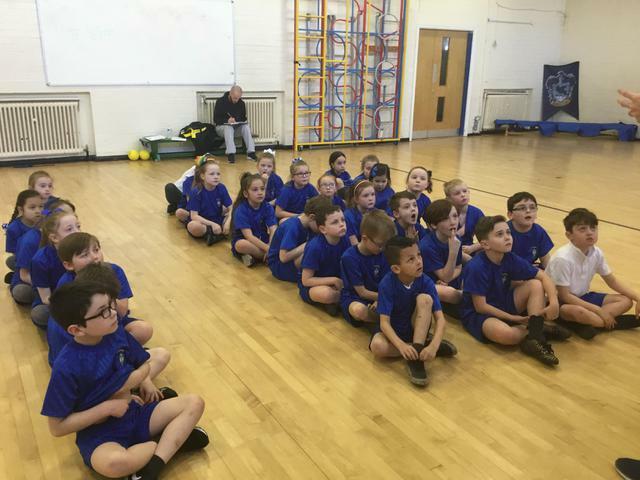 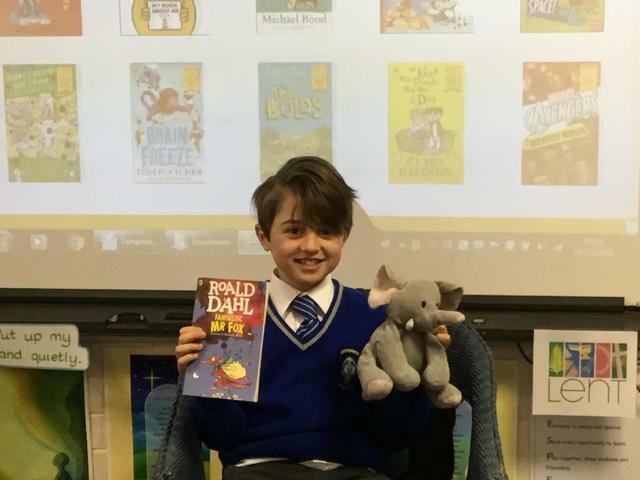 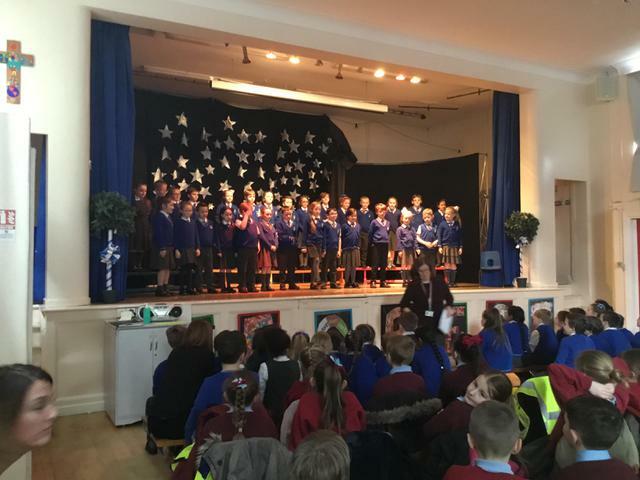 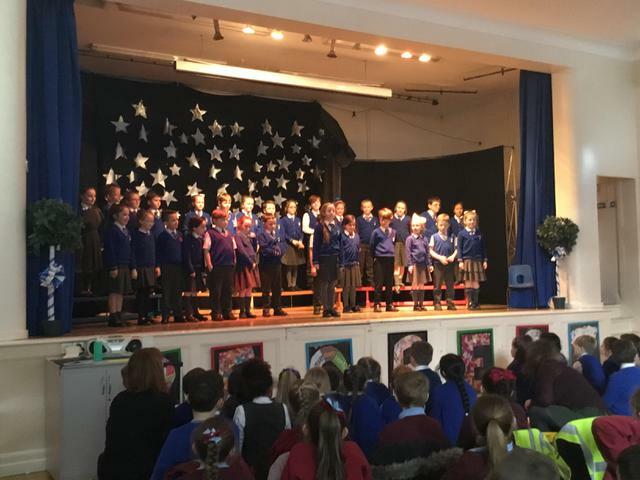 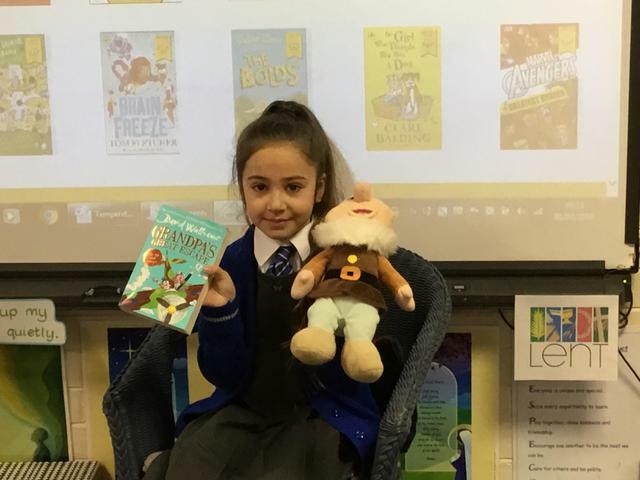 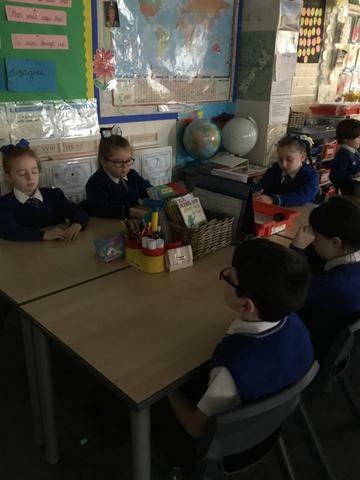 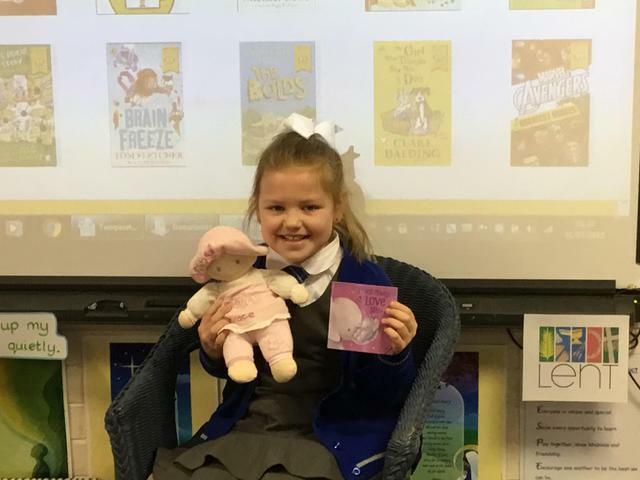 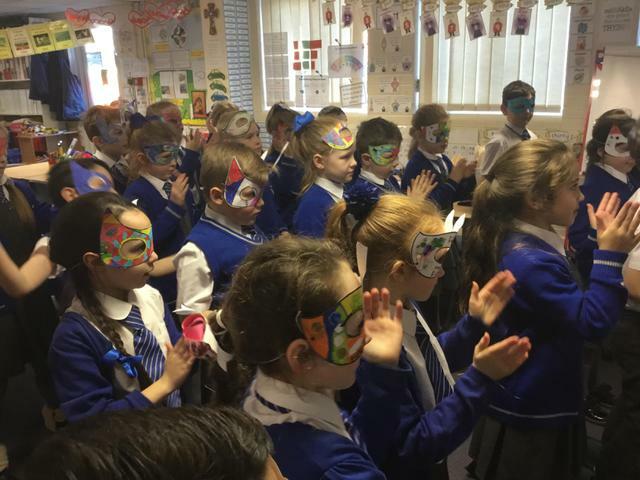 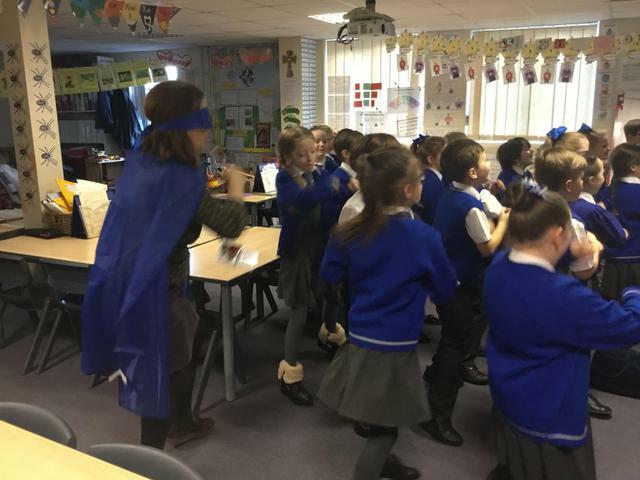 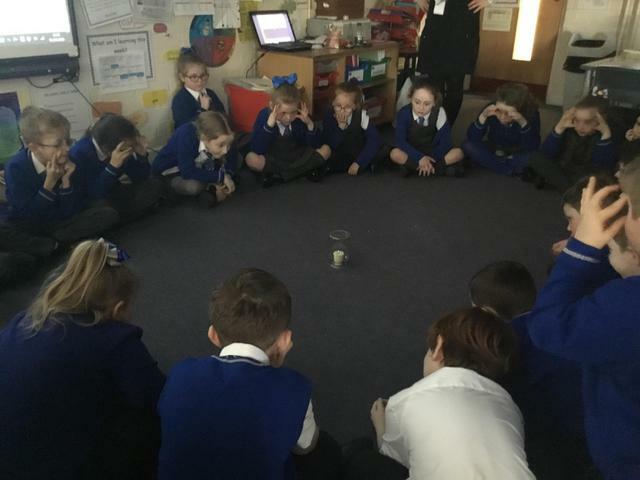 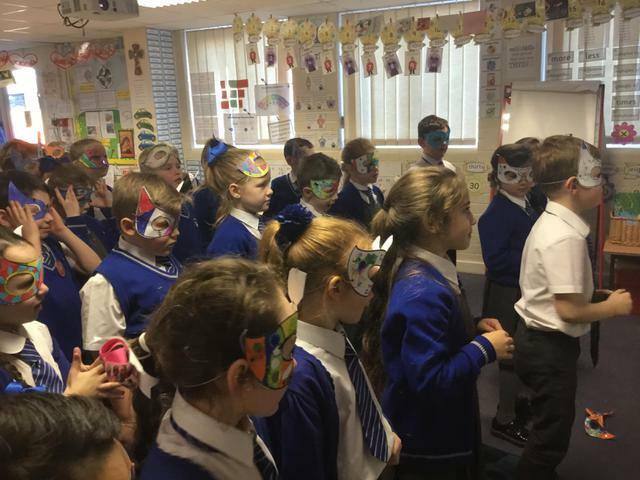 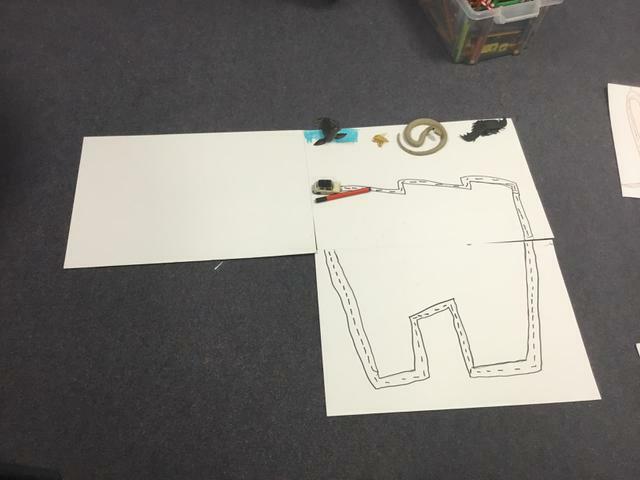 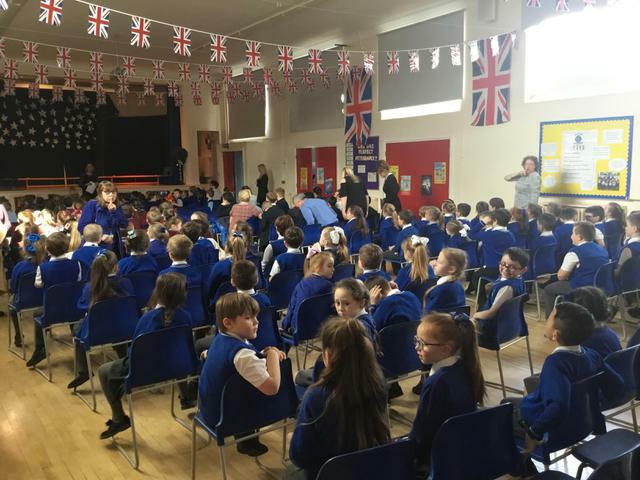 Our class had to perform two nonsense poems 'The Land of the Bumbley Boo' by Spike Milligan and 'The Owl and the Pussycat' by Edward Lear in front of an audience of other schools and classes. 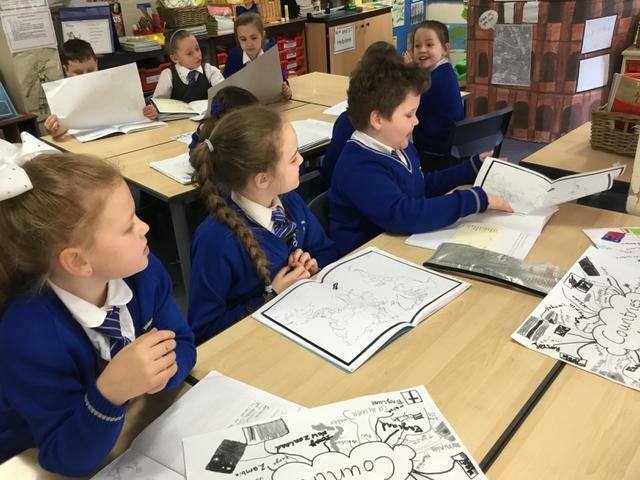 They were fabulous and all learnt the poems well. 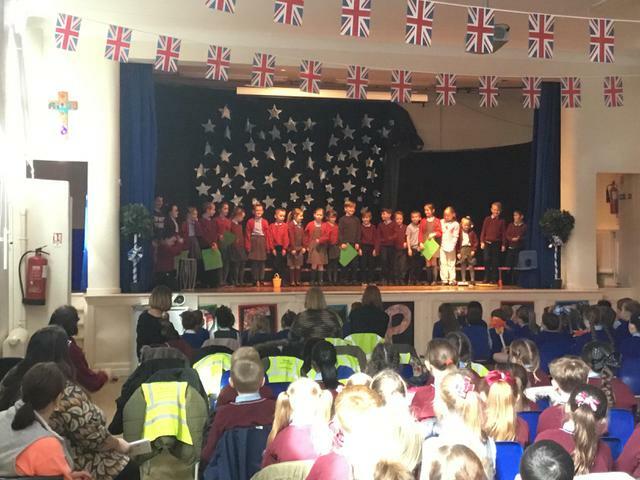 They performed them chorally and very clearly. 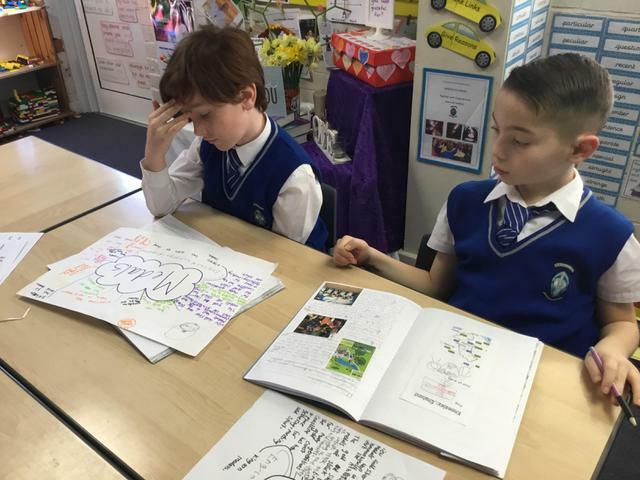 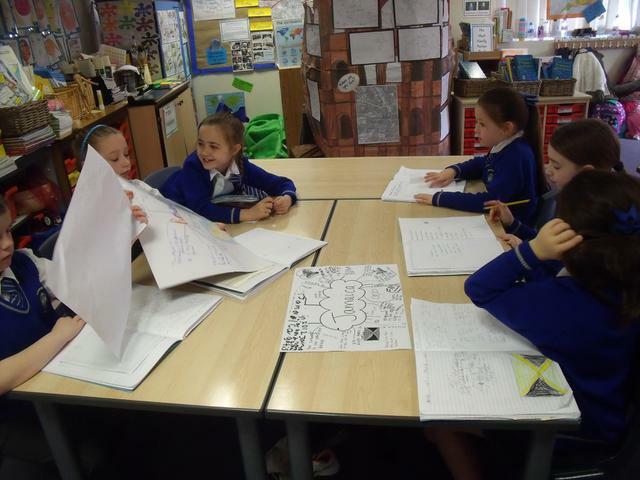 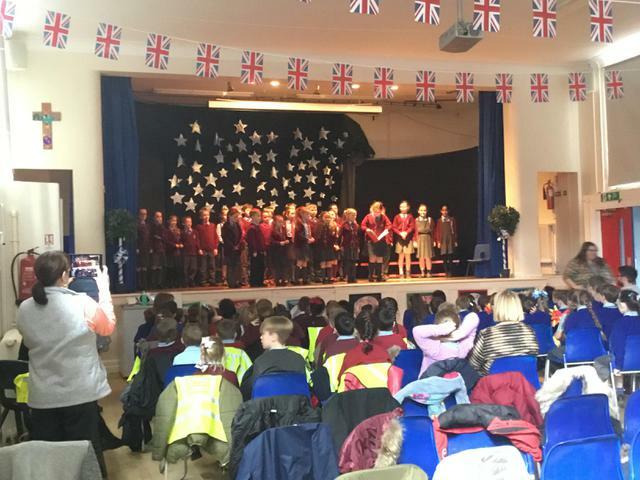 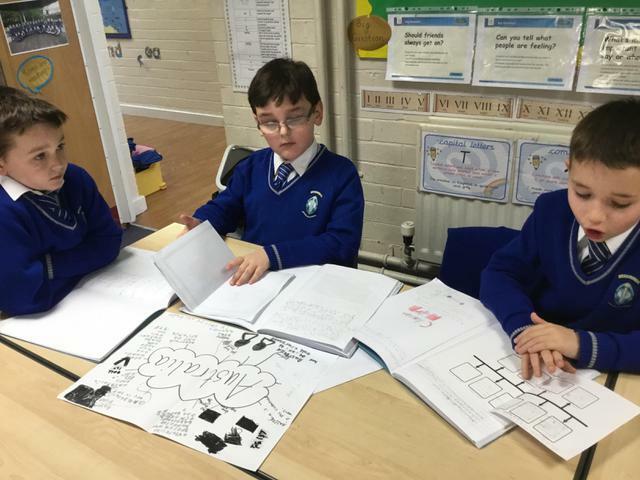 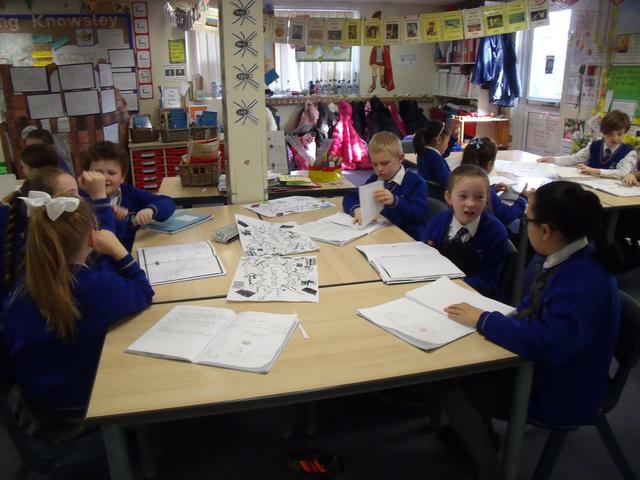 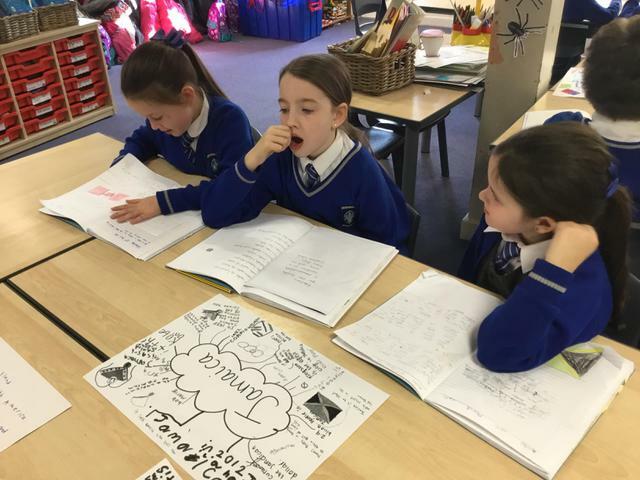 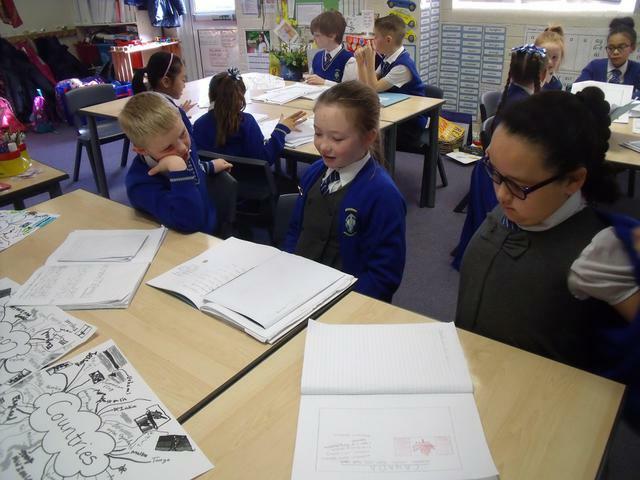 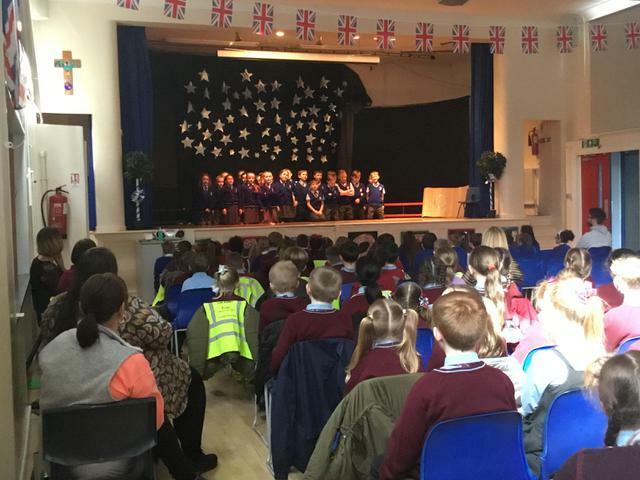 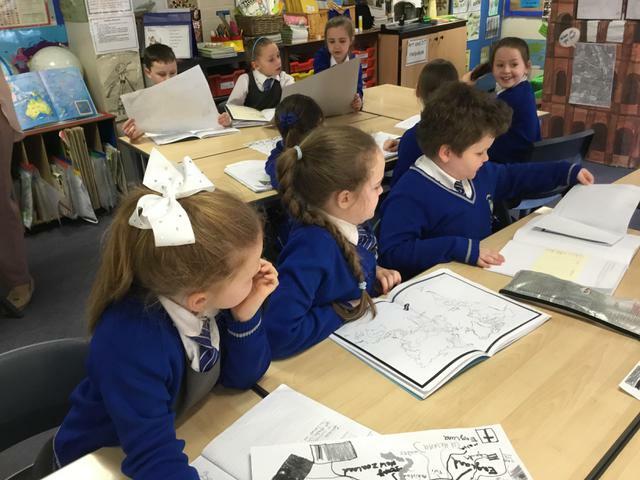 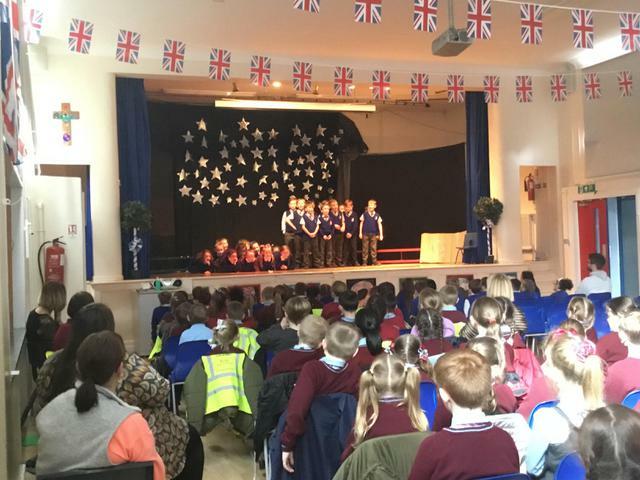 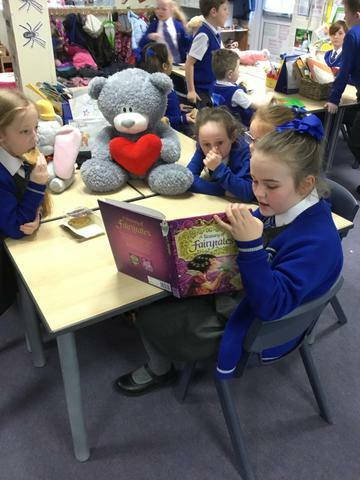 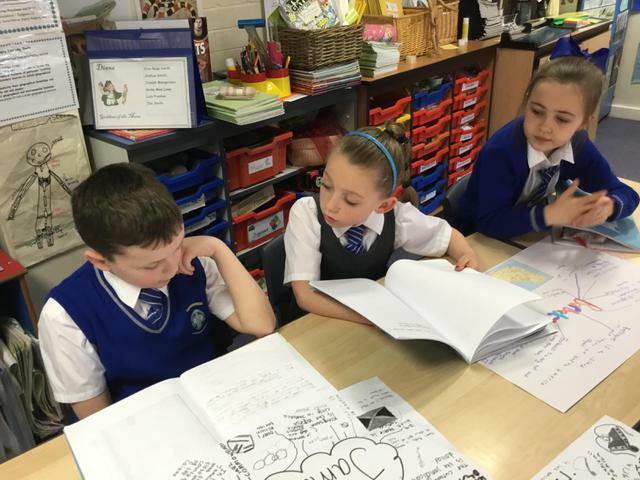 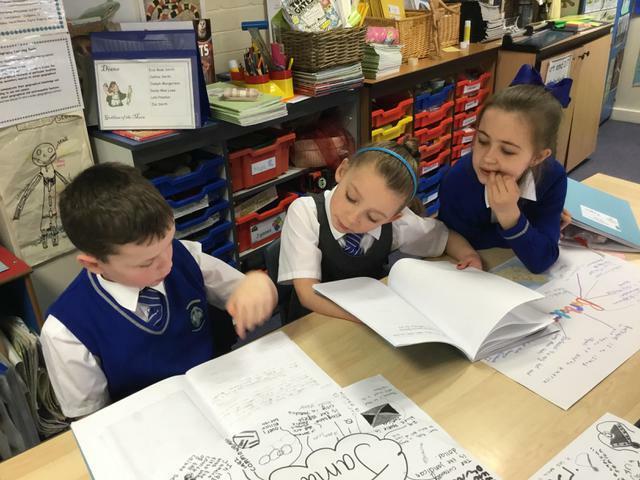 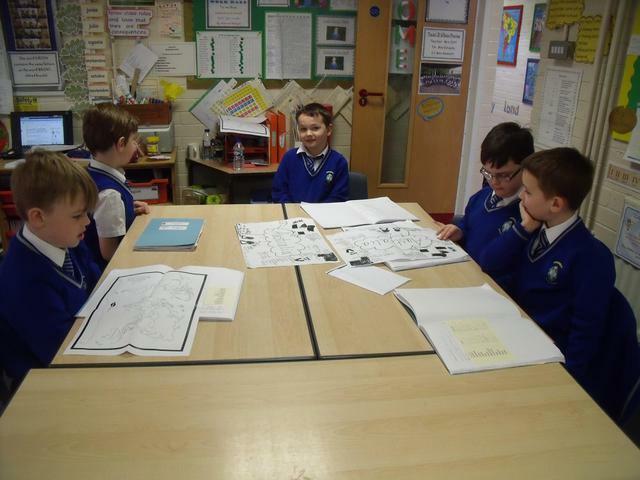 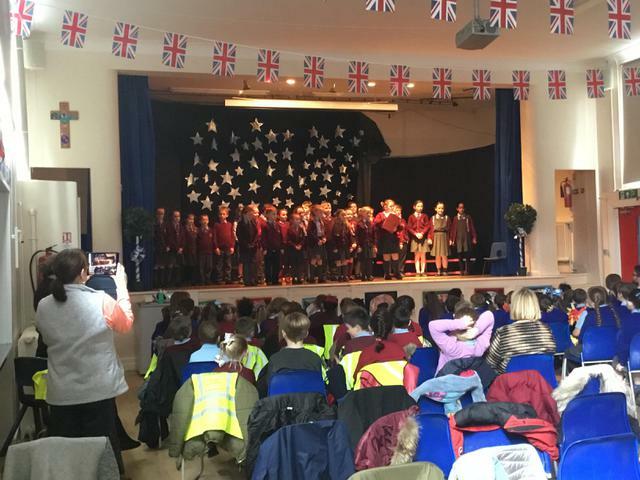 They also listened carefully to the other schools as they performed their poems. 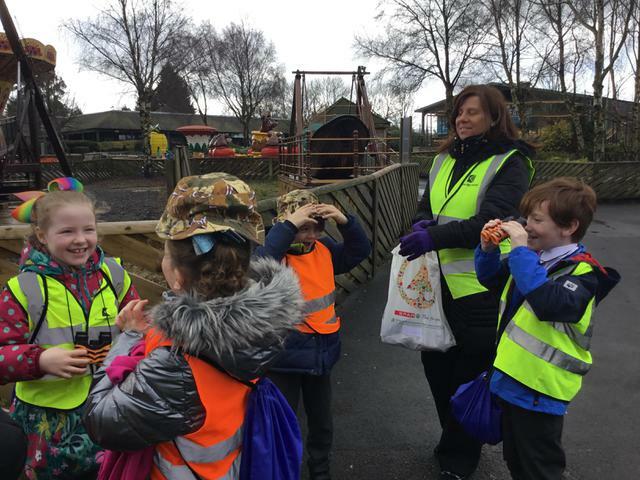 We all had a great afternoon and were rewarded with 10 smileys each! 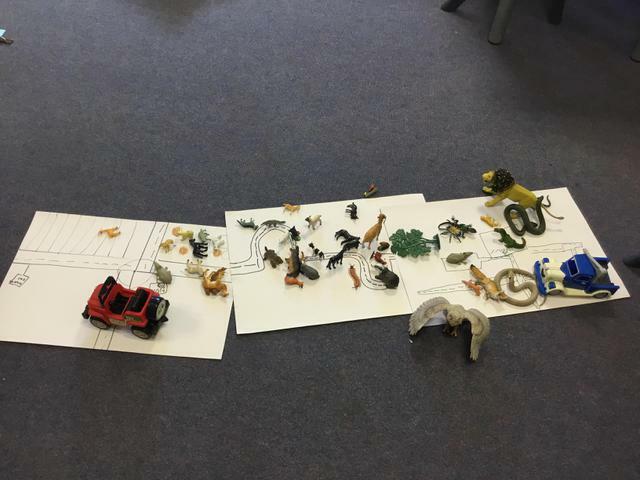 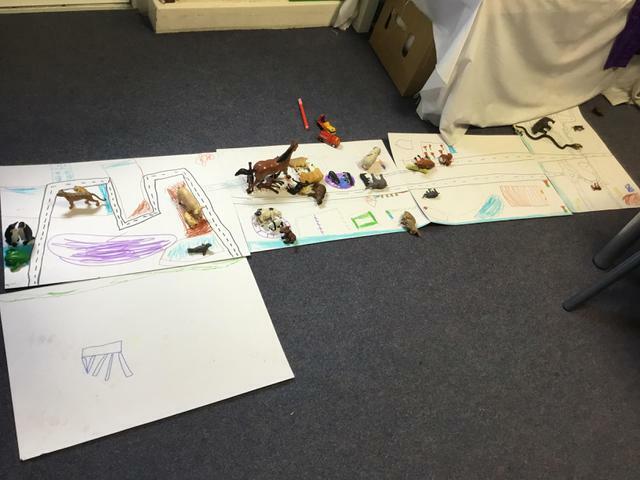 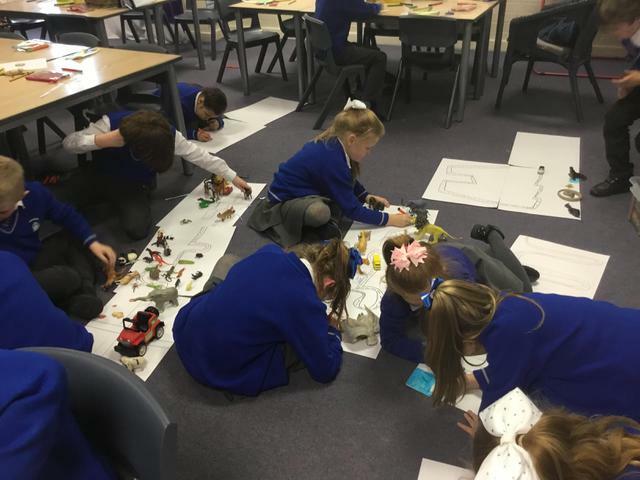 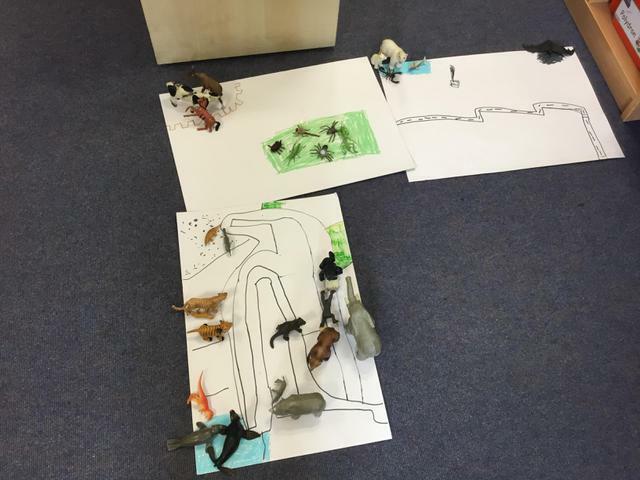 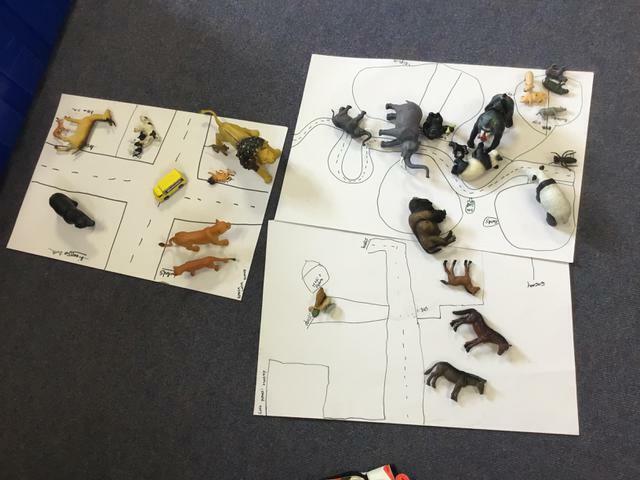 The children enjoyed making their own Safari Parks. 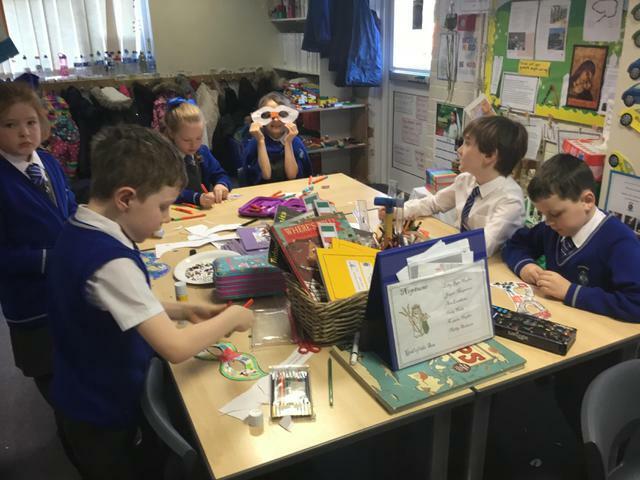 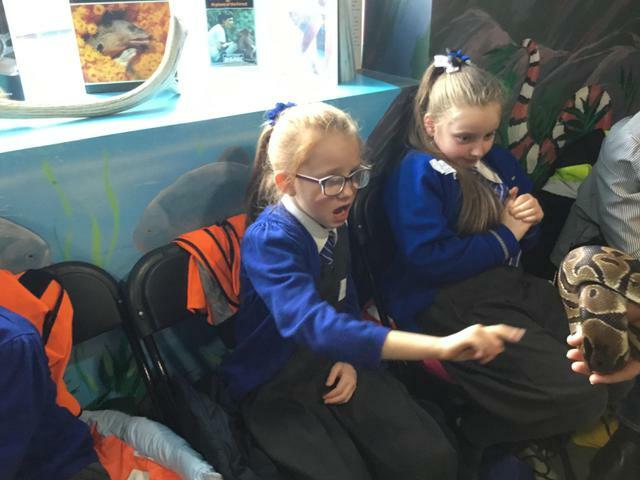 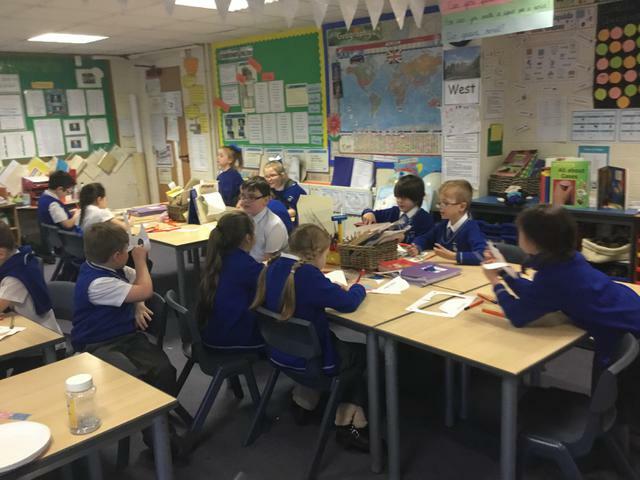 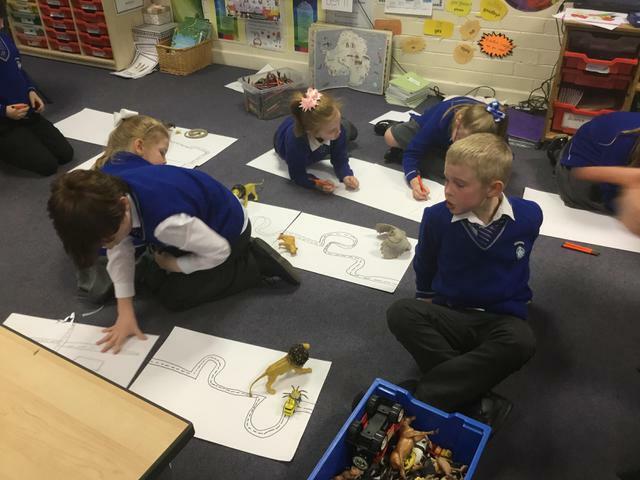 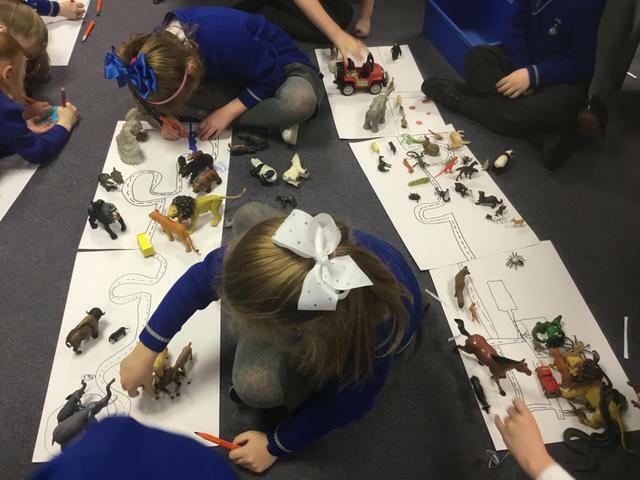 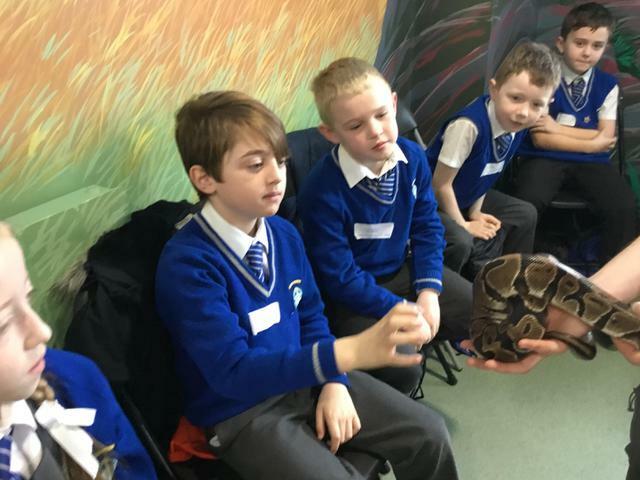 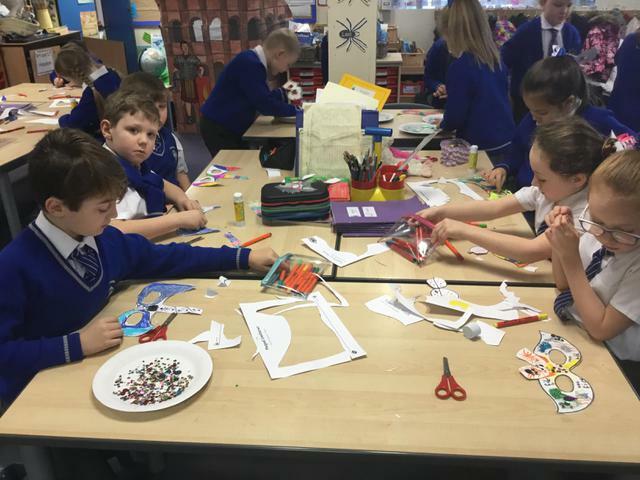 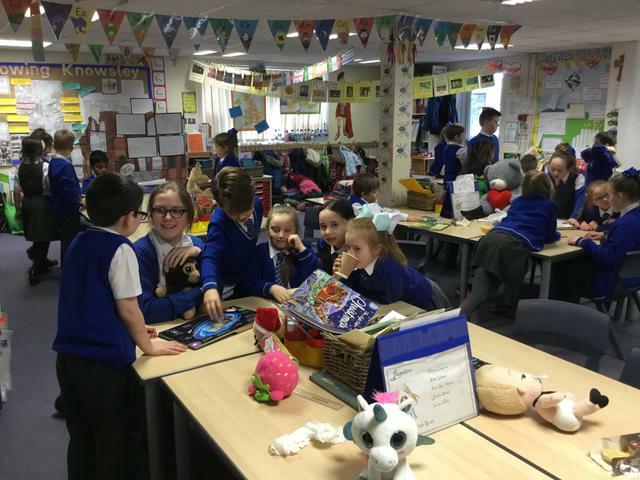 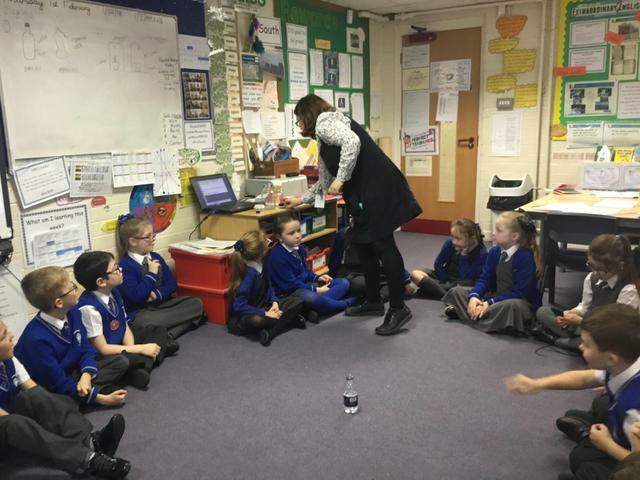 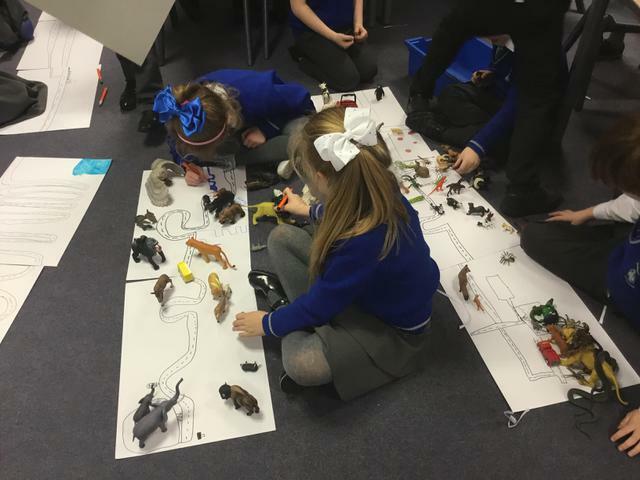 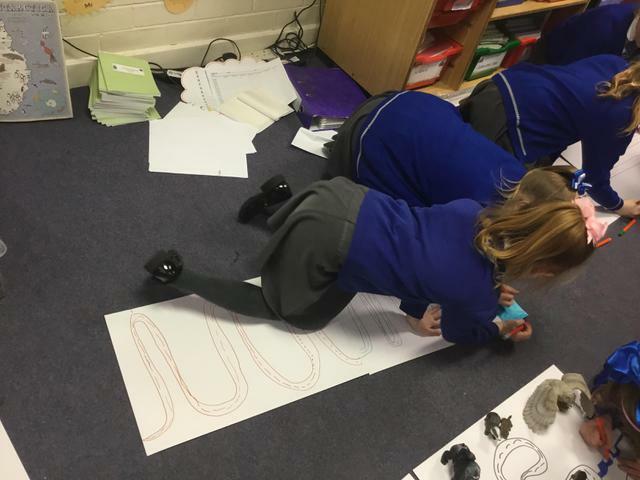 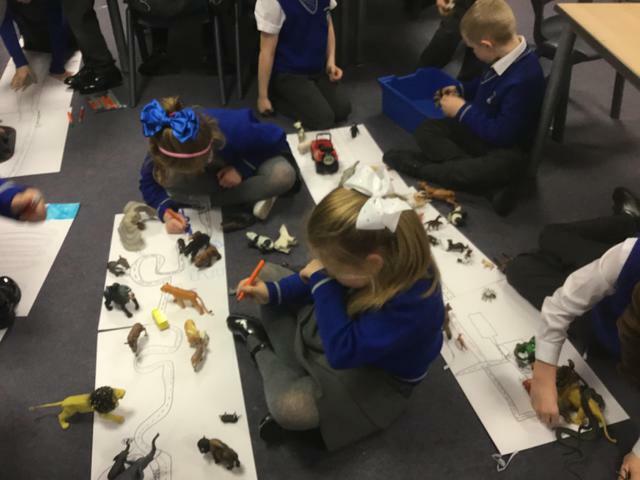 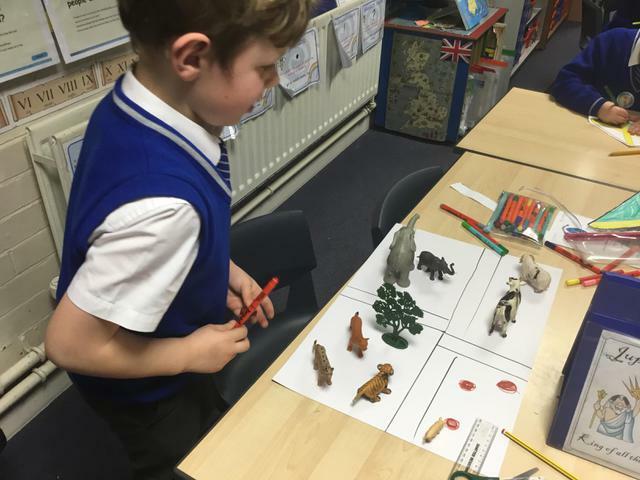 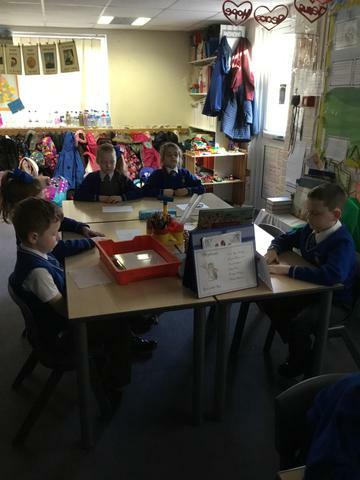 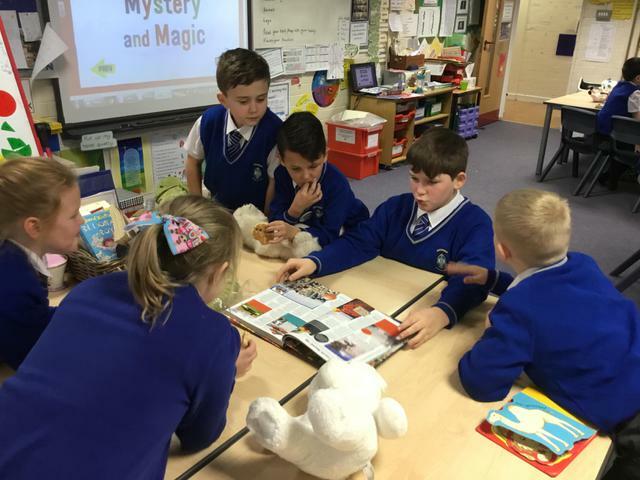 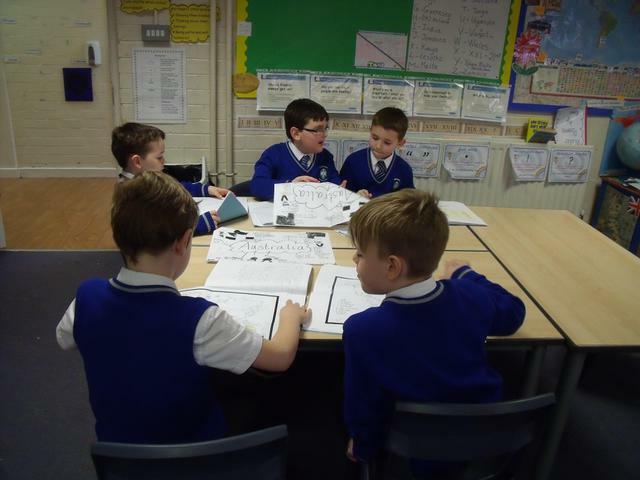 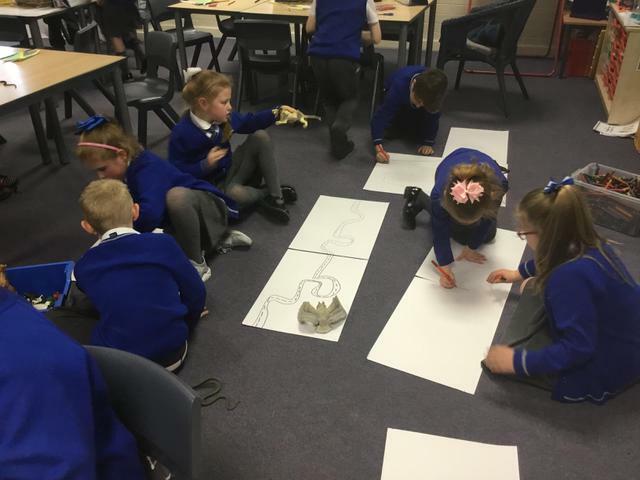 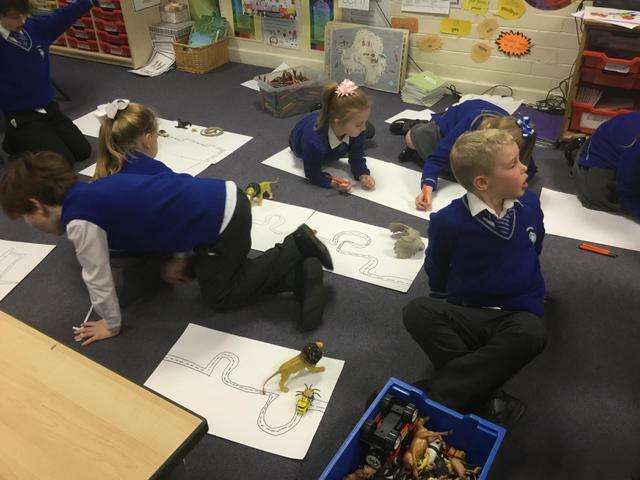 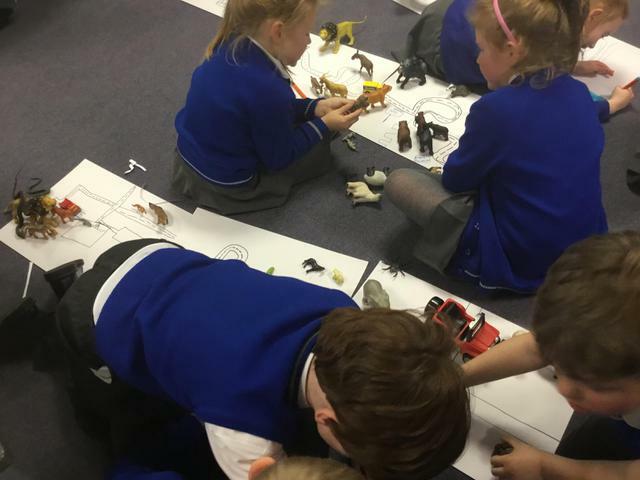 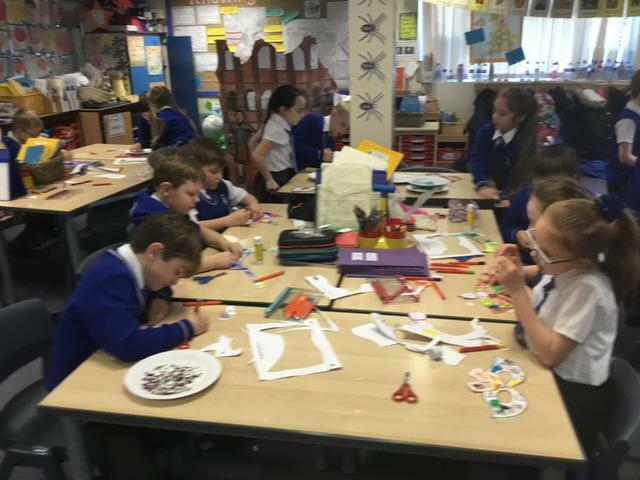 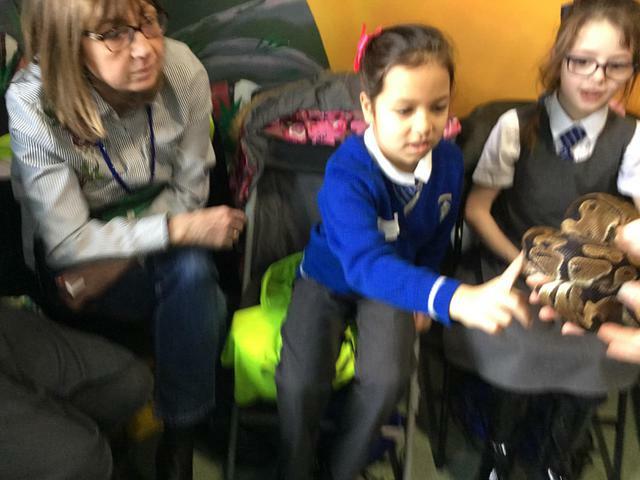 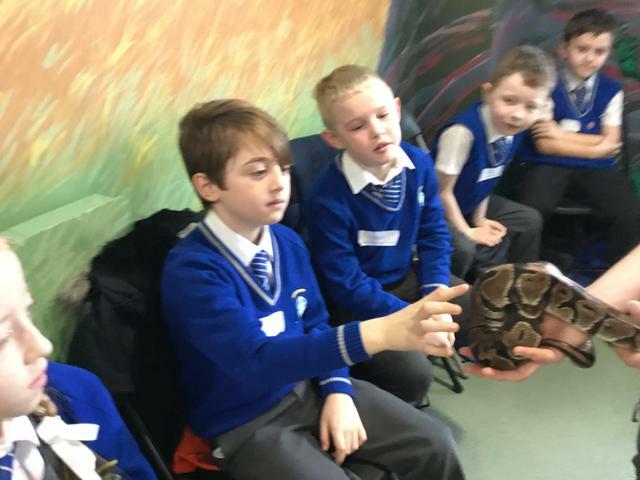 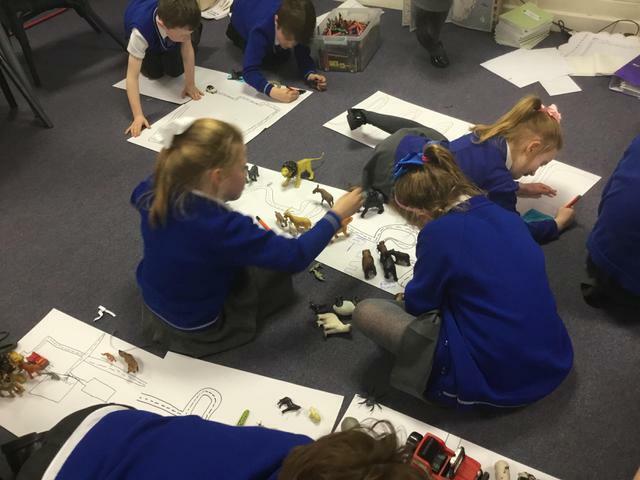 The children had a brilliant day out beginning with a classroom session classifying vertebrates into mammals, birds, fish, reptiles and amphibians. 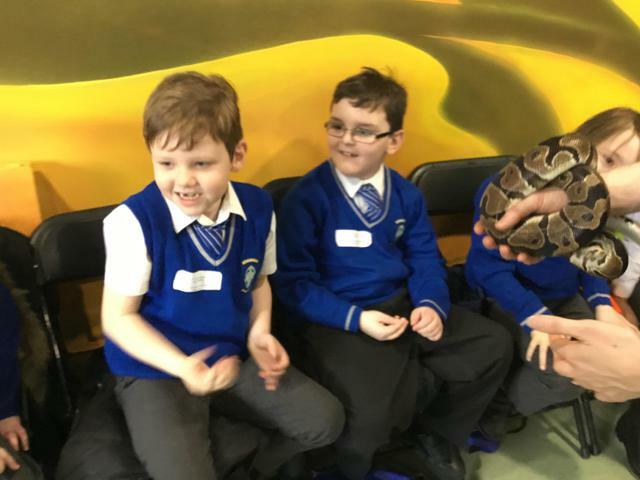 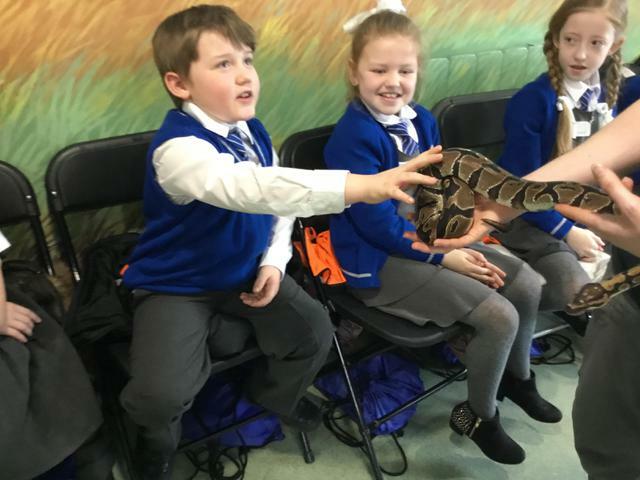 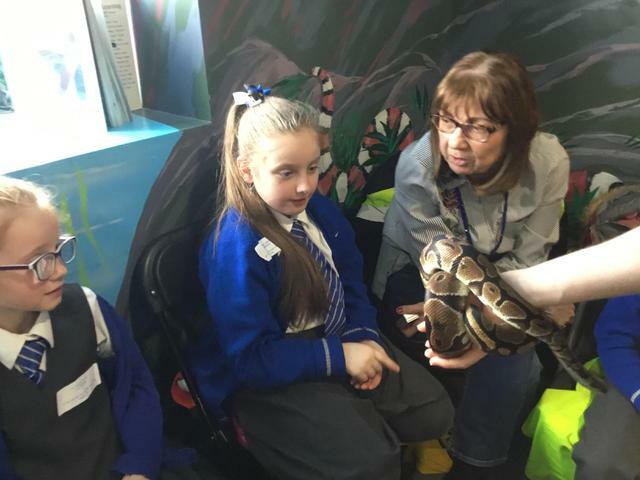 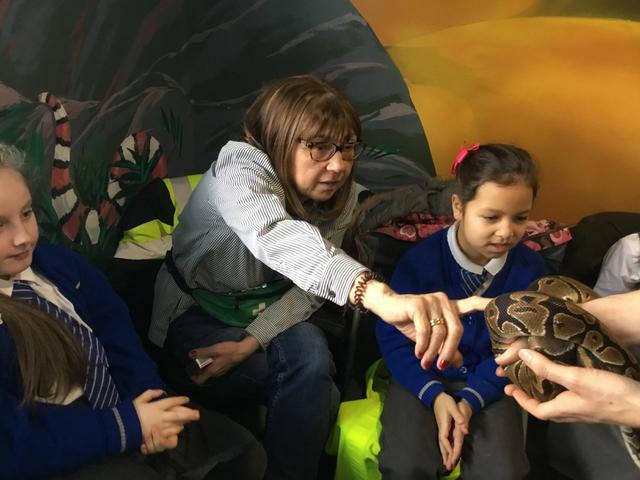 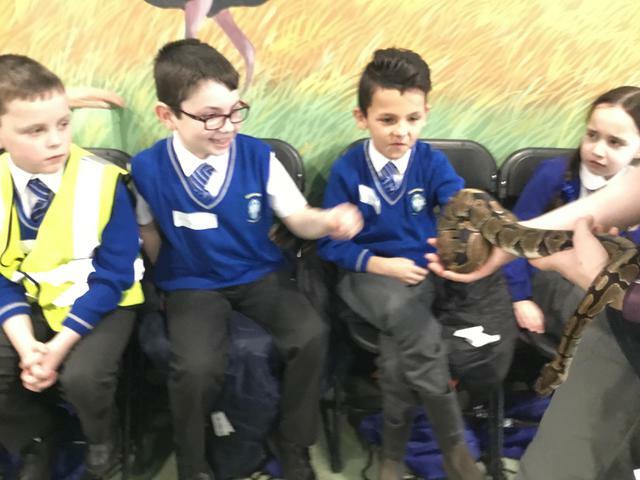 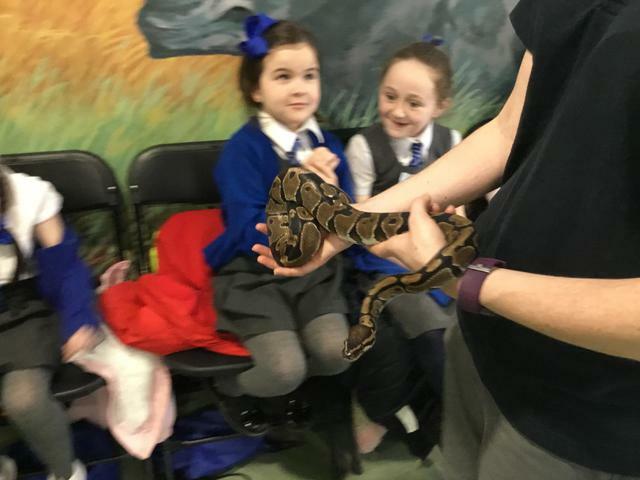 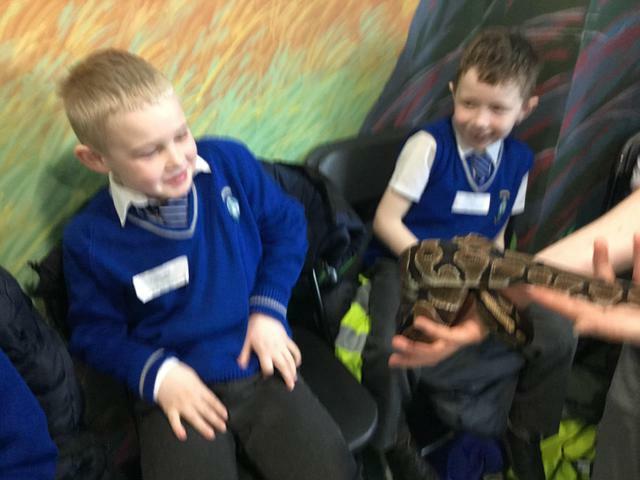 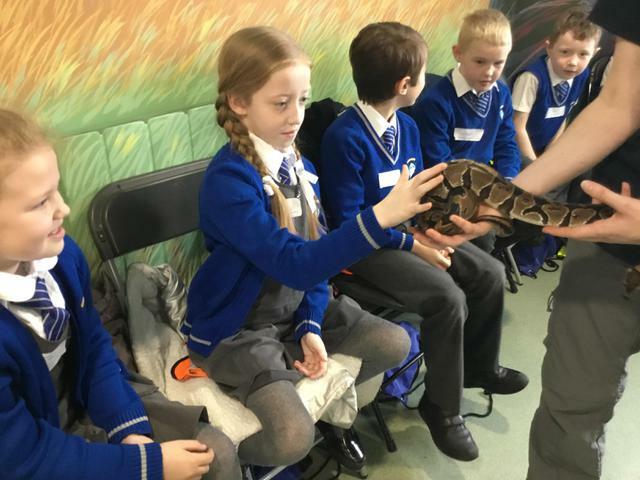 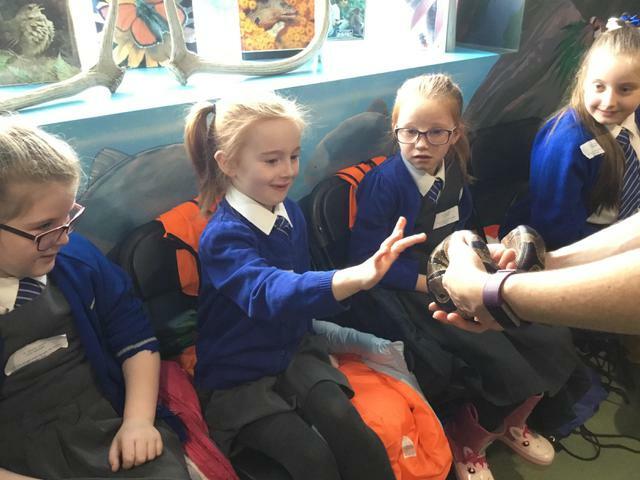 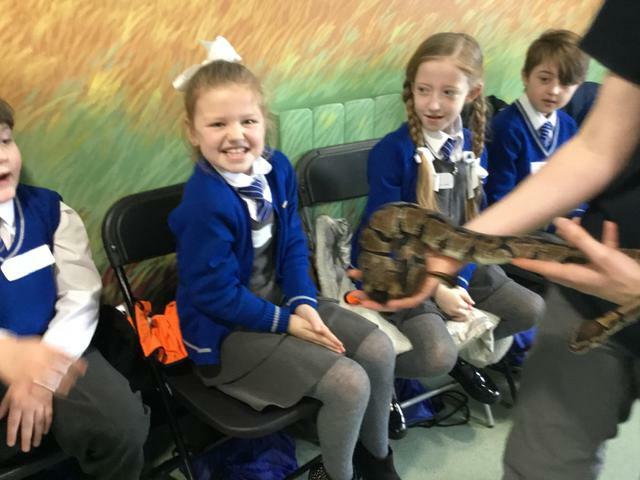 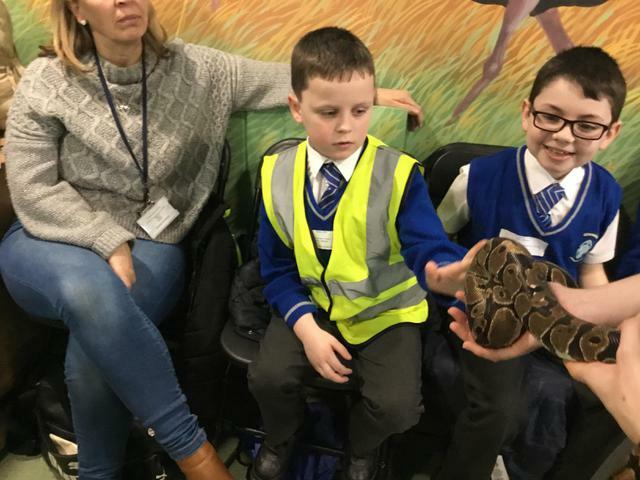 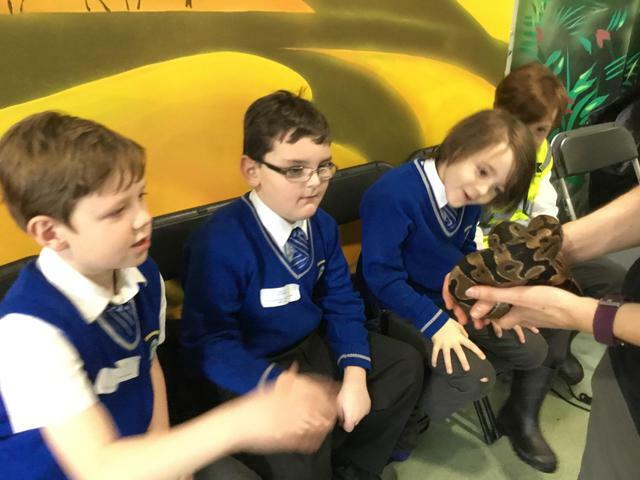 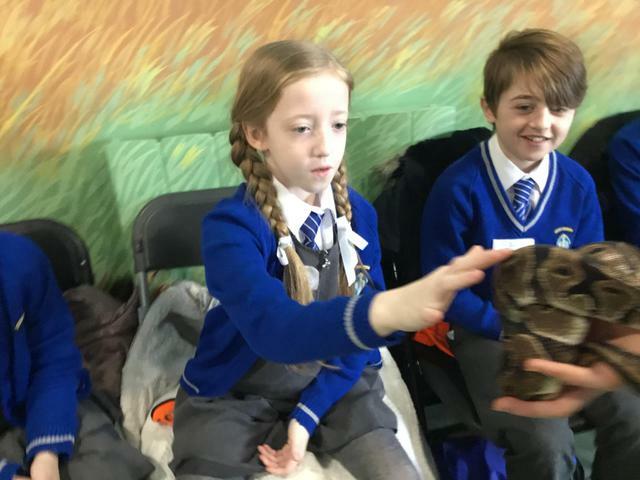 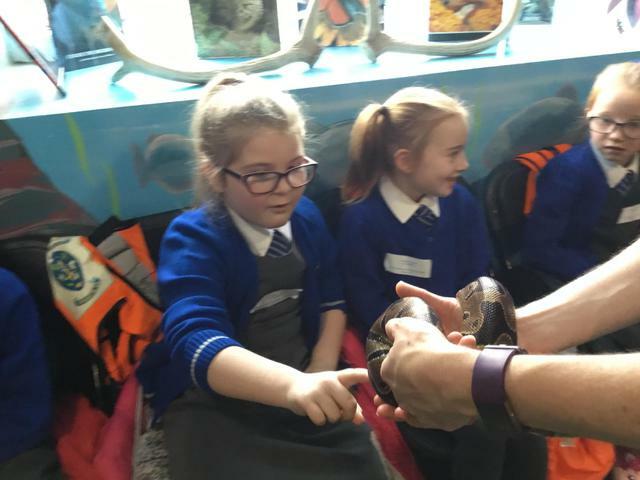 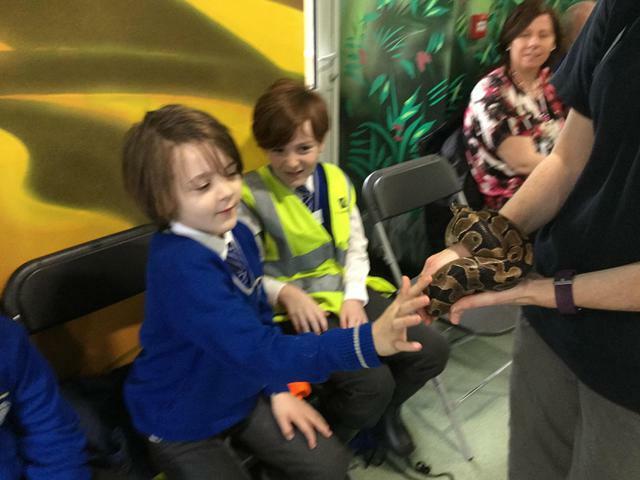 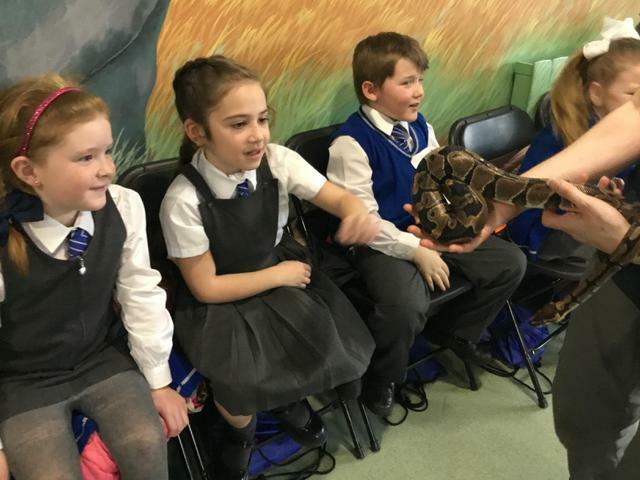 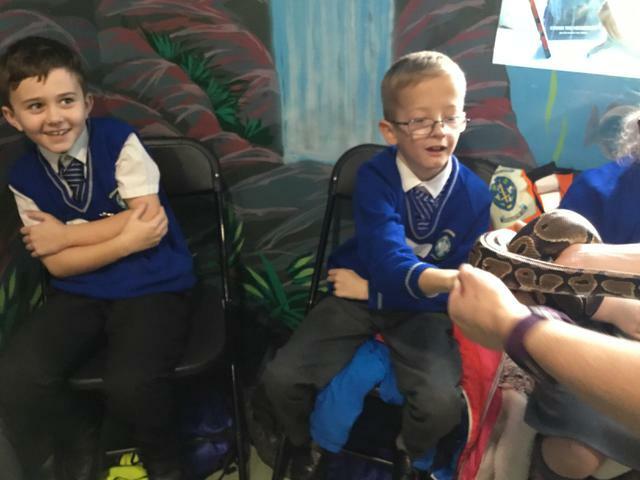 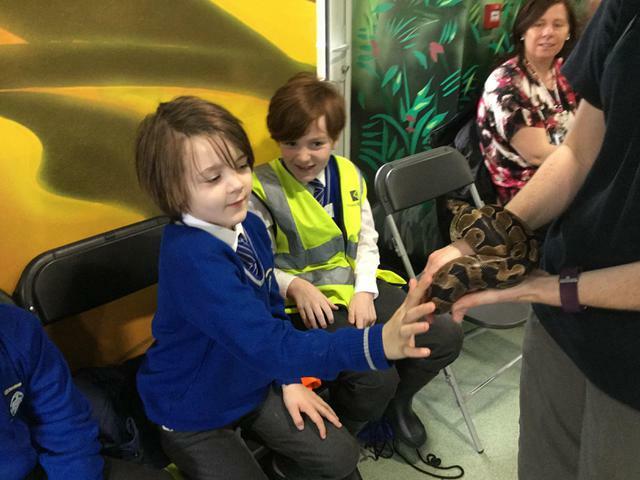 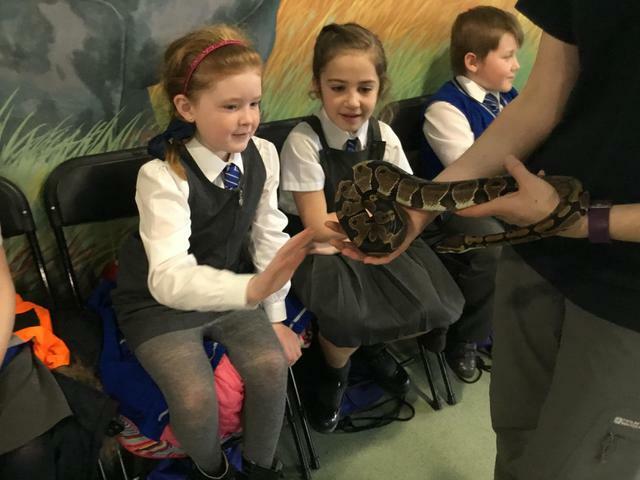 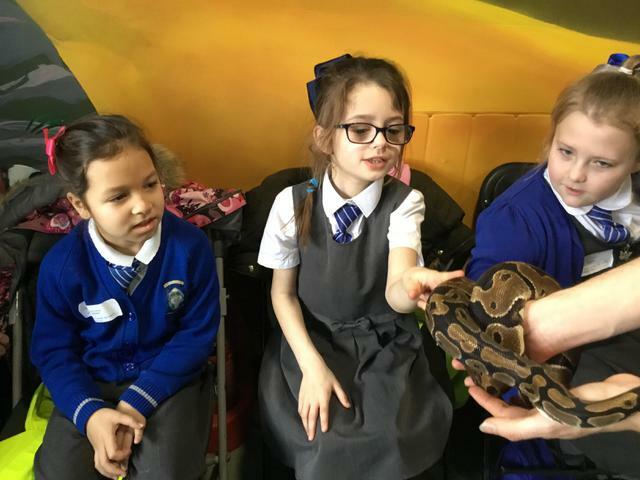 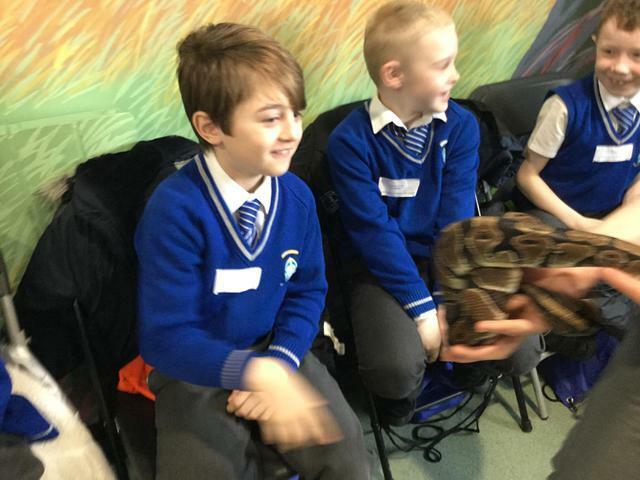 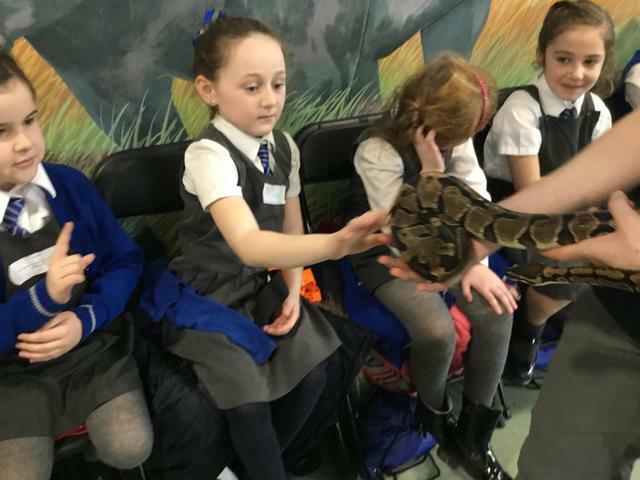 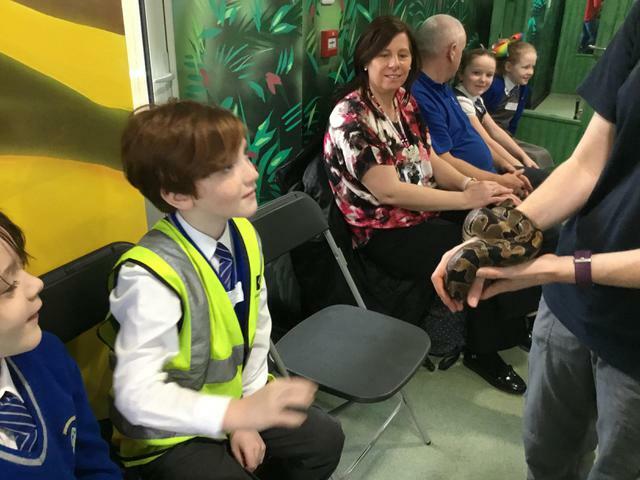 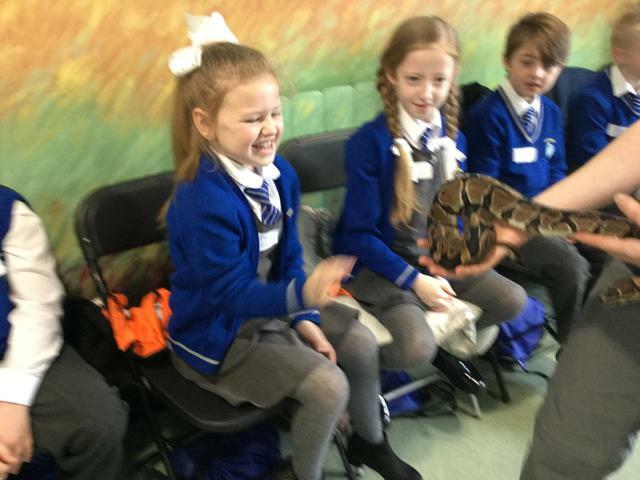 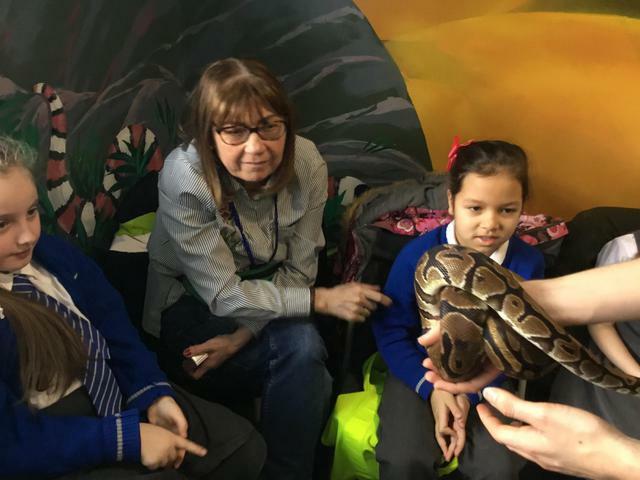 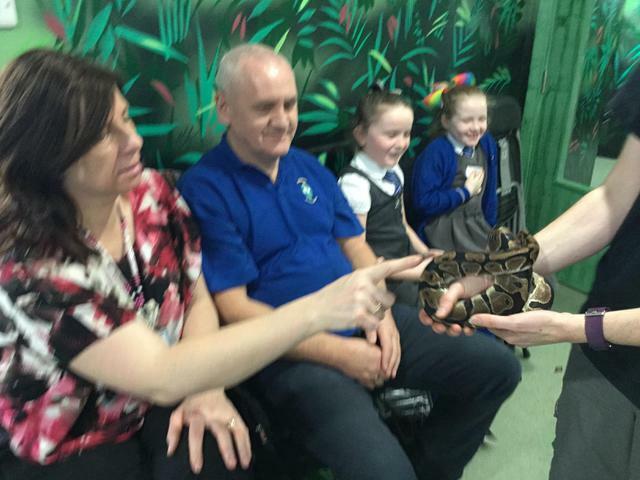 Most of the children touched the royal python! 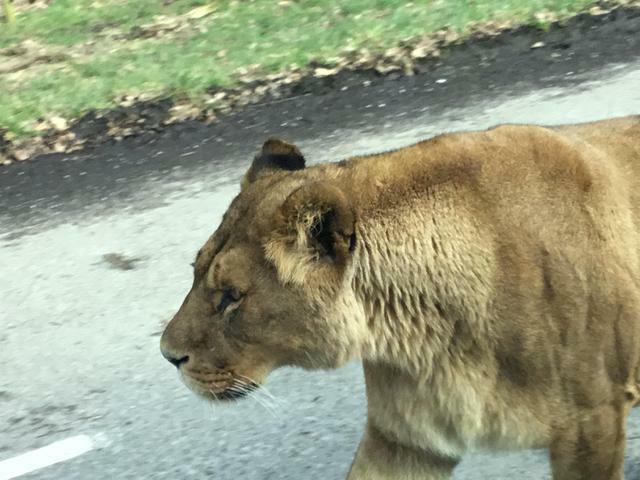 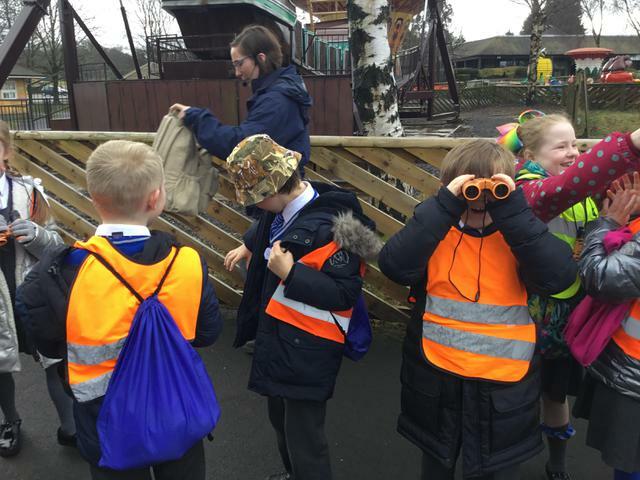 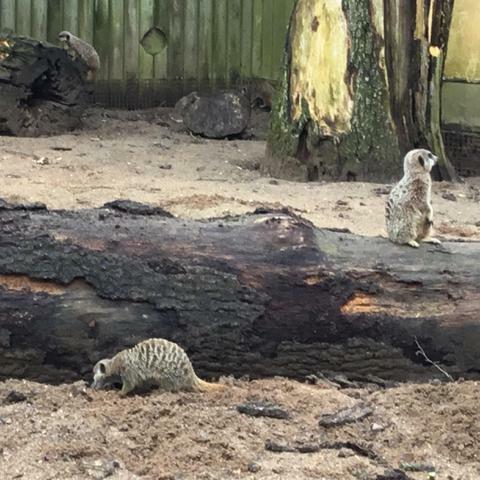 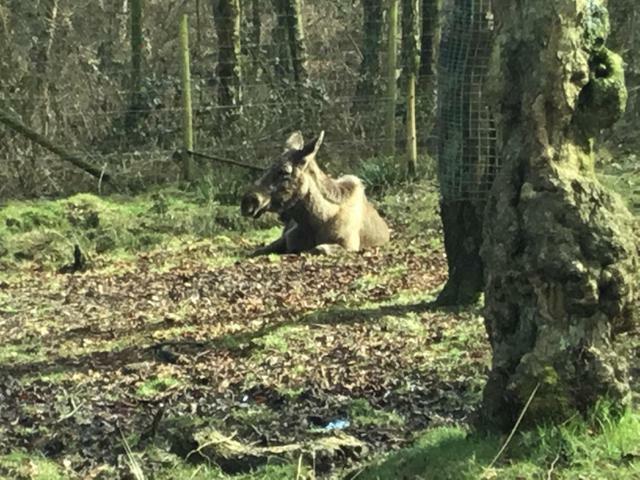 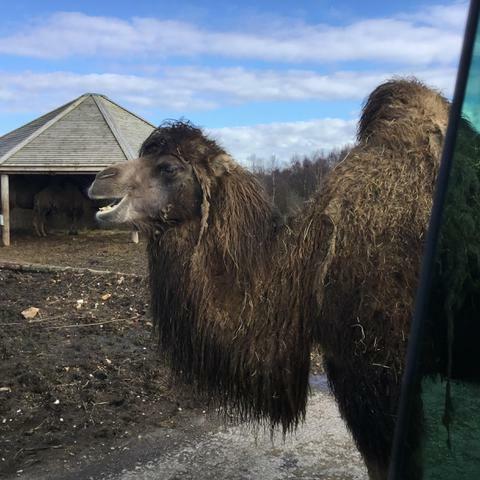 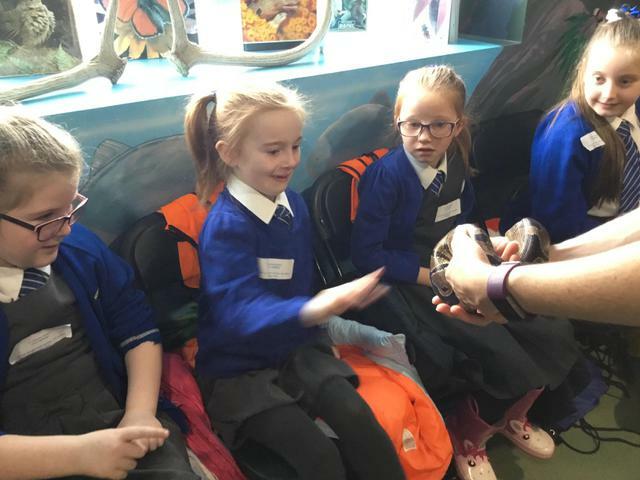 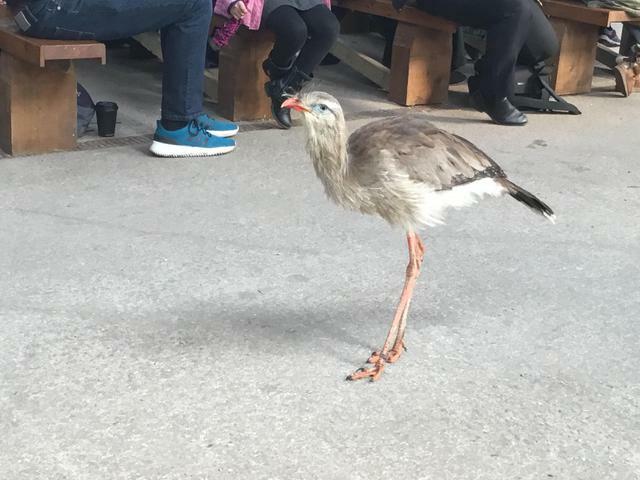 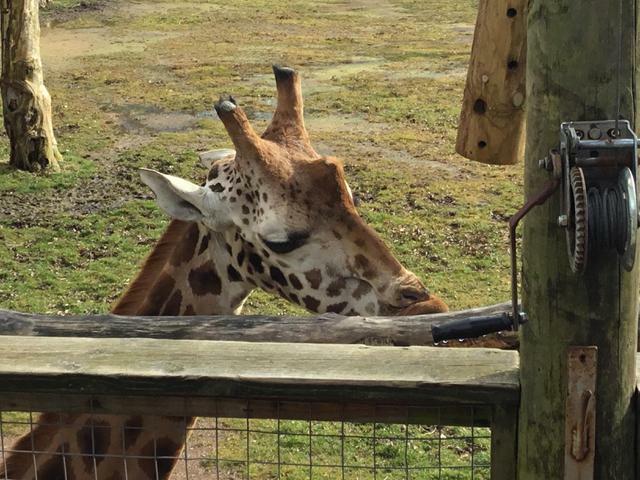 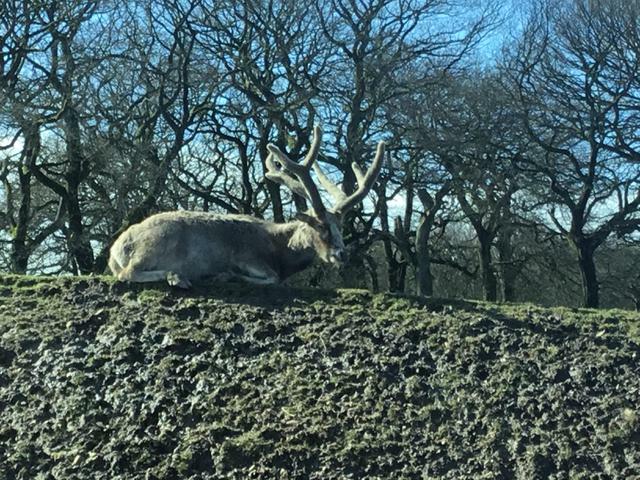 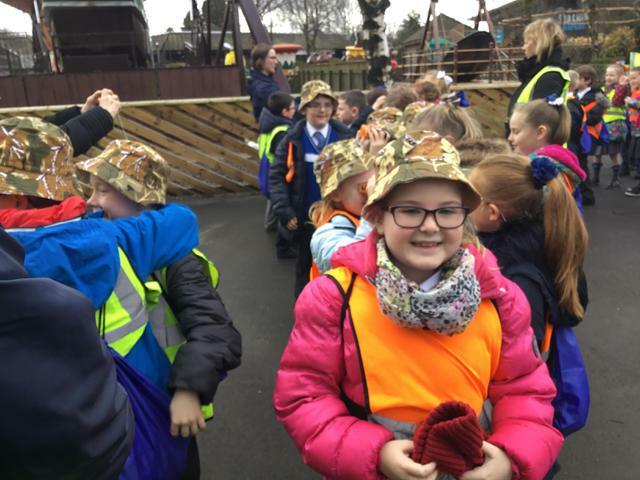 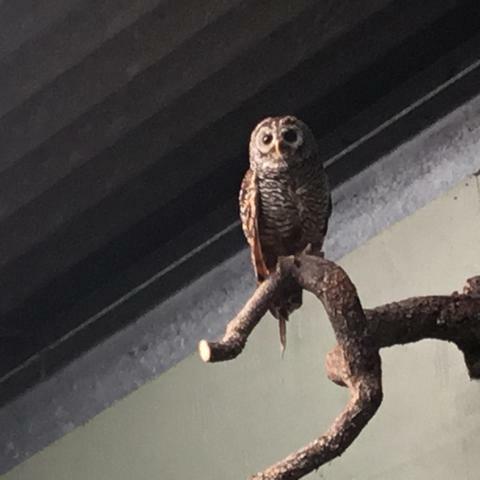 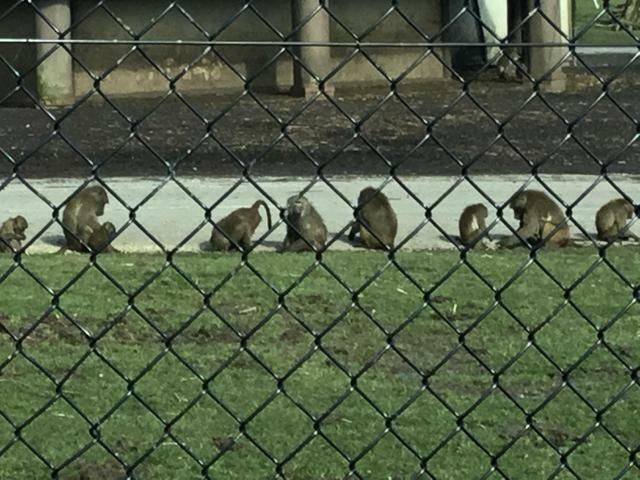 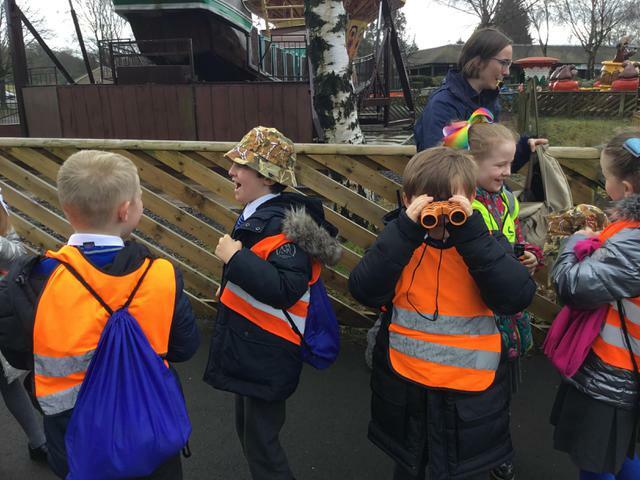 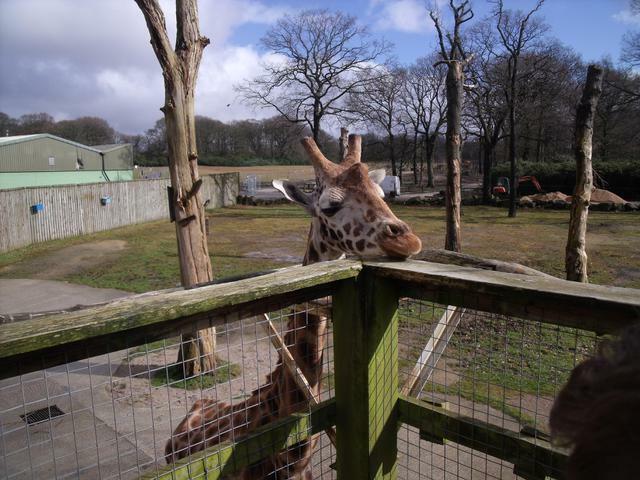 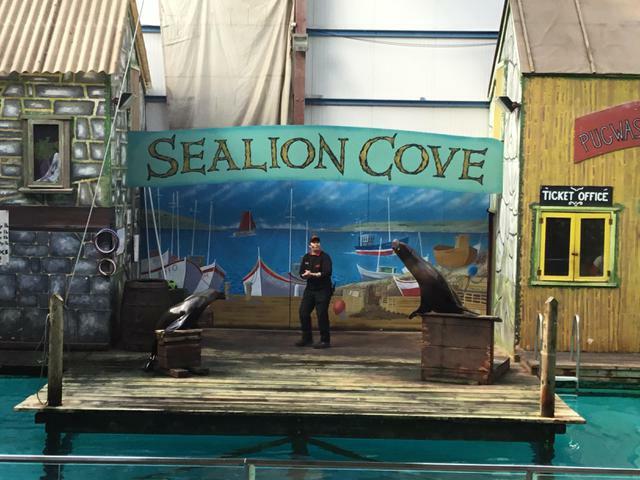 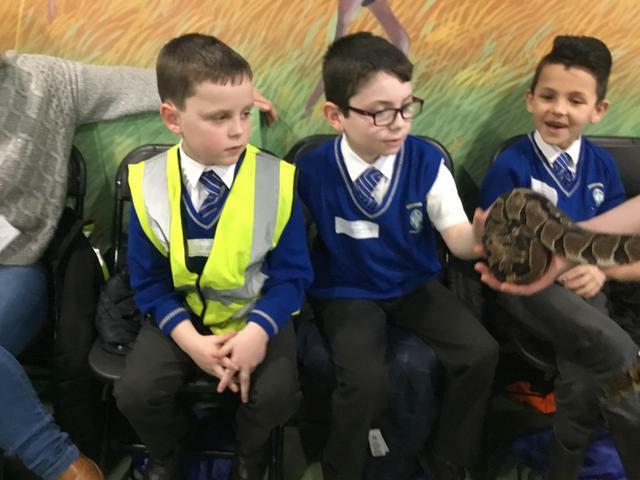 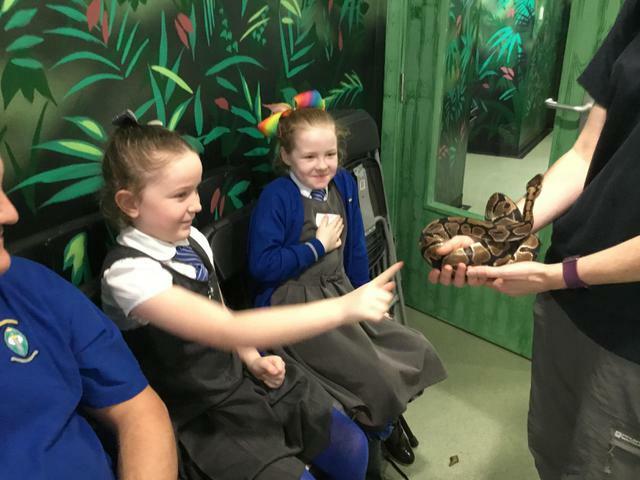 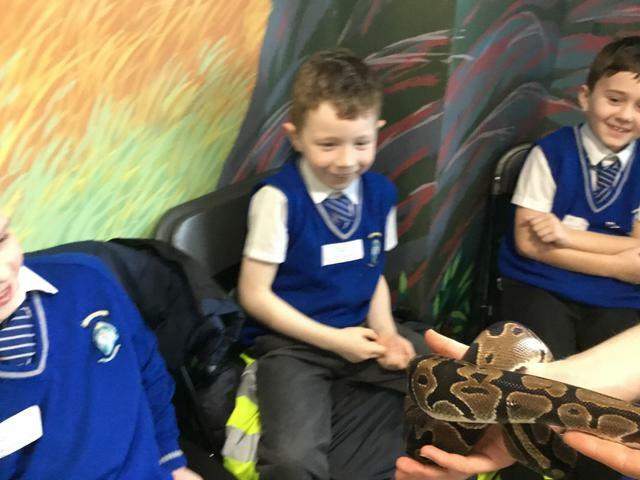 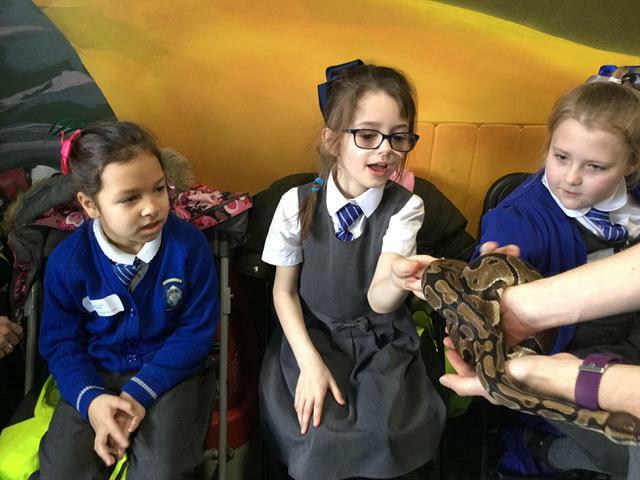 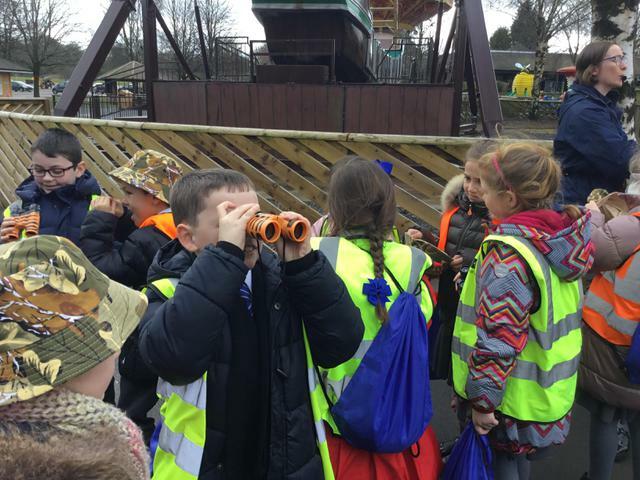 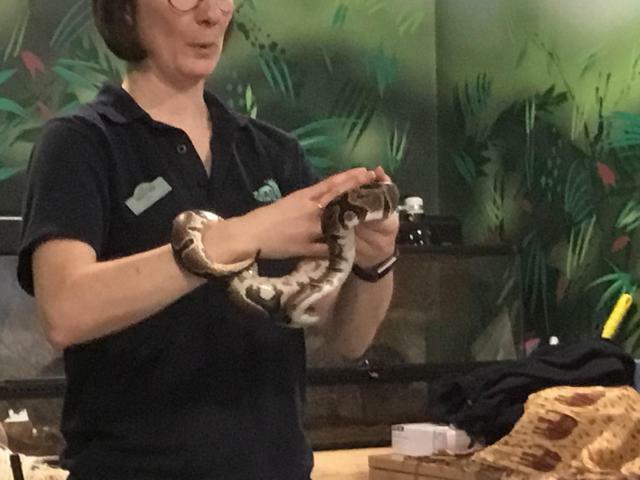 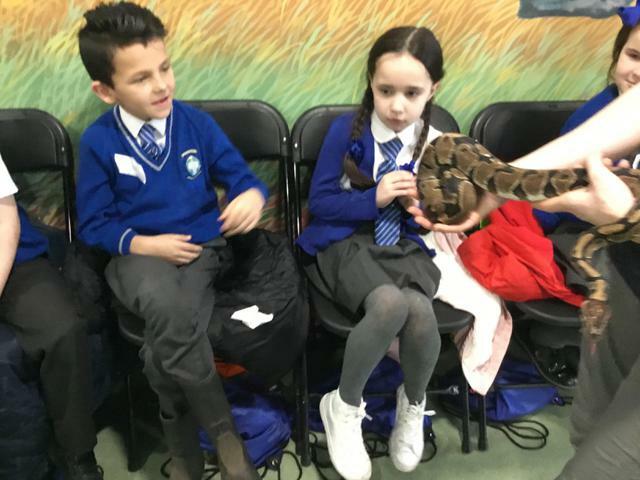 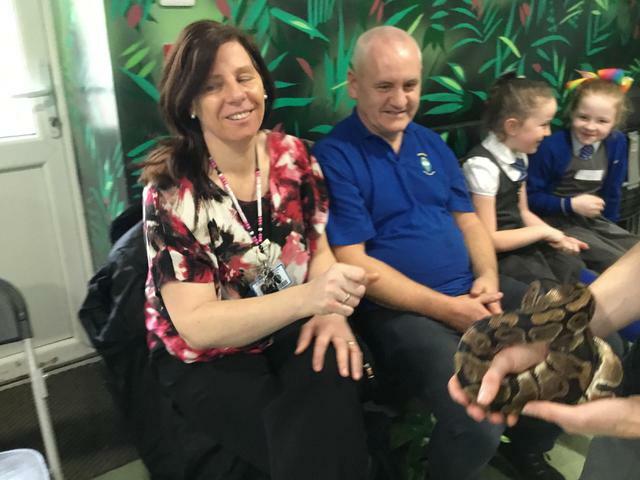 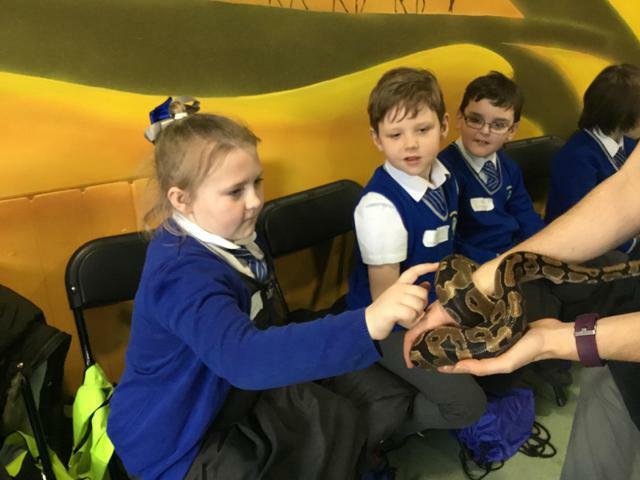 They then went on a foot safari to learn more about the meercats and giraffes, watched the sea lion and bird of prey shows. 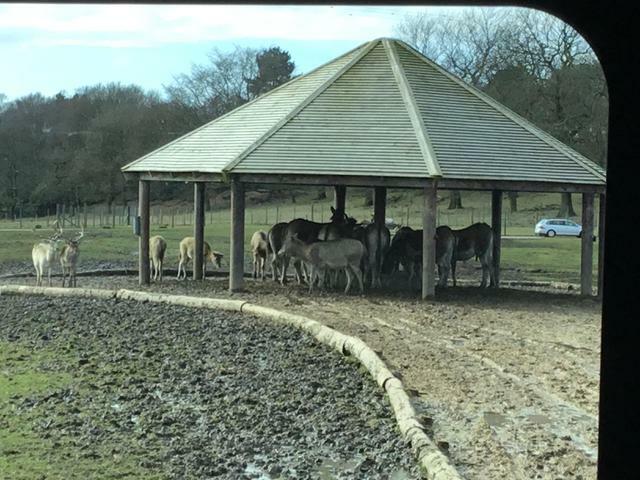 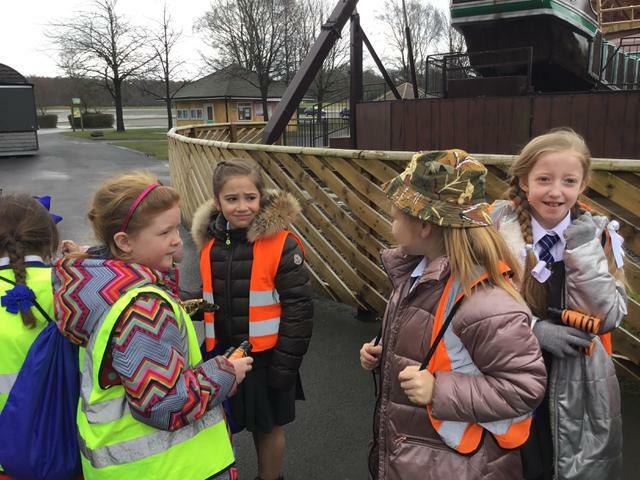 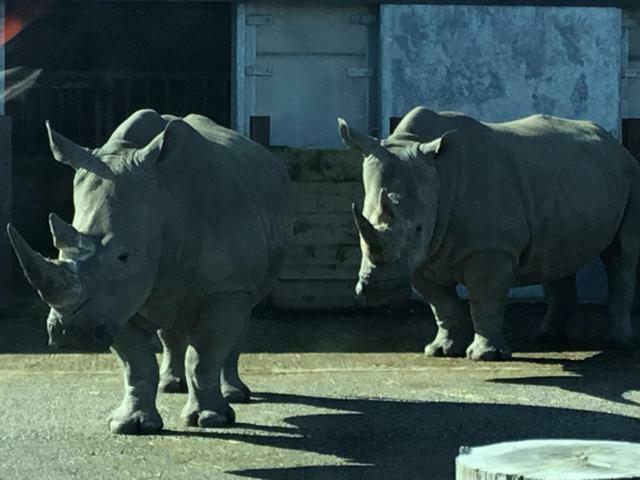 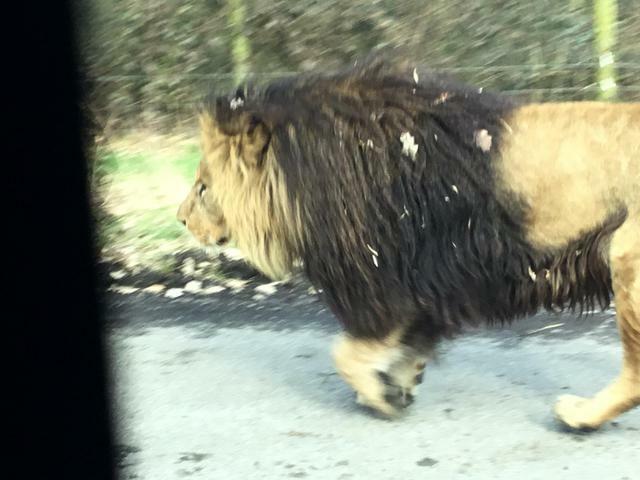 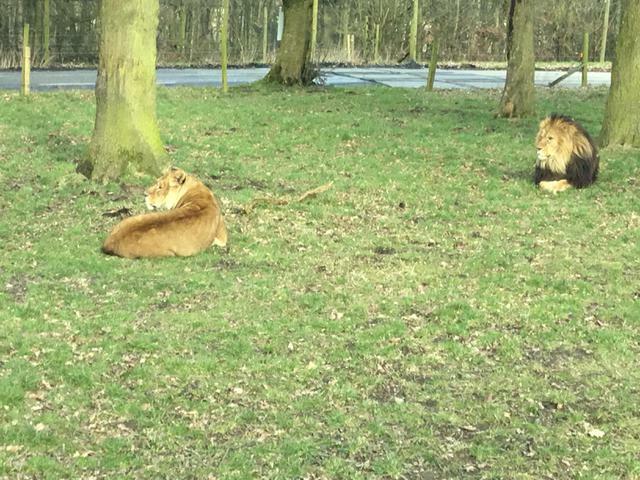 The guides joined the children on the minibuses to talk about the animals on the Safari Drive. 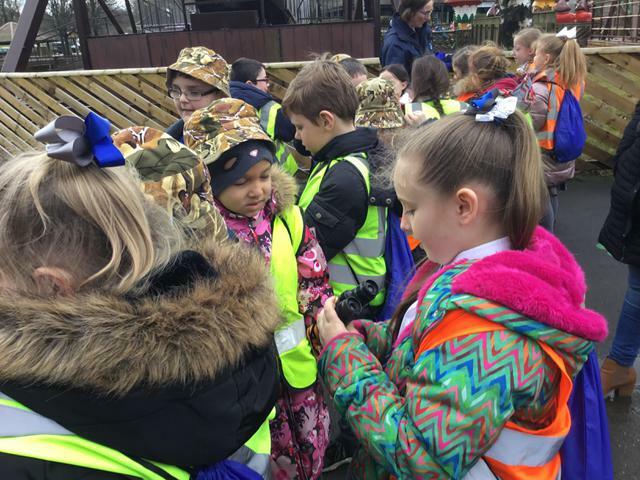 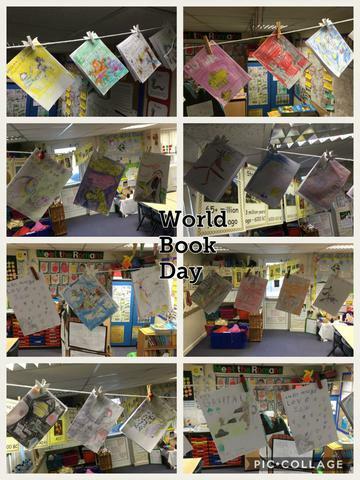 It was the most in formative and interesting day out so far this year! 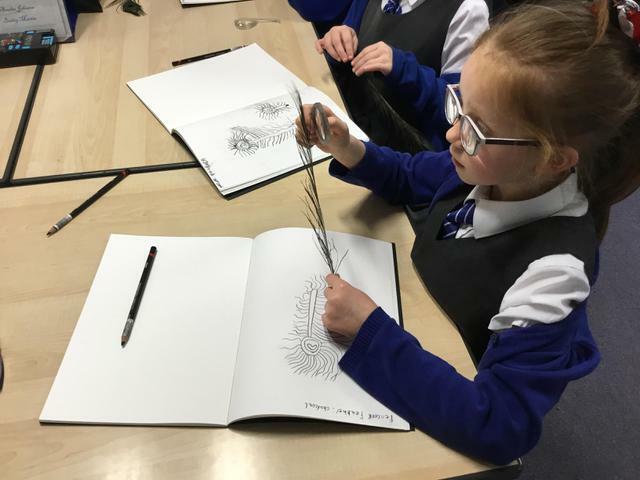 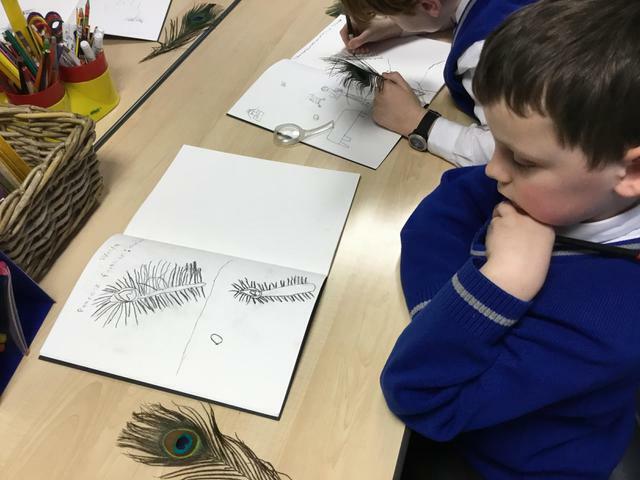 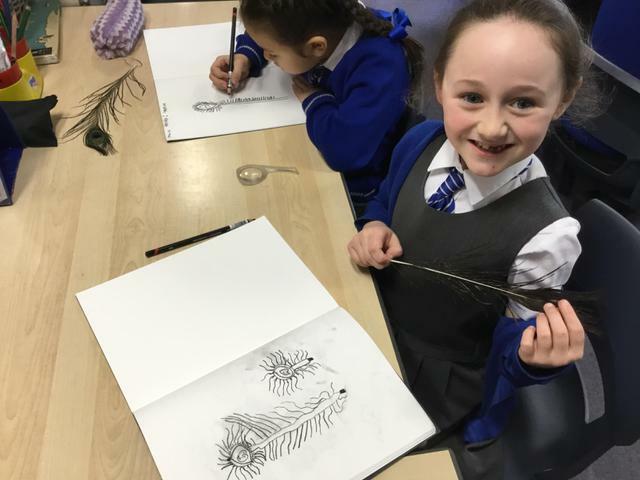 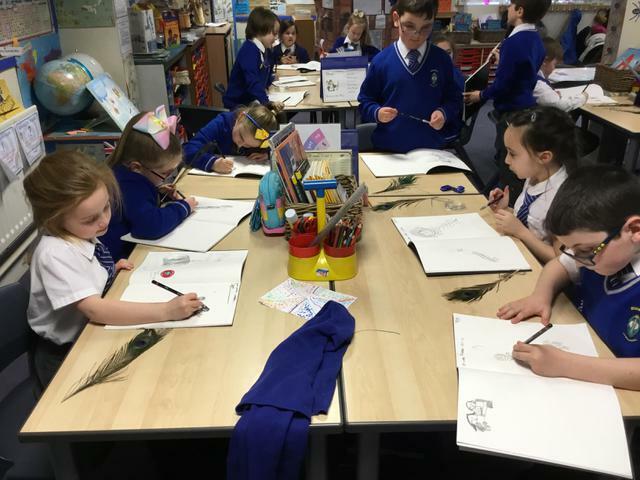 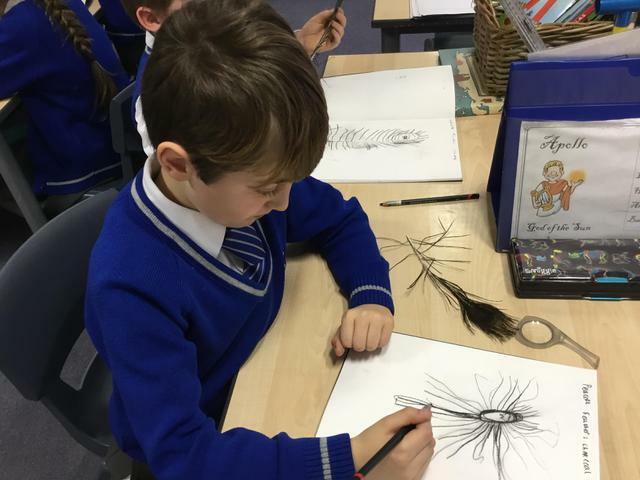 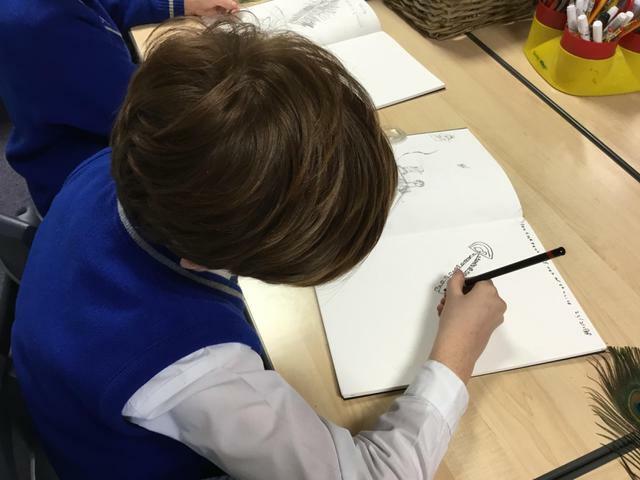 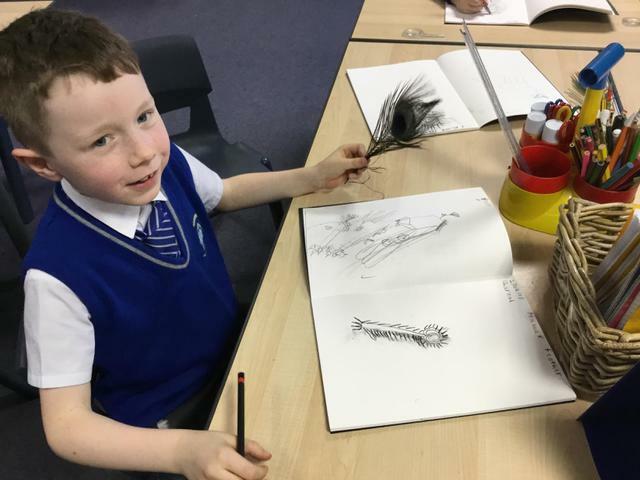 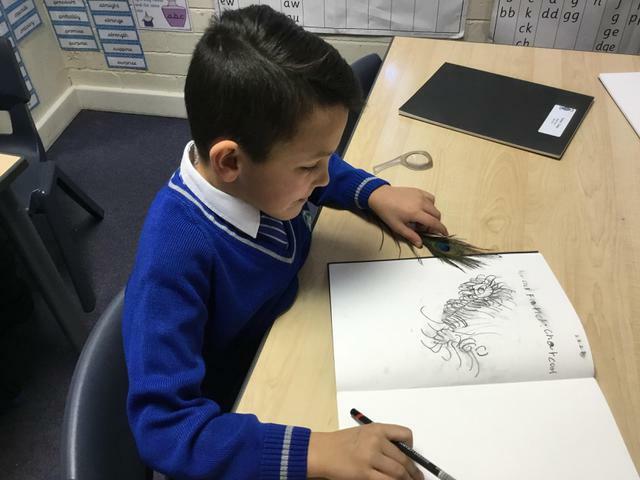 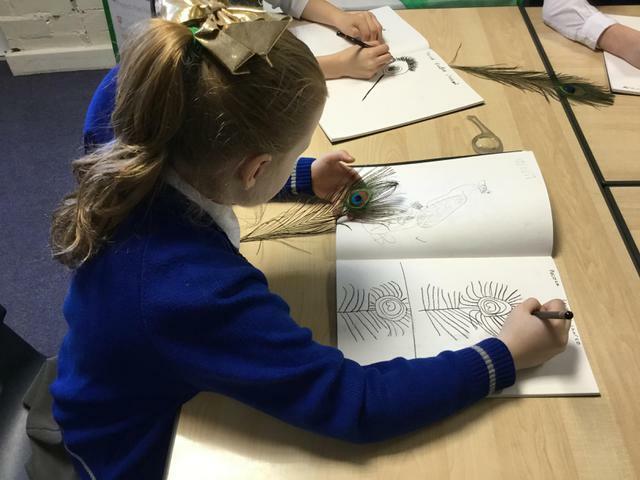 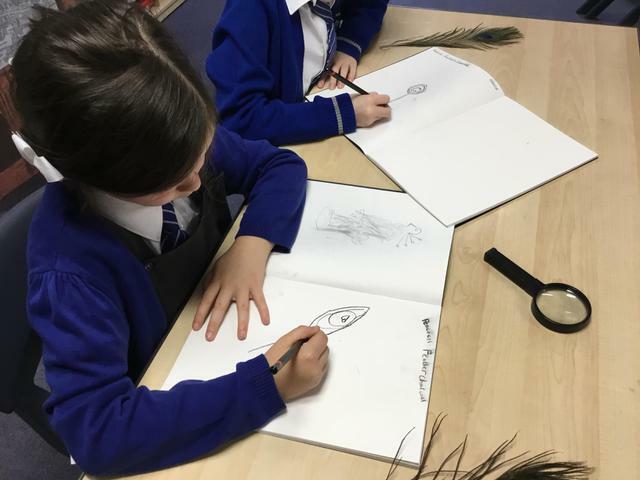 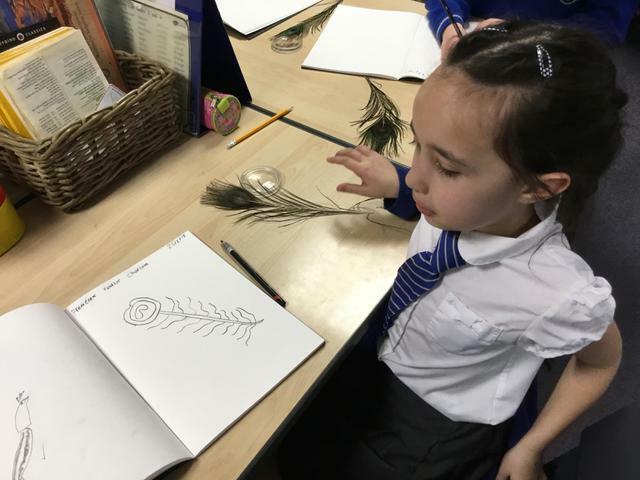 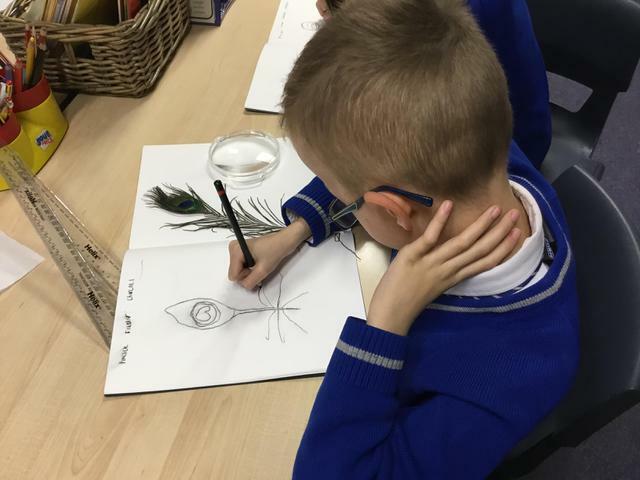 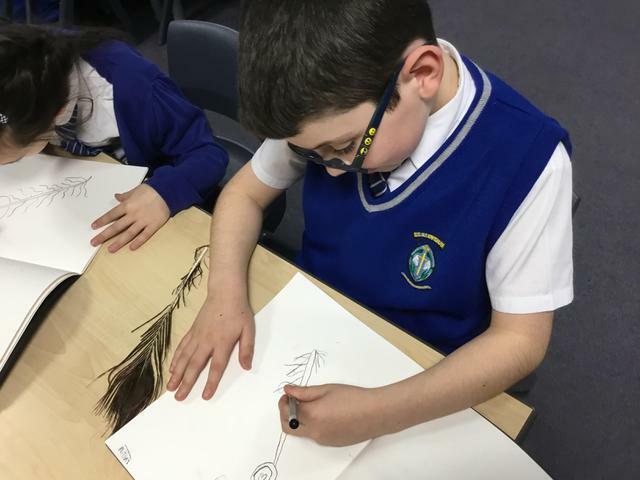 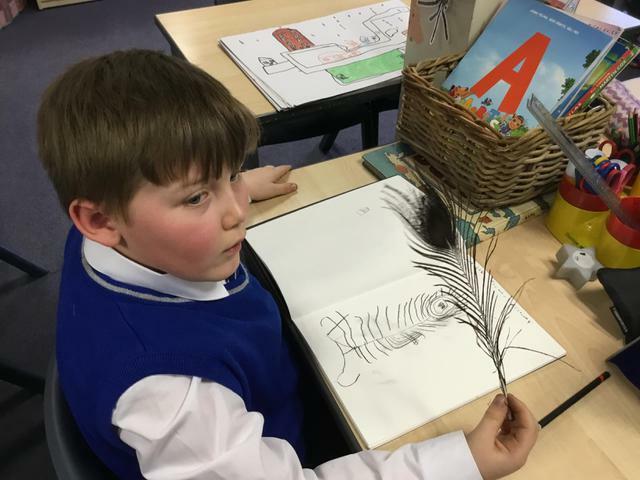 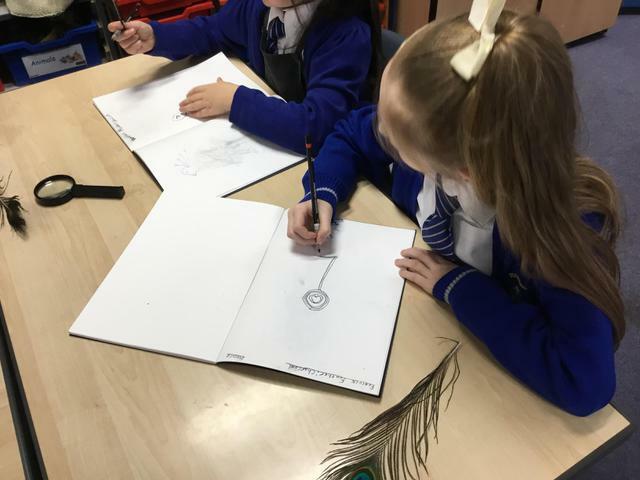 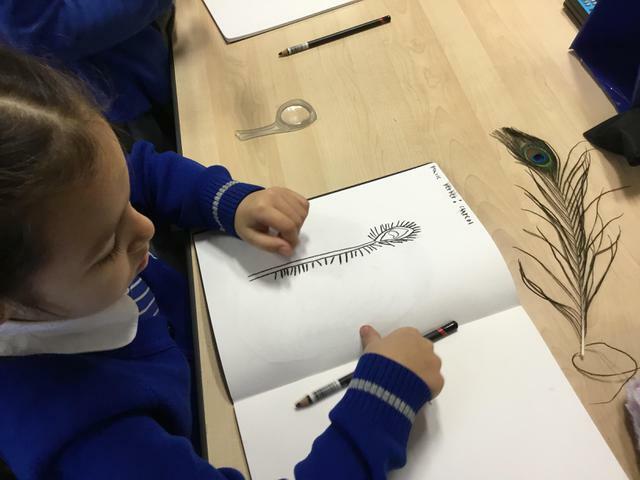 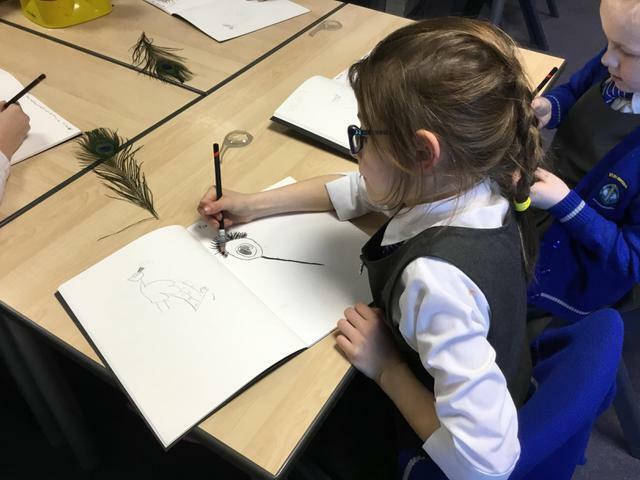 The children produced some fabulous sketches of feathers. 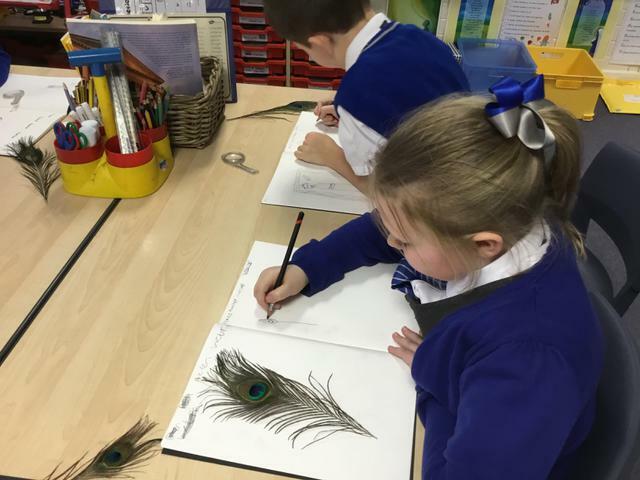 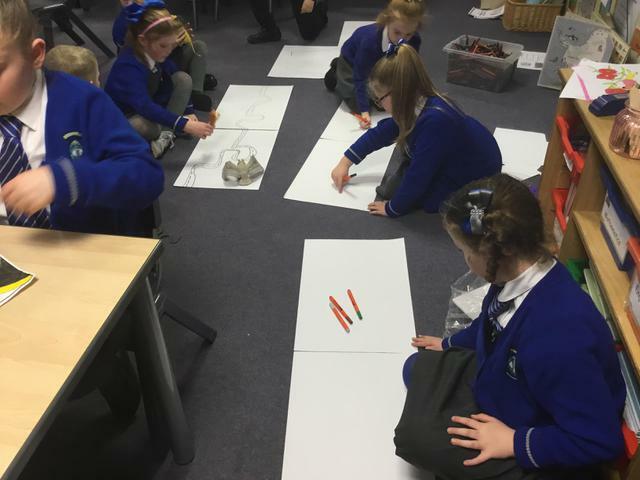 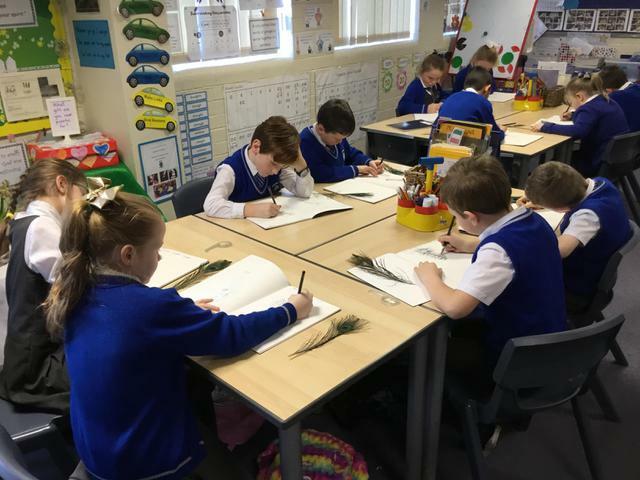 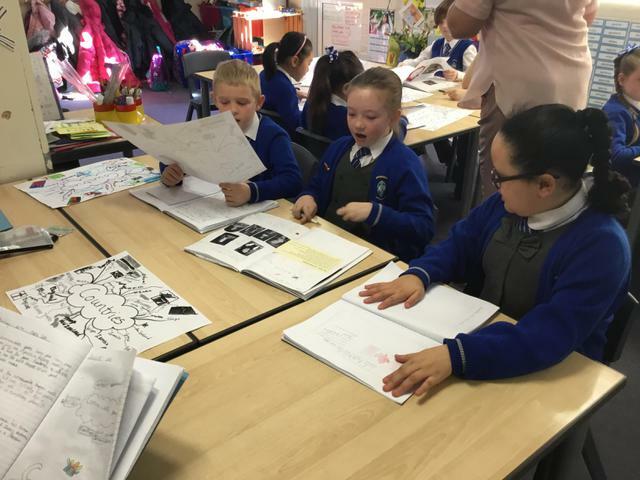 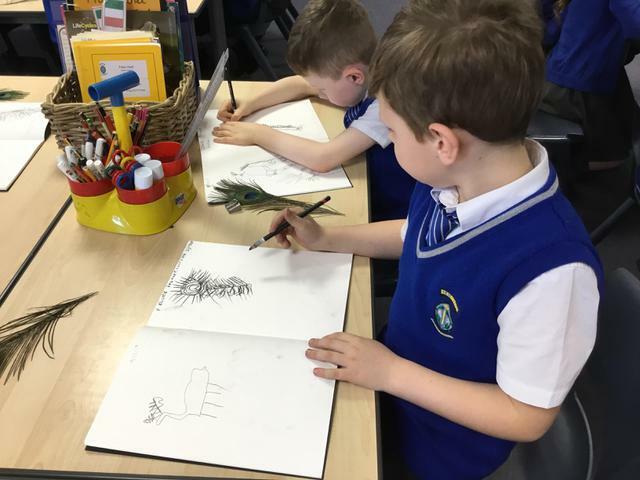 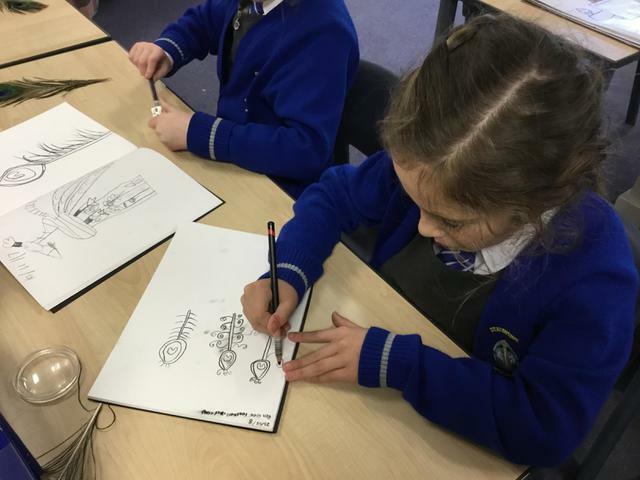 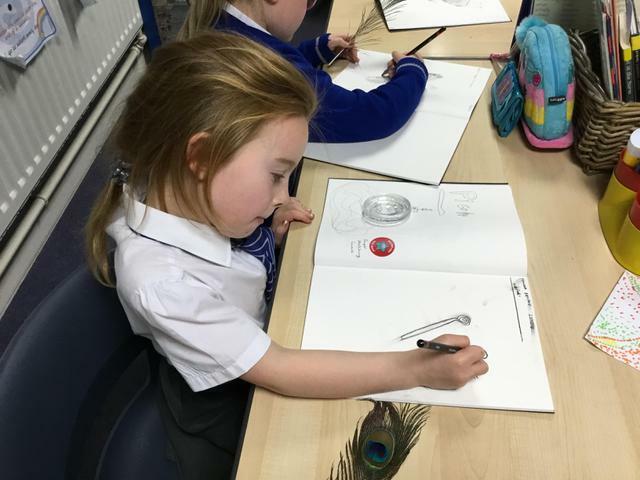 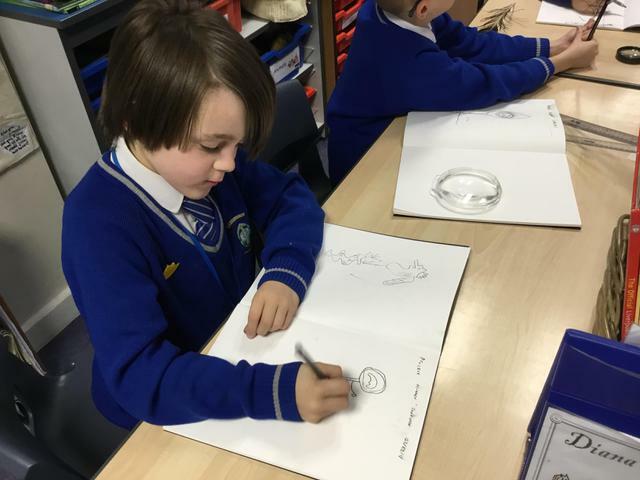 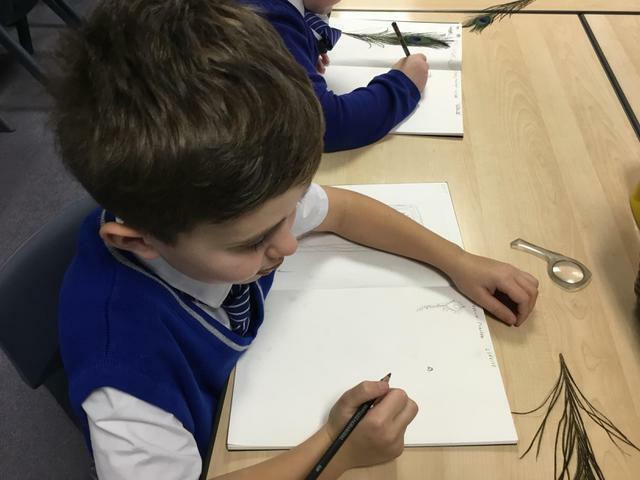 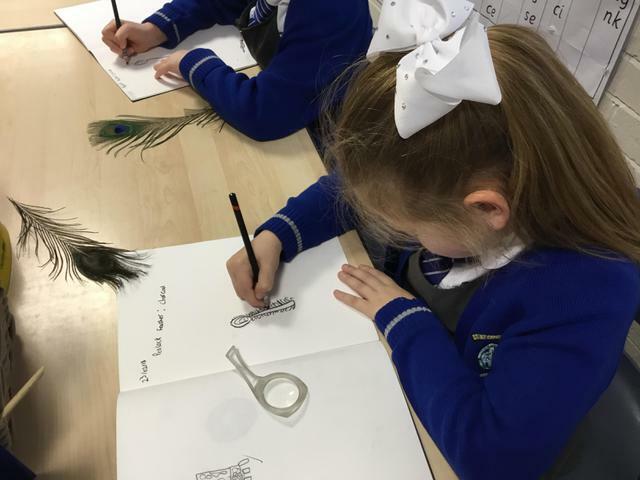 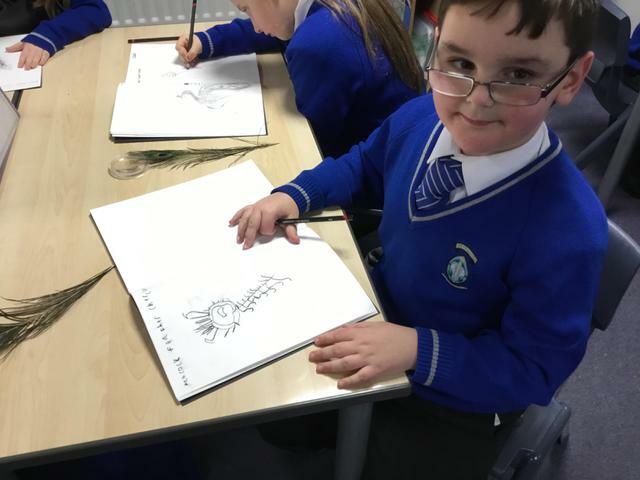 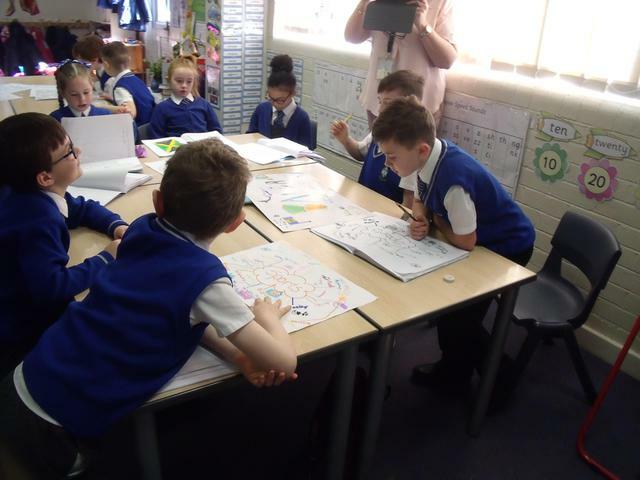 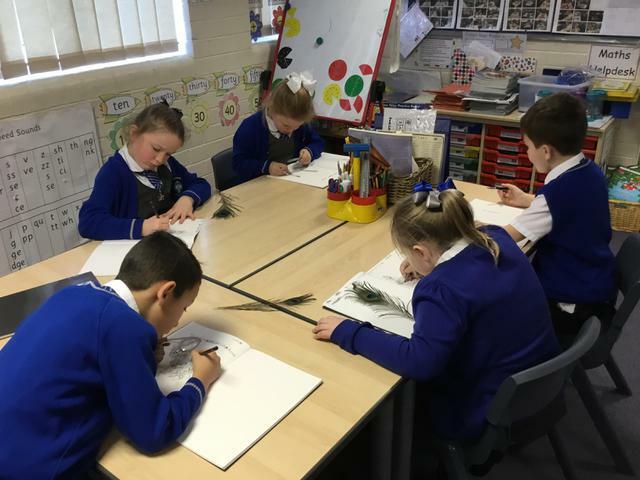 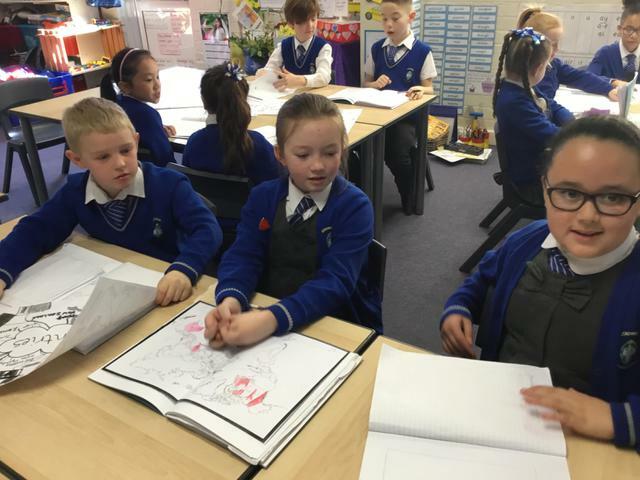 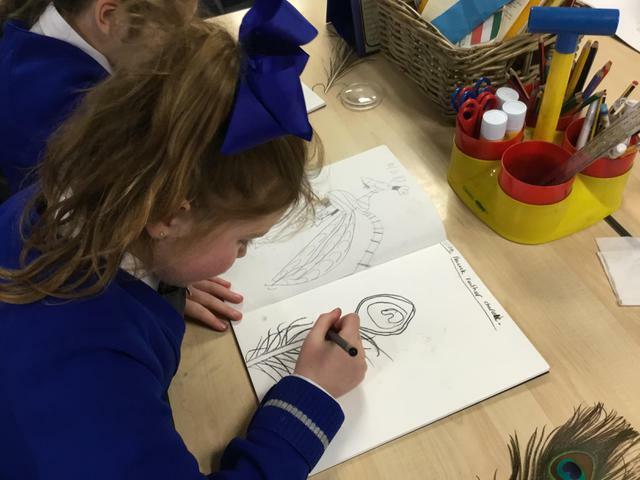 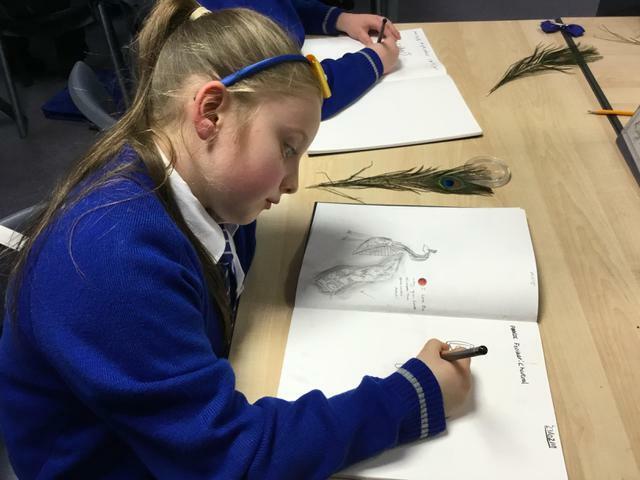 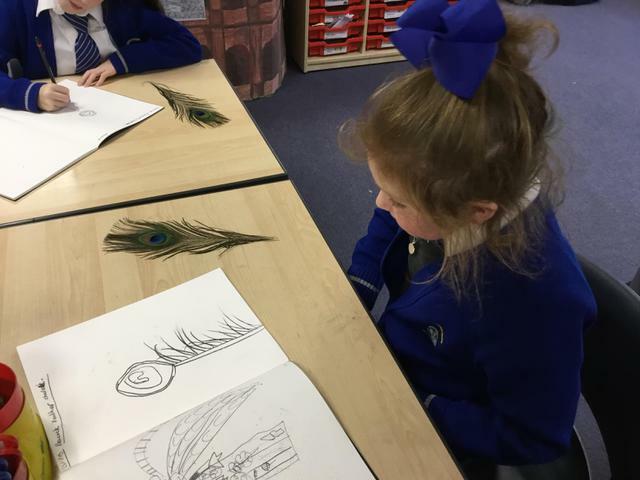 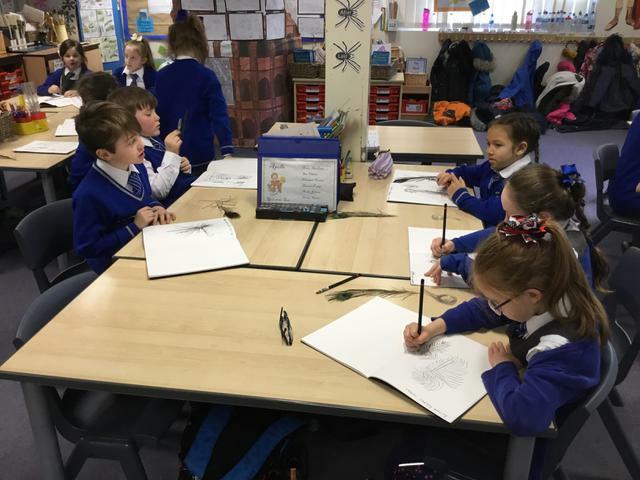 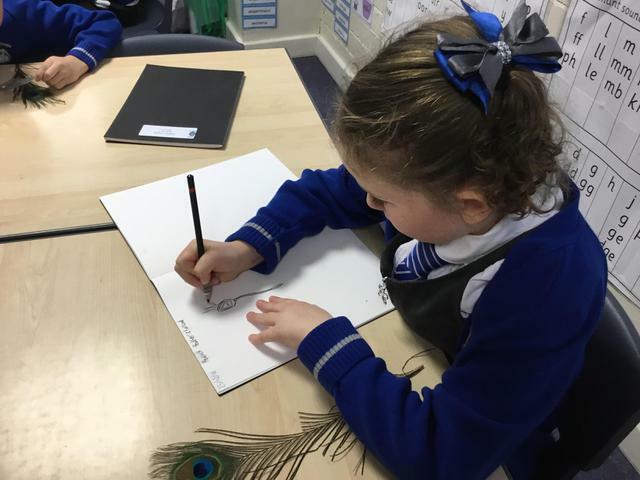 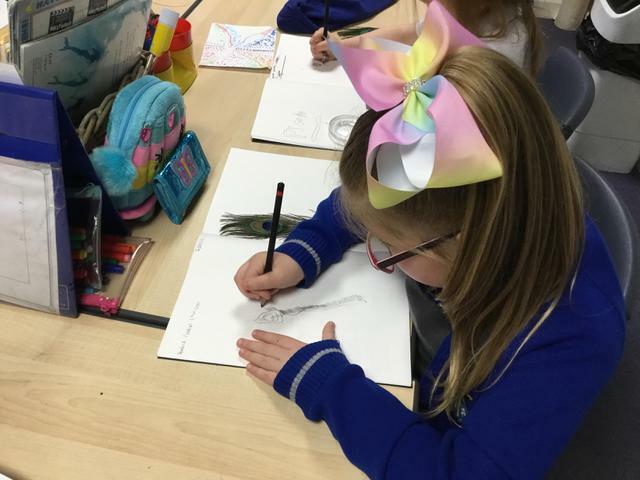 We have been learning about Edward Lear who wrote 'The Owl and the Pussycat' and visited Knowsley Hall to sketch parrots that belonged to Lord Derby. 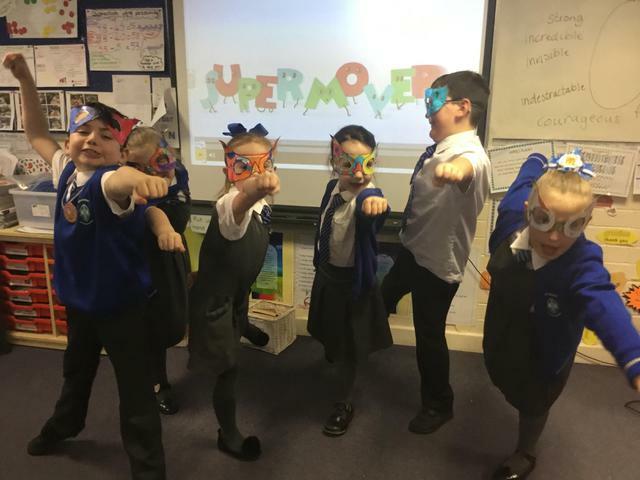 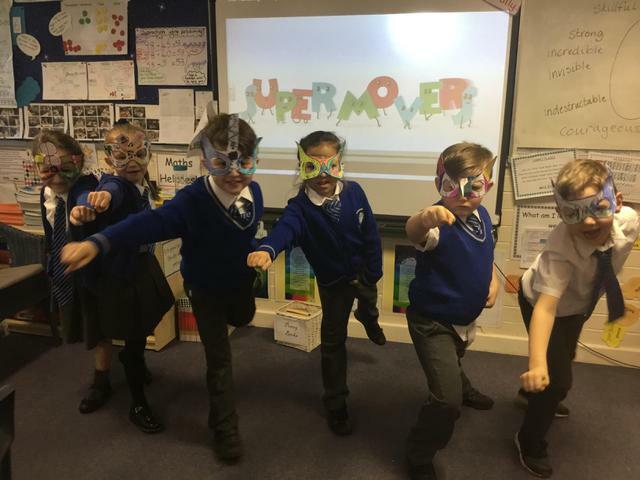 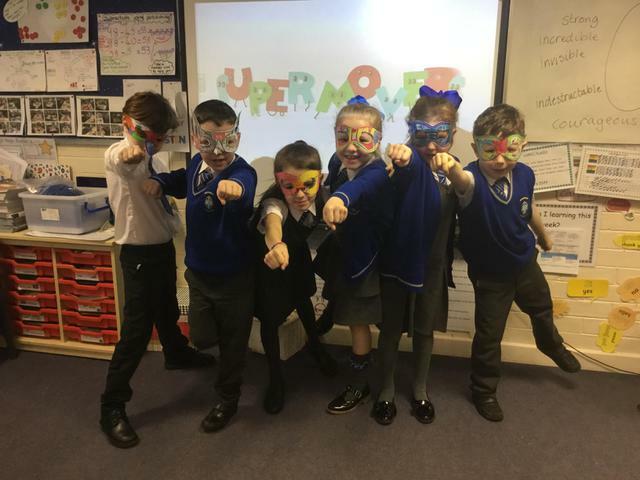 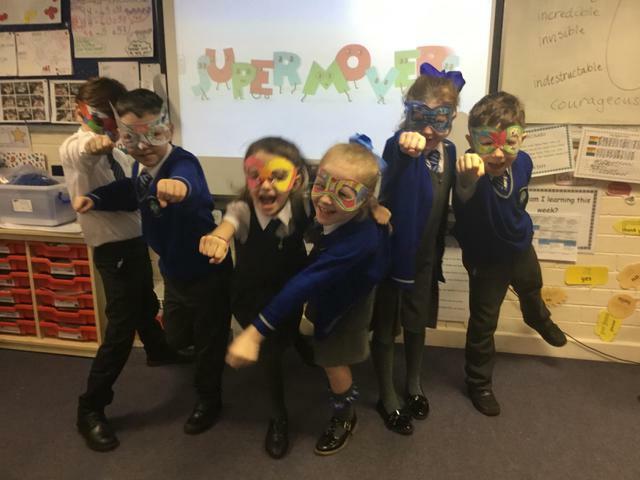 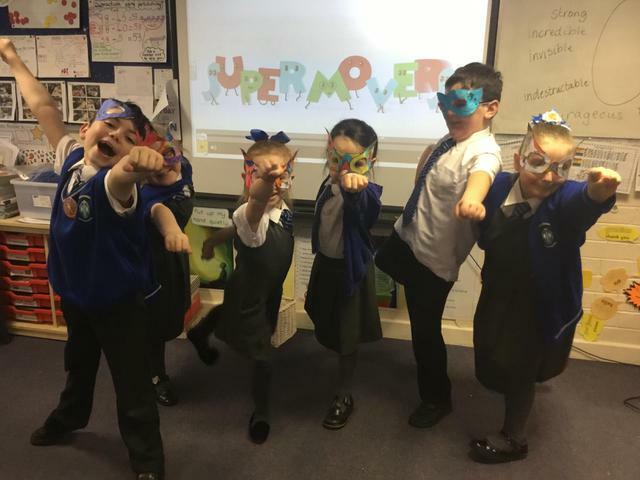 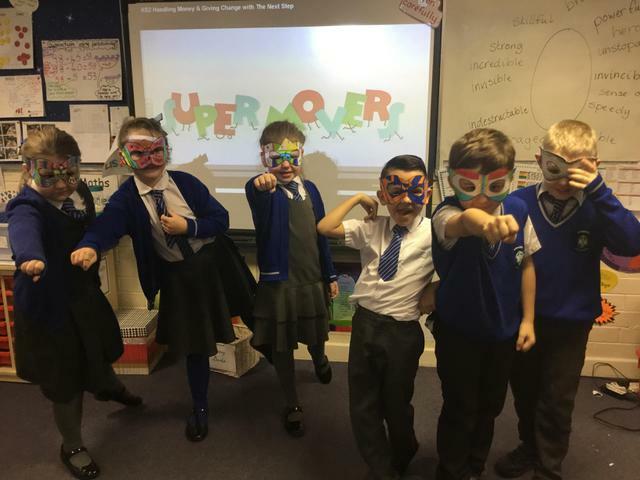 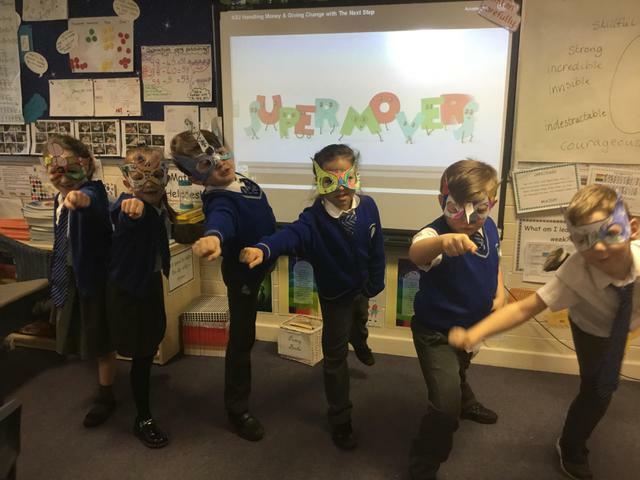 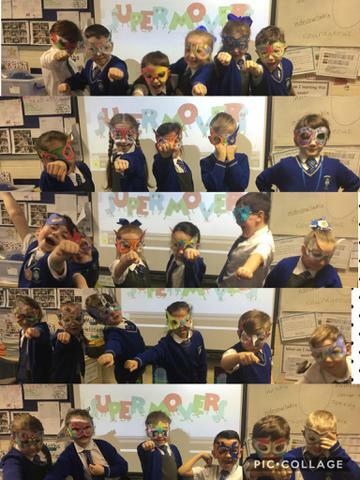 SUPERMOVERS The children had a super time writing about a super hero, as well as making super hero masks to dance along to Supermovers dance routines on the bbc.co.uk/sport website. 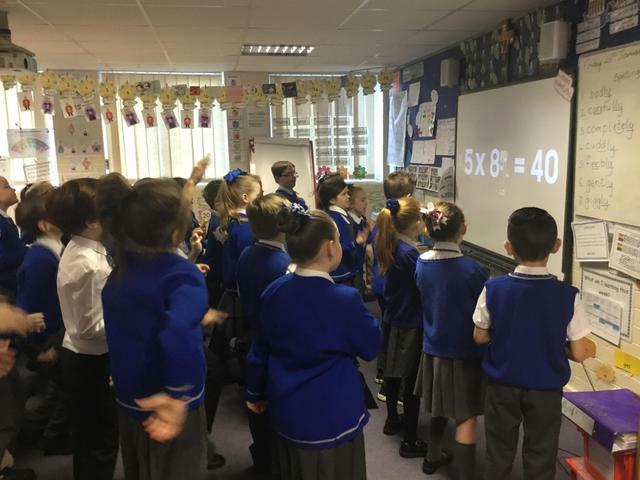 the website helps children to learn some Maths and English concepts in a fun way. 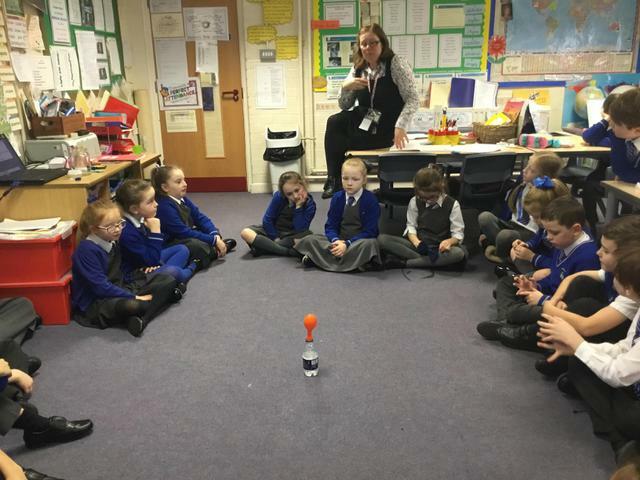 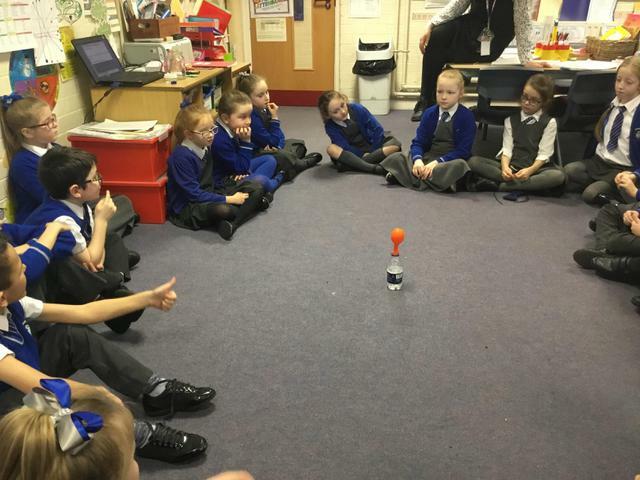 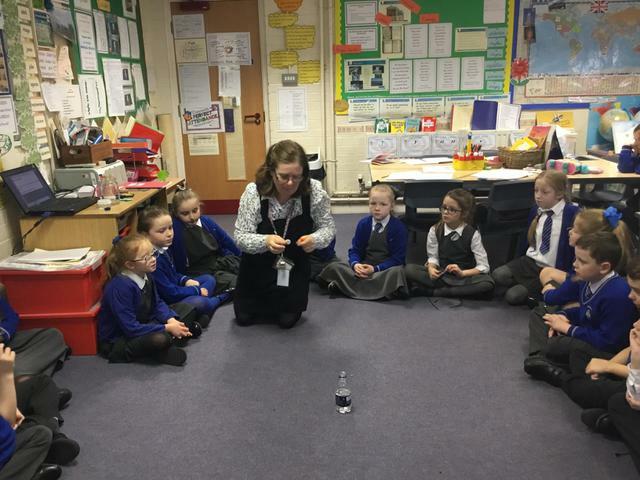 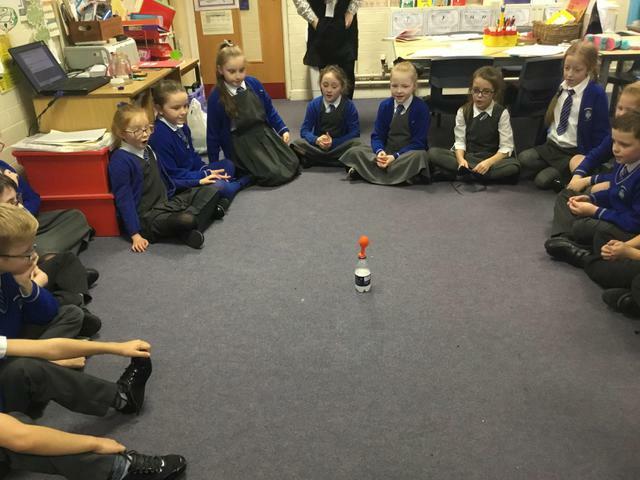 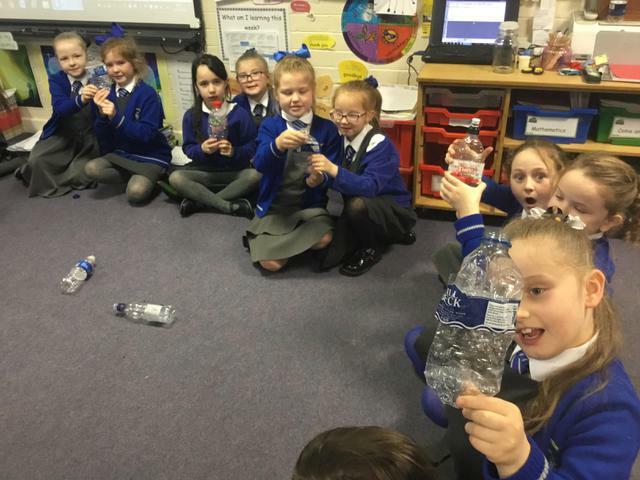 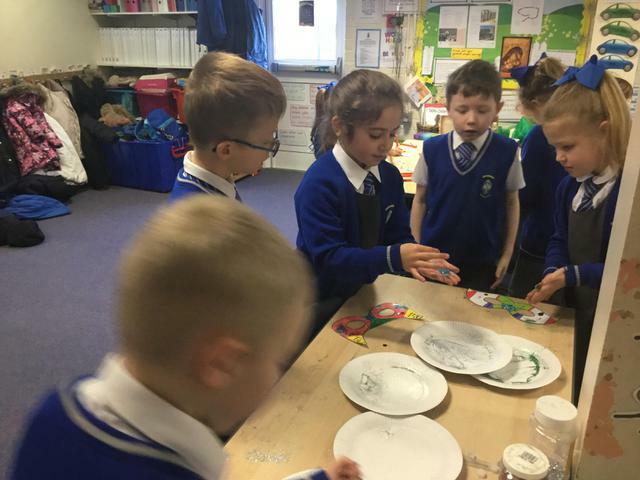 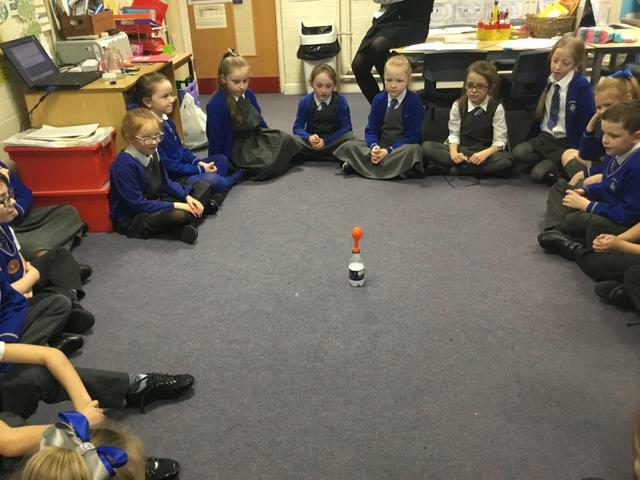 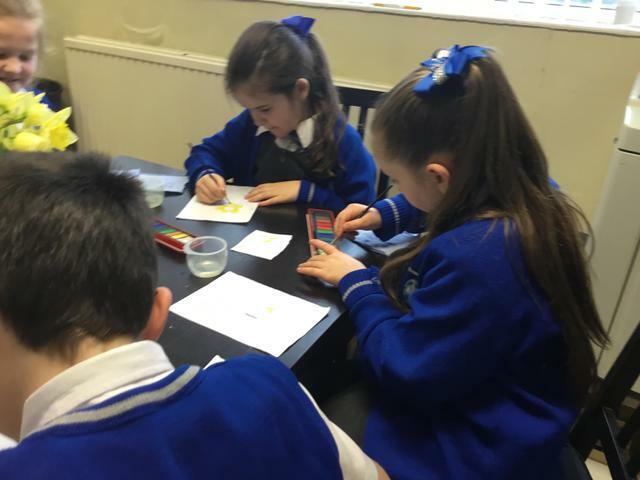 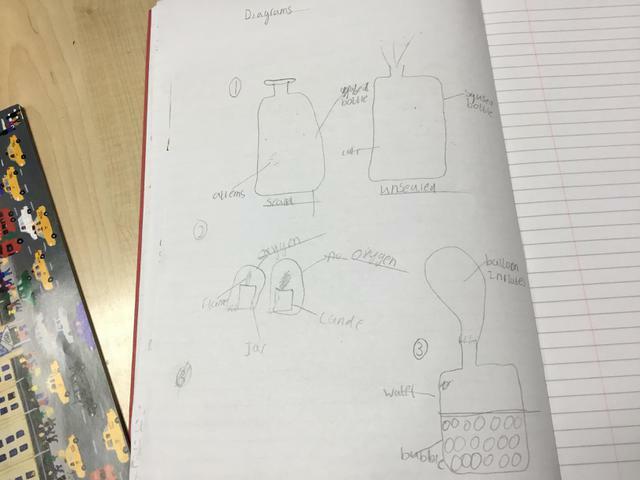 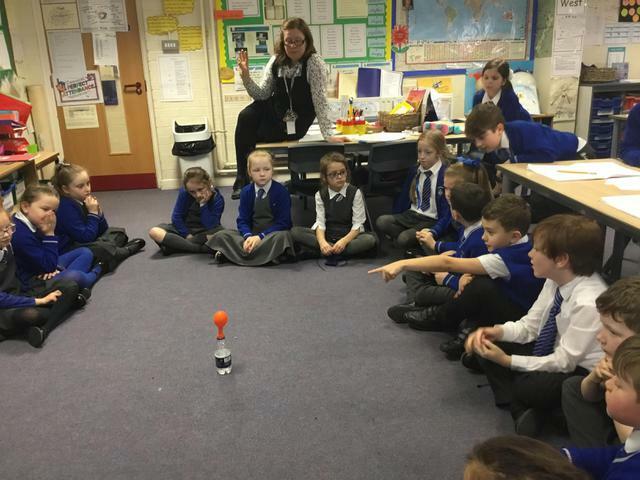 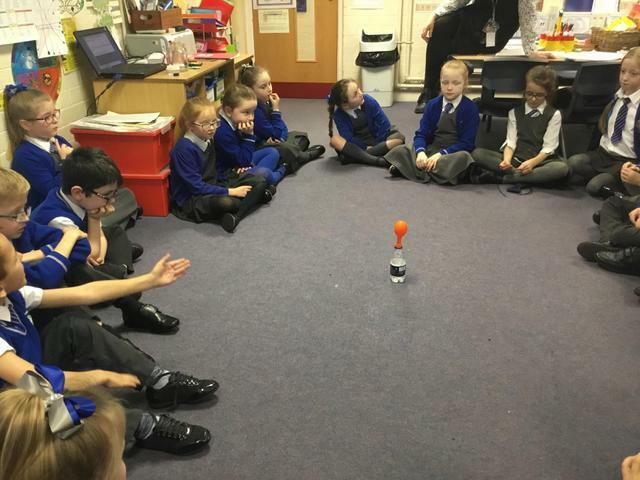 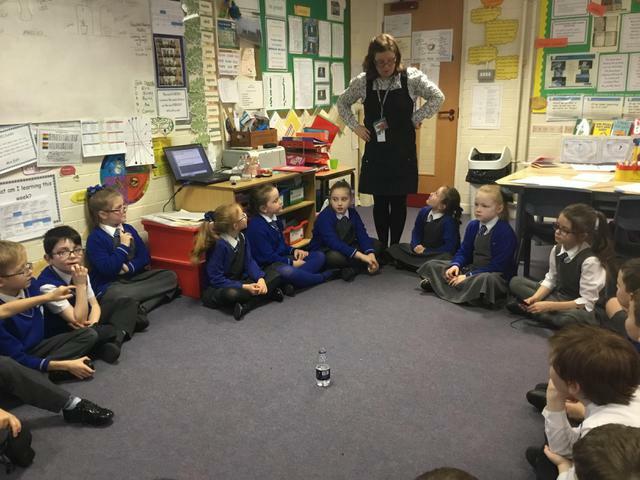 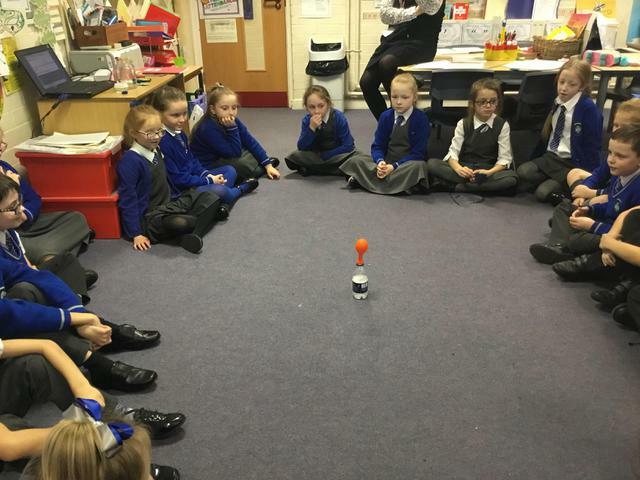 The children were involved in making some observations about air. 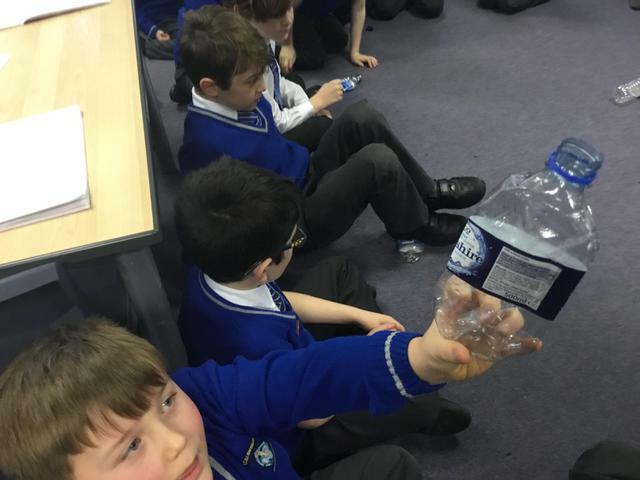 They tried to squash an empty sealed water bottle only to discover it wasn't empty, it was full of air. 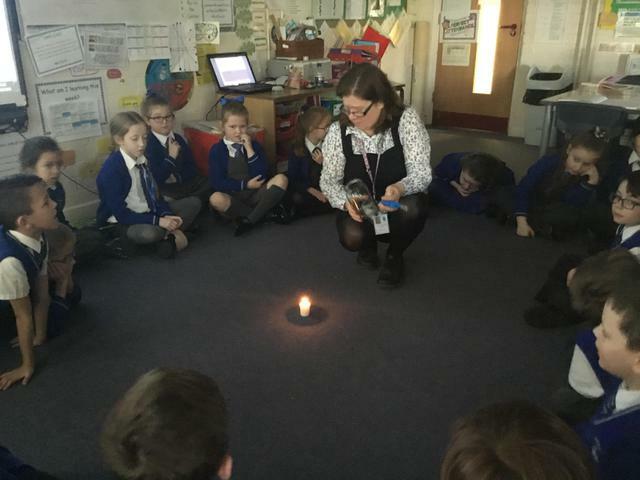 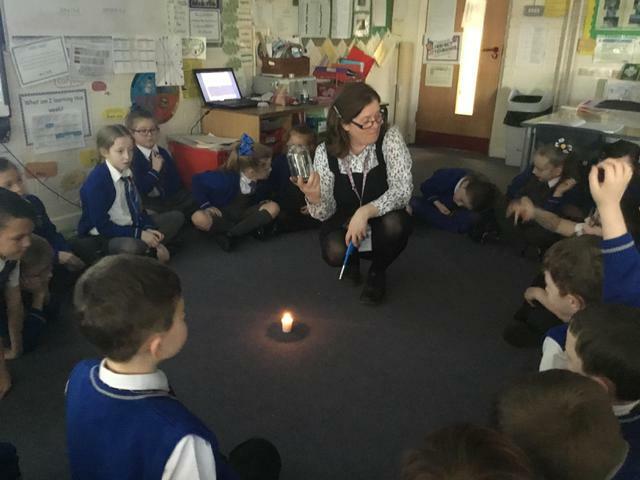 They found out that a flame needs oxygen to make it work and when you cut that source off , the flame will go out. 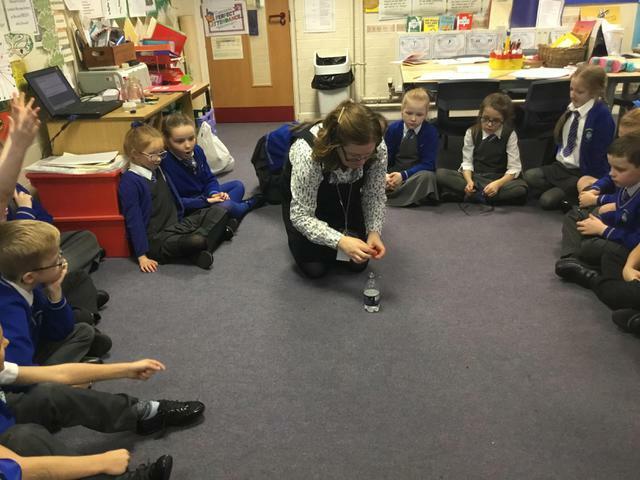 They also discovered that bubbles contain air that can inflate a balloon. 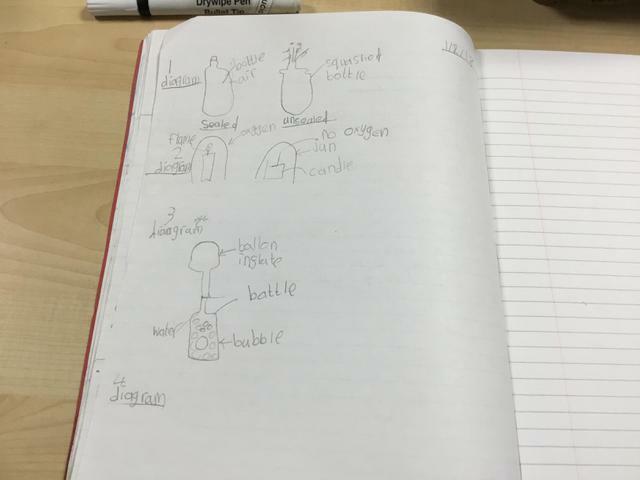 This experiment was done with an Alka Seltzer tablet in water. 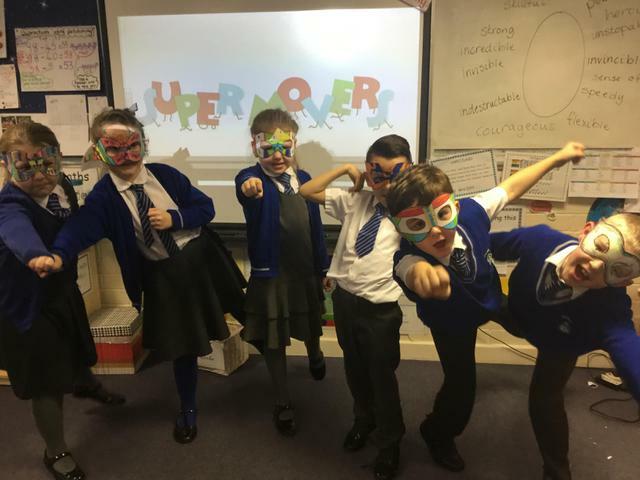 Super Science!!!!! 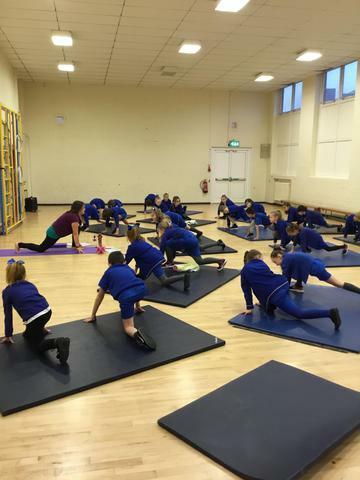 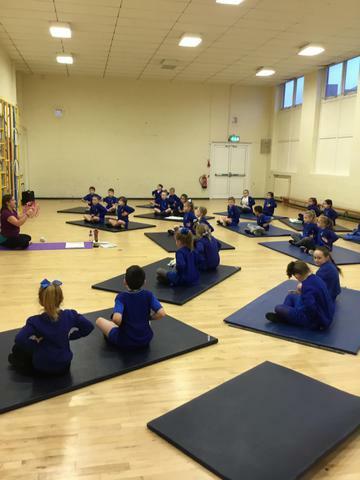 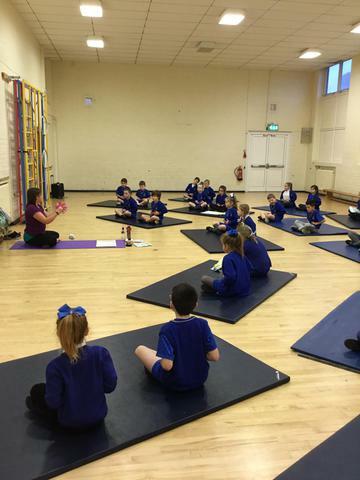 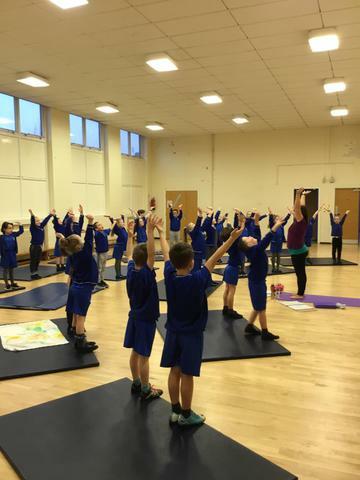 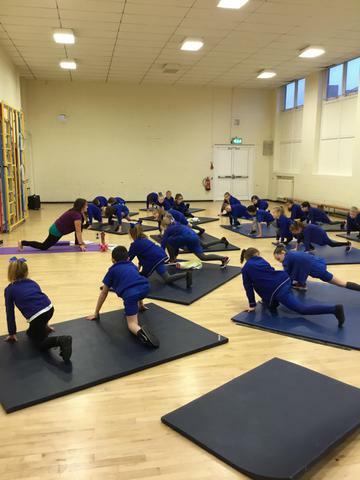 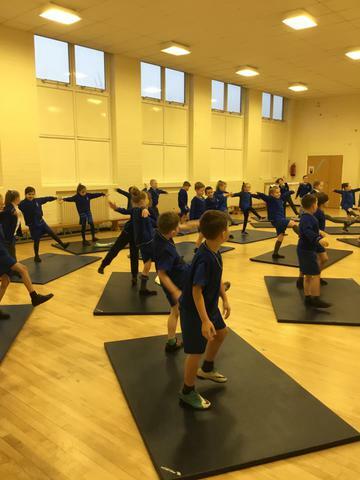 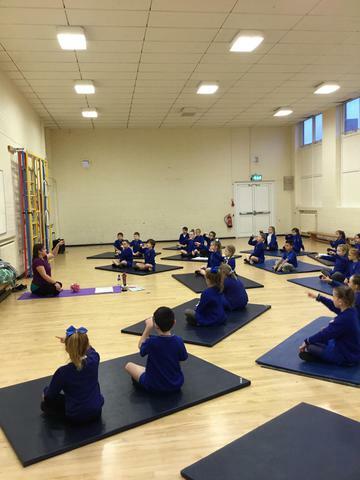 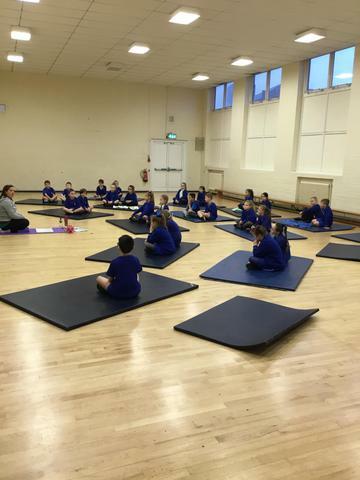 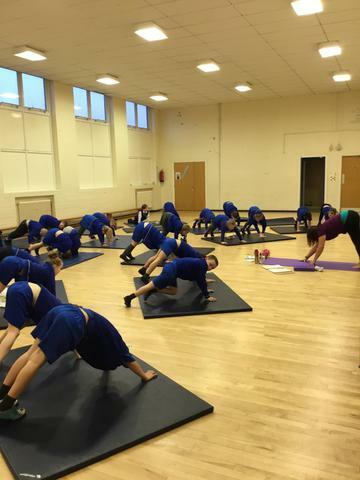 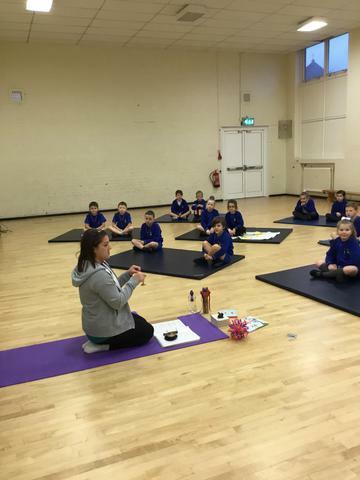 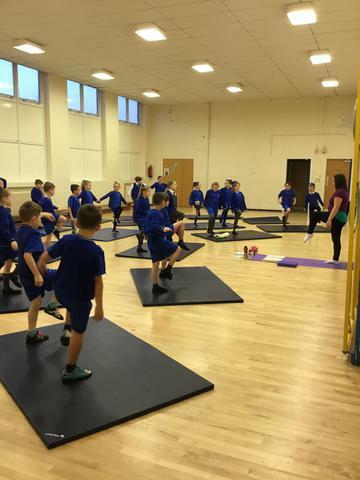 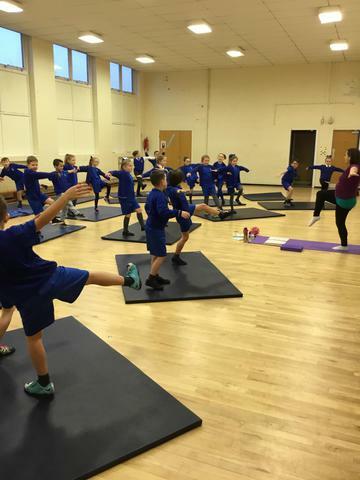 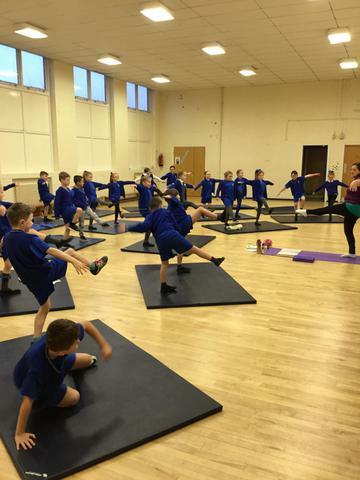 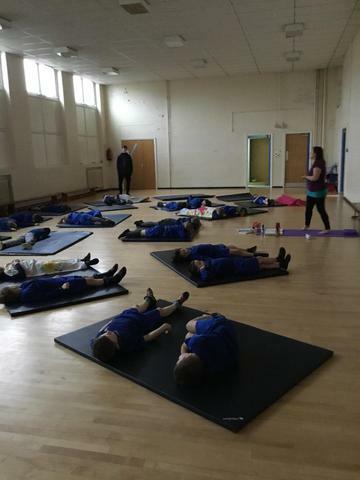 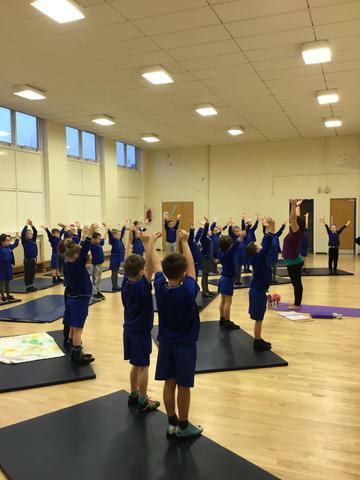 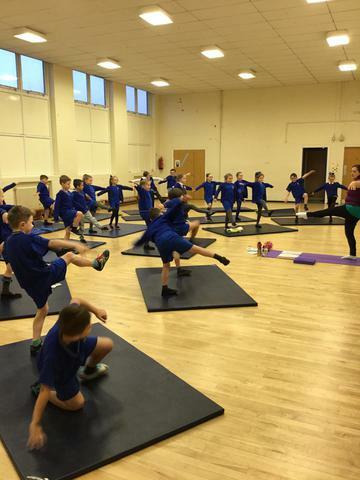 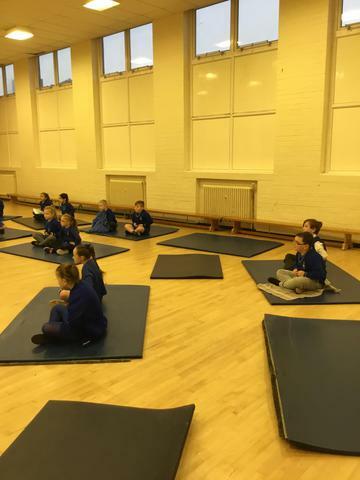 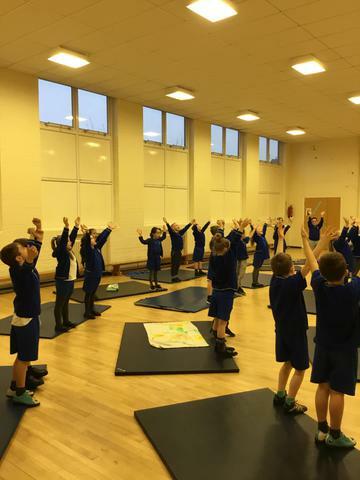 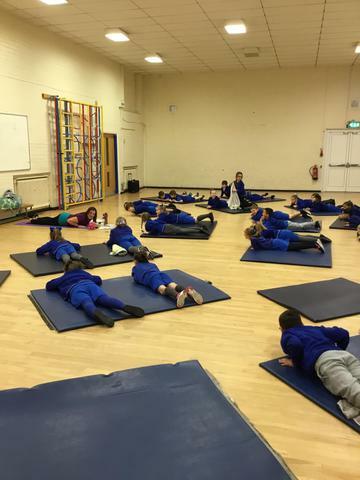 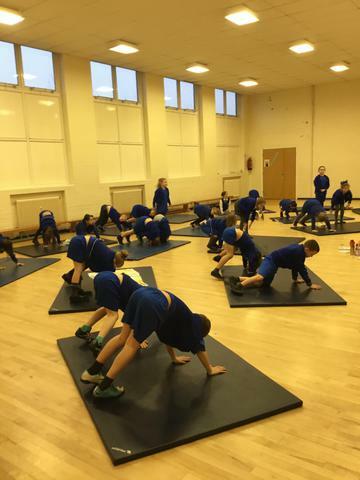 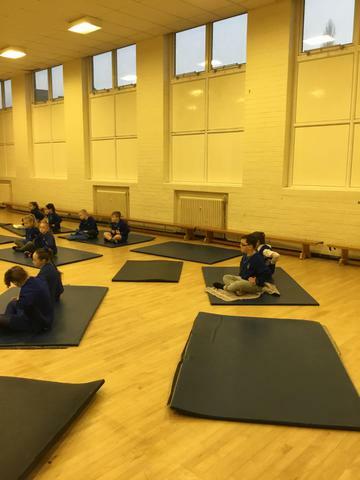 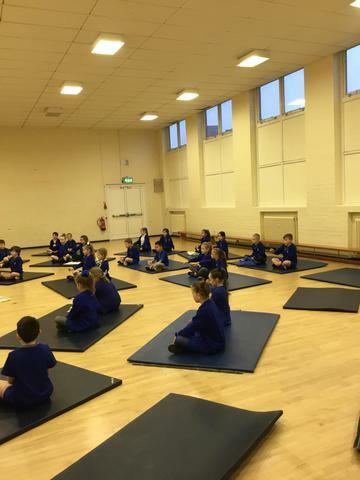 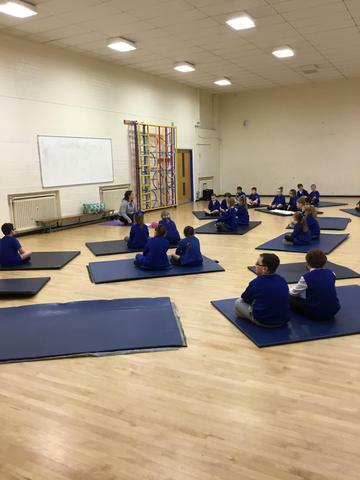 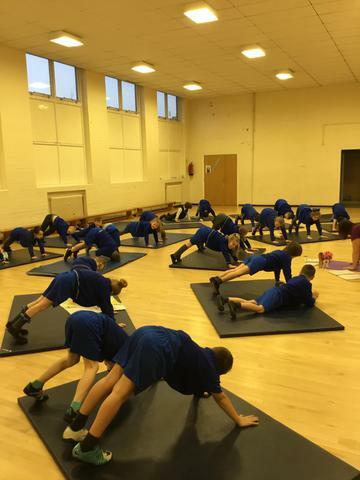 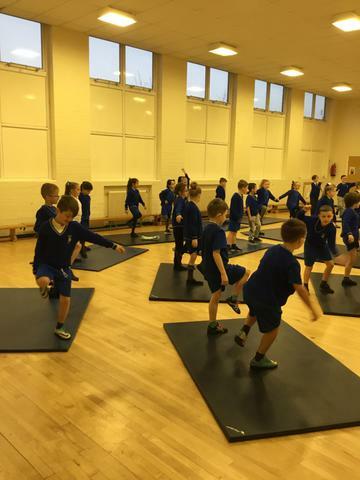 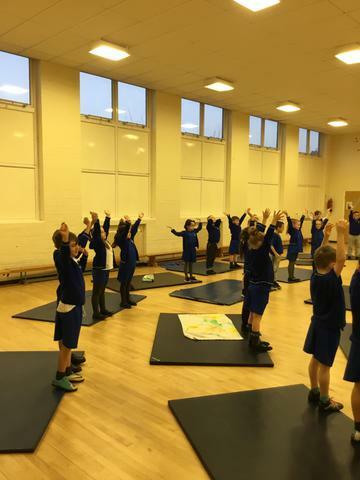 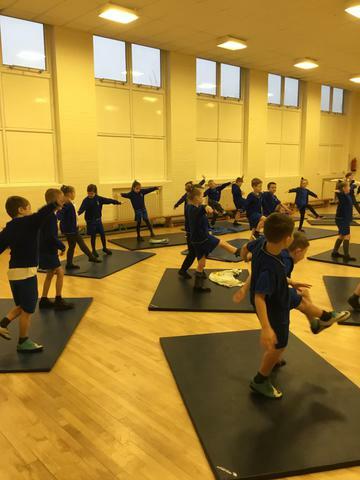 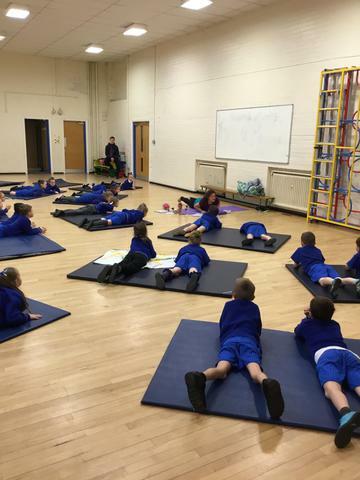 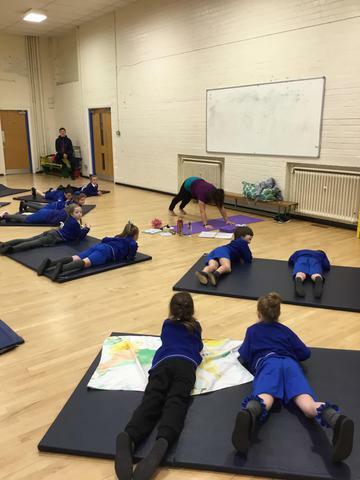 The children took part in a relaxation/yoga session. 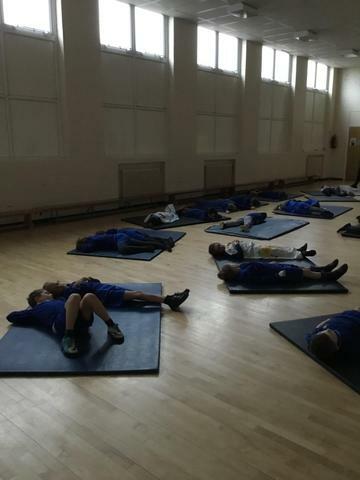 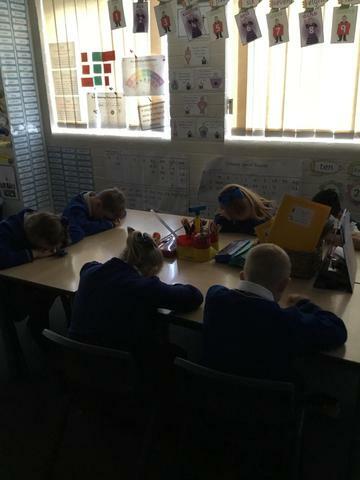 By the end of the session they felt calm and relaxed. 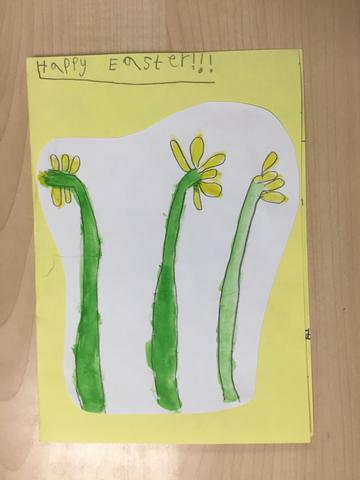 So did I!!!! 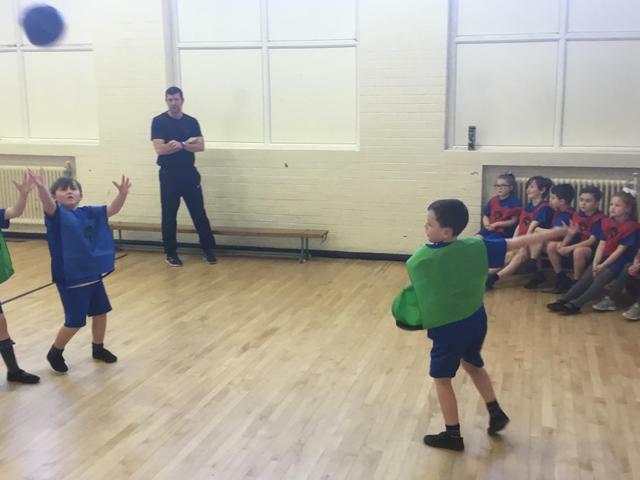 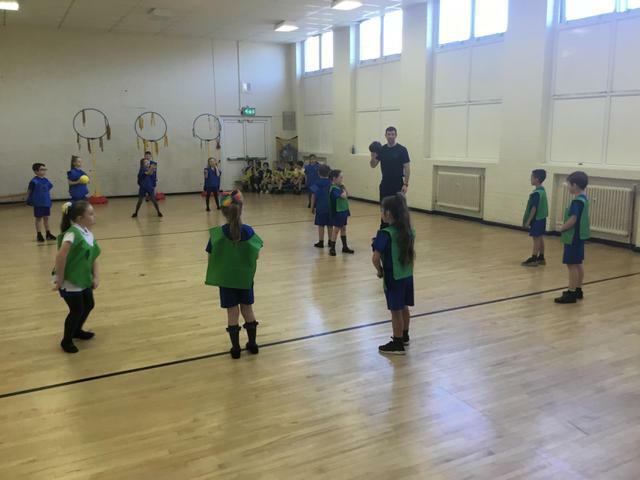 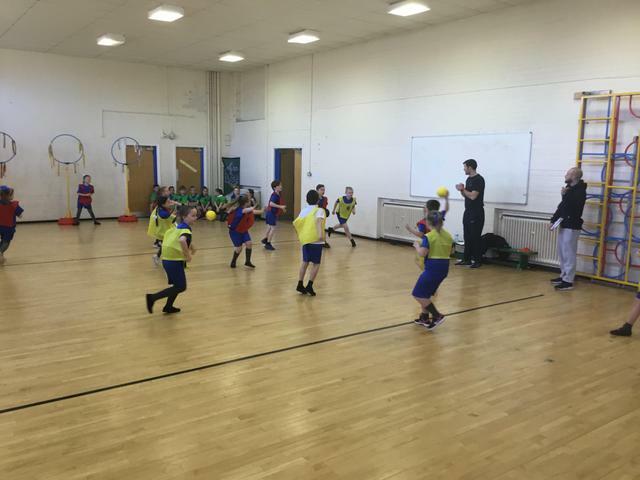 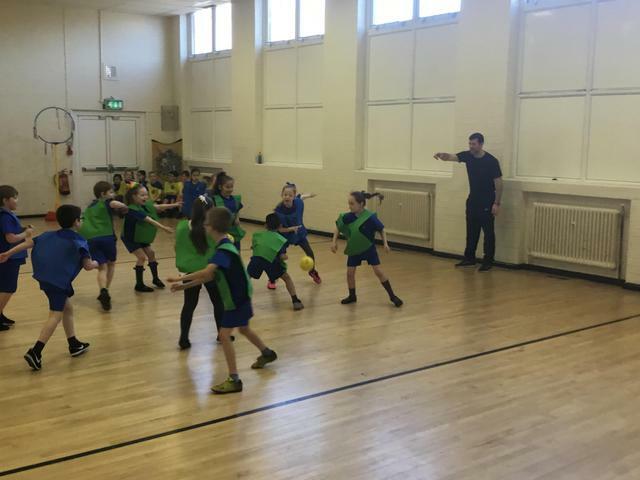 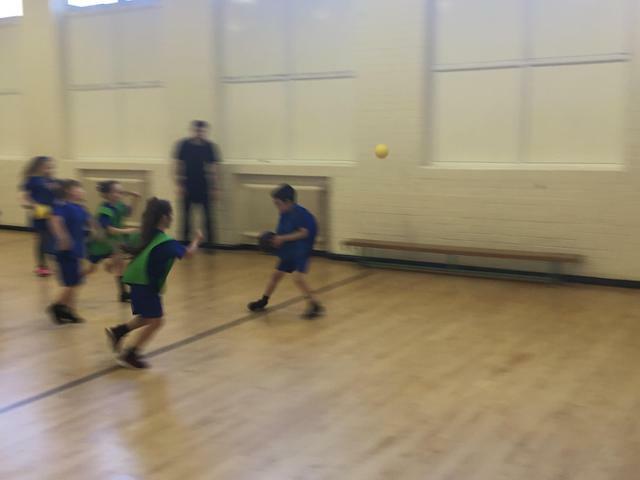 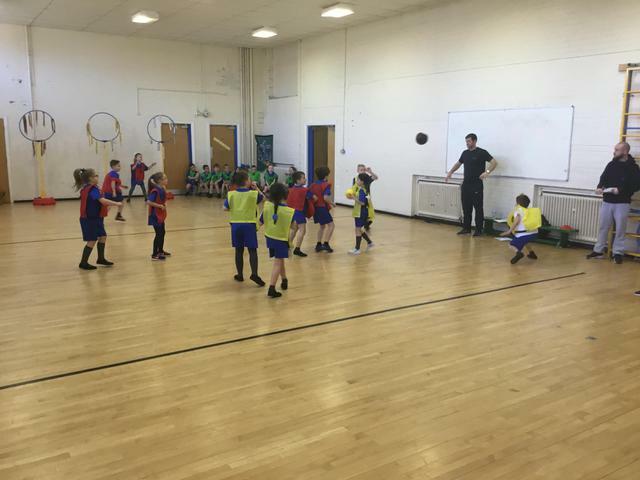 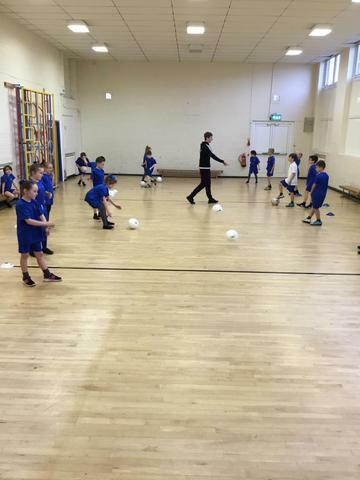 Coach Paddy is teaching the children football this half term. 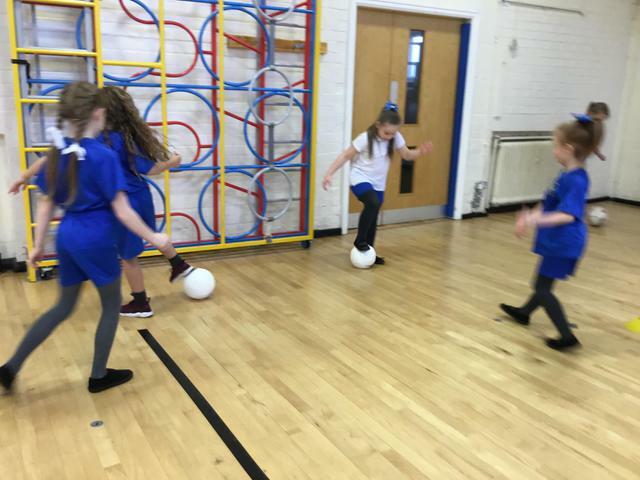 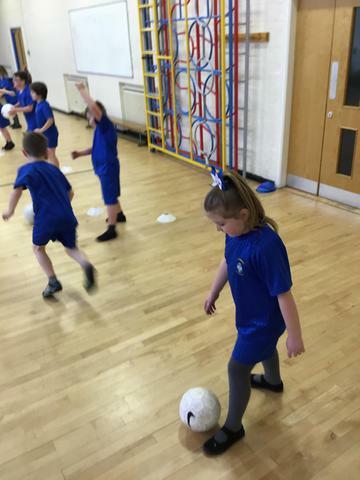 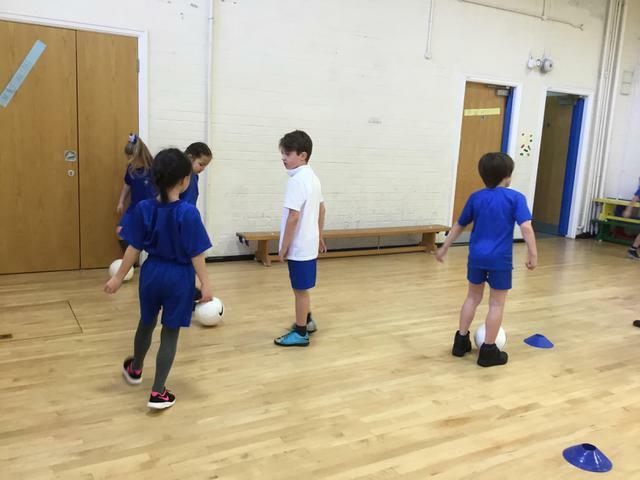 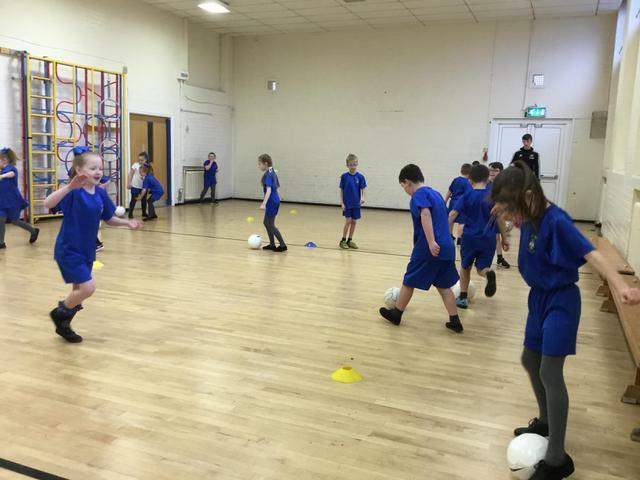 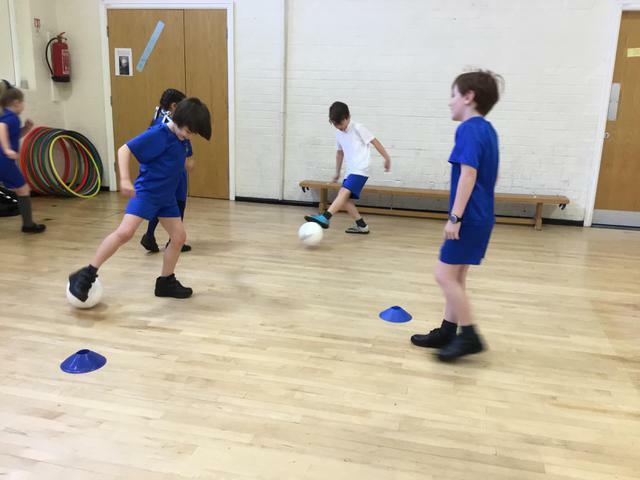 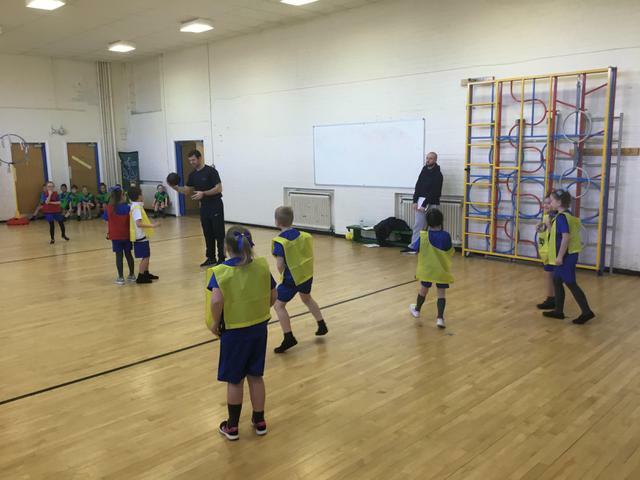 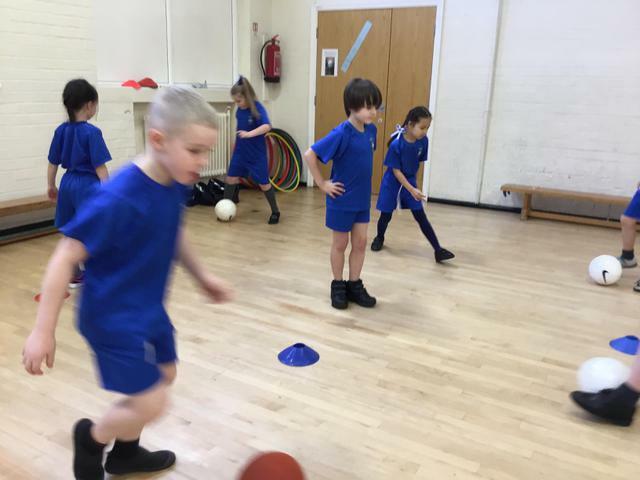 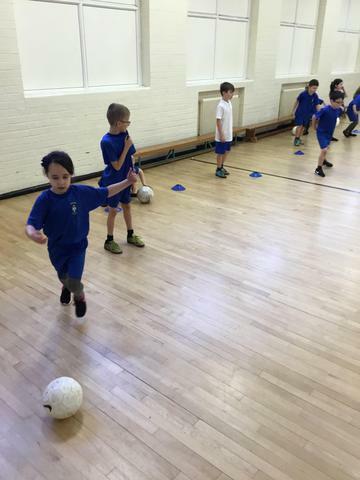 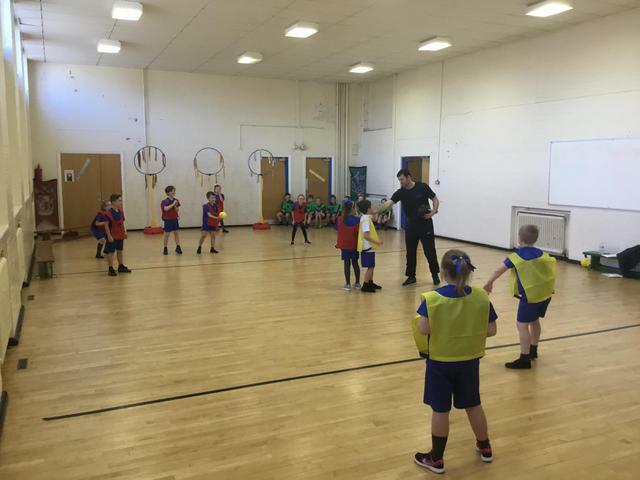 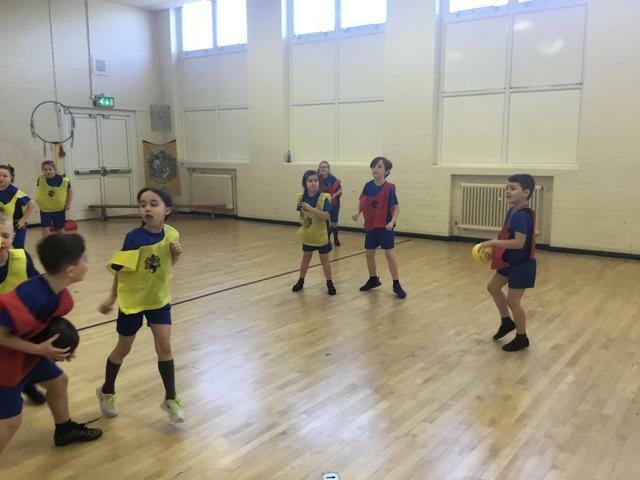 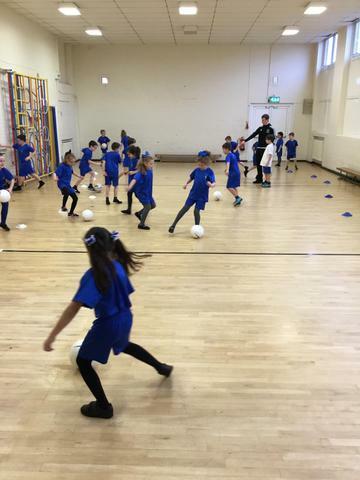 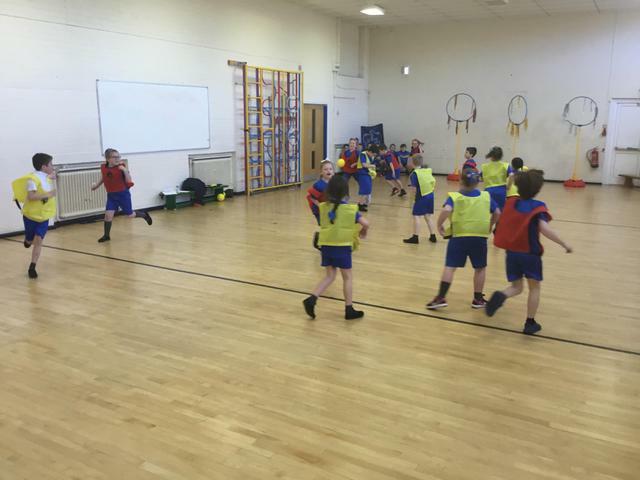 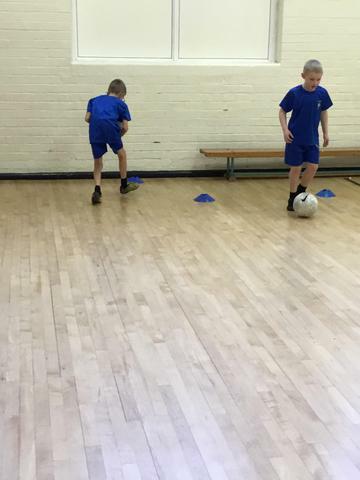 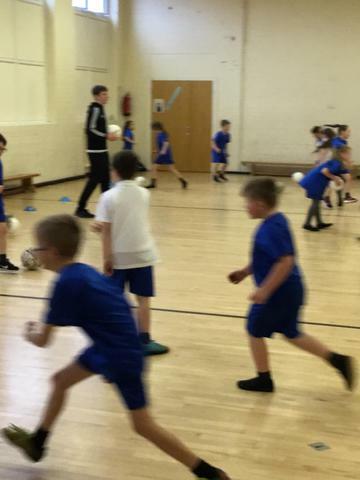 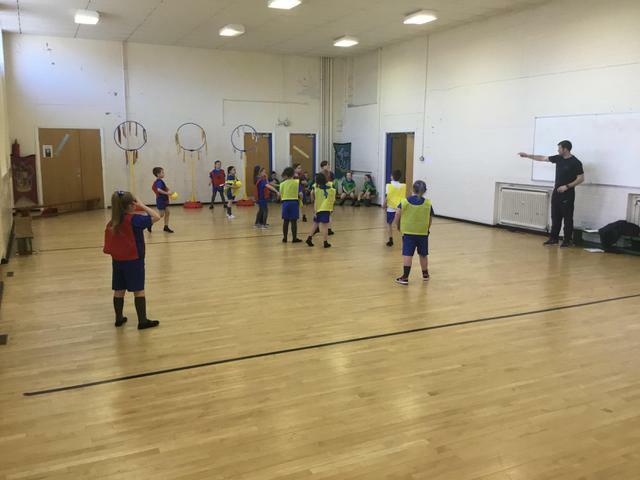 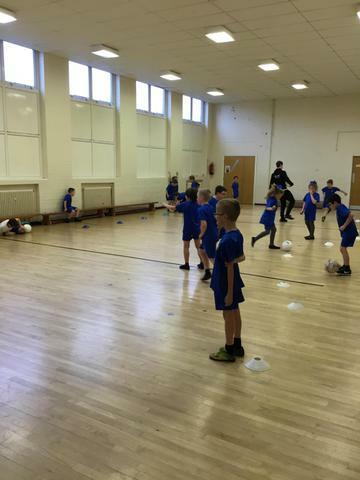 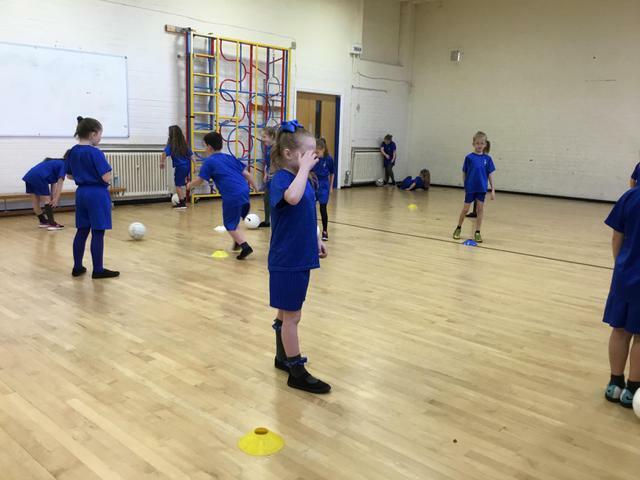 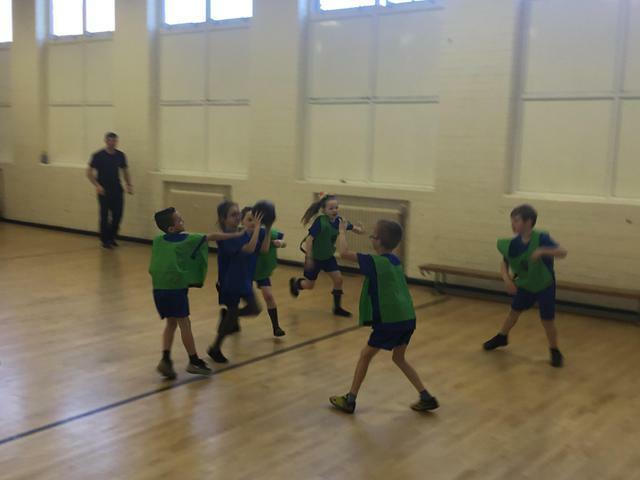 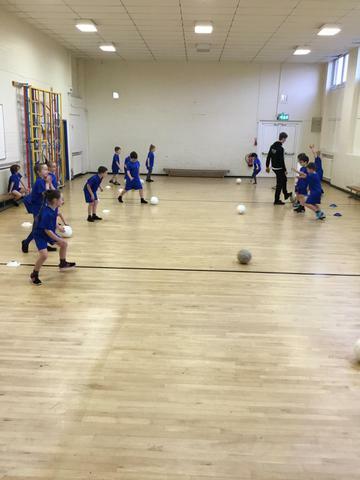 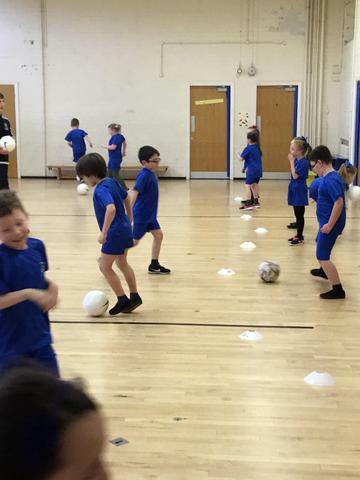 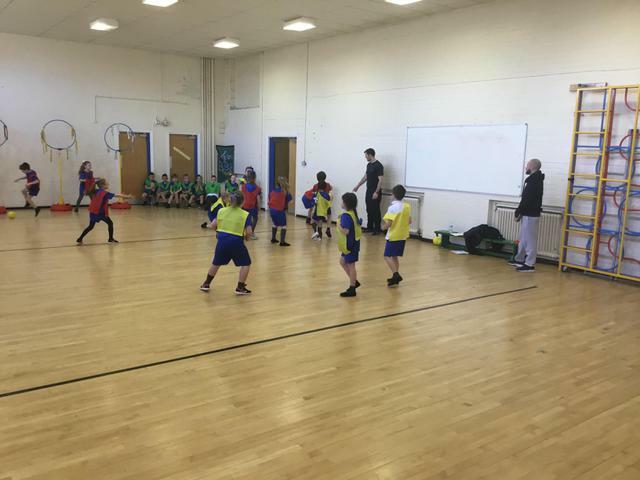 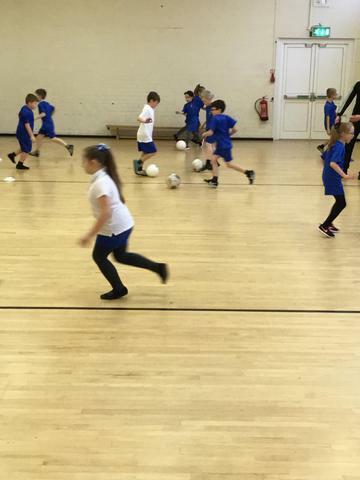 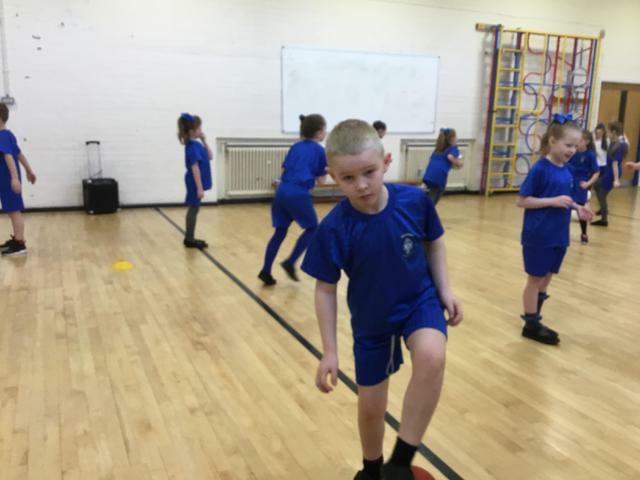 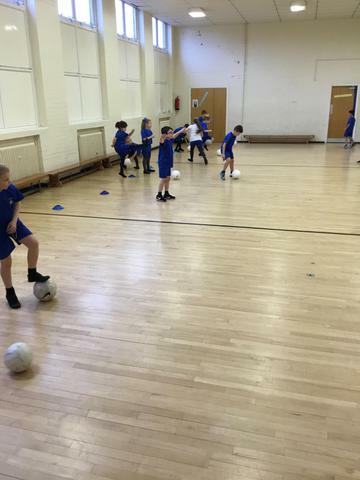 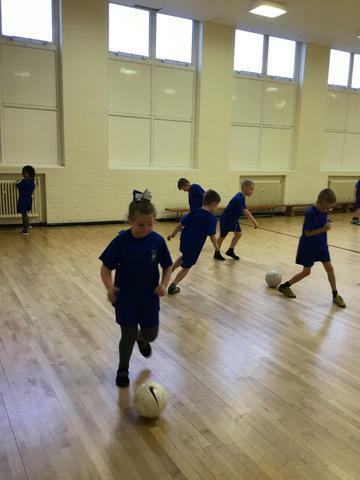 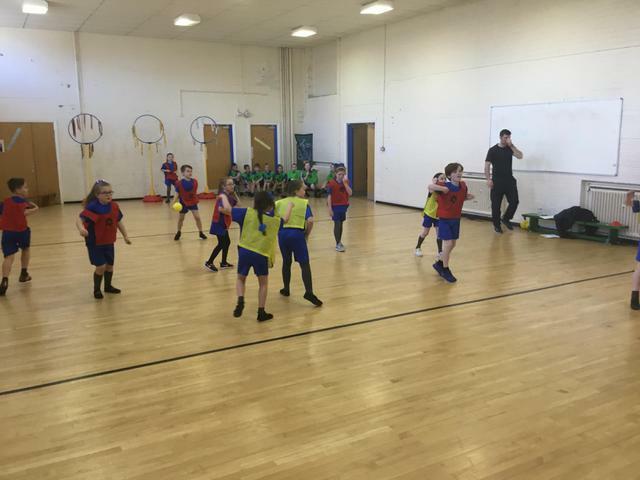 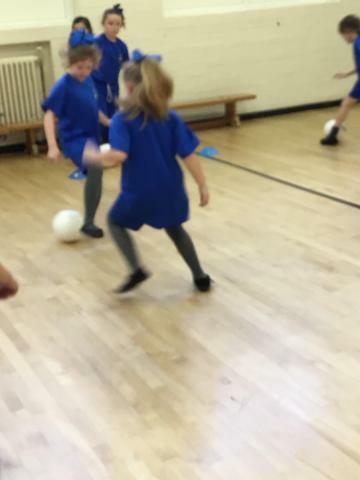 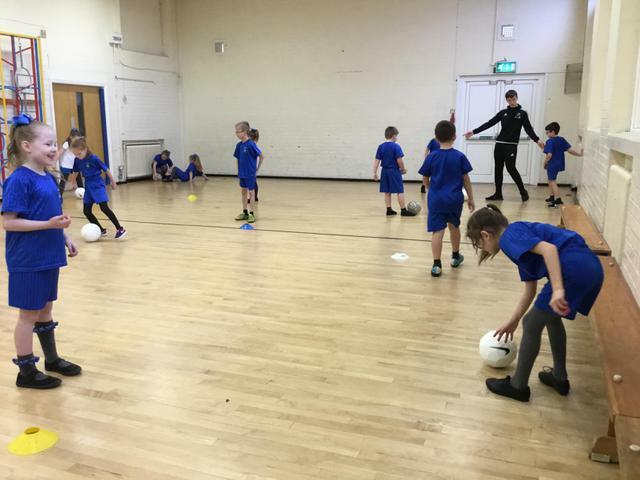 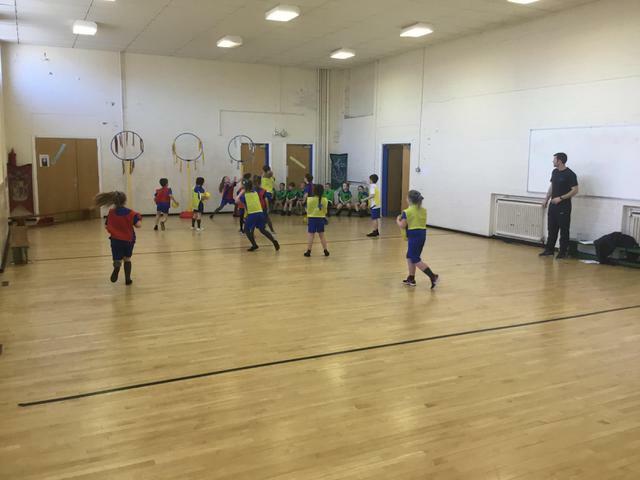 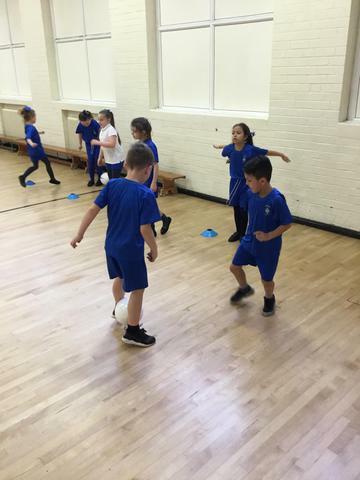 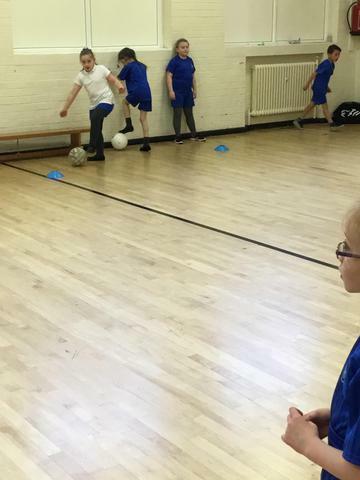 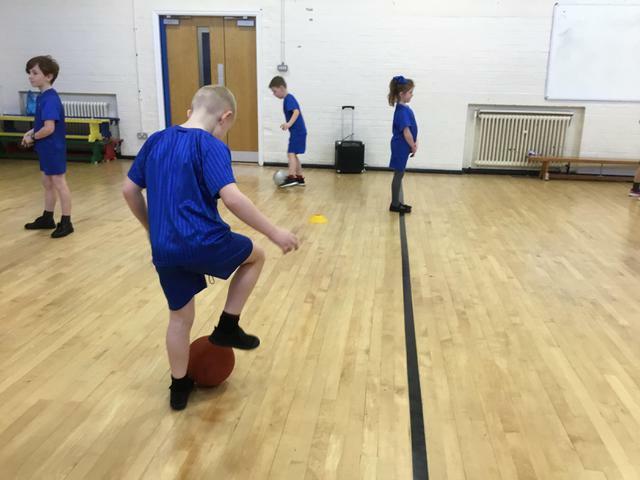 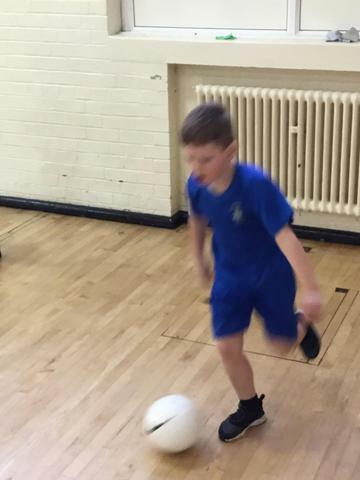 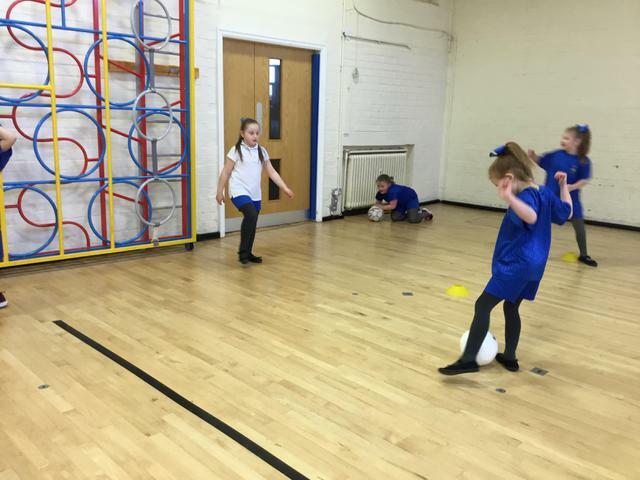 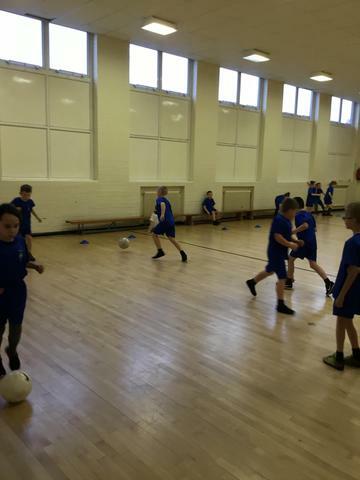 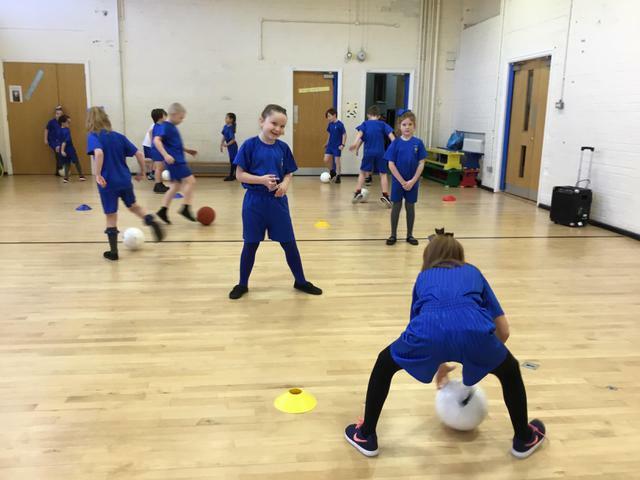 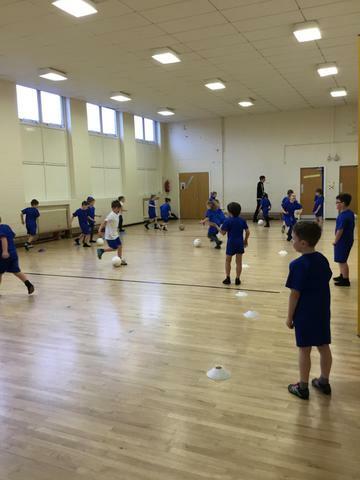 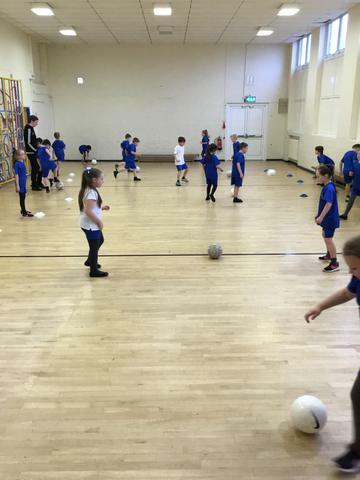 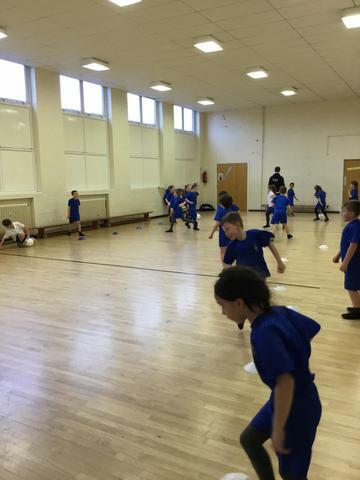 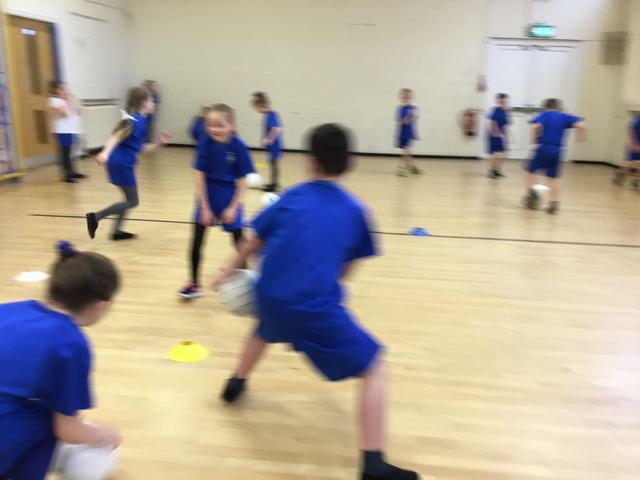 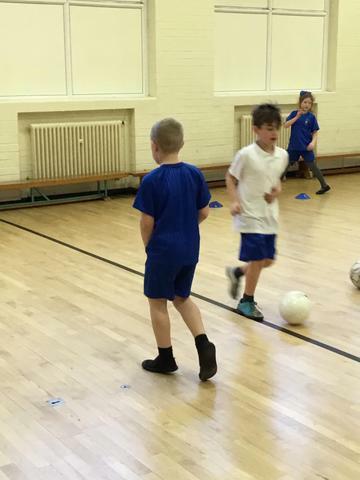 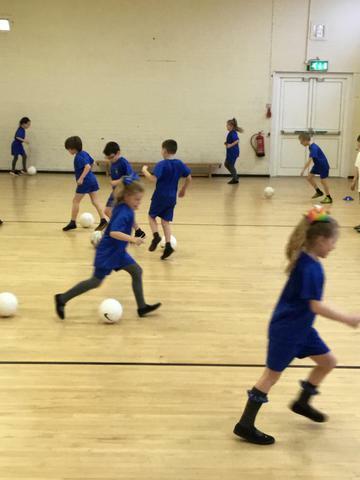 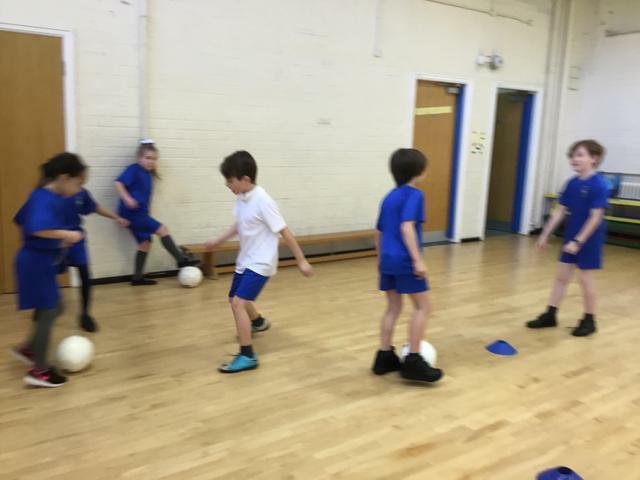 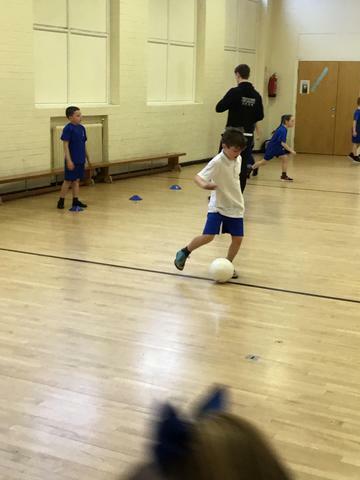 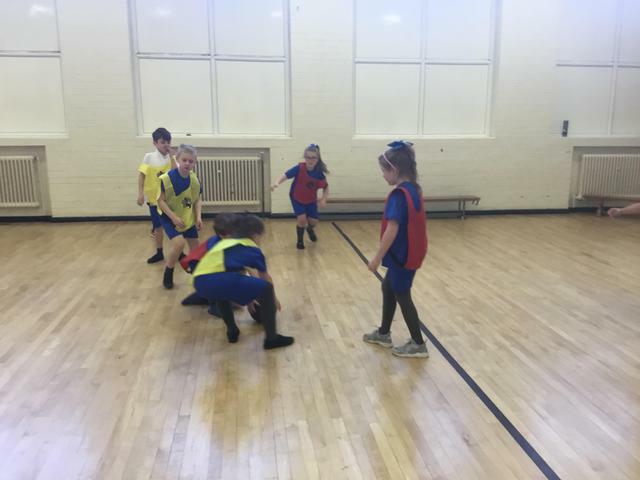 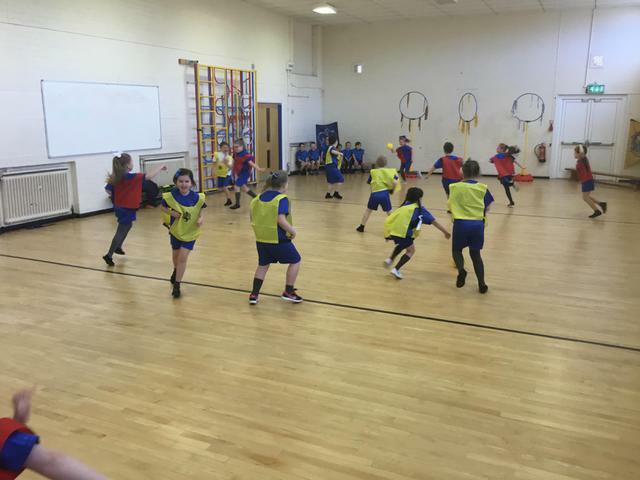 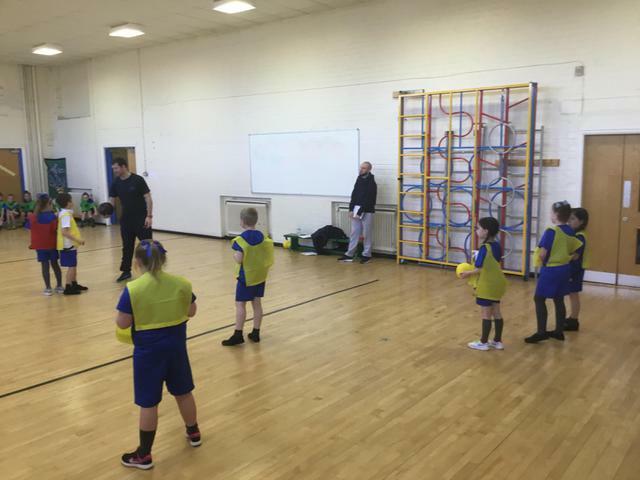 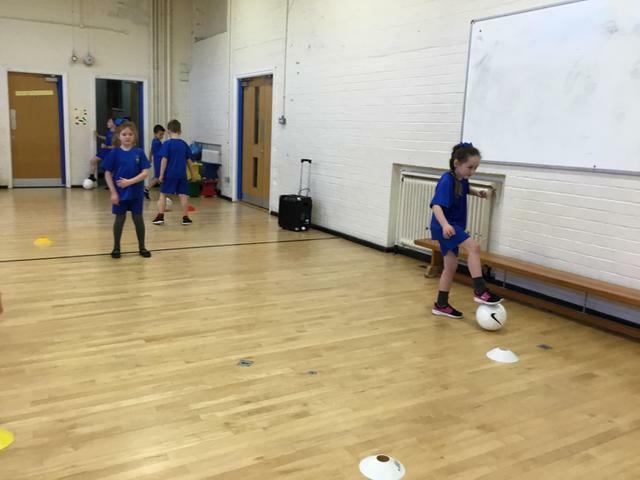 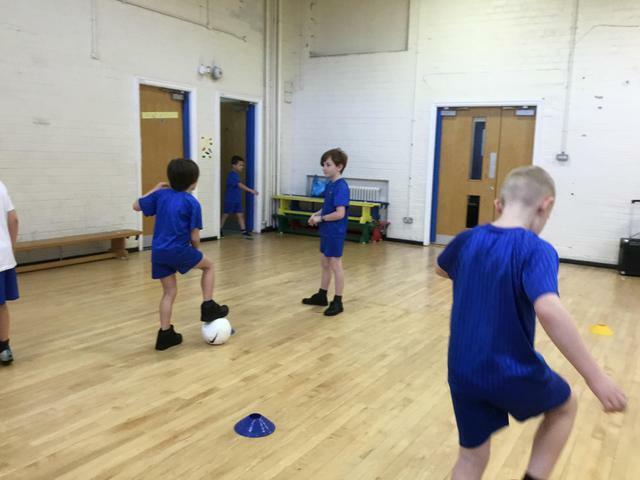 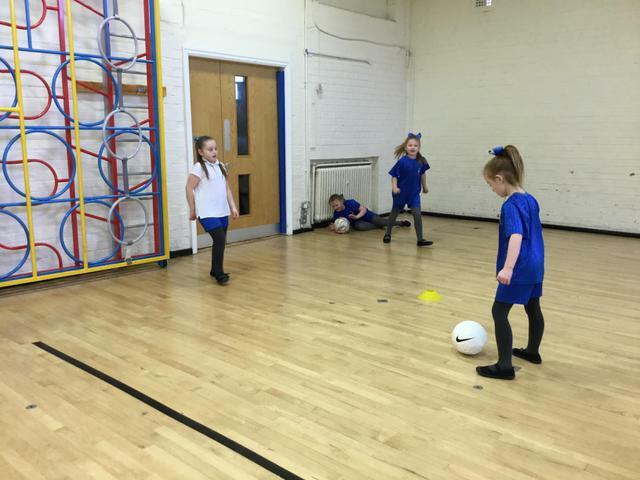 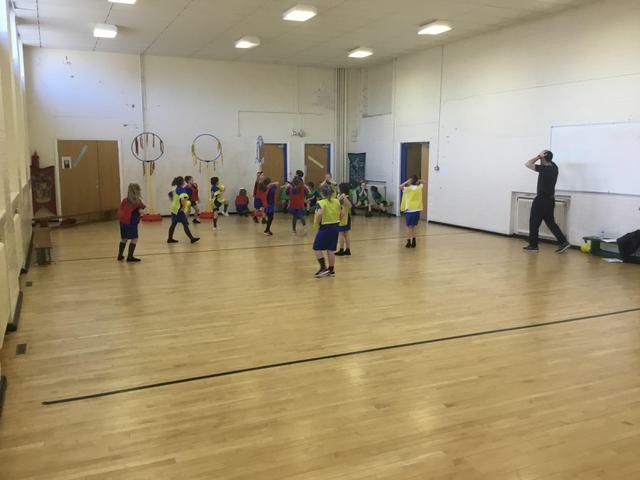 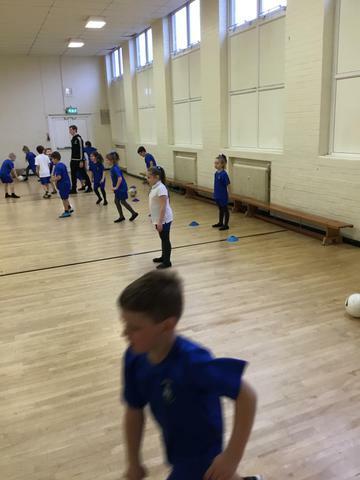 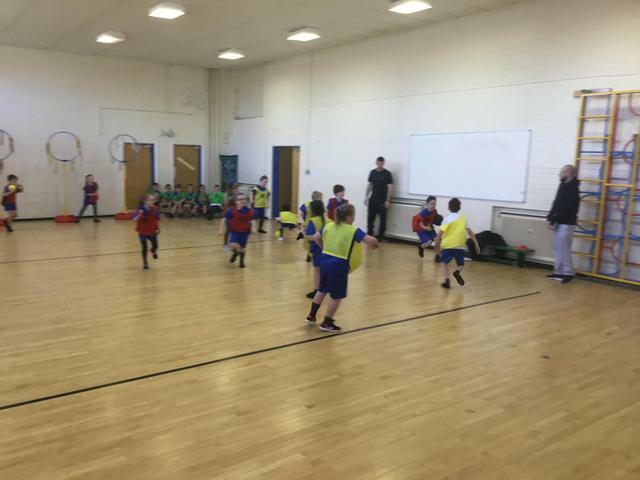 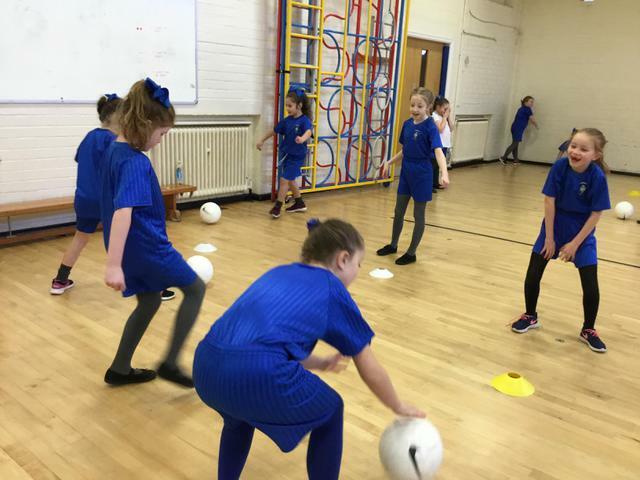 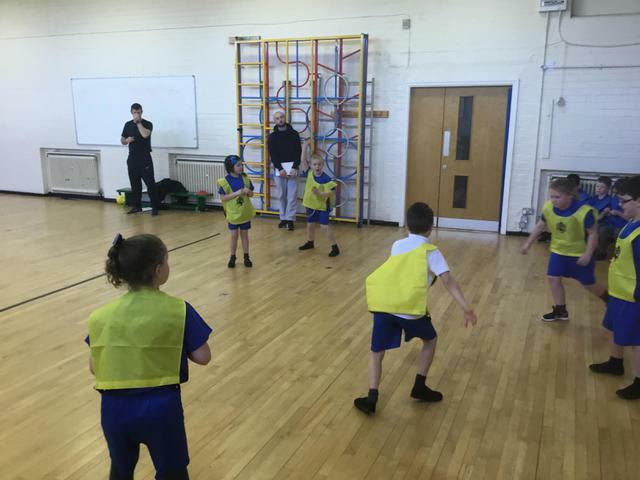 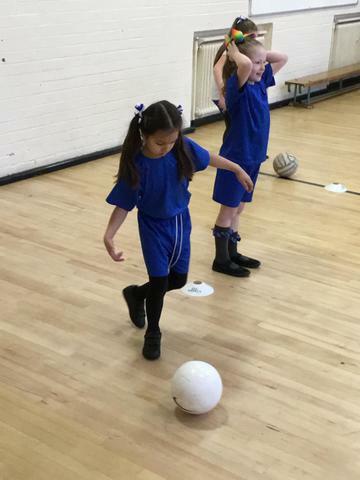 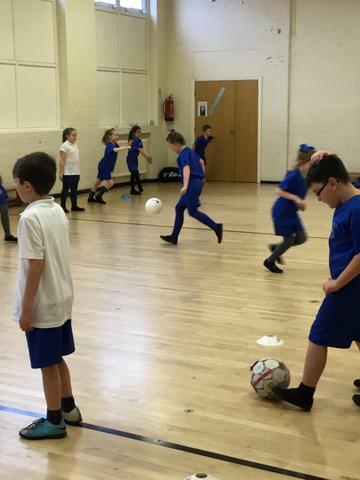 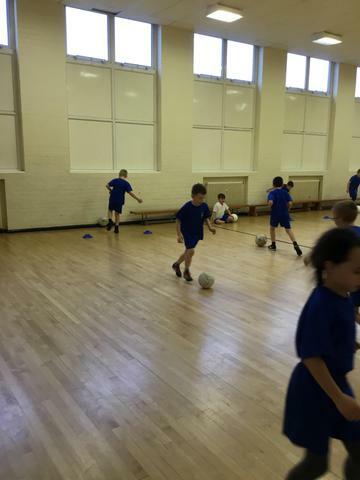 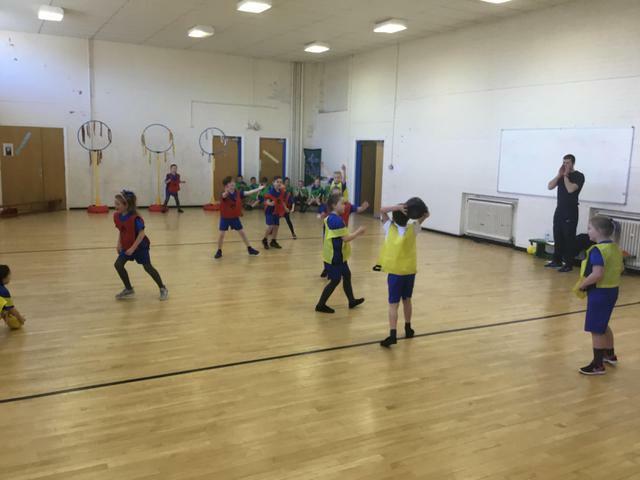 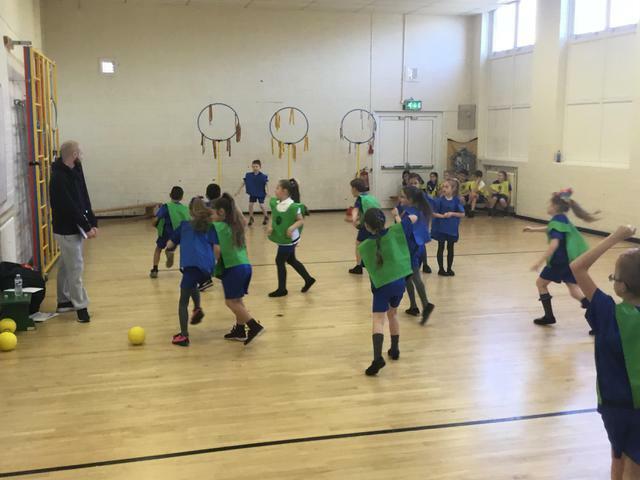 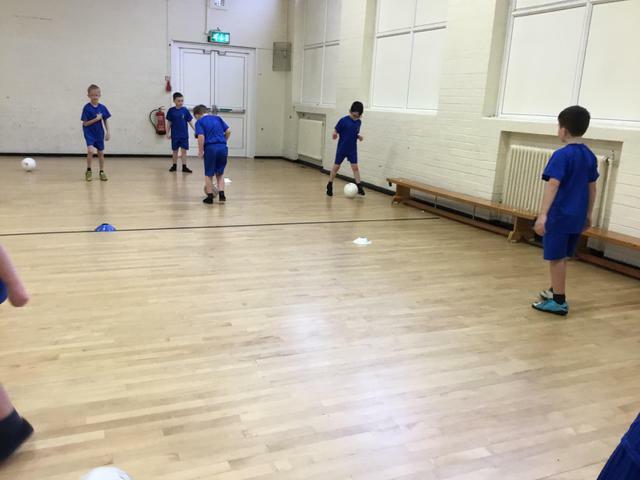 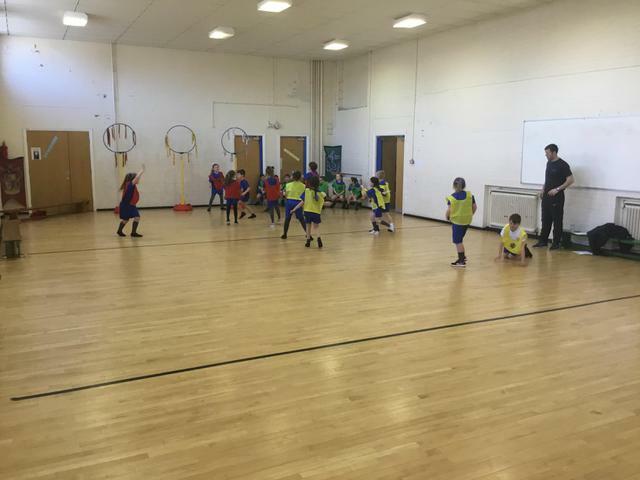 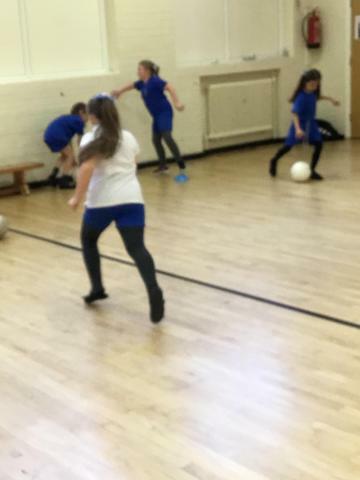 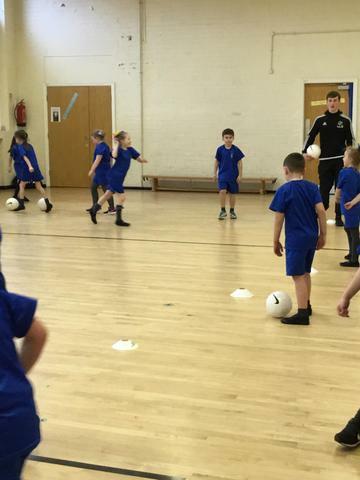 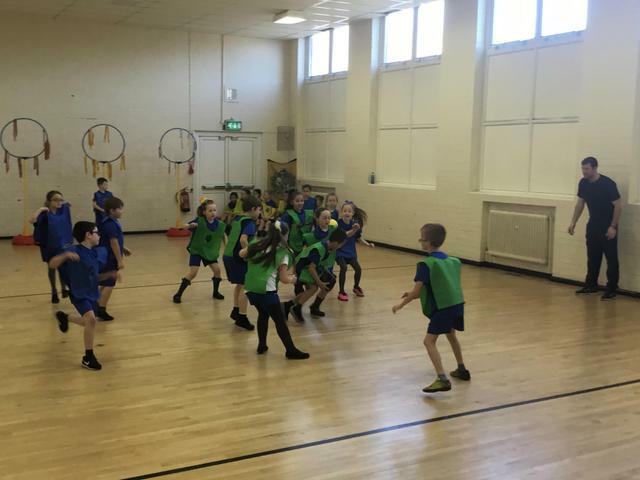 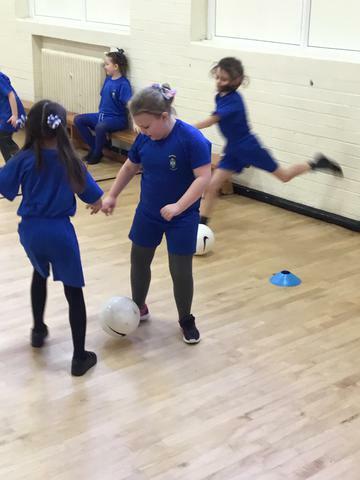 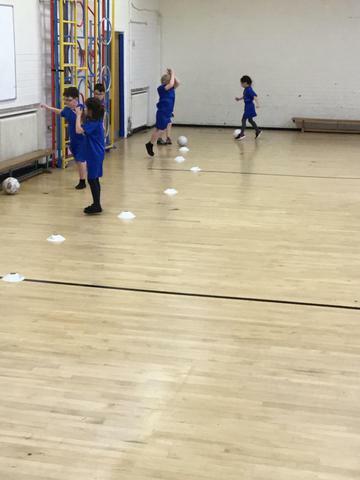 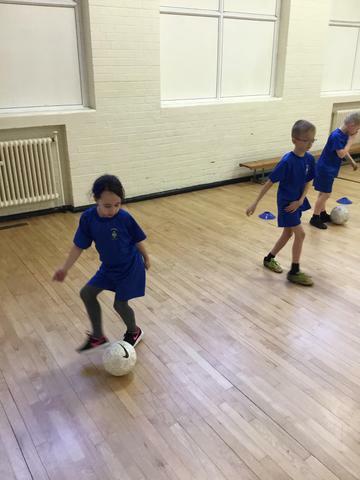 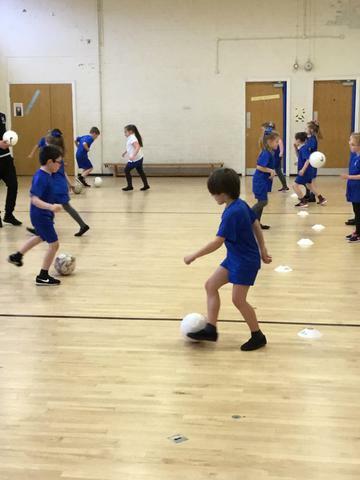 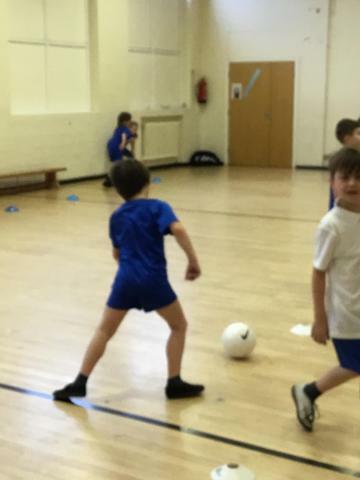 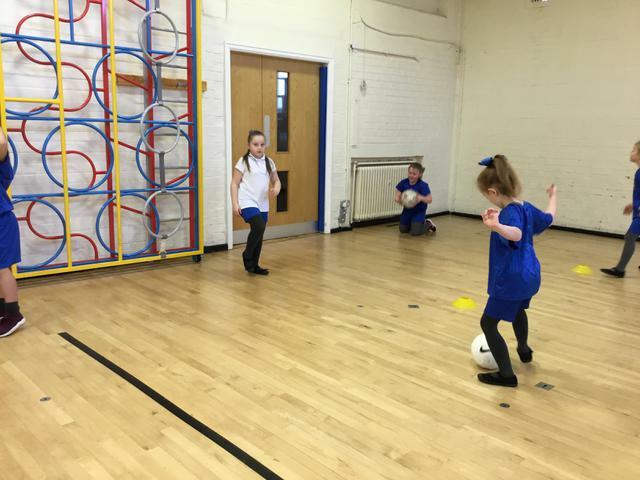 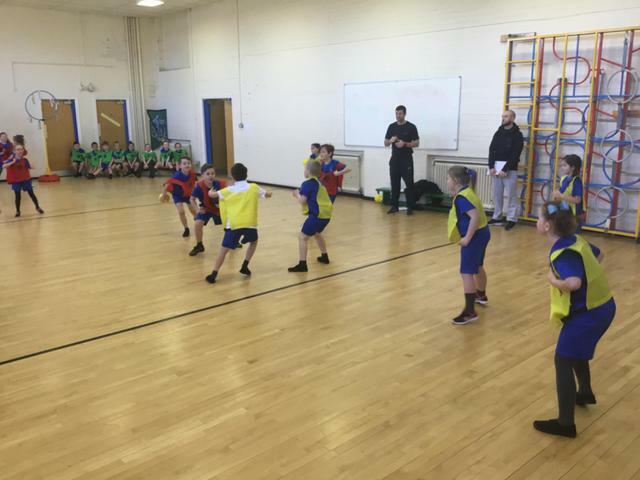 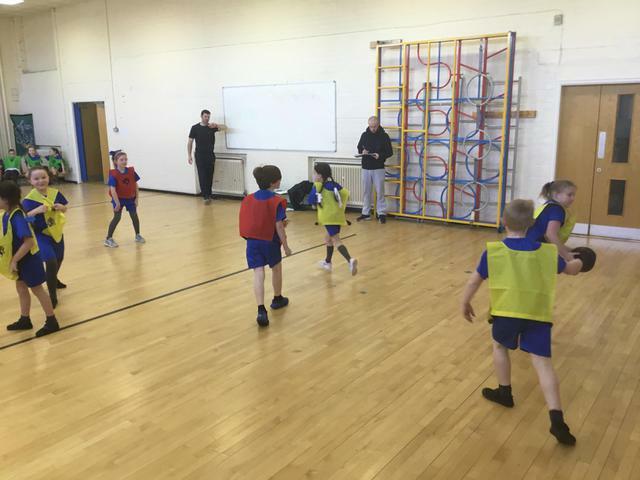 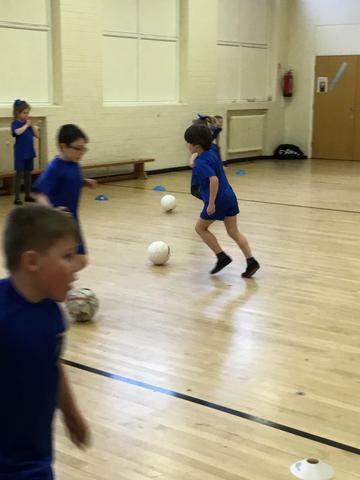 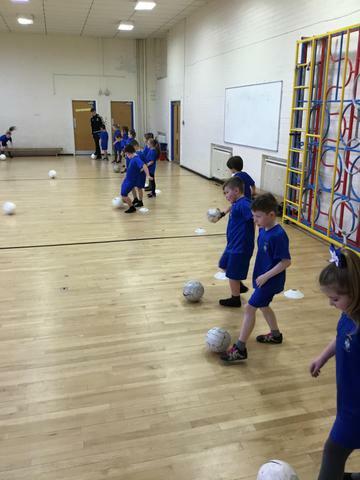 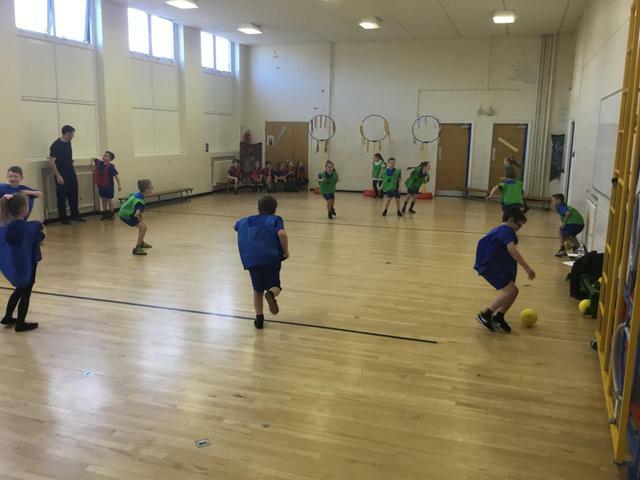 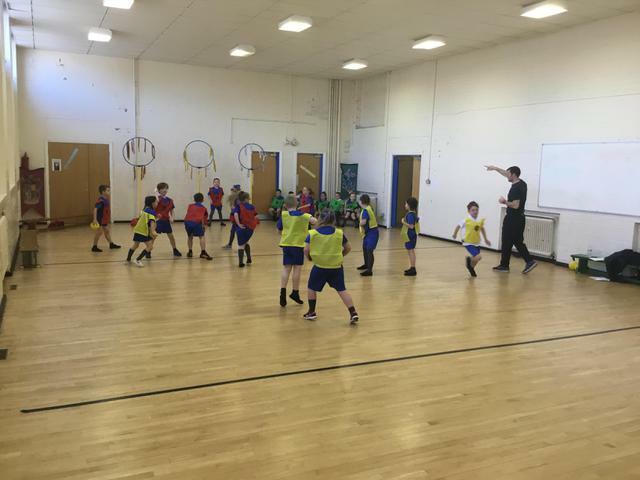 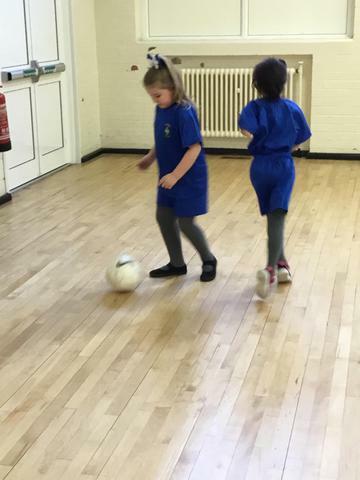 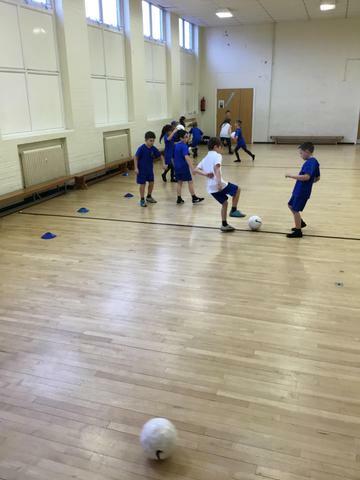 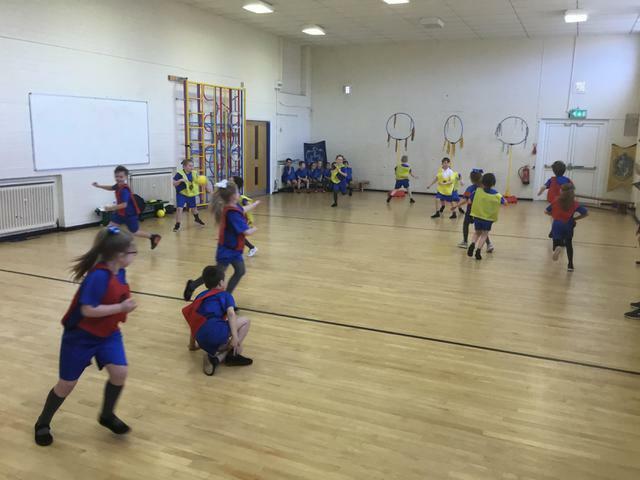 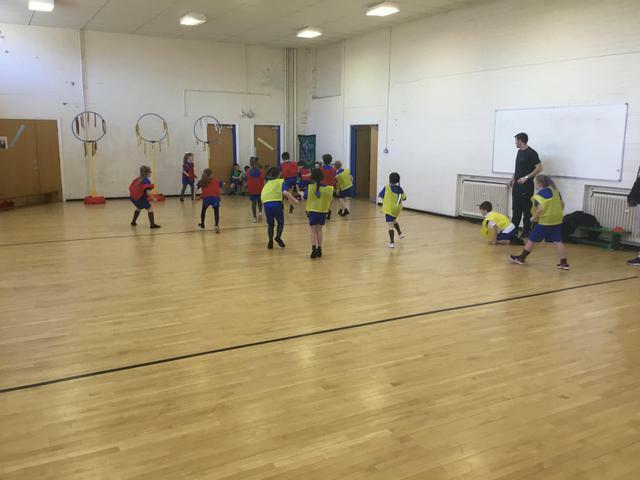 They are having a great time developing and improving their football skills. 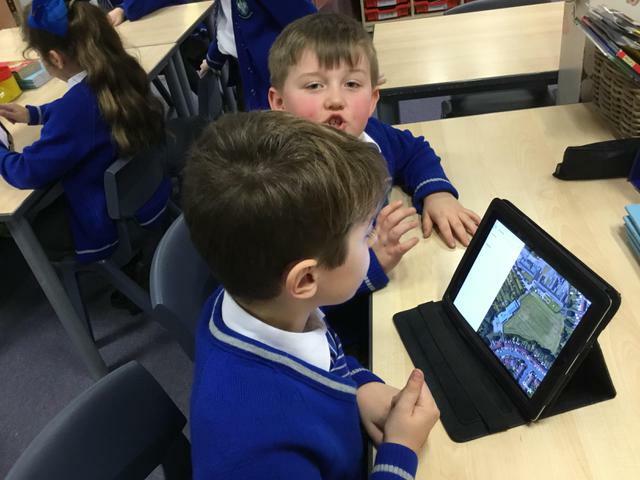 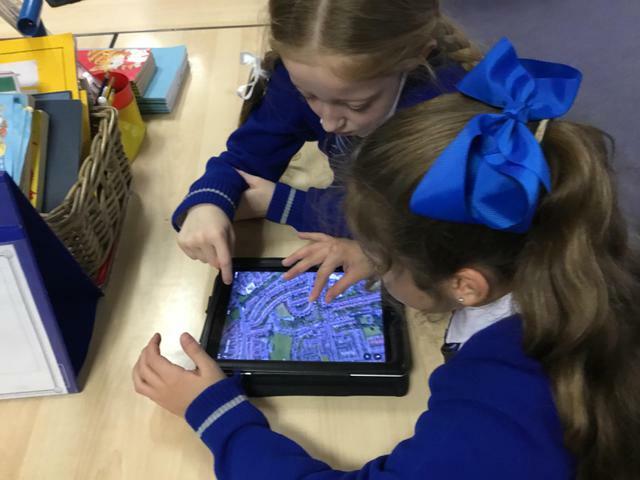 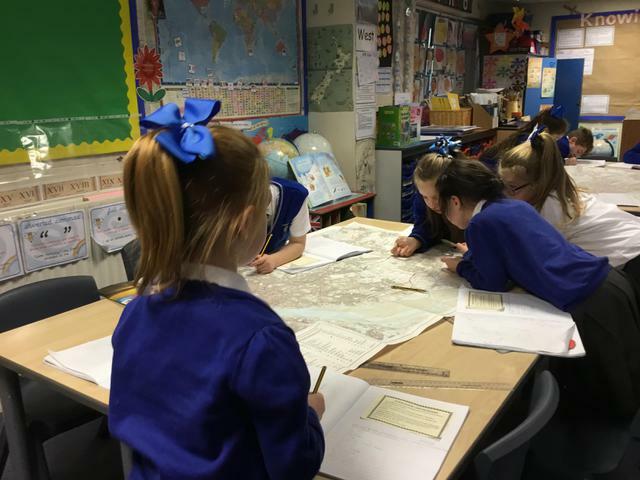 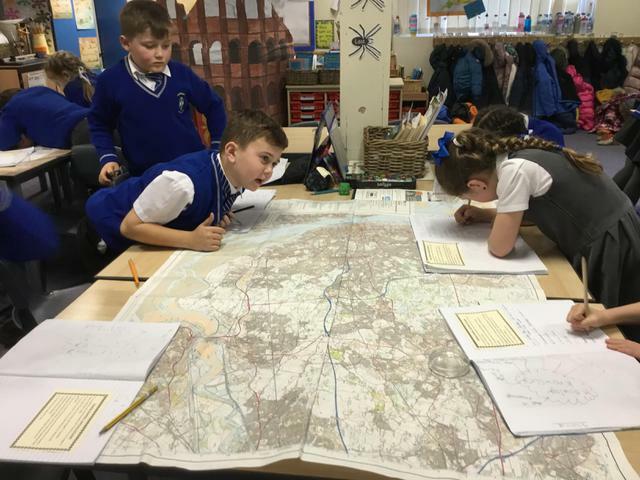 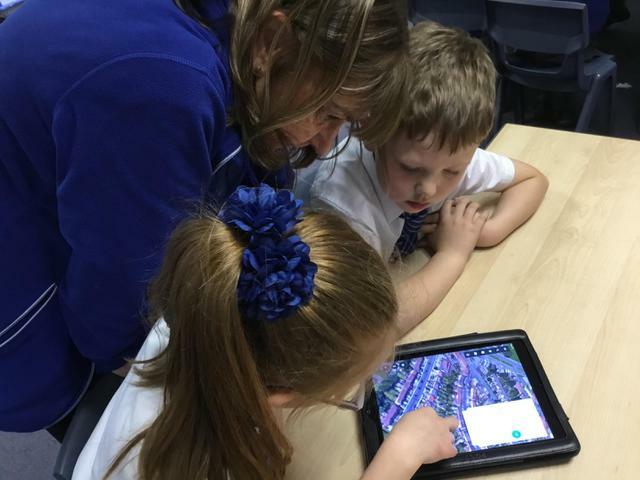 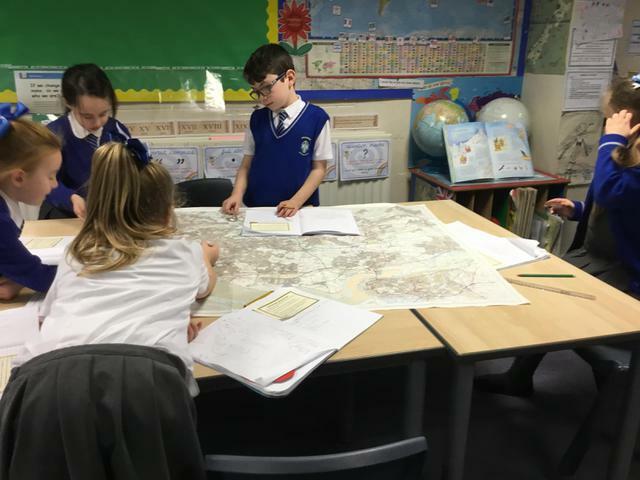 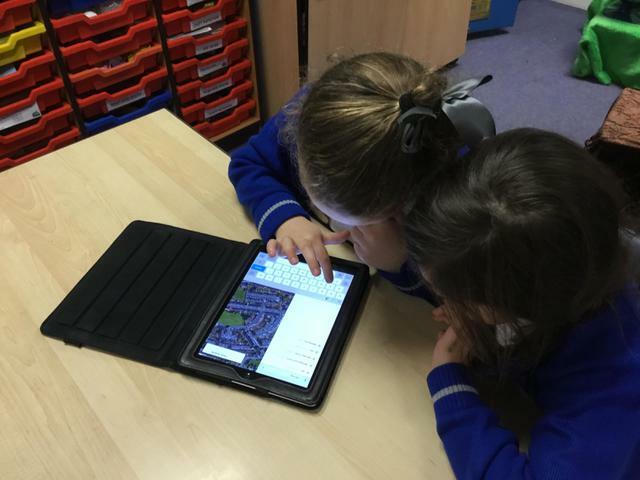 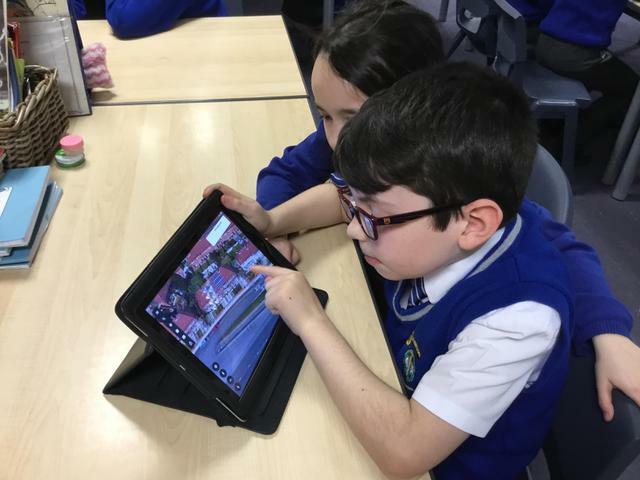 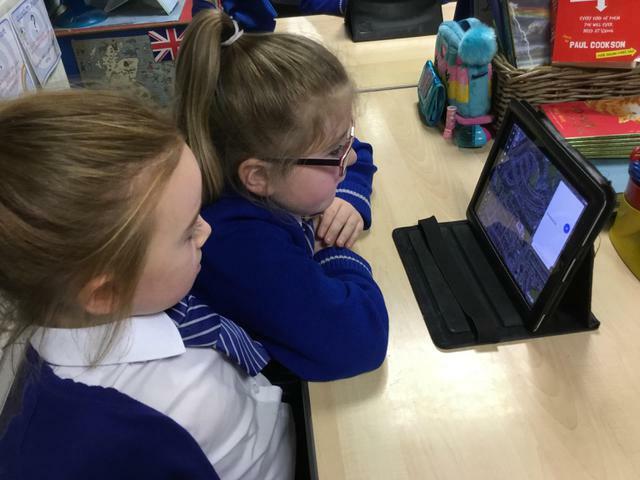 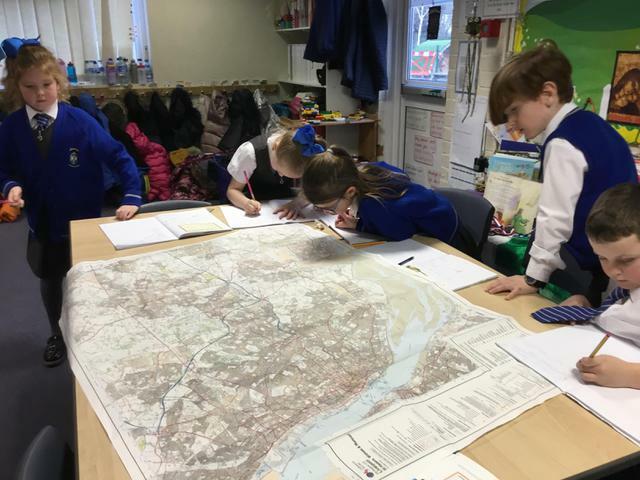 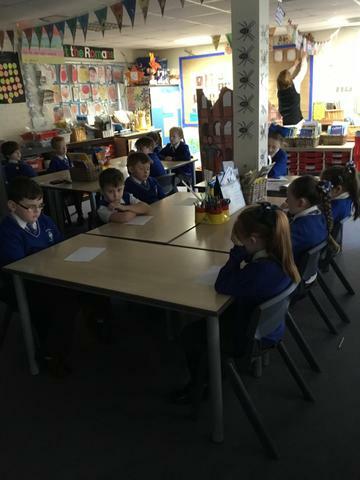 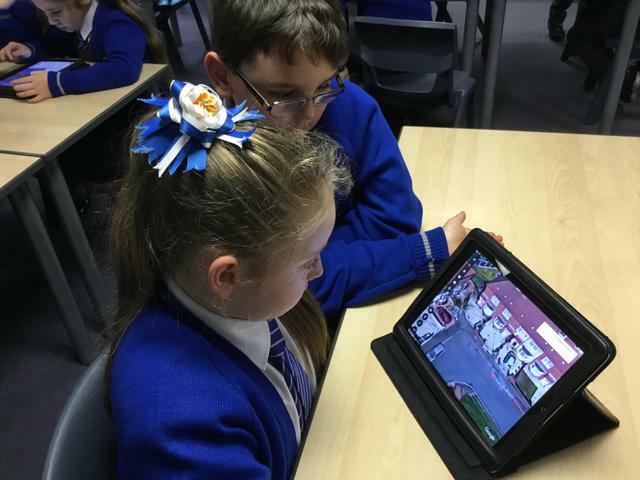 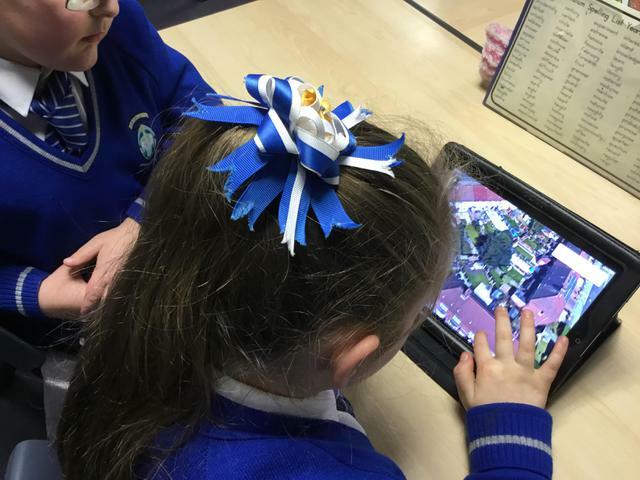 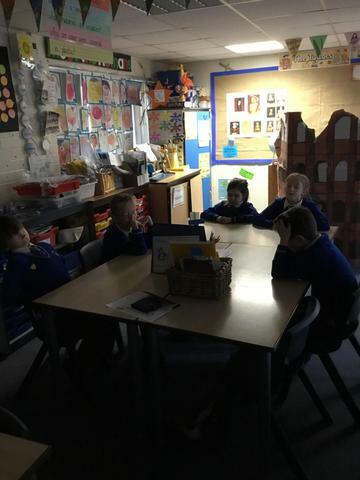 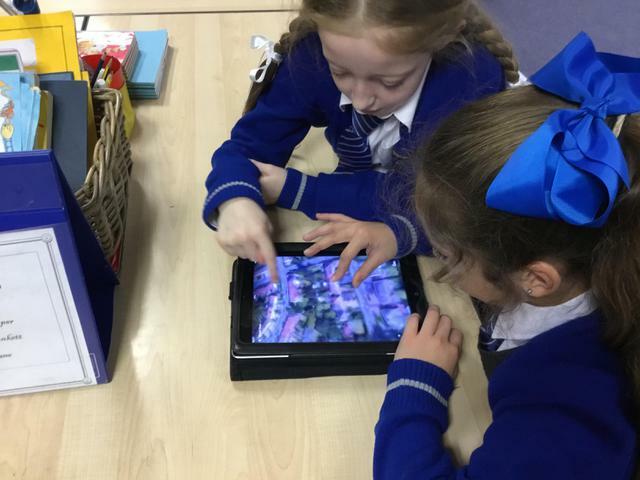 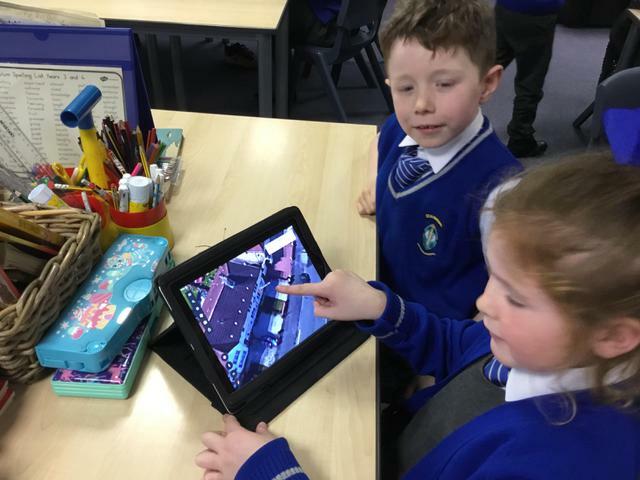 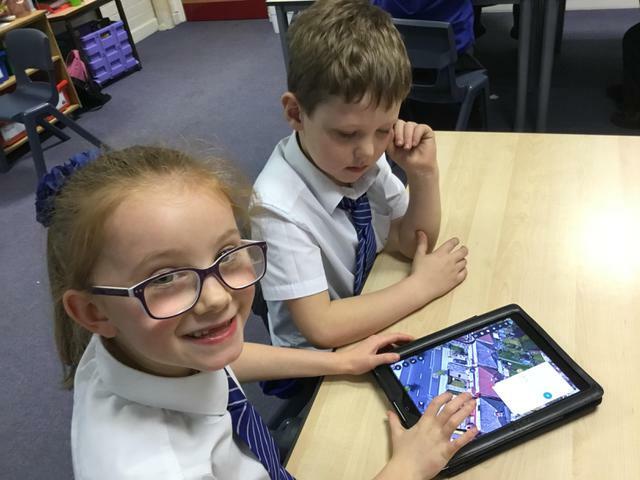 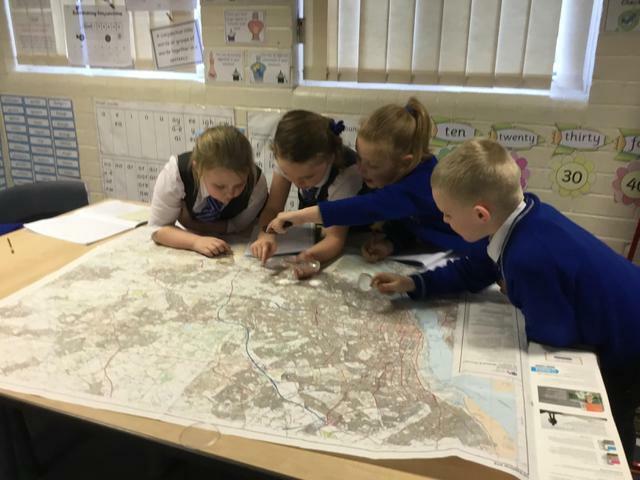 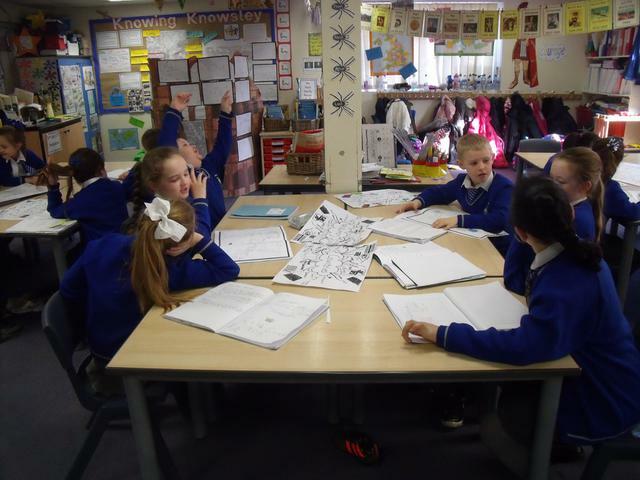 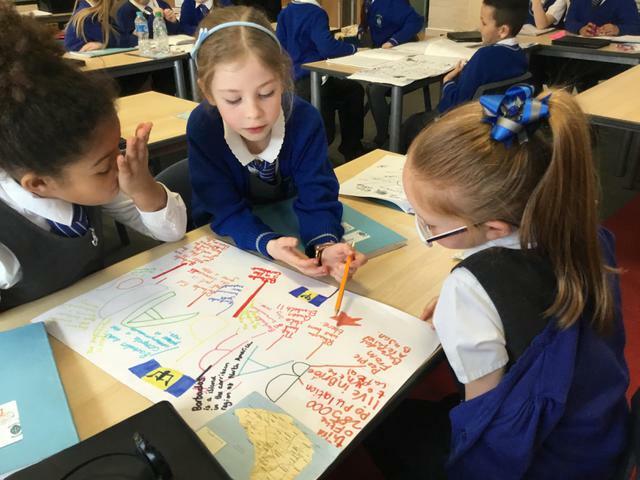 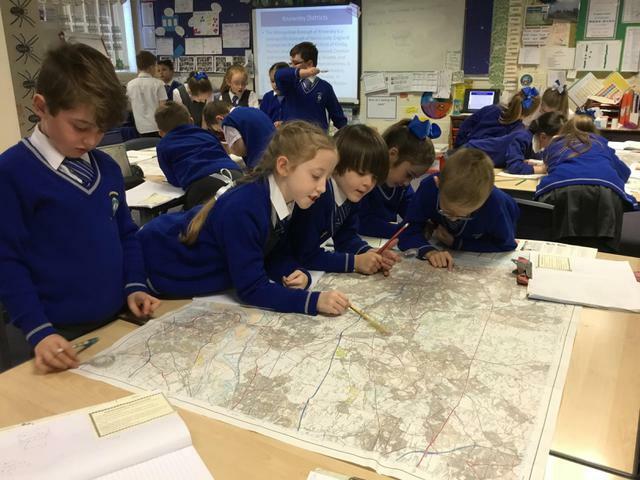 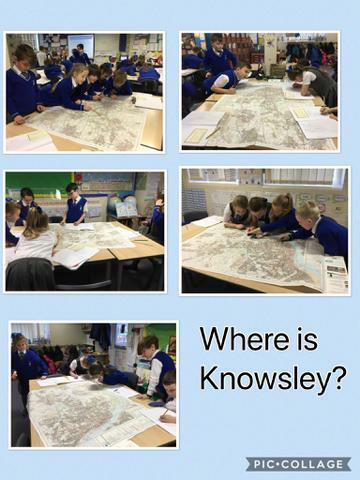 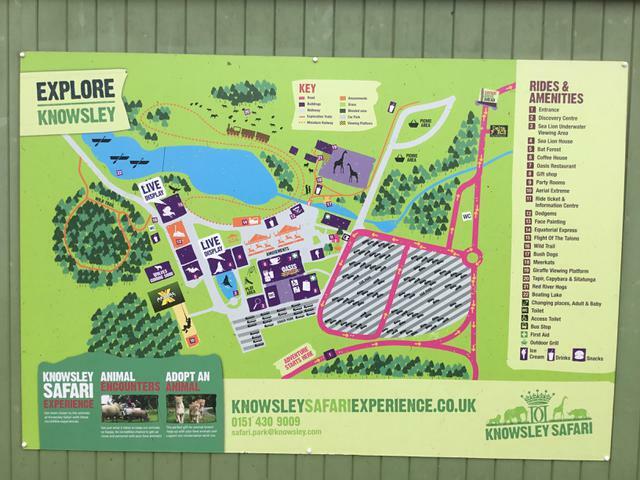 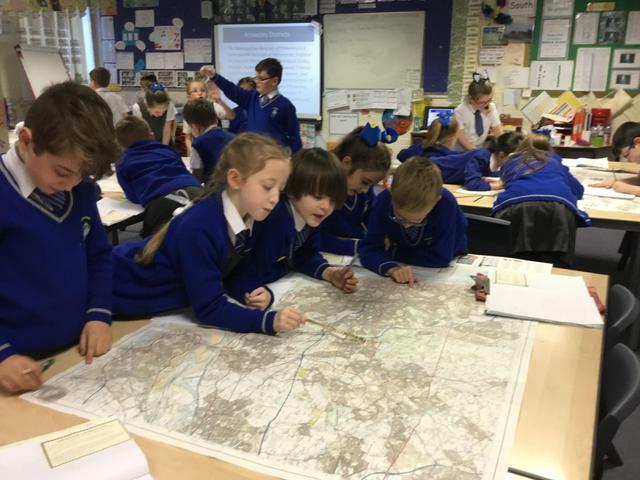 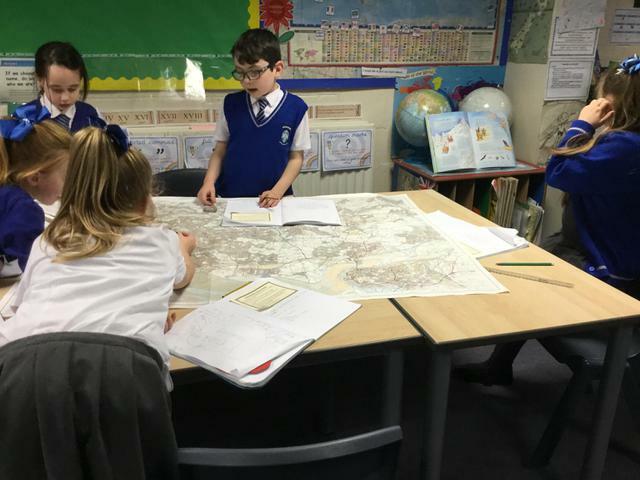 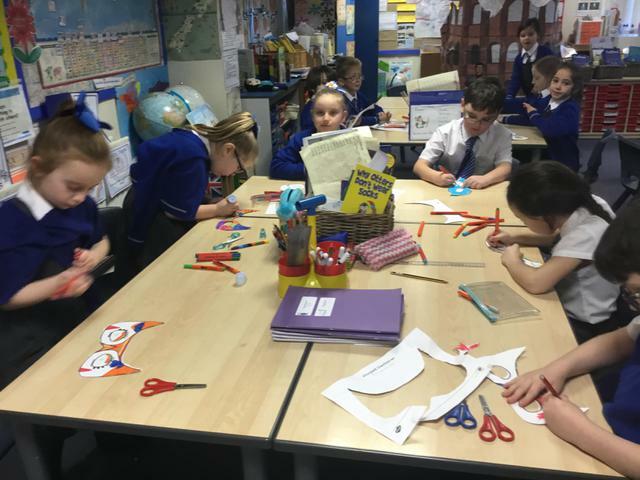 The children have been using an OS Liverpool area map and Google Earth to explore and locate places in Knowsley, including Huyton-With-Roby. 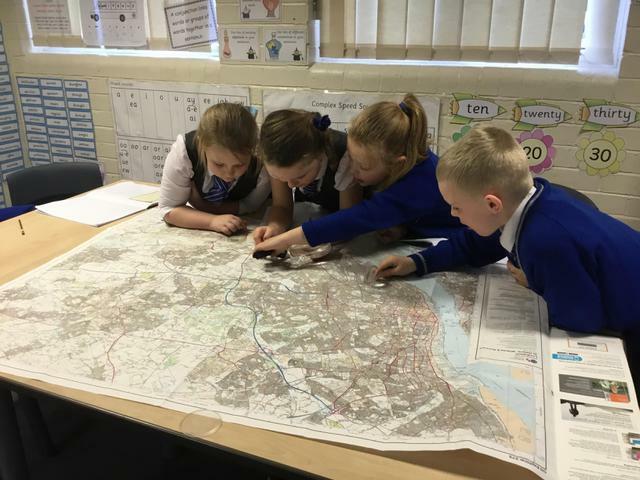 They also looked for their own addresses and homes on Google Earth.